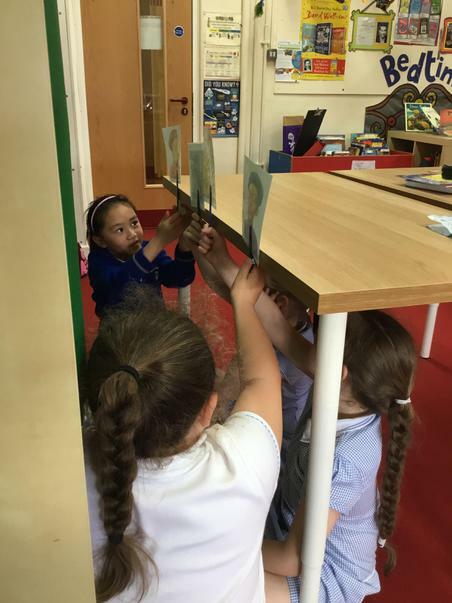 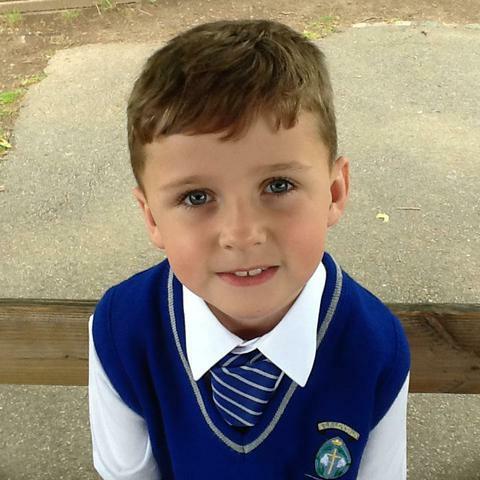 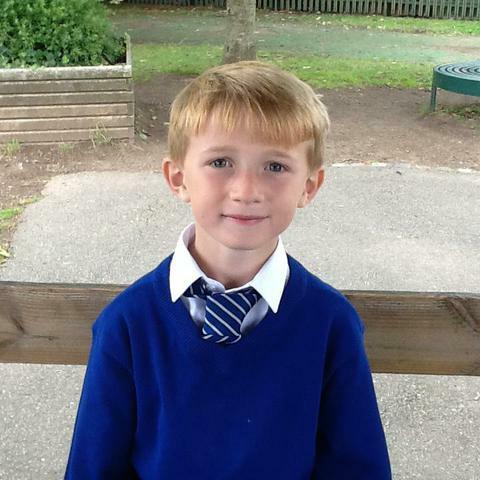 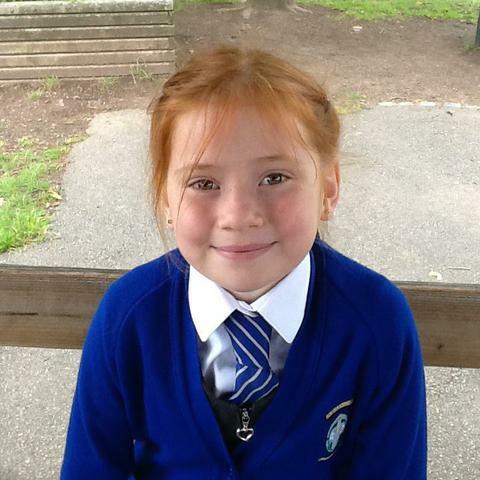 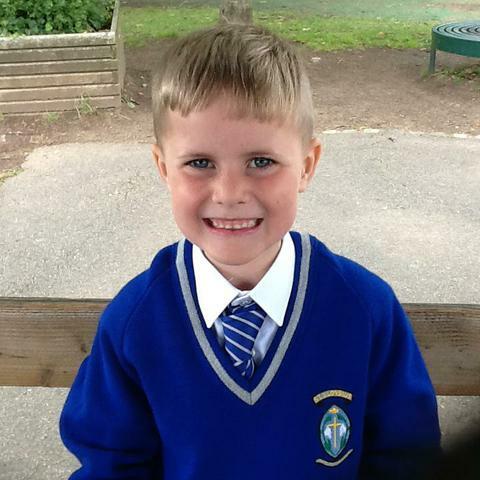 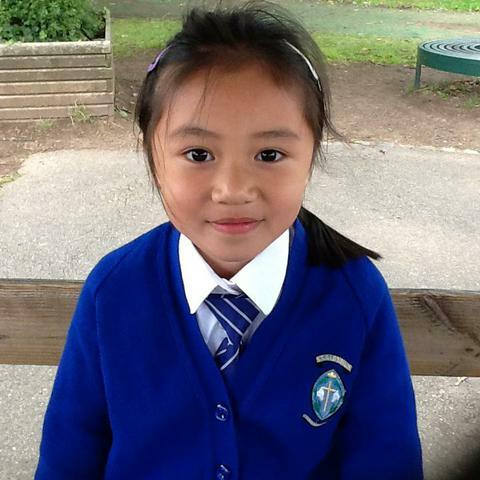 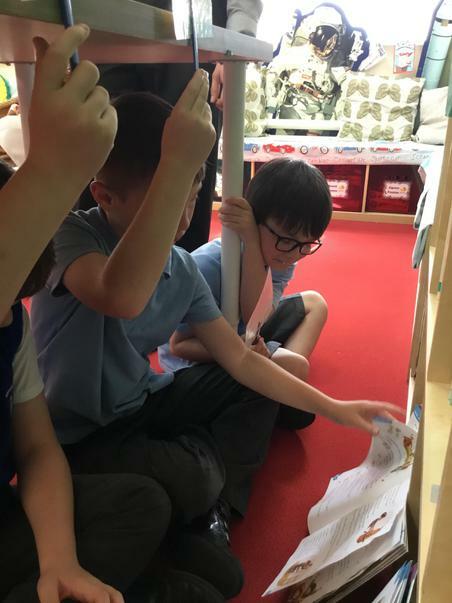 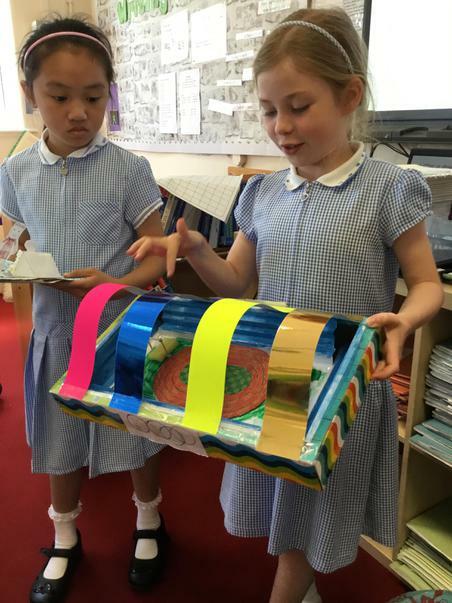 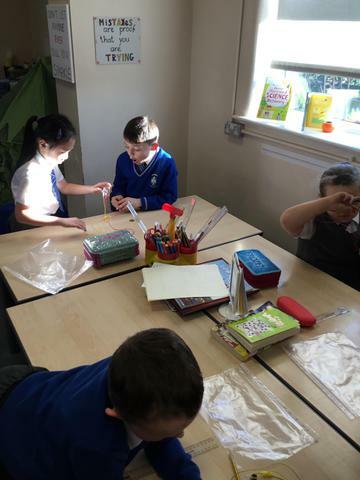 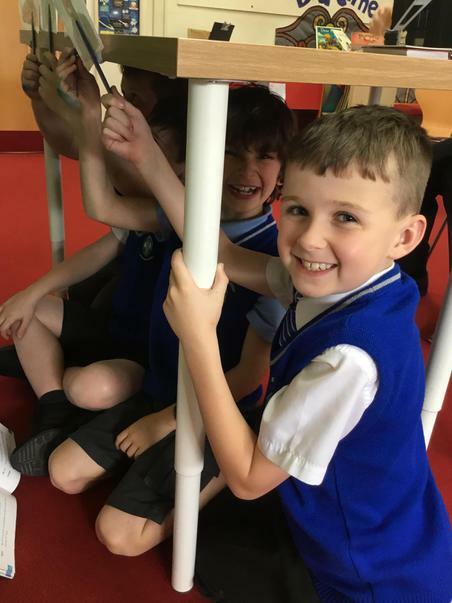 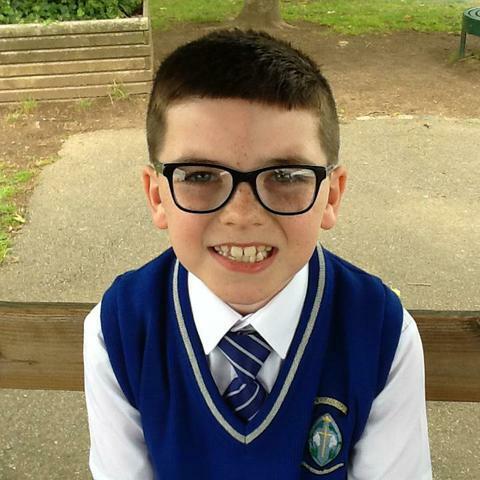 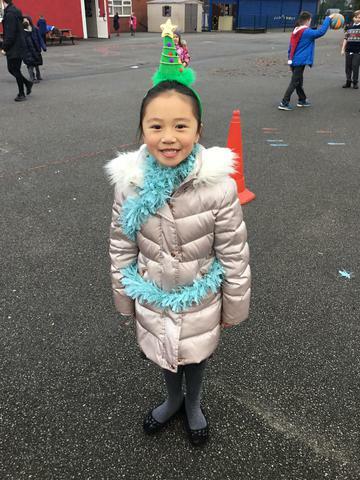 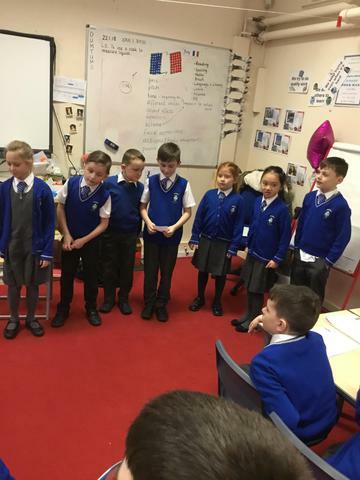 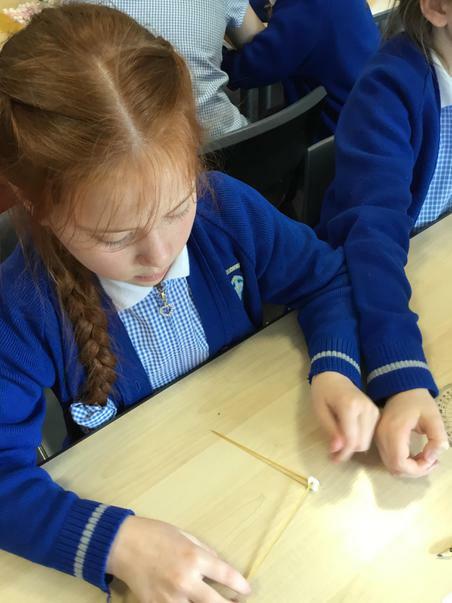 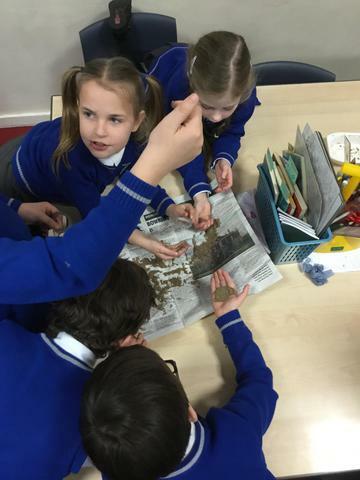 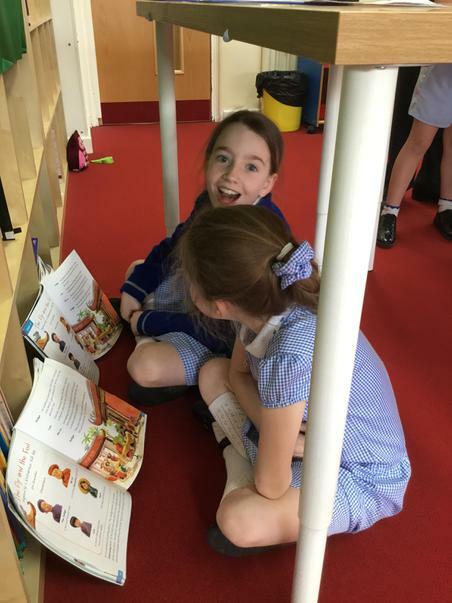 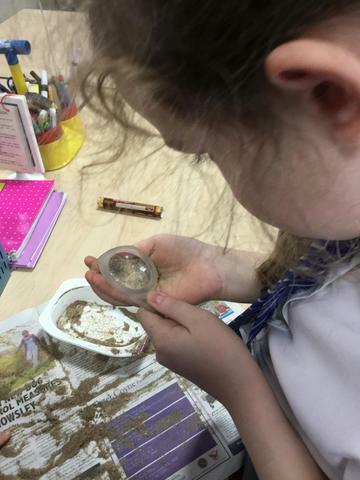 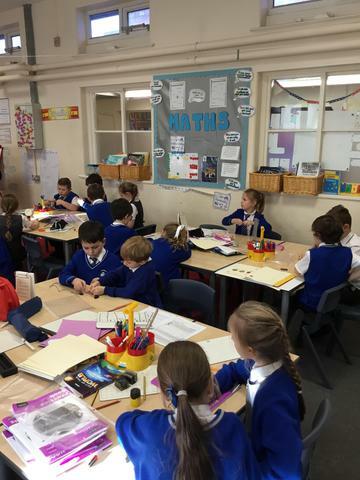 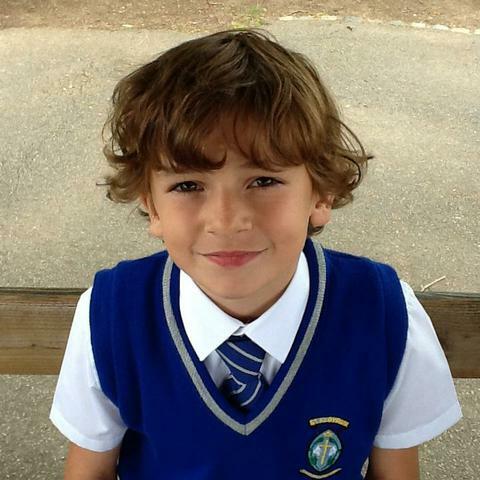 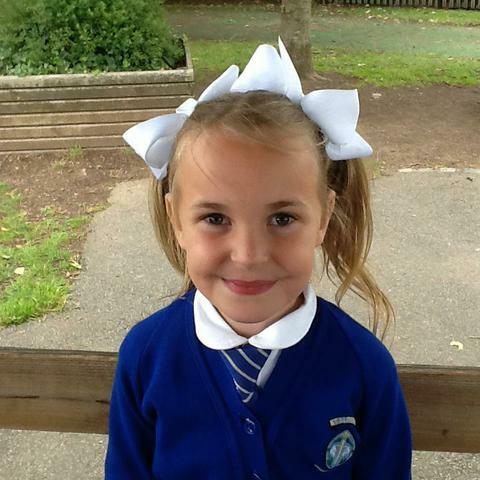 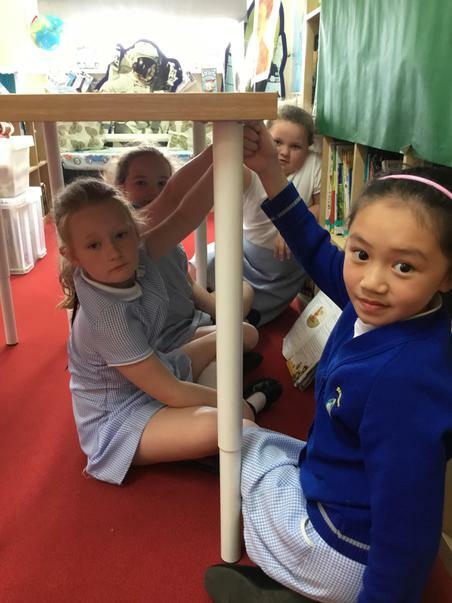 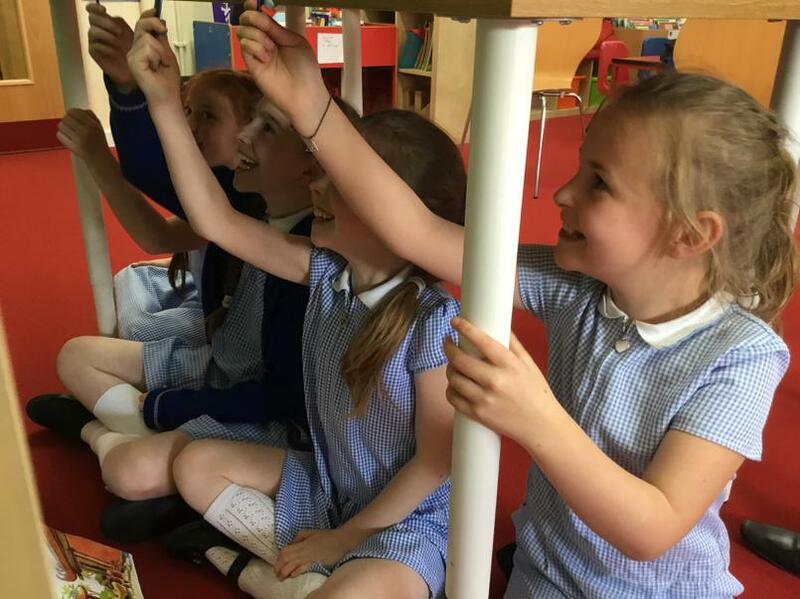 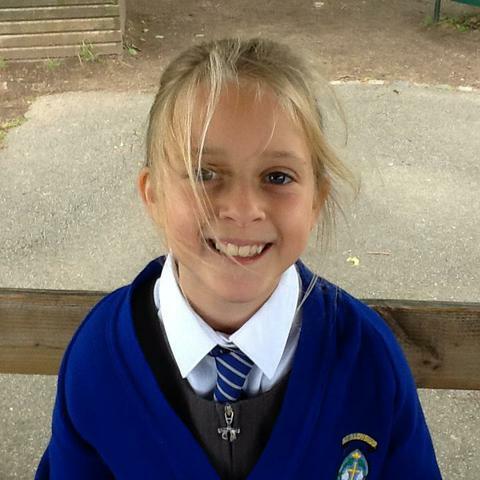 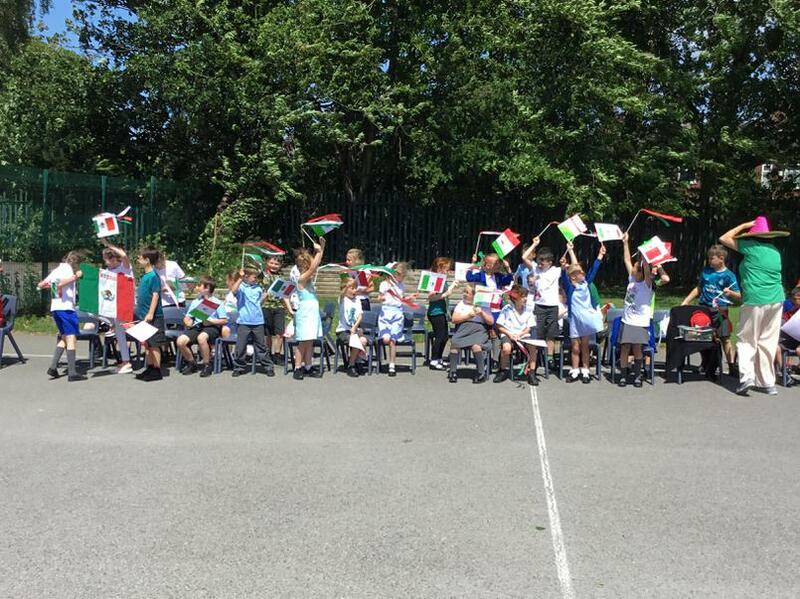 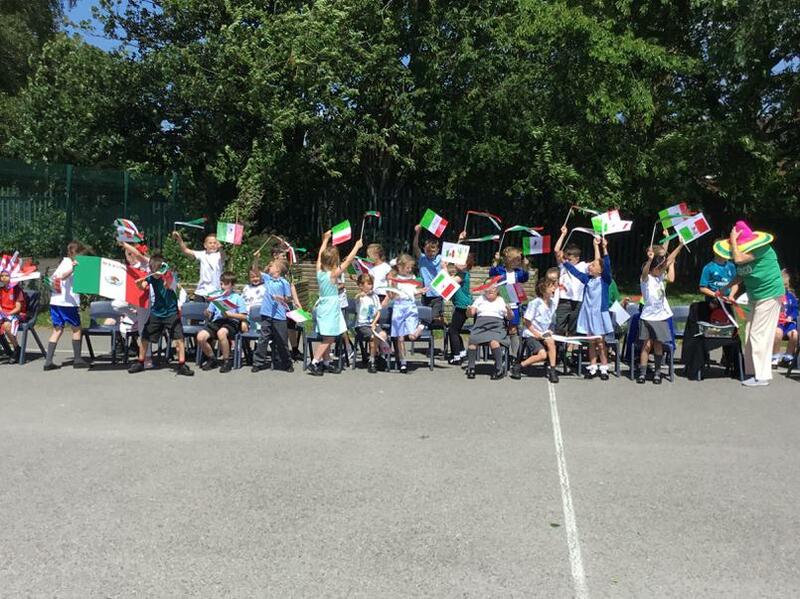 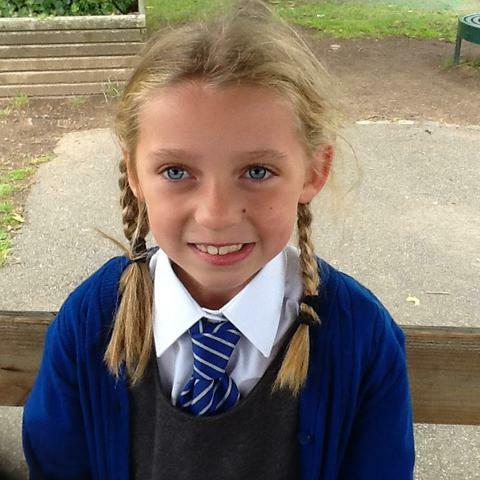 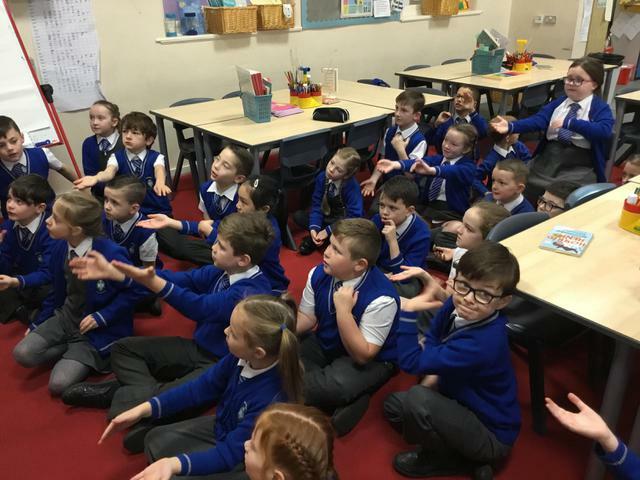 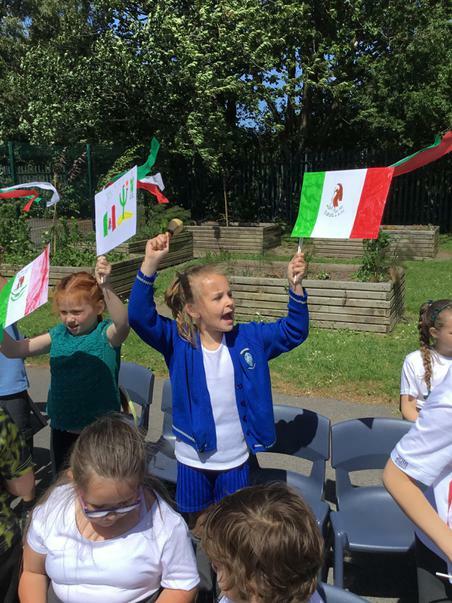 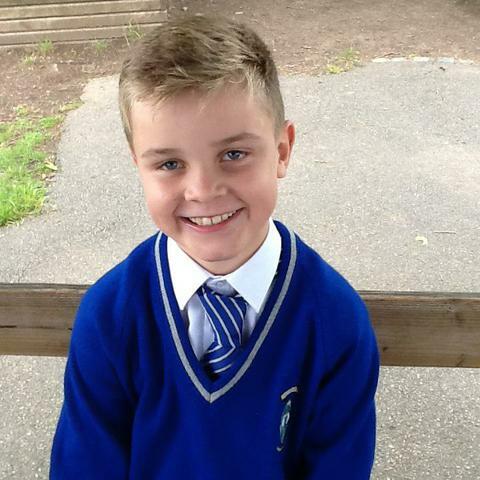 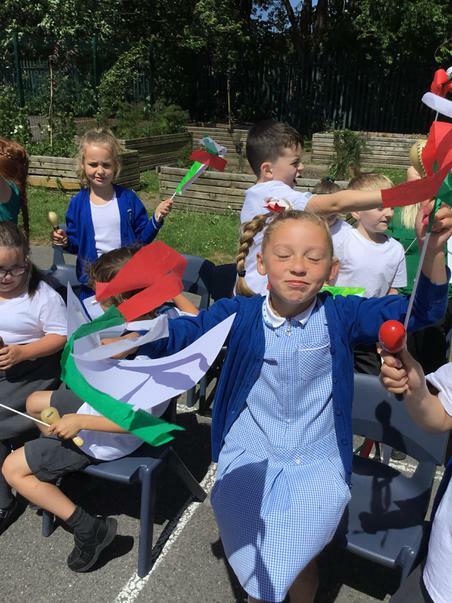 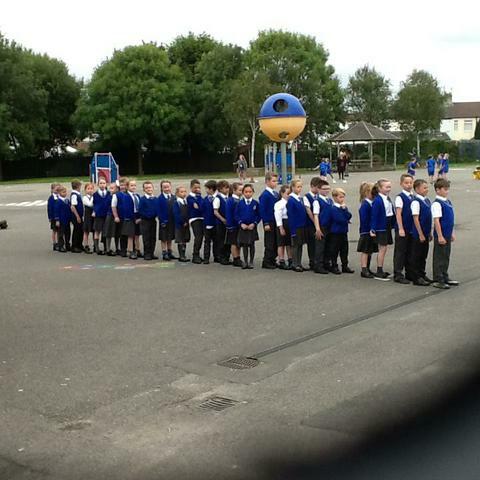 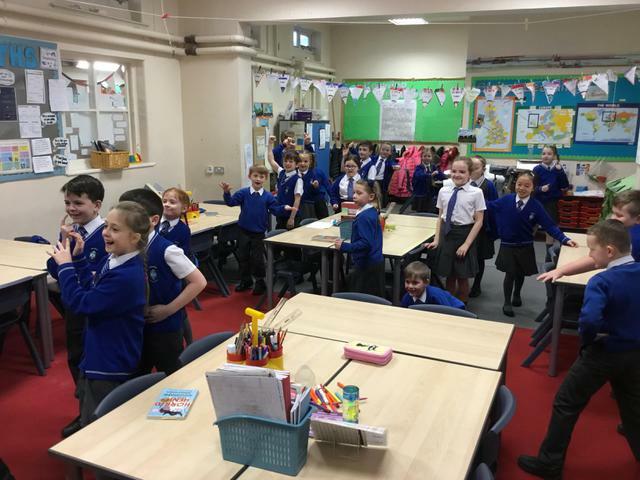 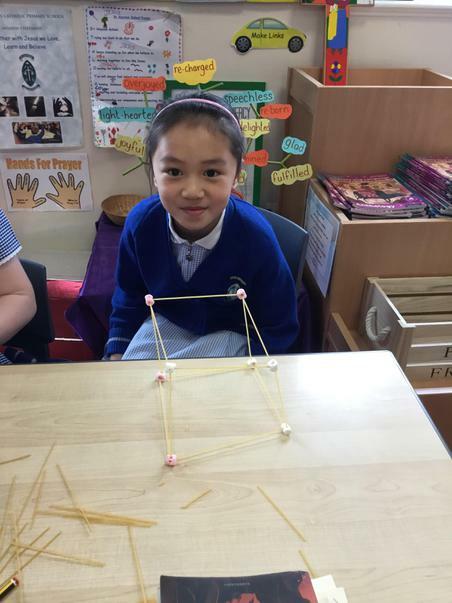 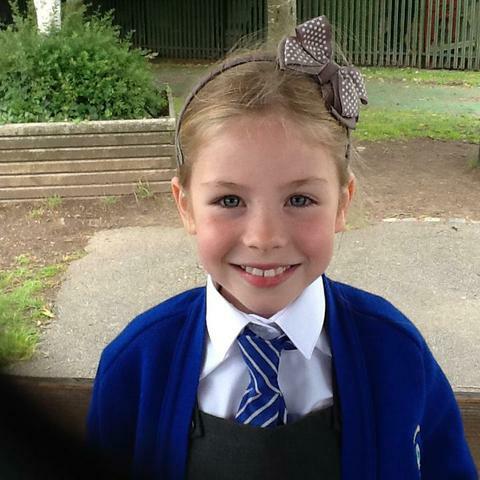 We are a mixed Year 3/4 class who love to learn. 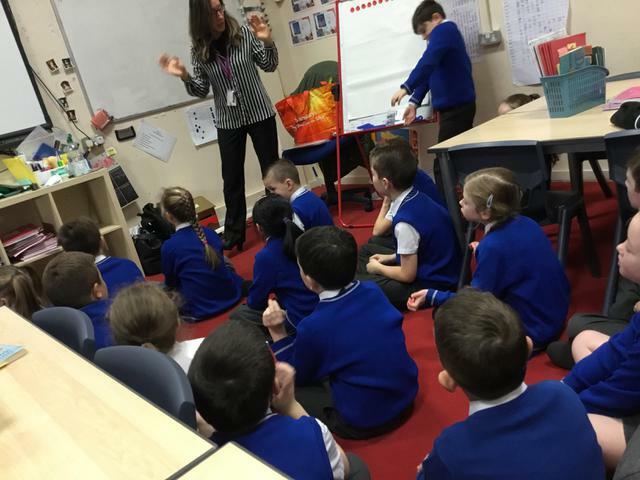 Our class teacher is Mrs Court. 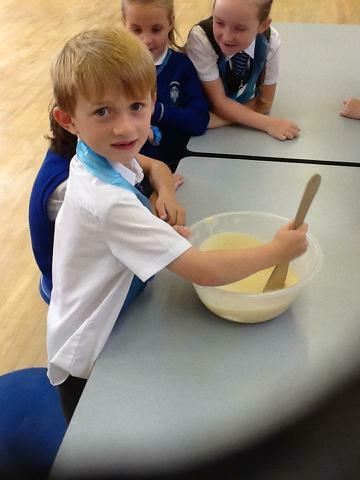 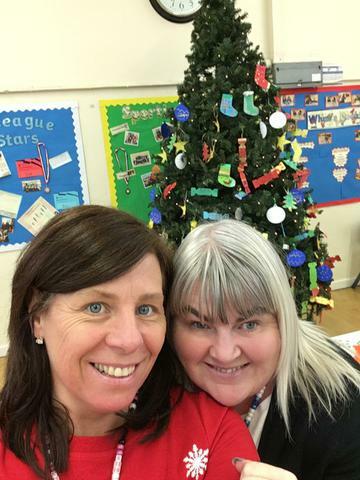 We are assisted by Mrs Millington and Mrs Guy. 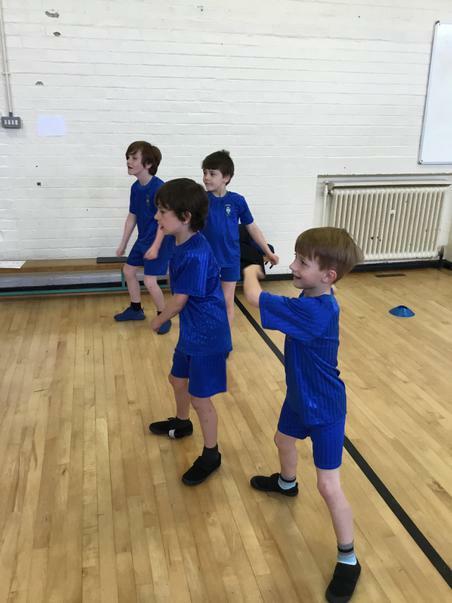 PE lessons are Monday and Thursday. 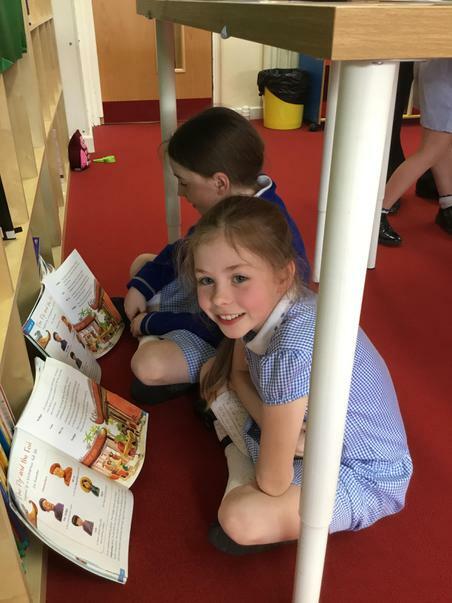 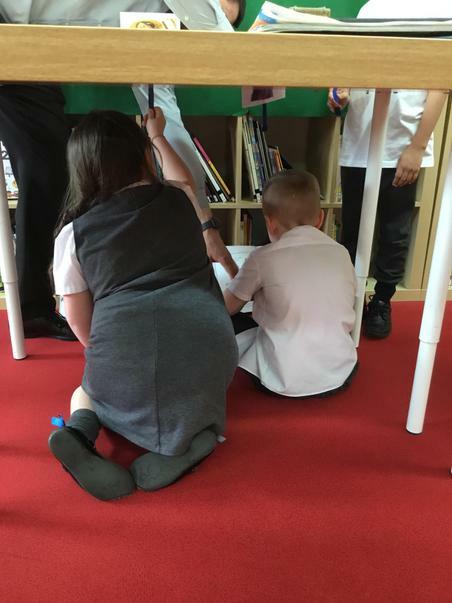 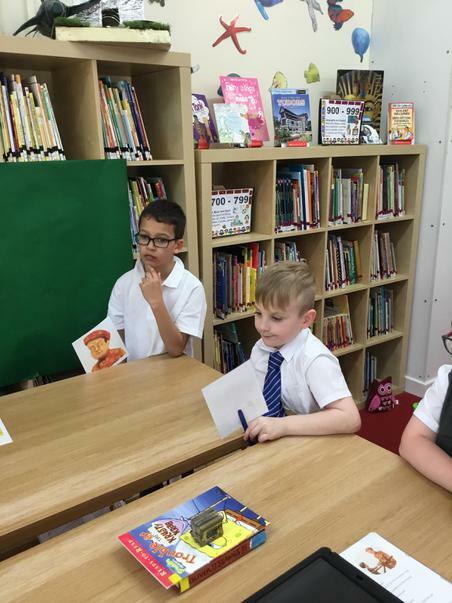 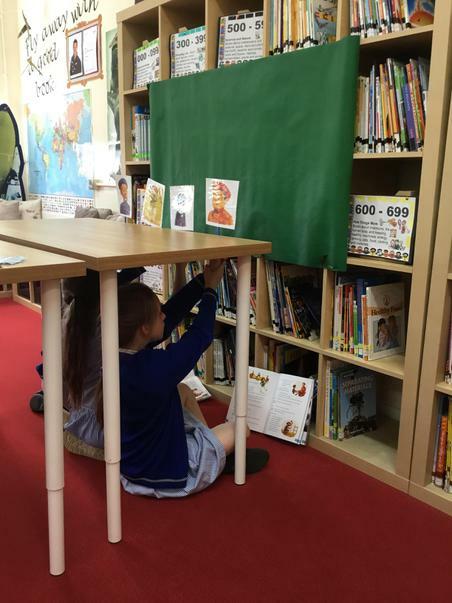 Our books are changed on Mondays, although we should bring them in every day ready to read with an adult. 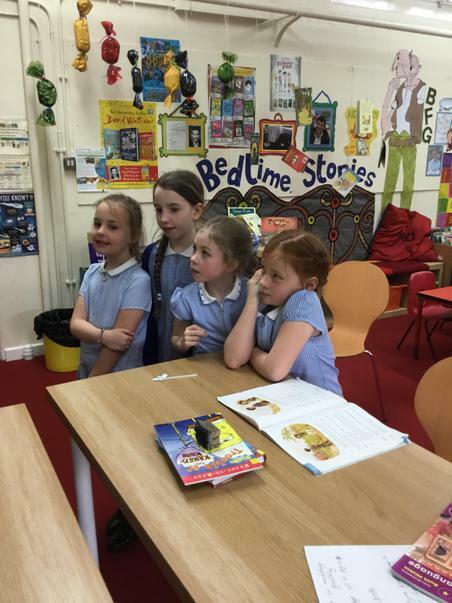 We should read at home every night for at least 10 minutes and record it in our reading record. 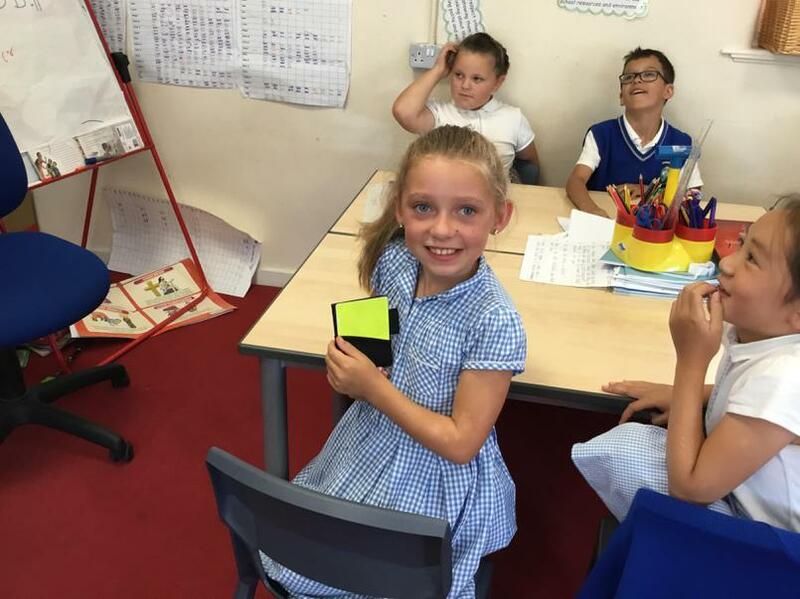 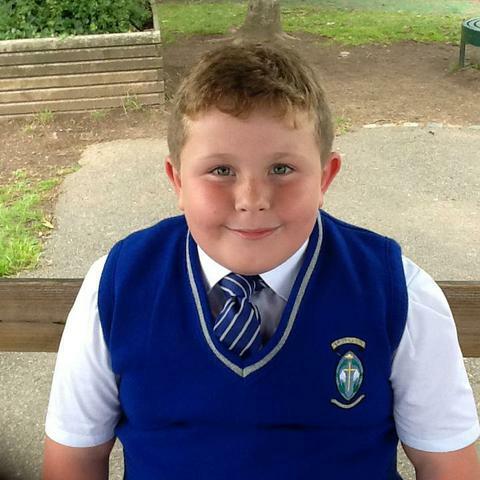 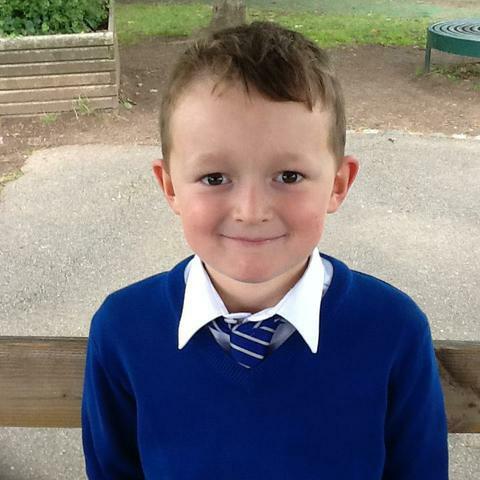 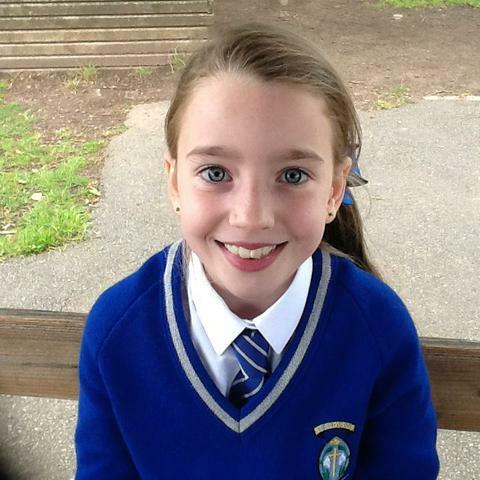 Maths homework is sent home once a week and returned by Wednesday. 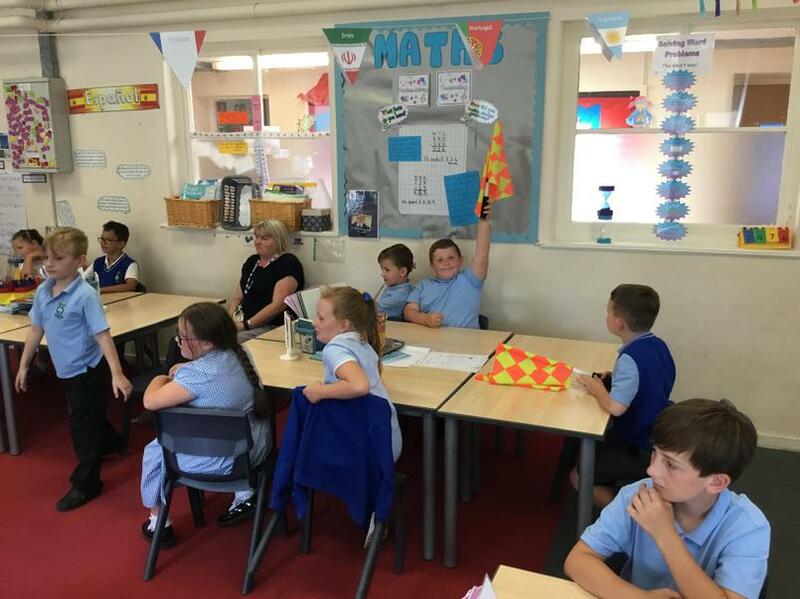 We all have access to Mymaths.co.uk to complete extra maths learning and games. 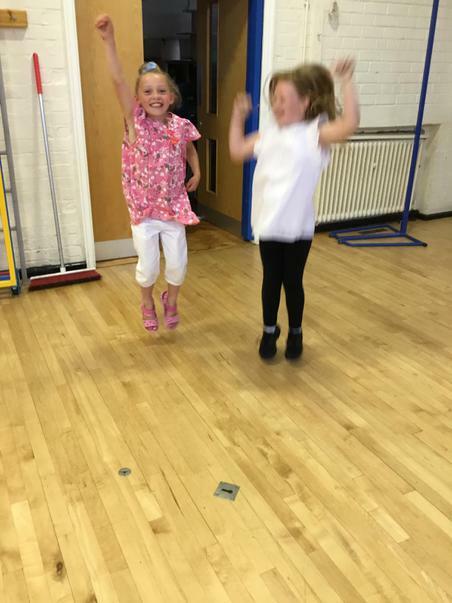 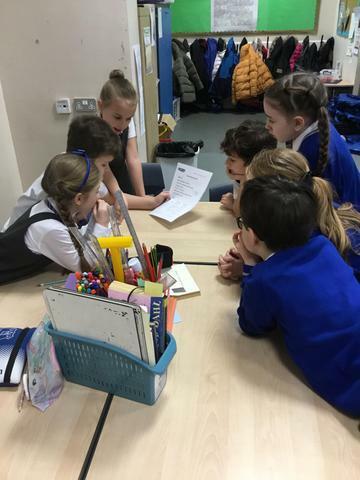 Spellings are sent home and tested on a Friday. 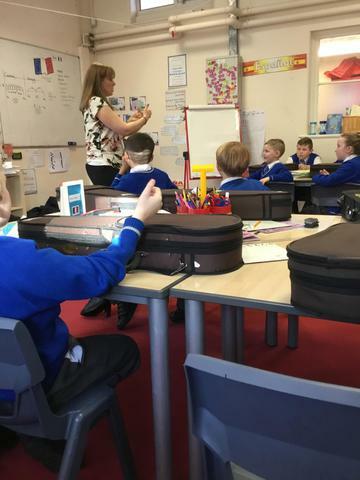 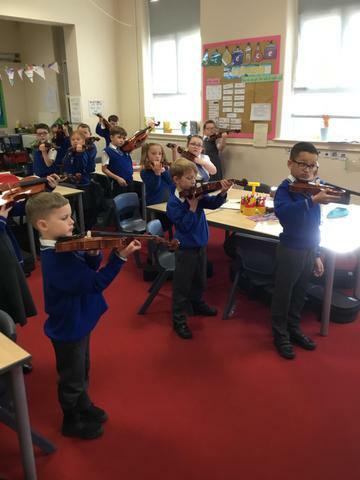 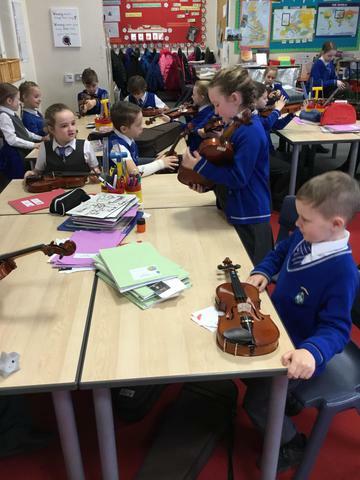 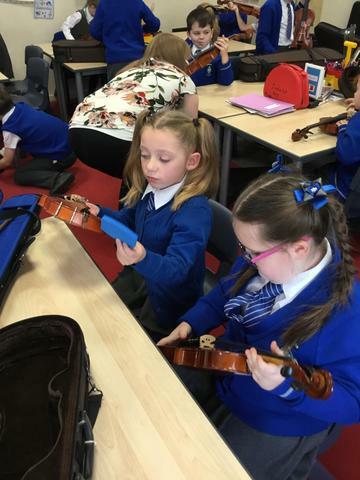 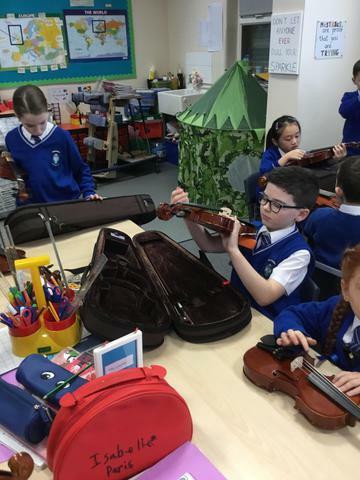 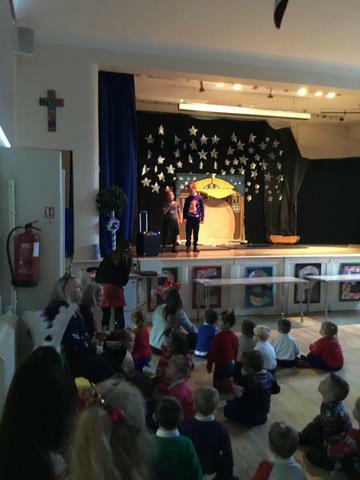 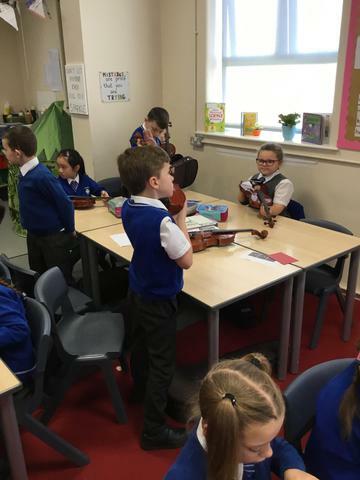 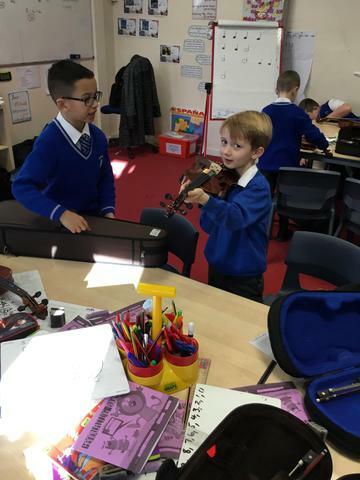 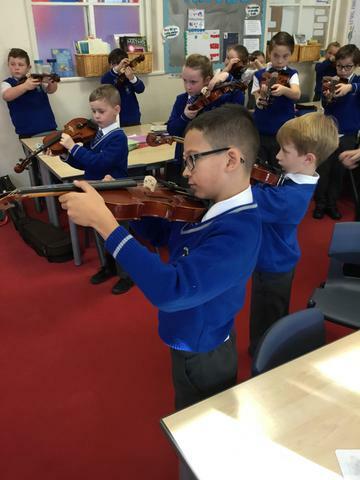 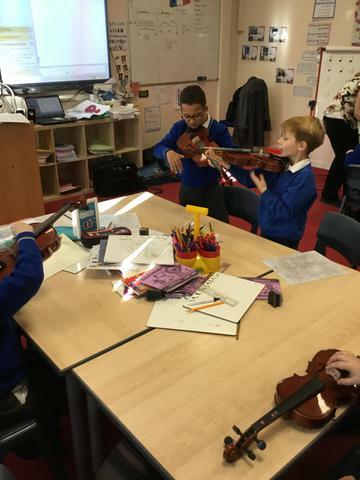 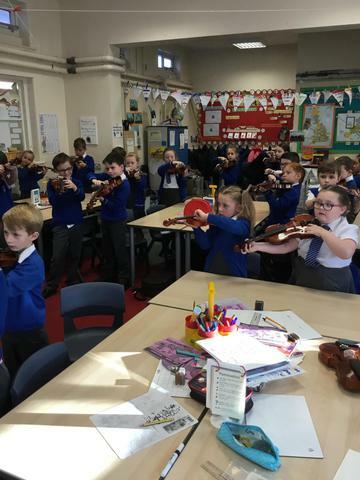 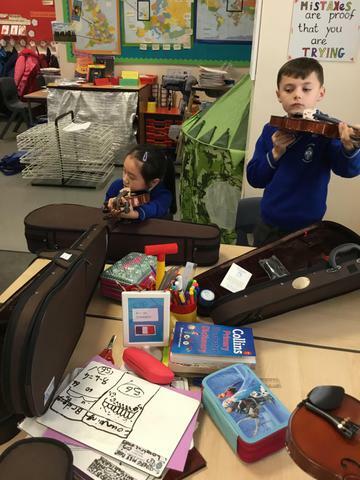 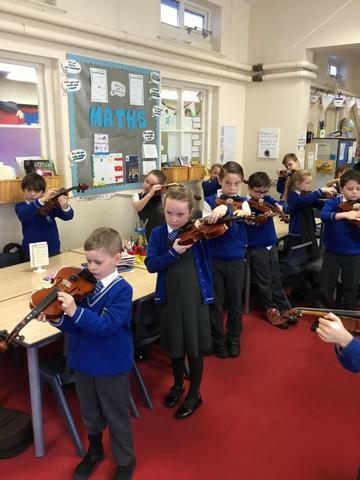 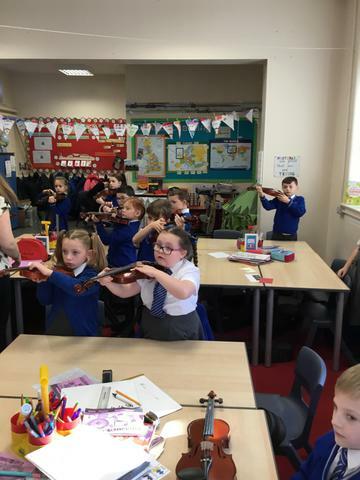 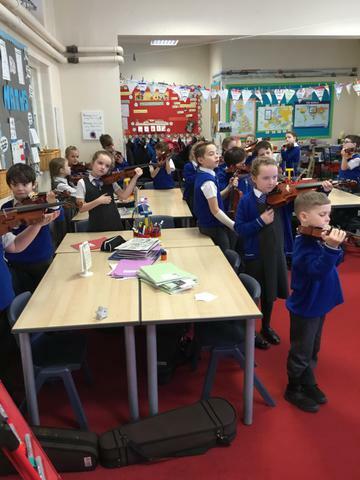 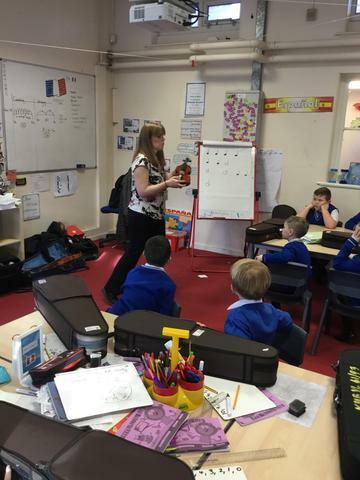 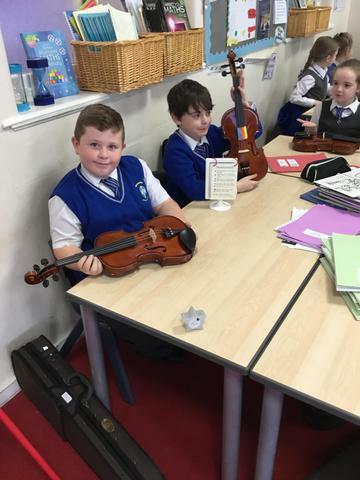 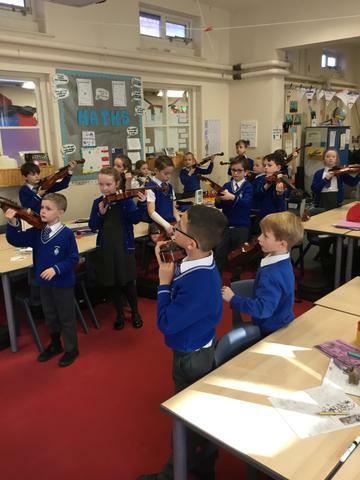 This term, Mrs Ali from the Knowsley Performing Arts Service, will be teaching us violin and the children will be allocated an appropriated sized violin to practise at home. 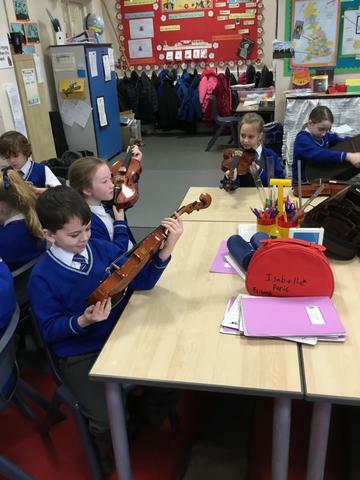 The violin must be looked after carefully and brought to school every Tuesday for our lesson. 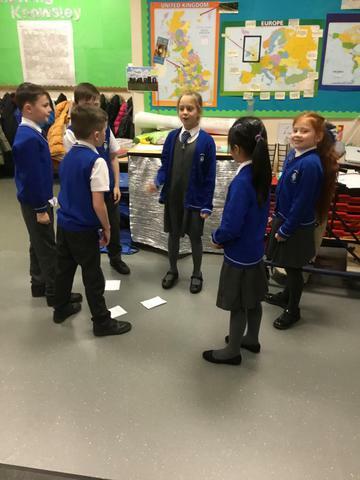 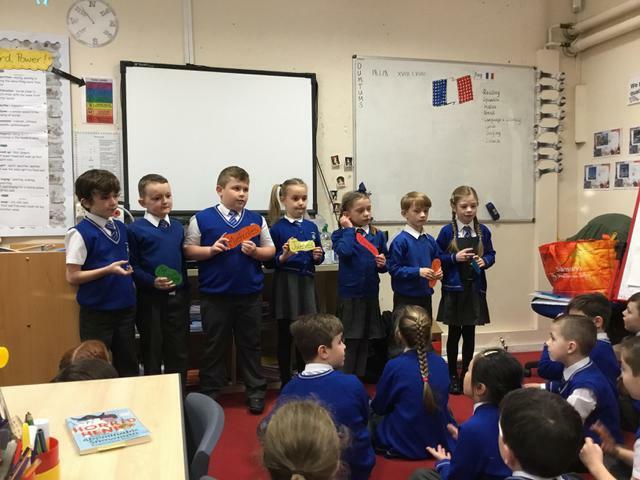 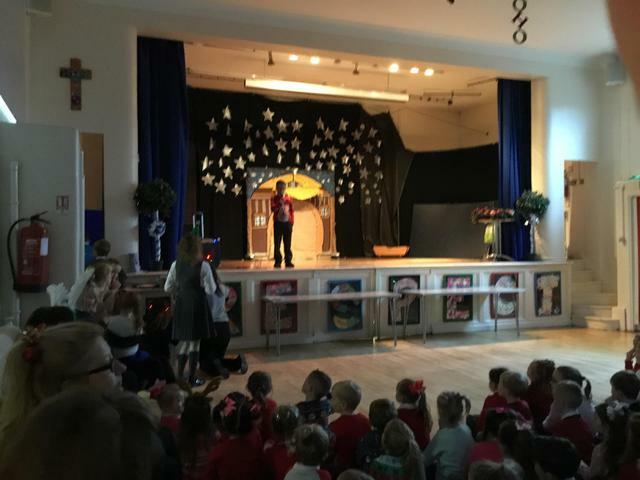 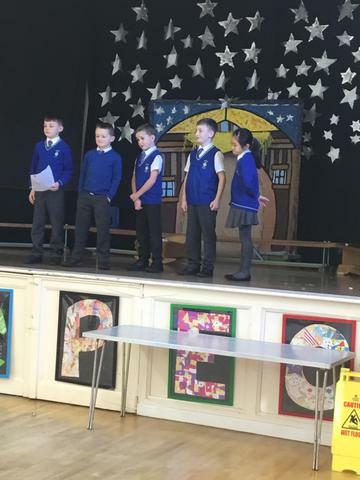 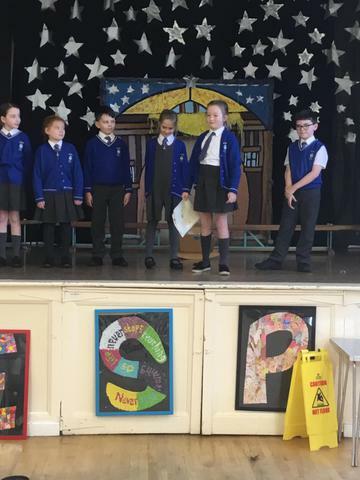 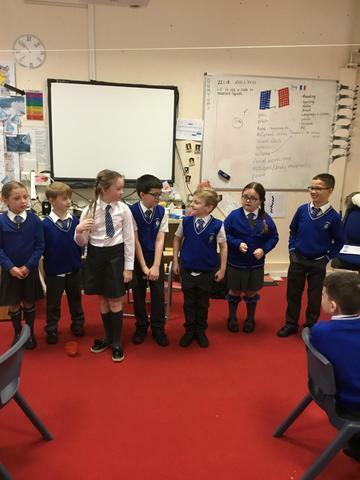 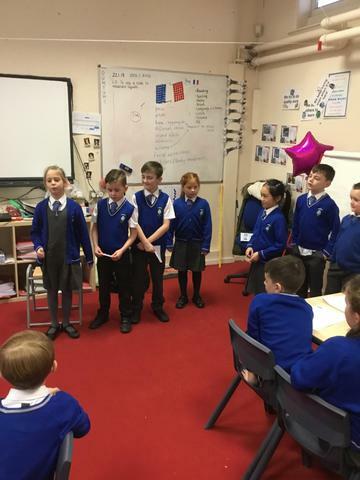 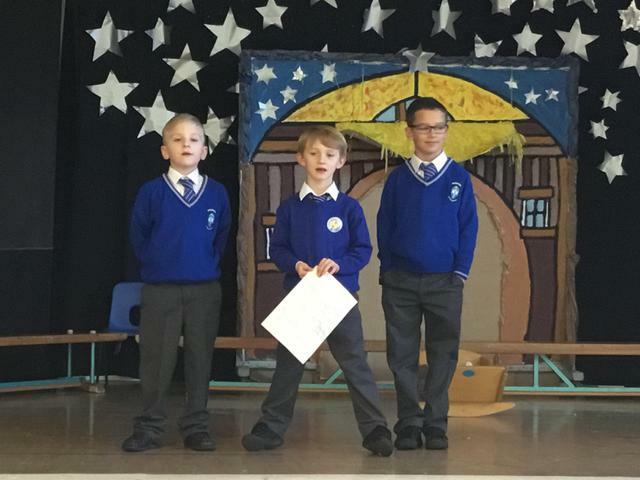 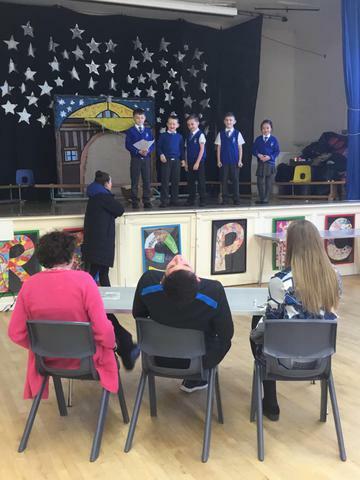 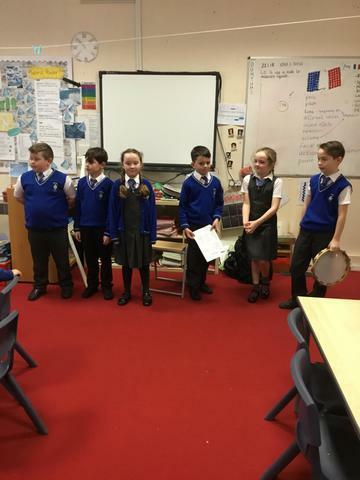 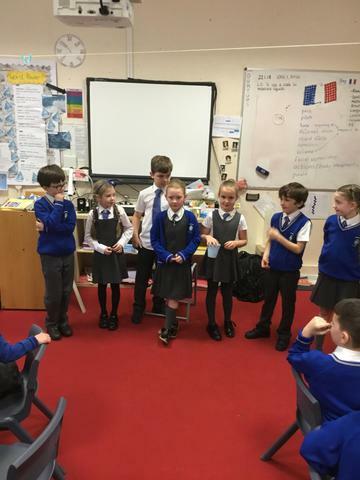 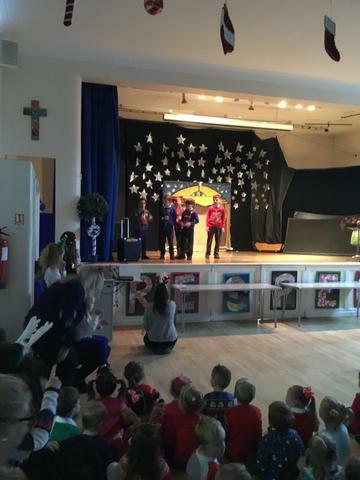 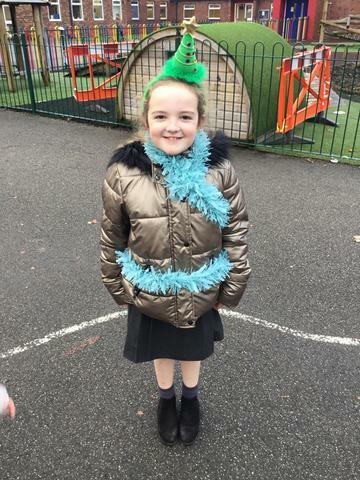 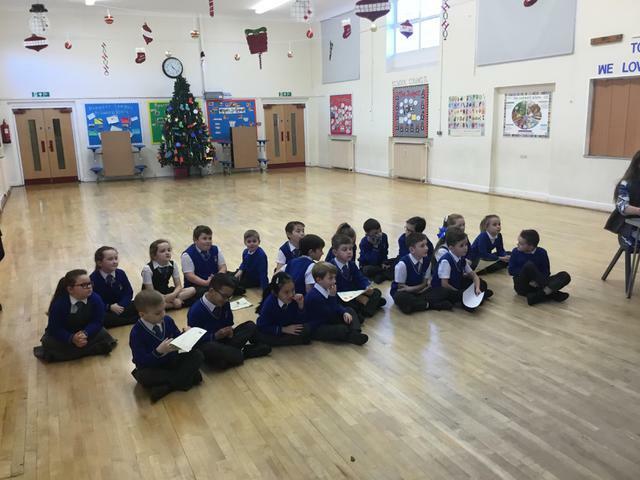 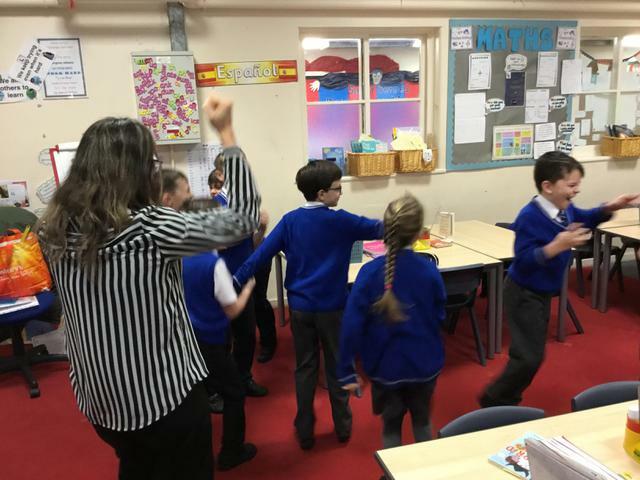 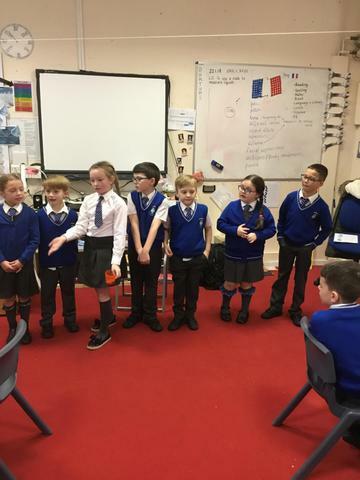 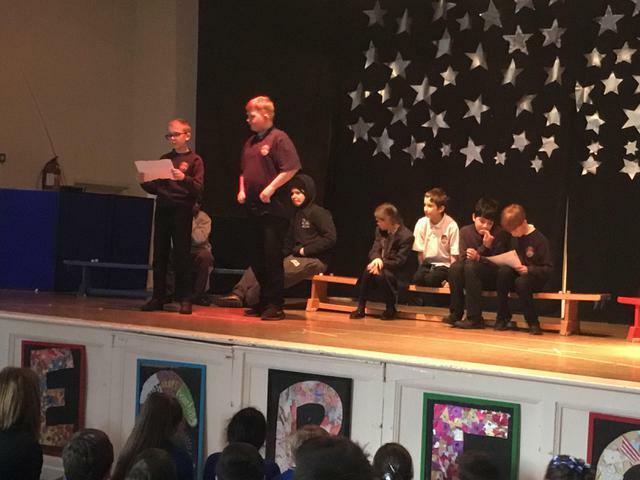 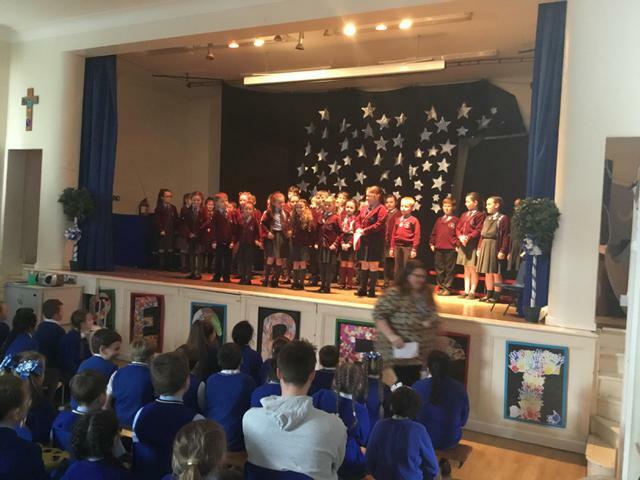 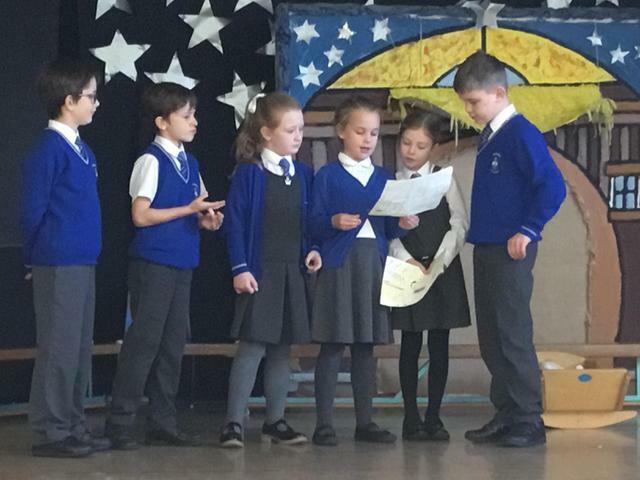 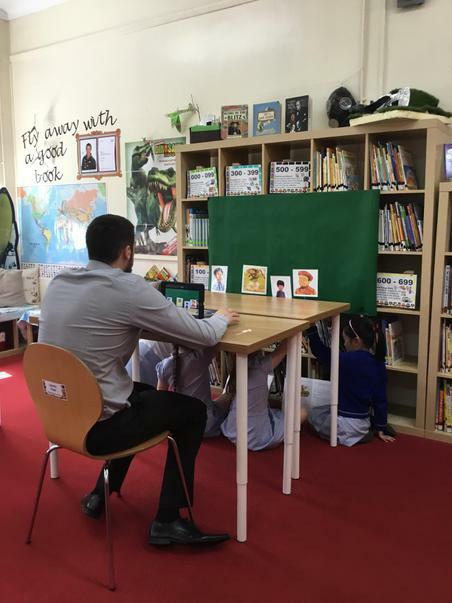 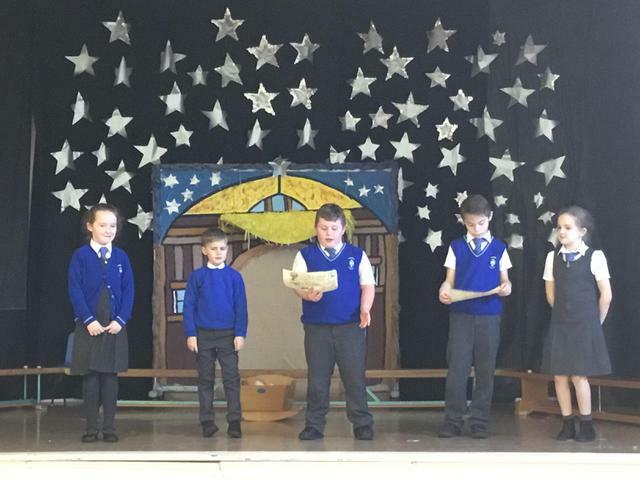 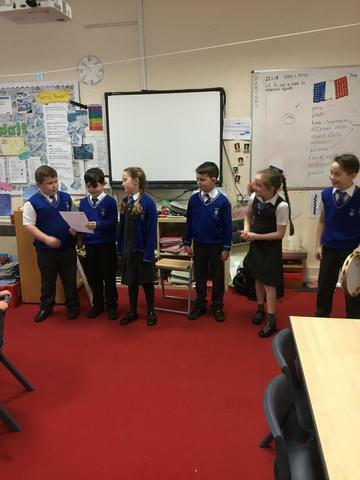 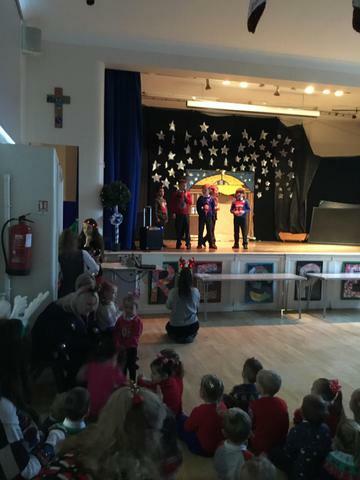 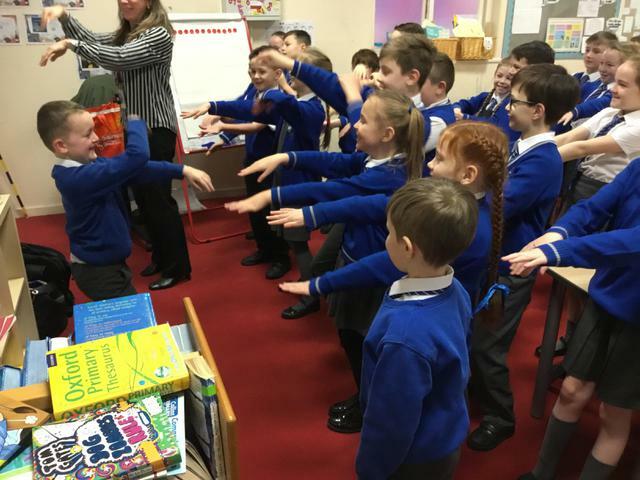 ENGLISH- Reading, performing and writing play scripts and folk tales. 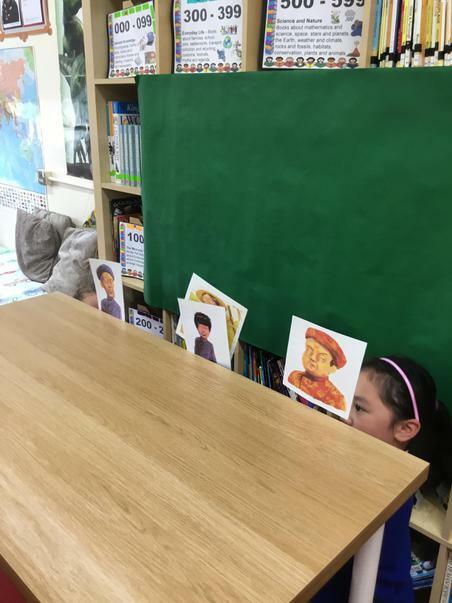 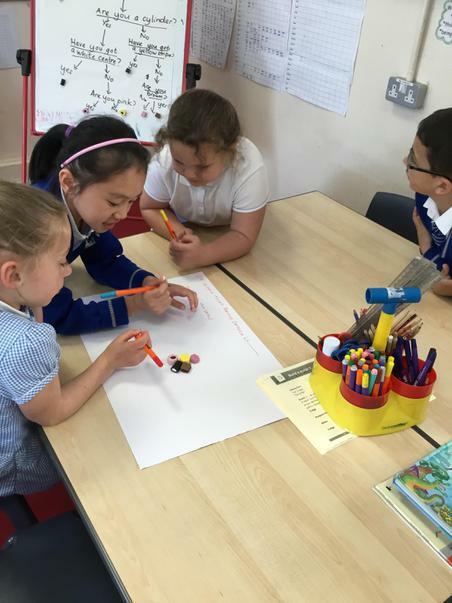 Developing explanations and biographies. 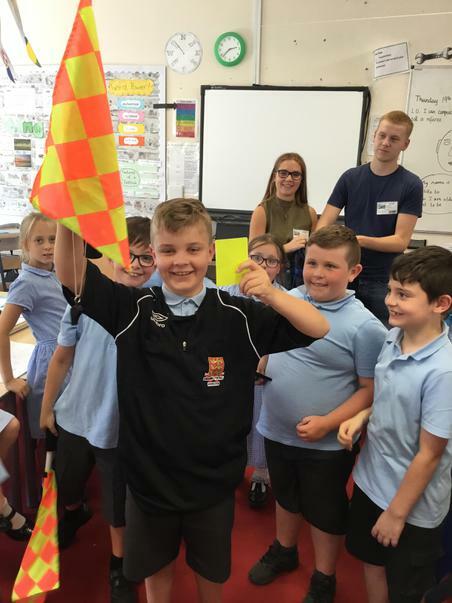 Developing and asking questions to a referee. 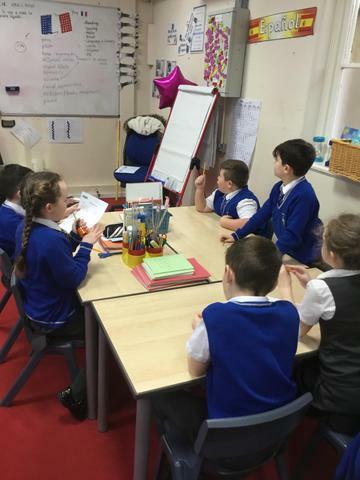 Grammar - punctuation, paragraphs, word classes, including fronted adverbials, prepositions and possessive pronouns, main and subordinate clauses. 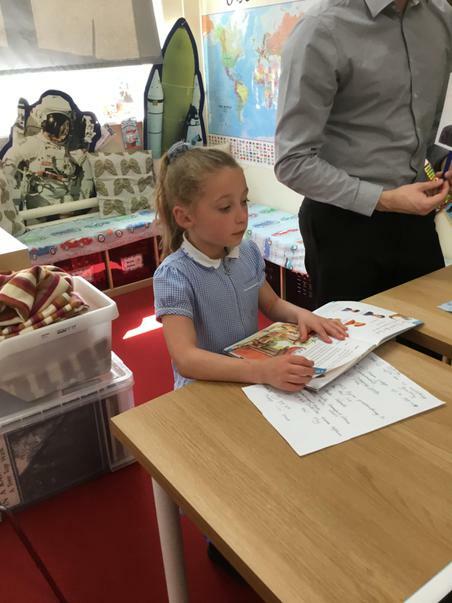 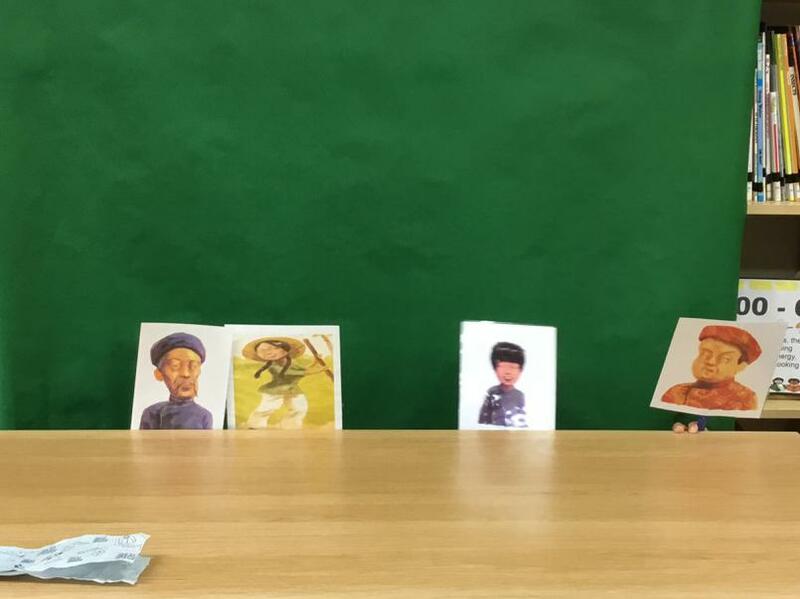 Guided Reading with Vipers. 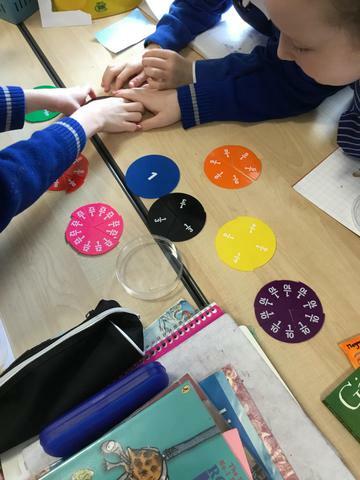 Spellings - Units from Oxford Owl Year 3/4. 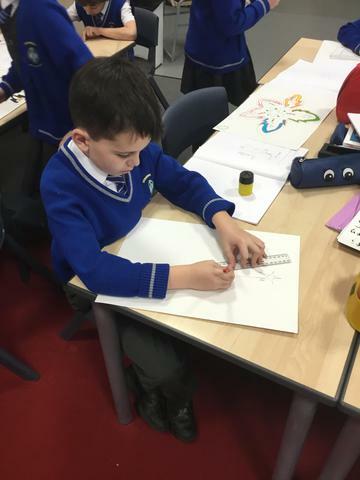 Handwriting - practising a cursive style. 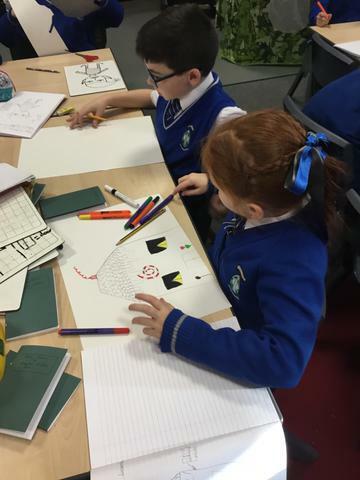 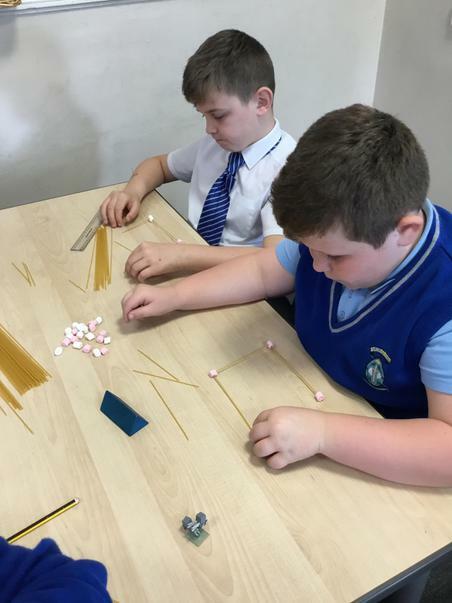 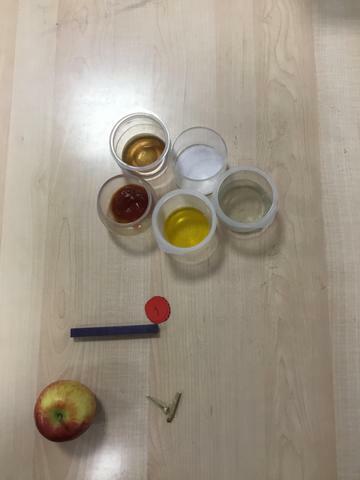 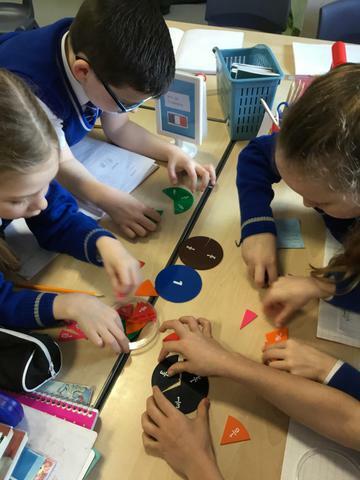 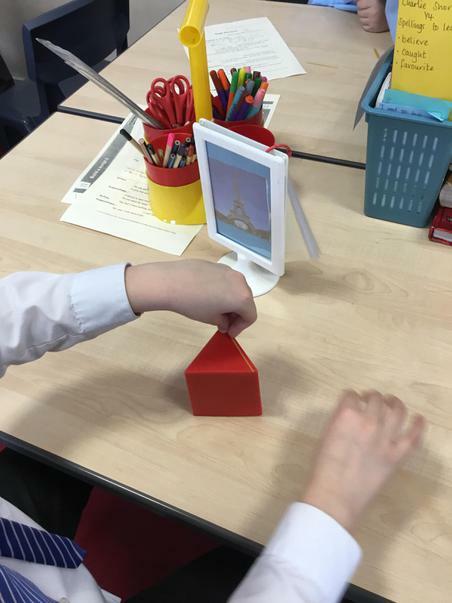 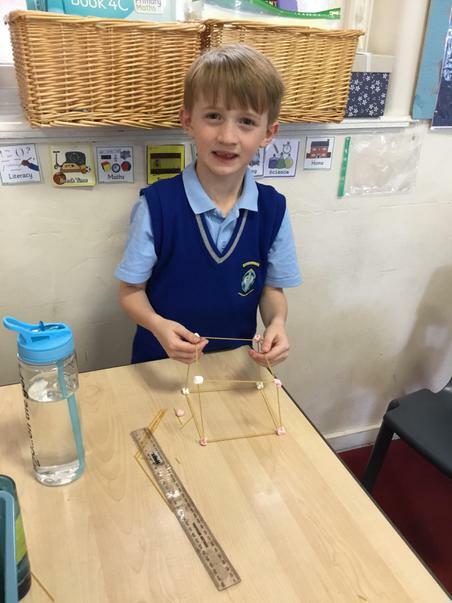 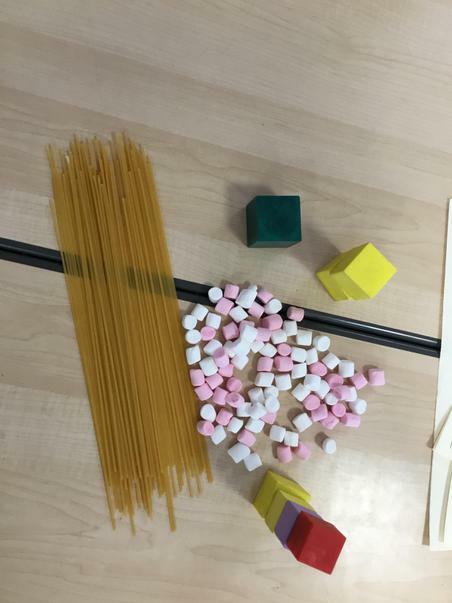 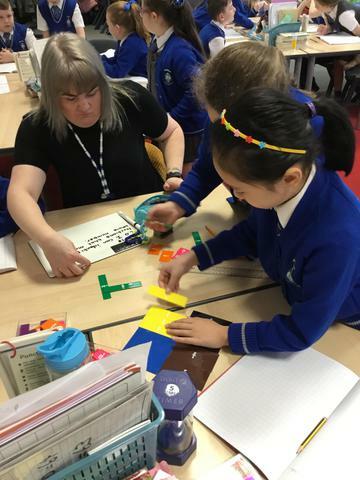 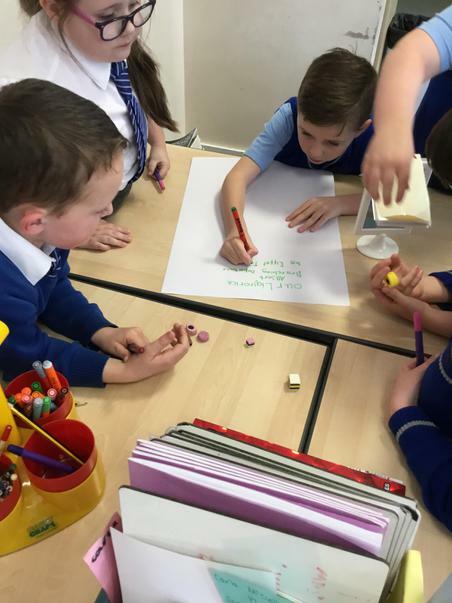 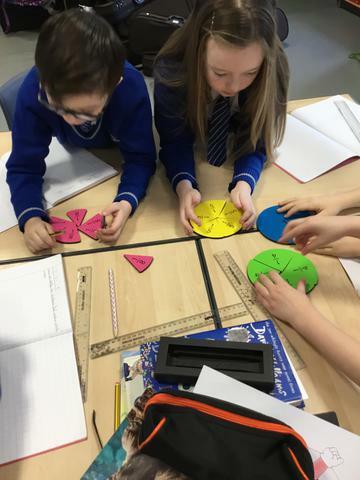 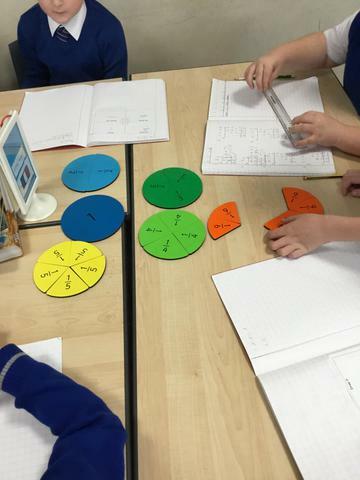 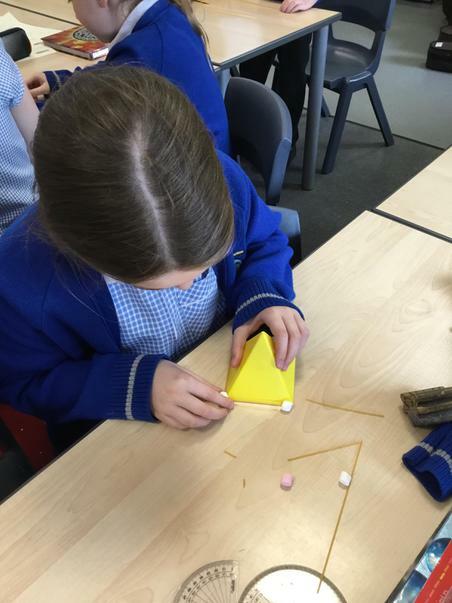 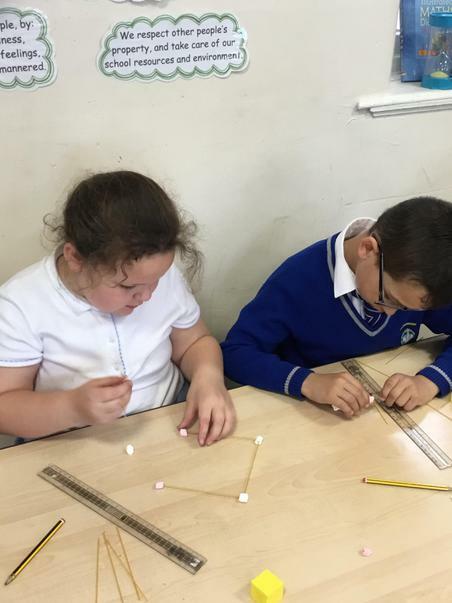 MATHS- Shape, time, angles, turns and reflections, money, statistics and data collecting and reasoning and problem solving involving all 4 operations in different contexts. 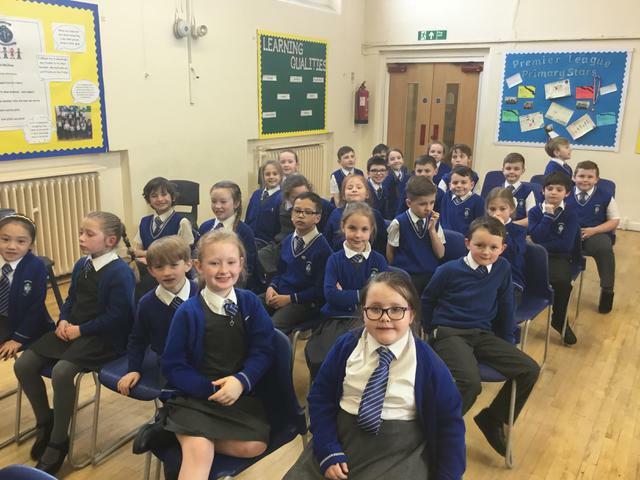 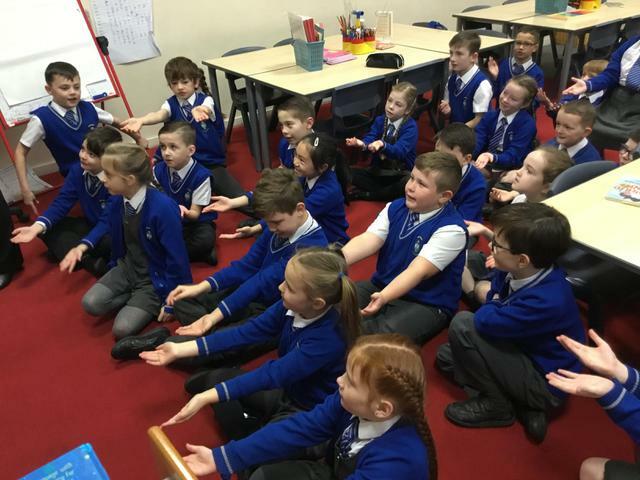 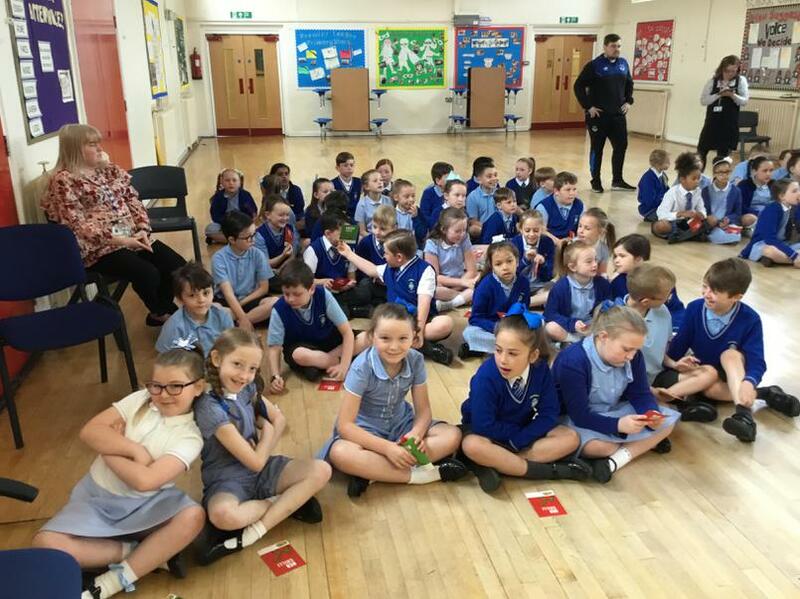 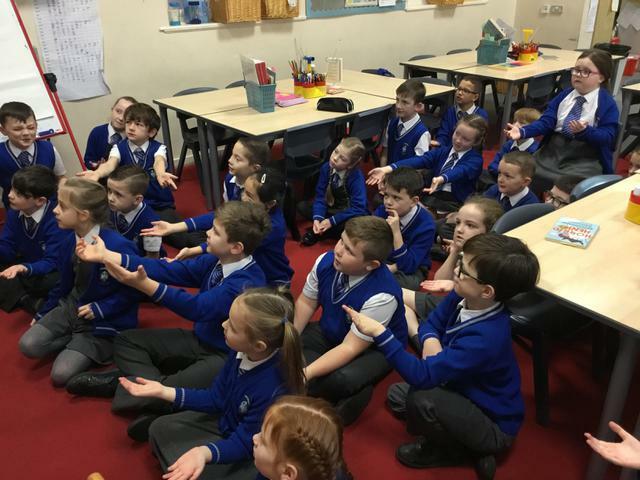 RELIGIOUS EDUCATION - Topics from our Come and See scheme about Giving All, Choices, Islam and preparing for our First Holy Communion (Year 4). 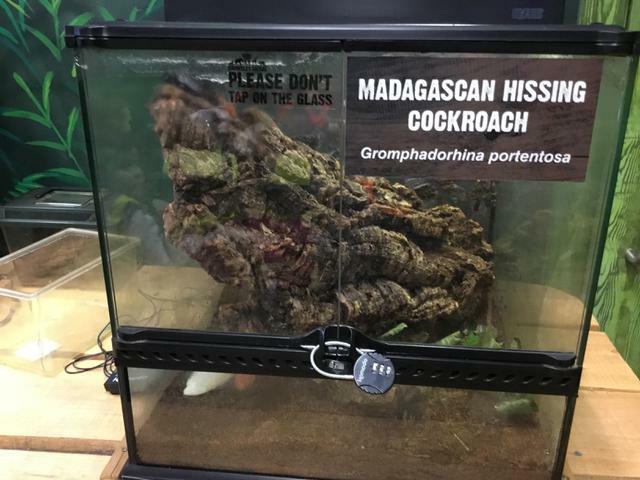 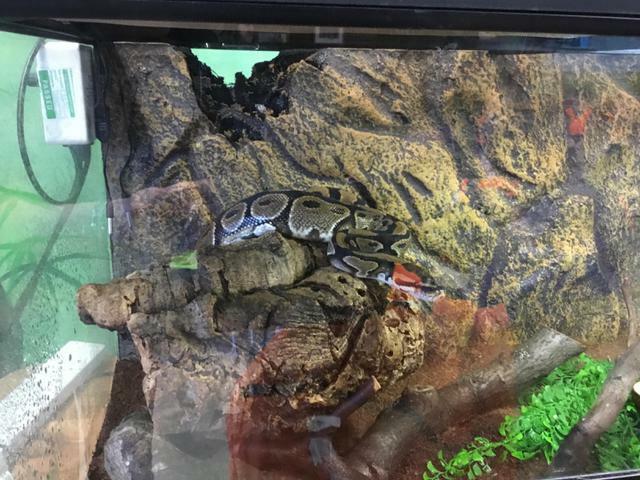 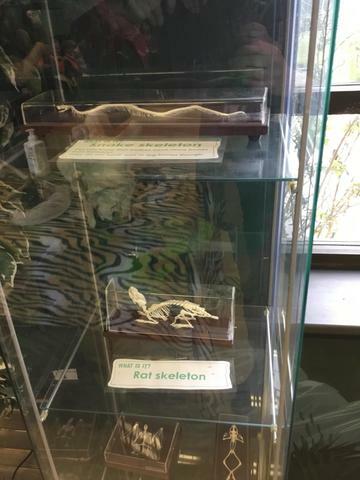 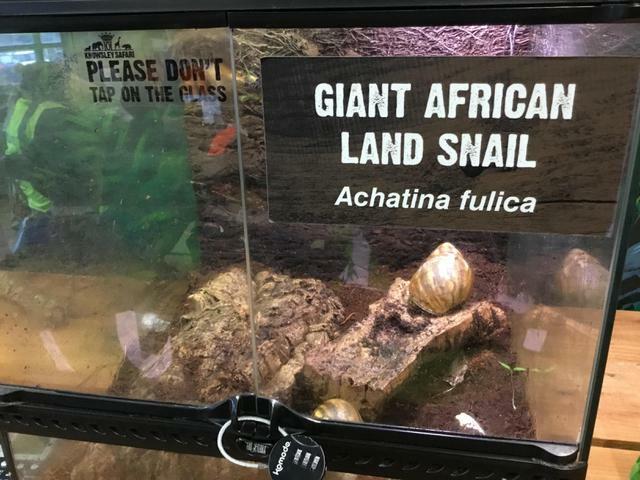 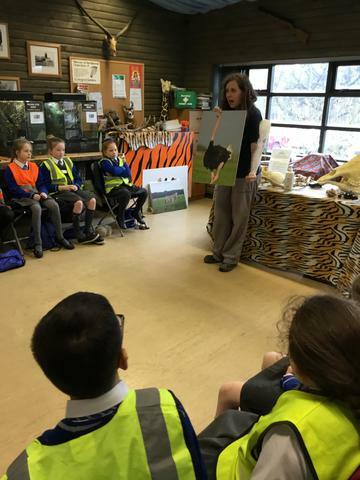 SCIENCE- Animals and their habitats including classification, Food chains, Teeth and digestion. 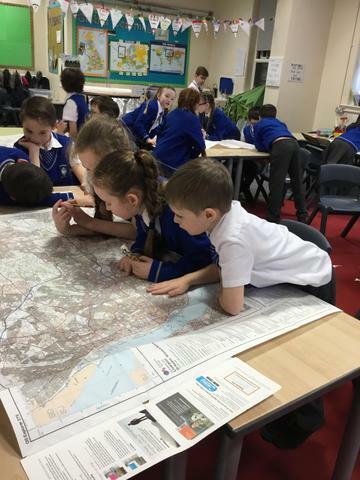 GEOGRAPHY- China, Russia and Mexico- looking at maps, land use, landmarks and places of interest. 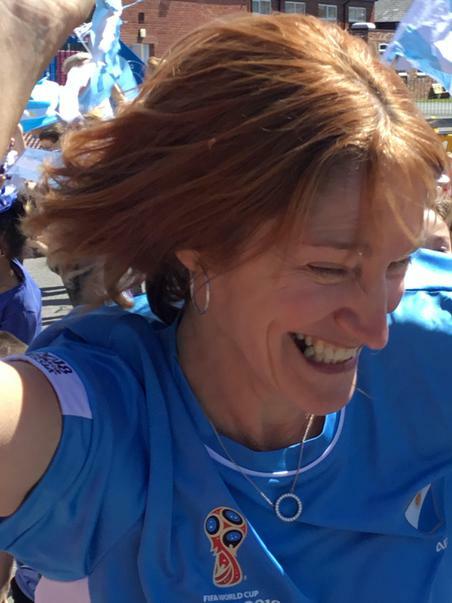 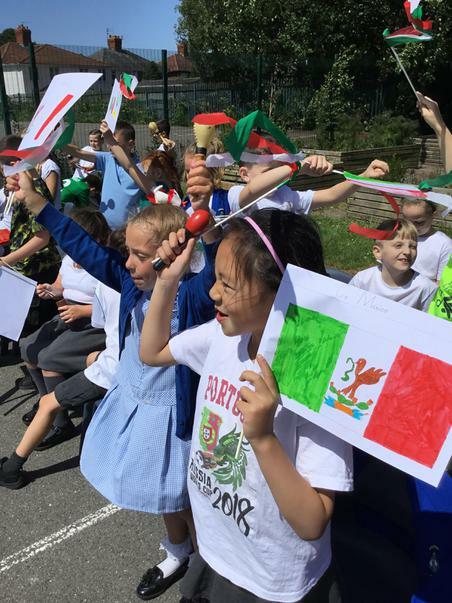 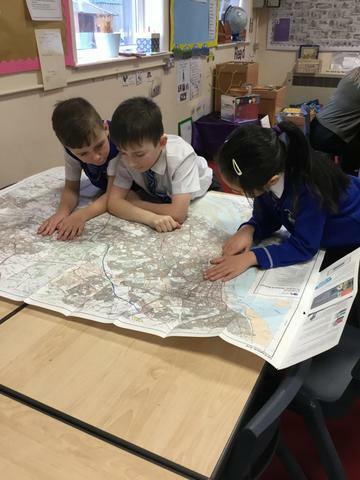 Identifying countries taking part in World Cup 2018, locating on maps, identifying continents, flags and capital cities. 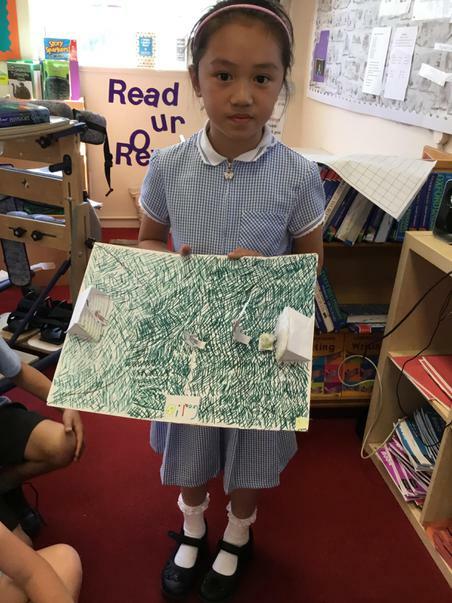 HISTORY- A study of the Shang Dynasty and it's achievements and innovations. 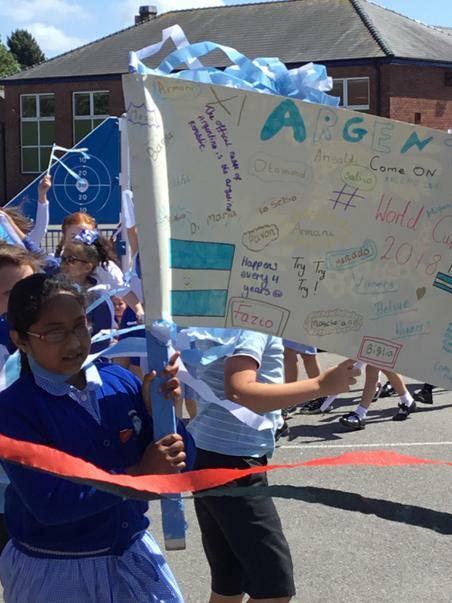 The history of the World Cup with a special focus on 1966. 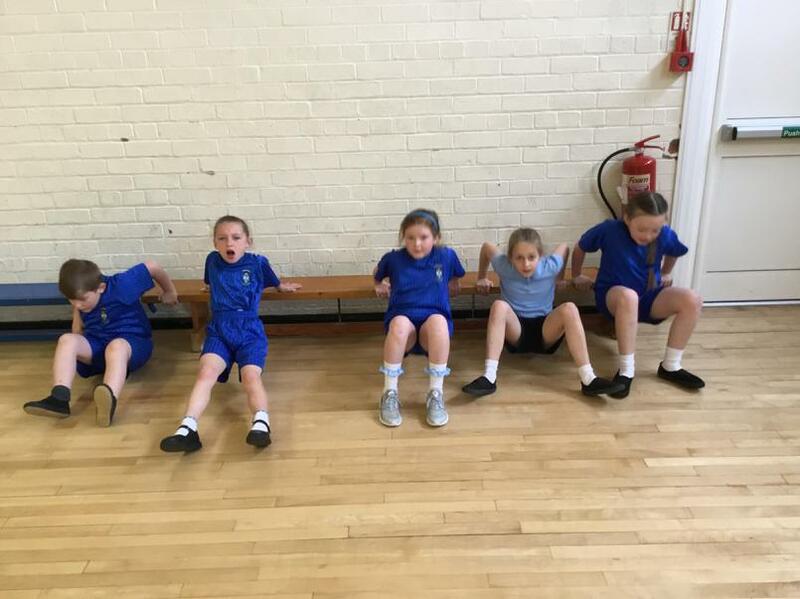 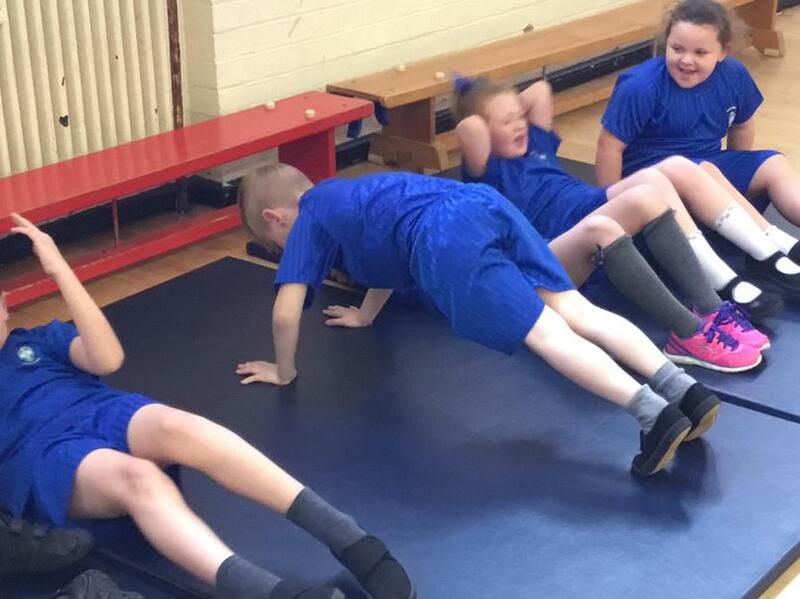 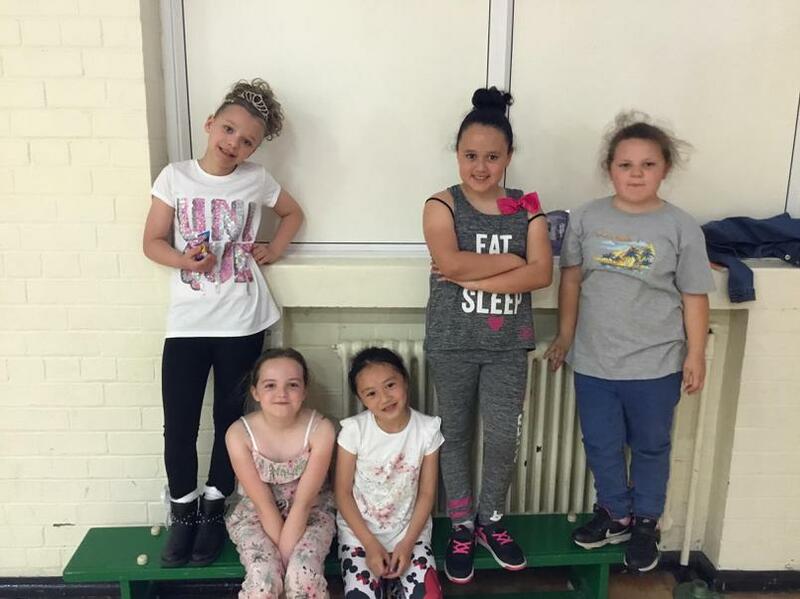 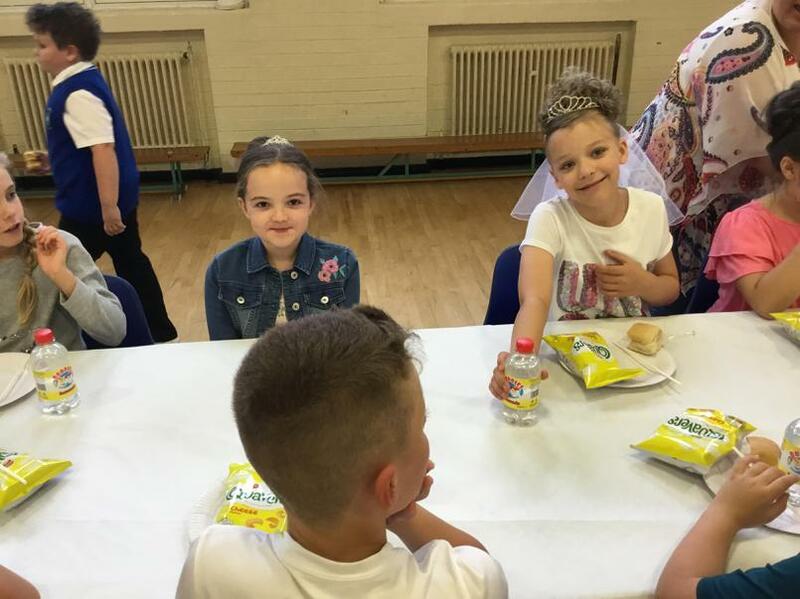 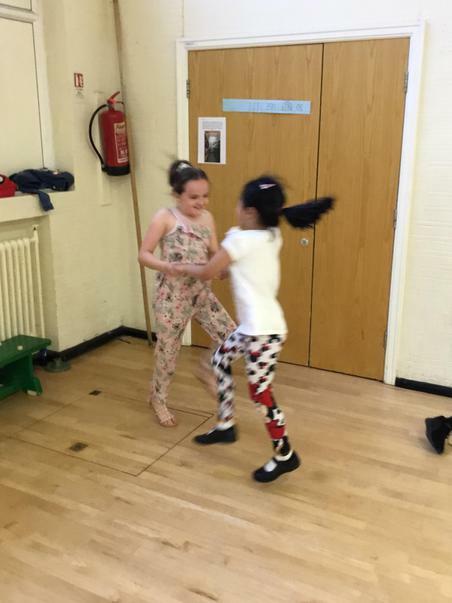 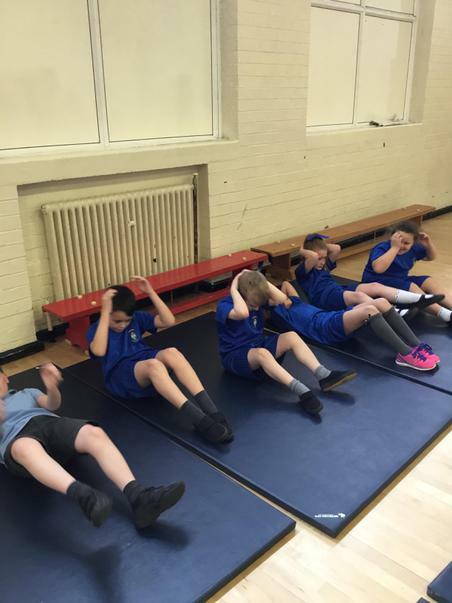 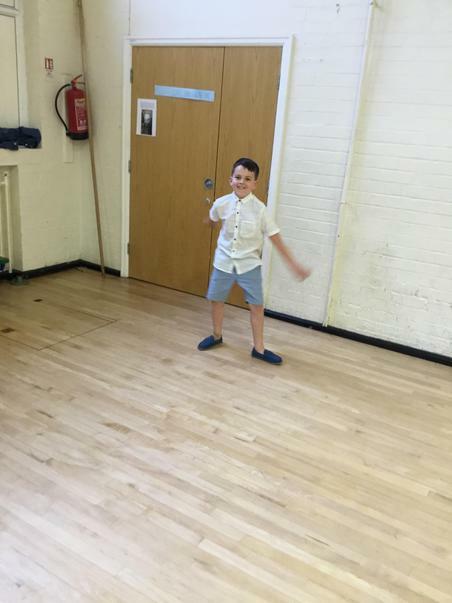 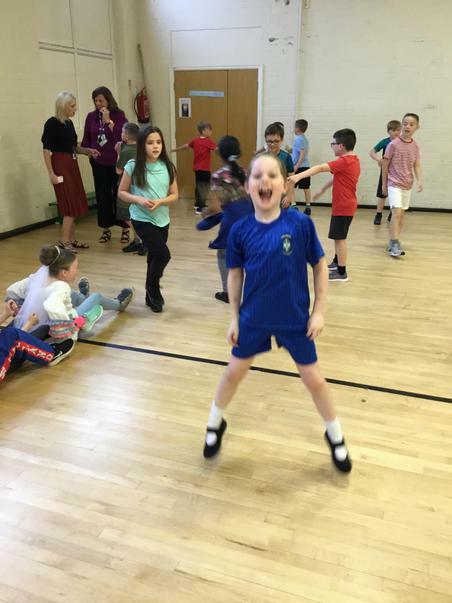 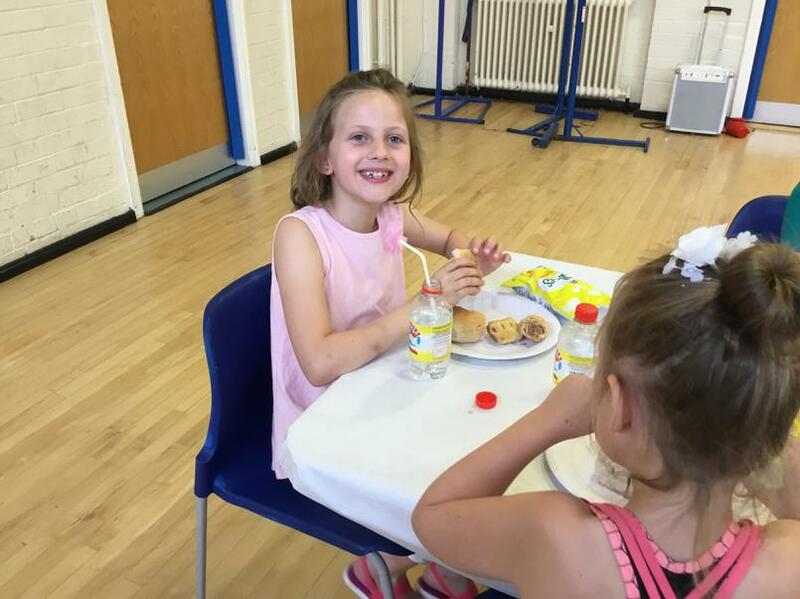 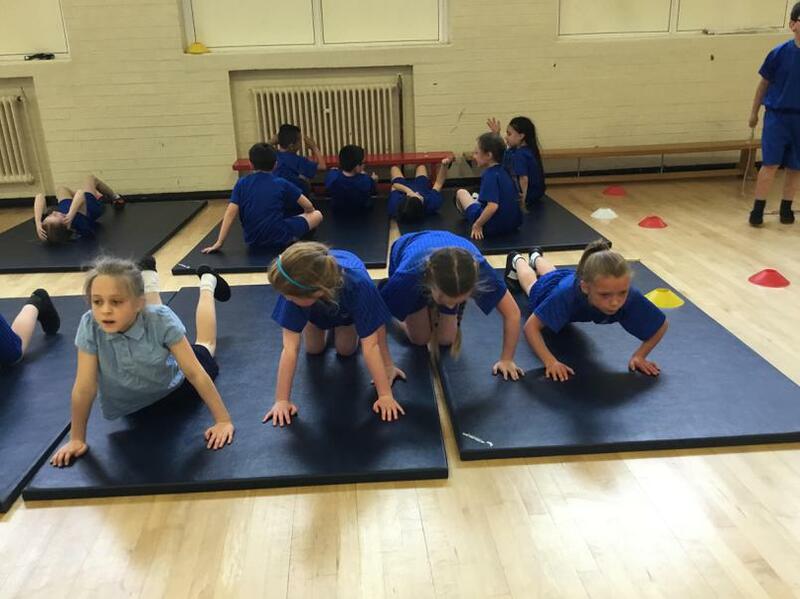 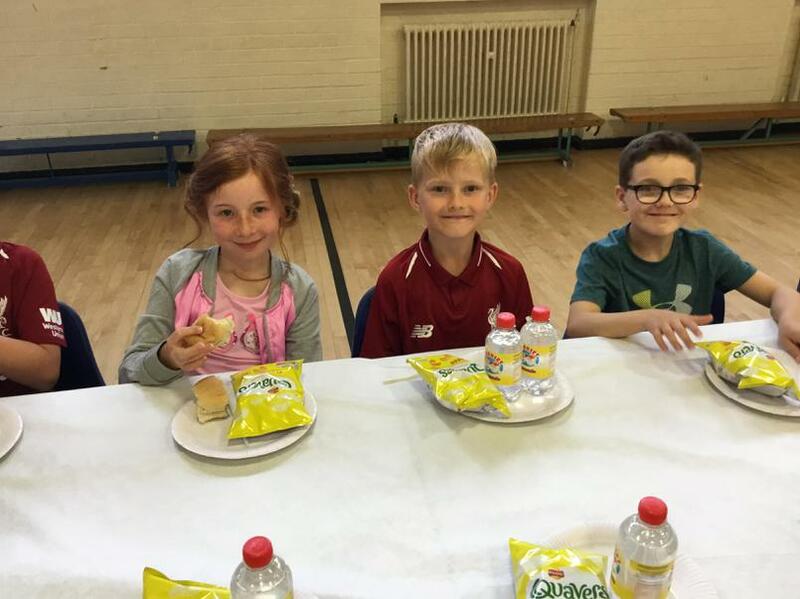 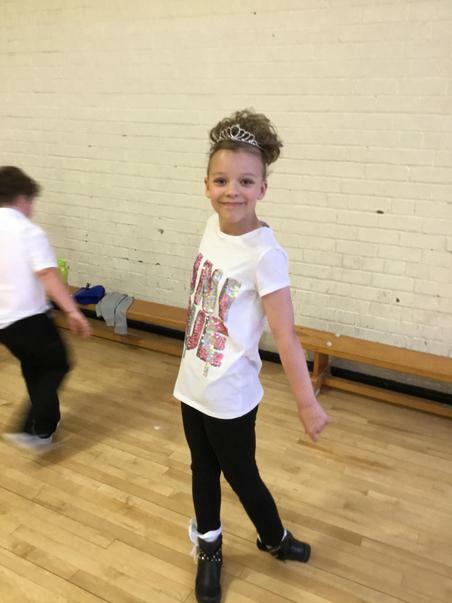 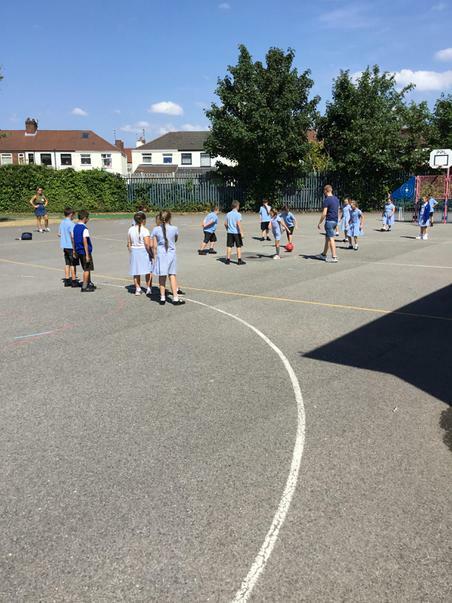 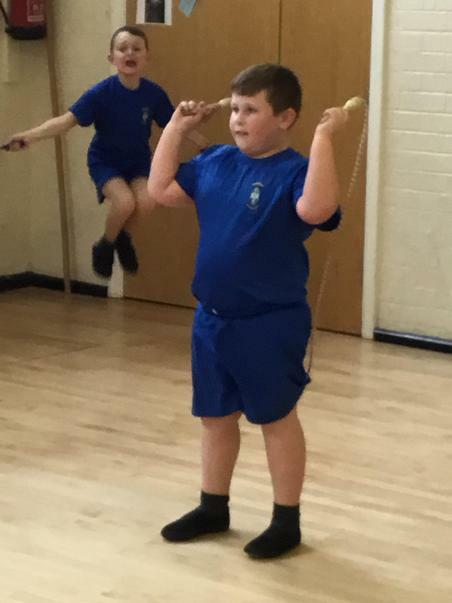 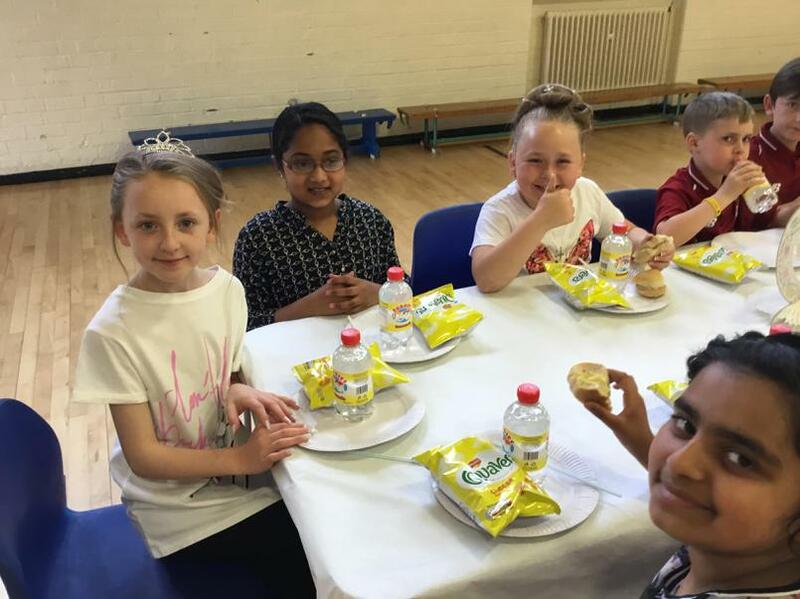 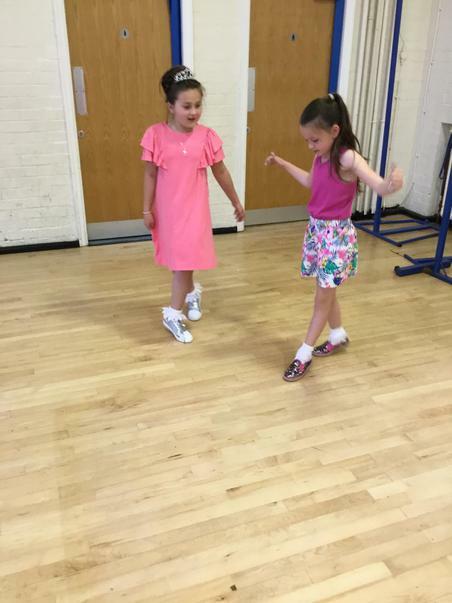 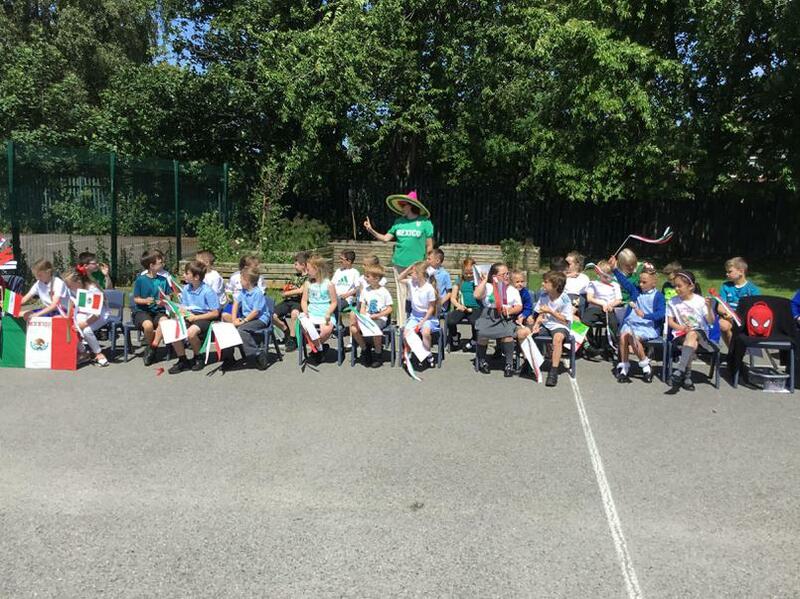 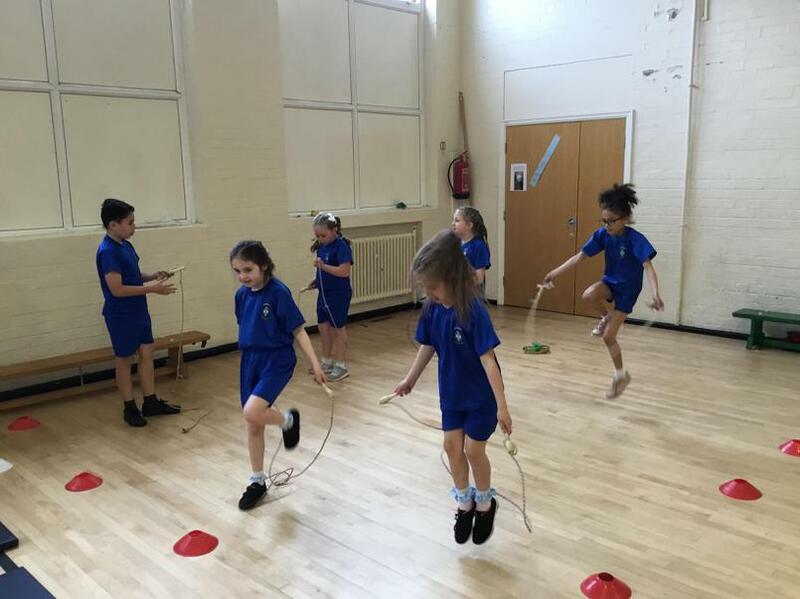 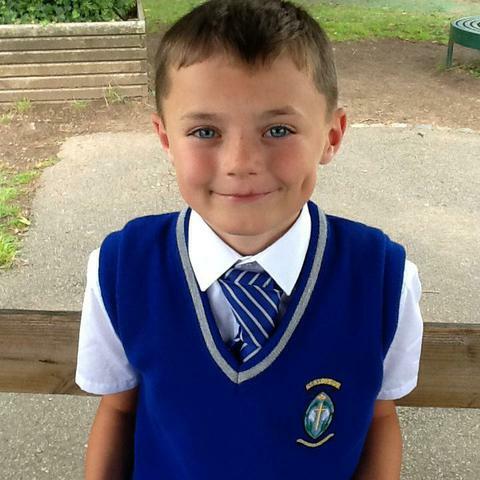 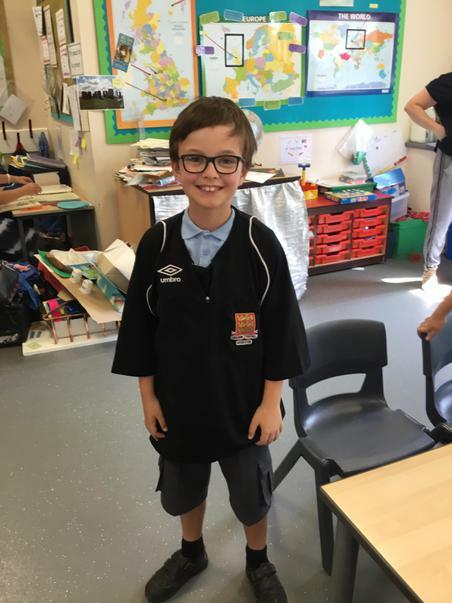 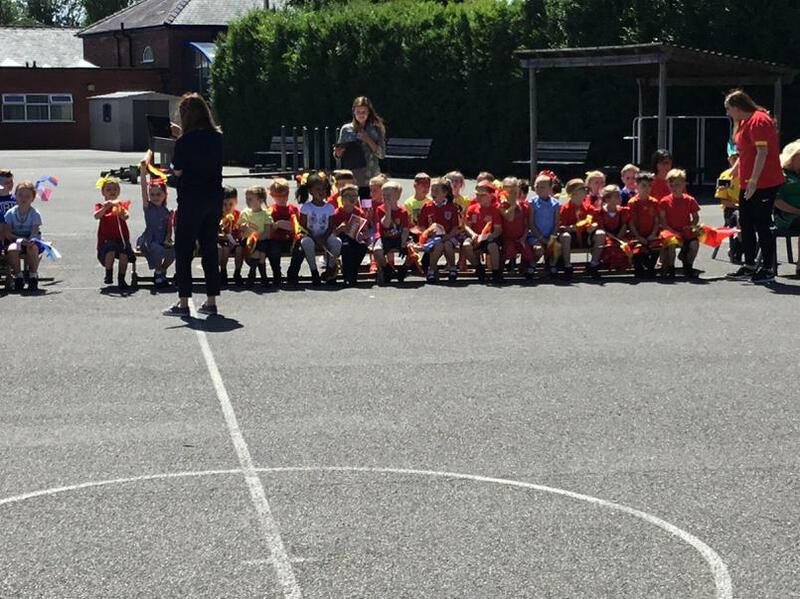 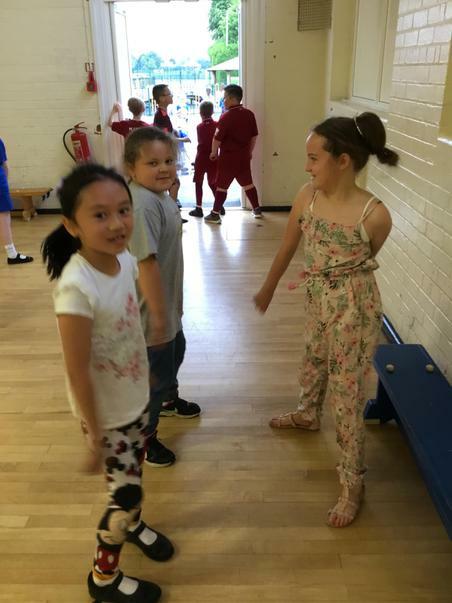 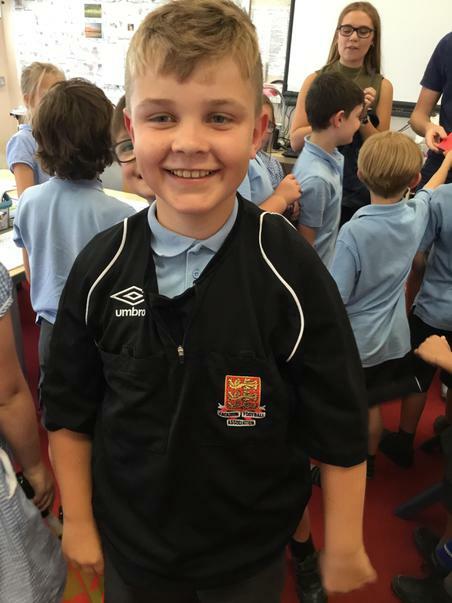 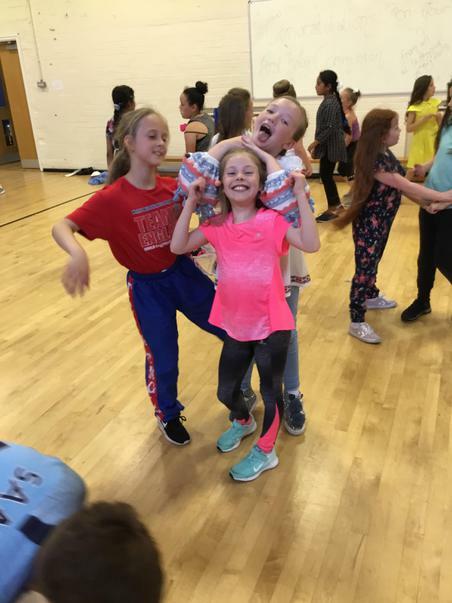 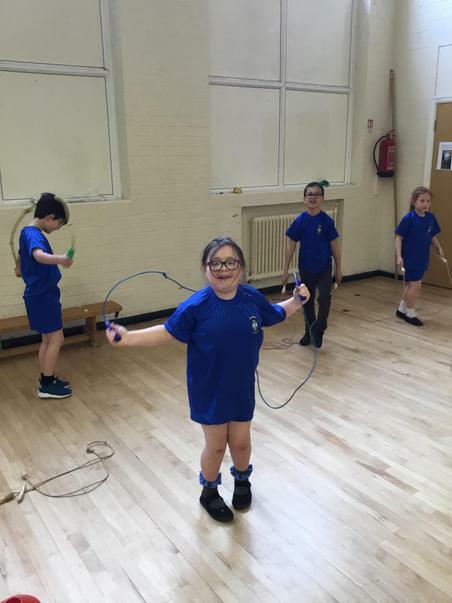 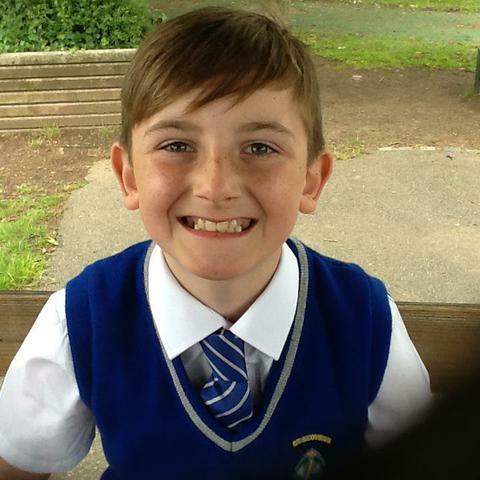 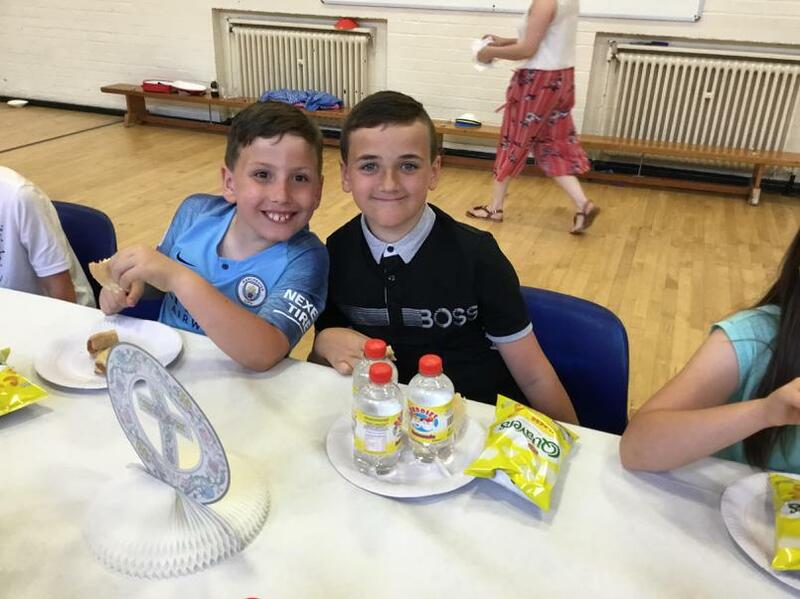 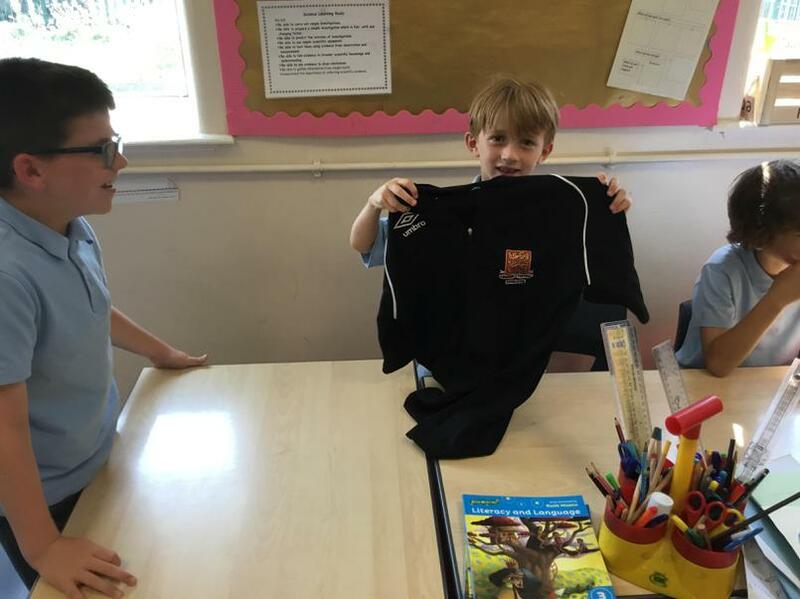 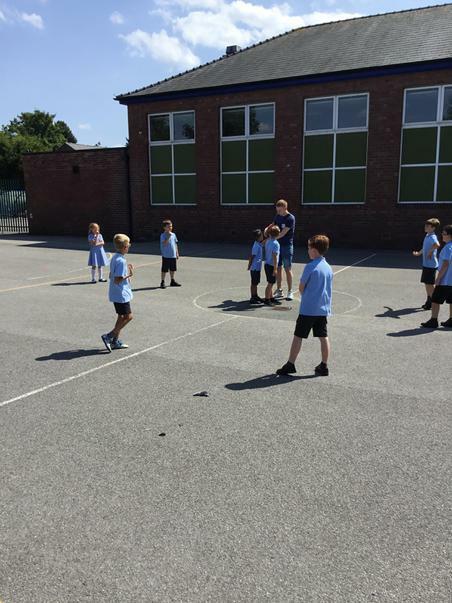 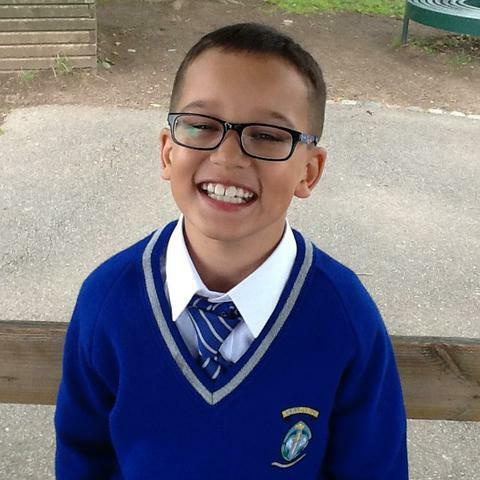 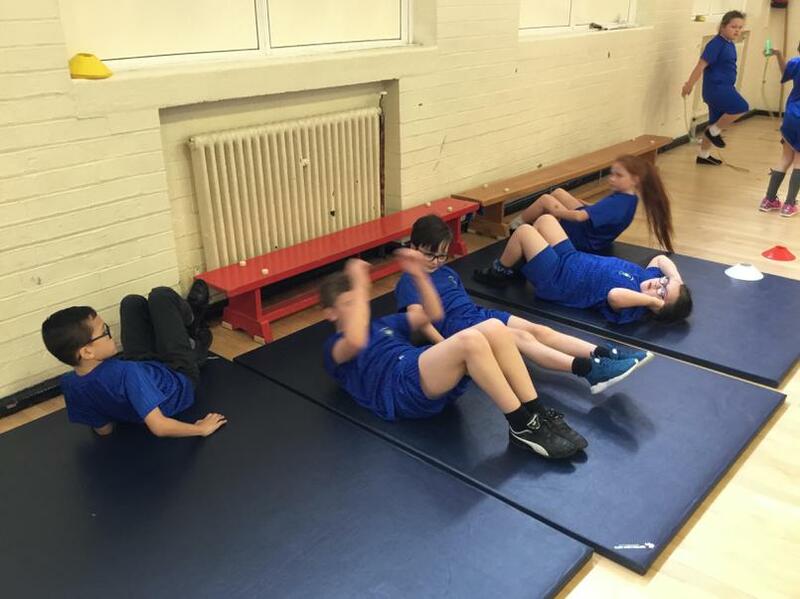 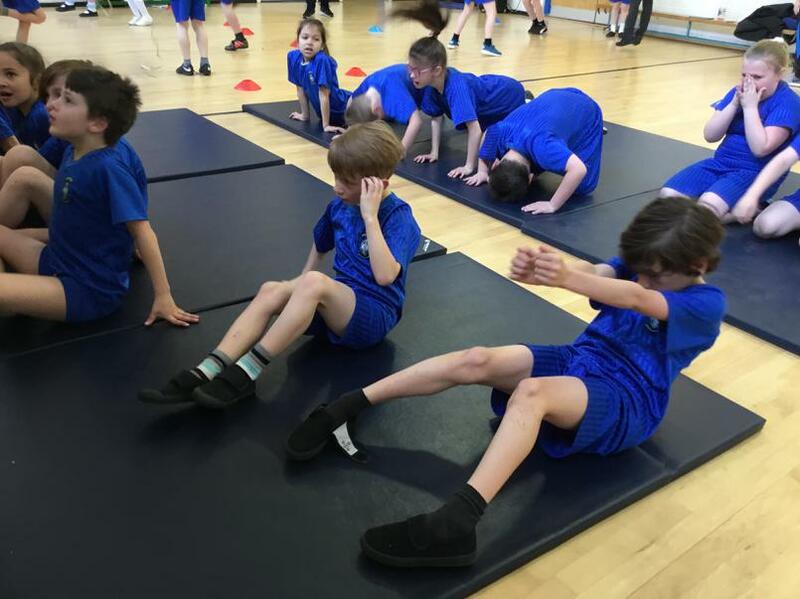 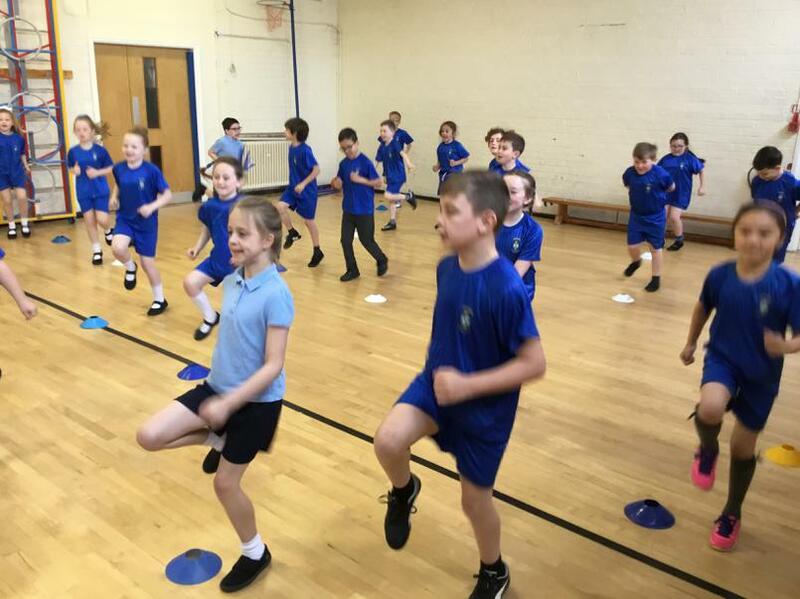 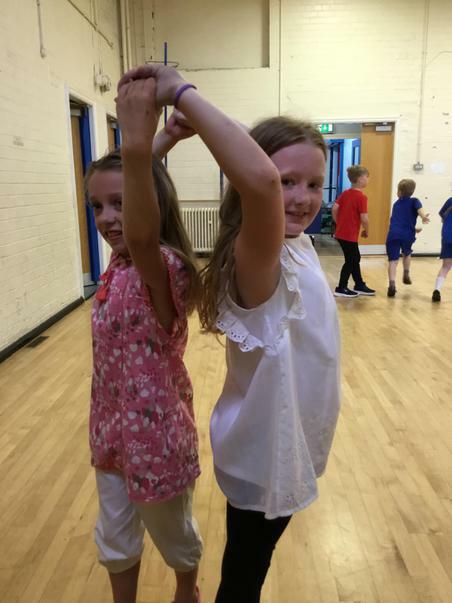 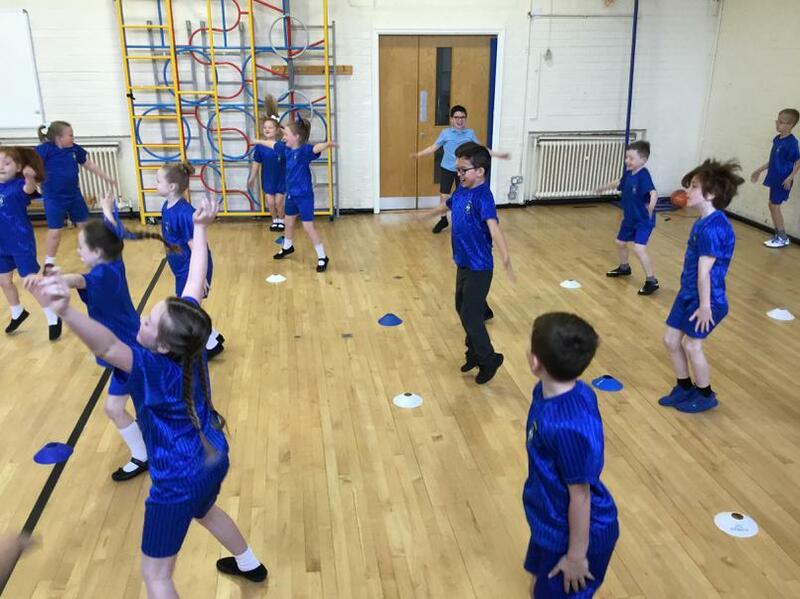 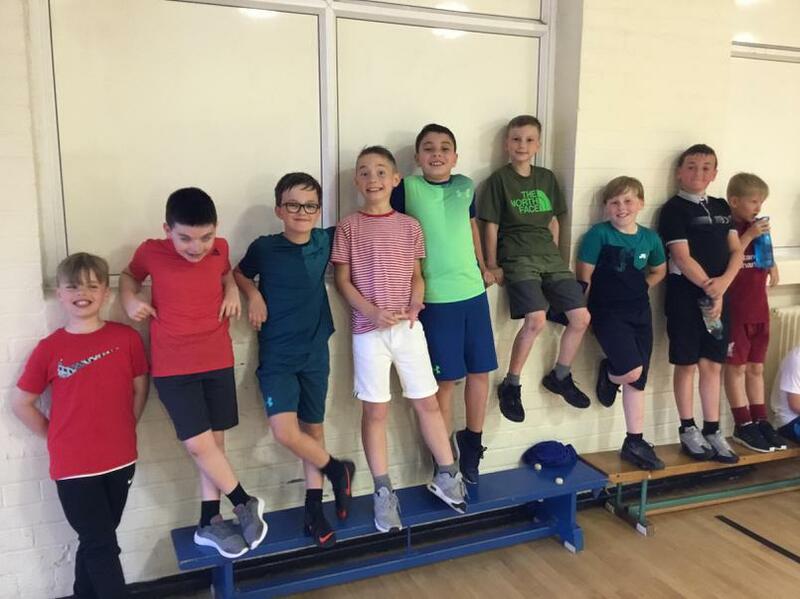 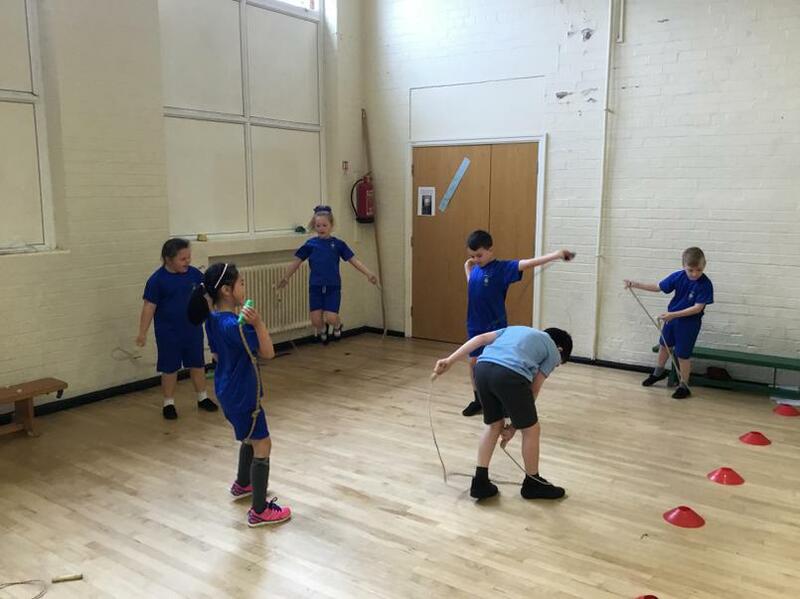 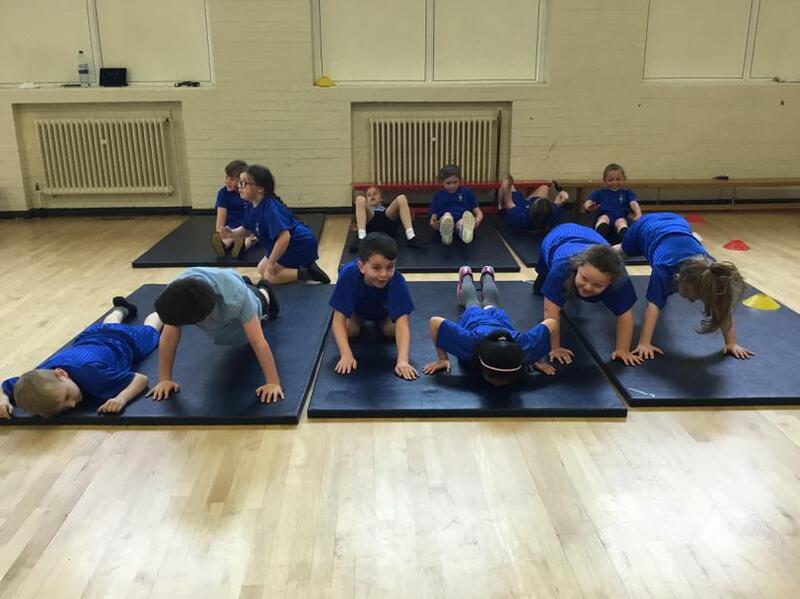 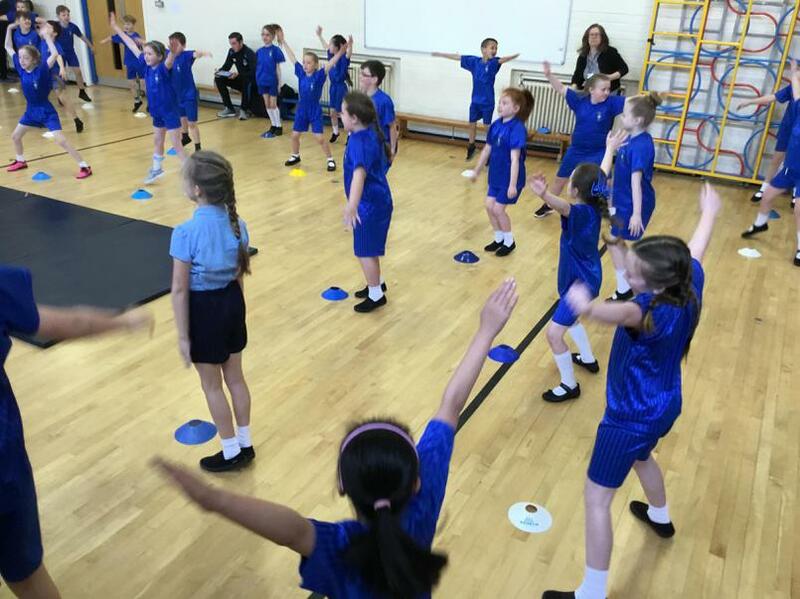 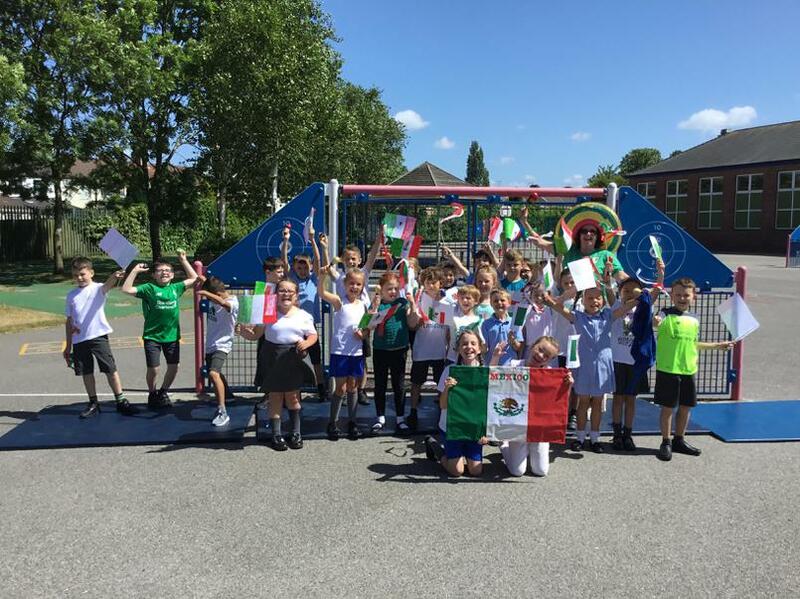 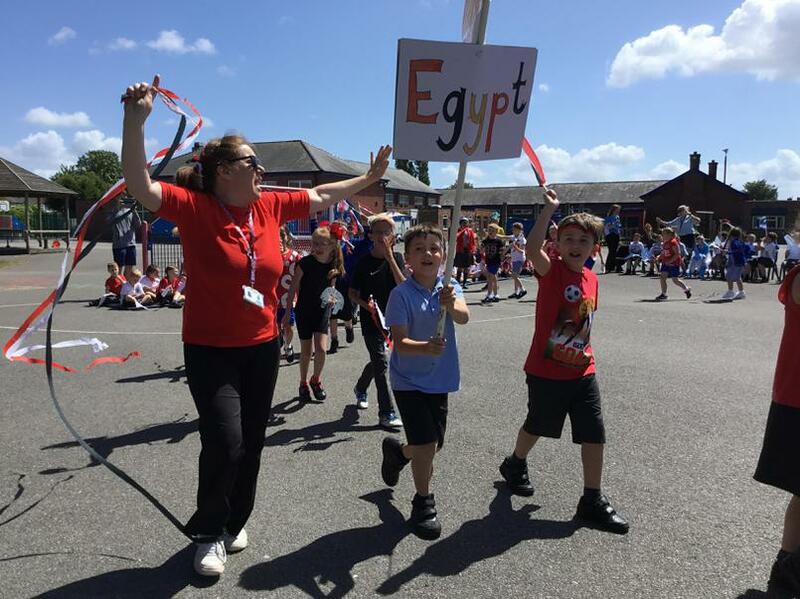 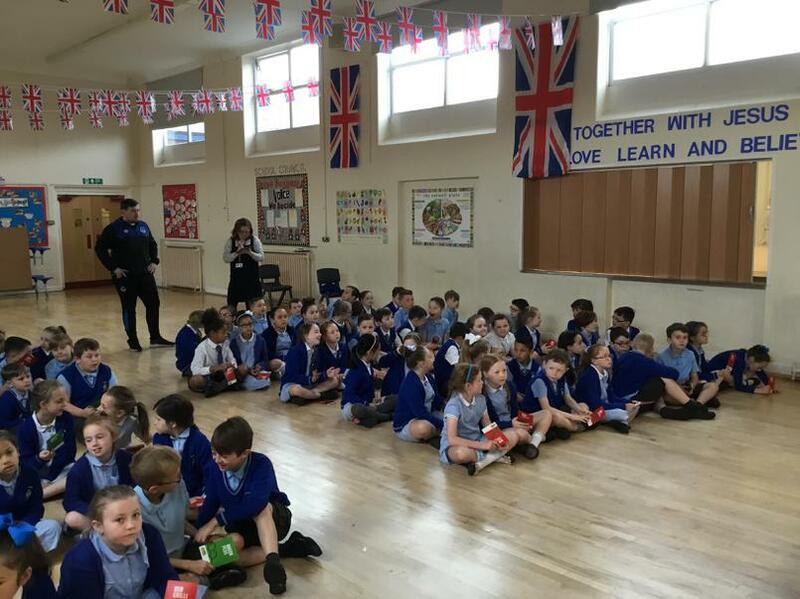 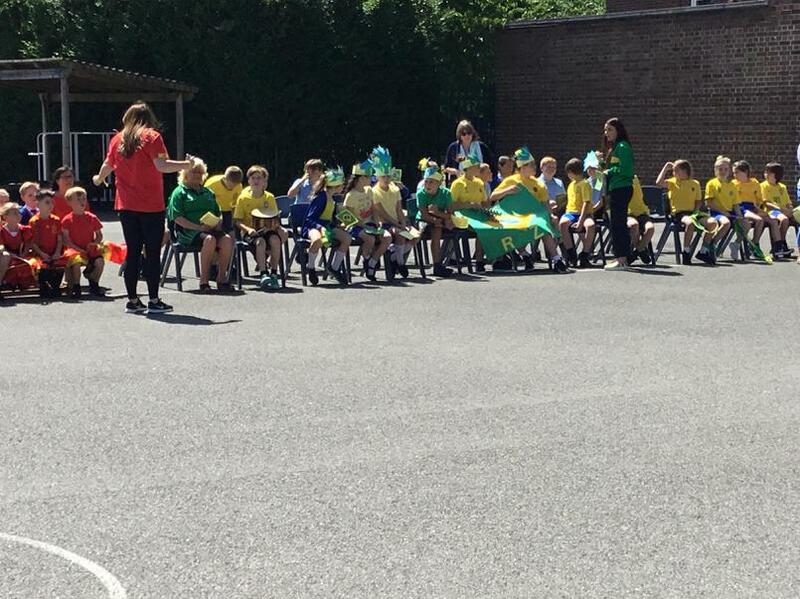 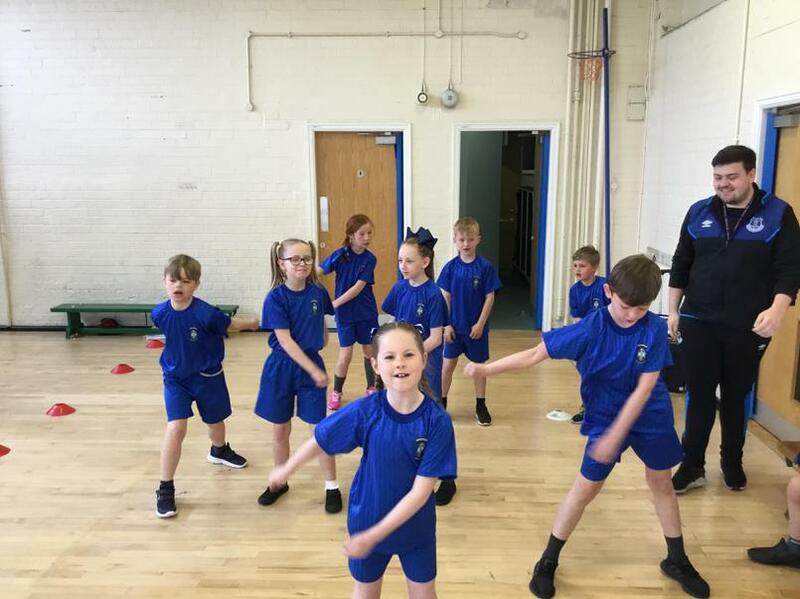 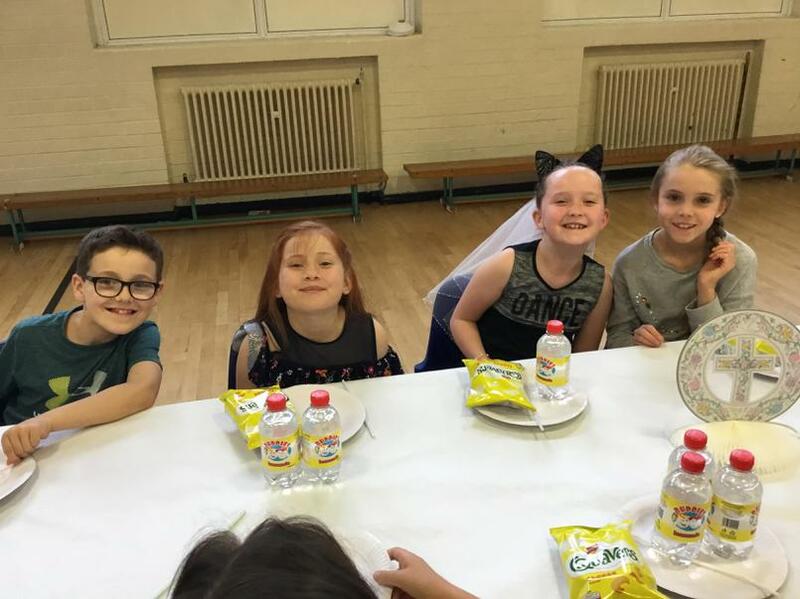 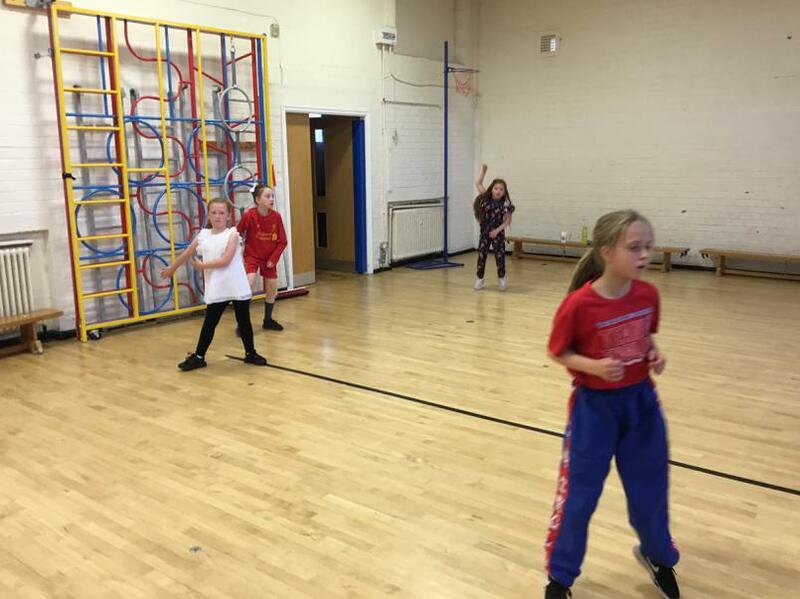 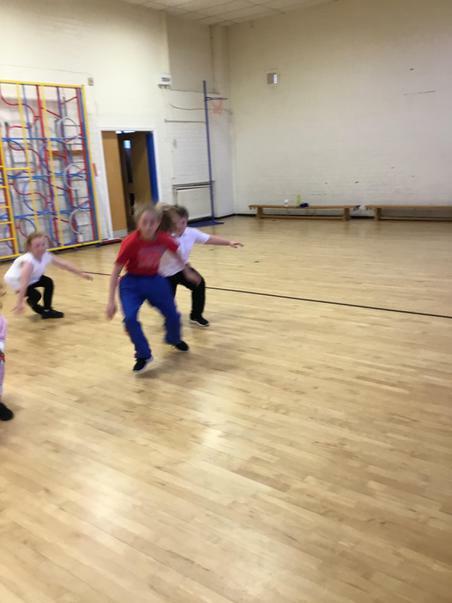 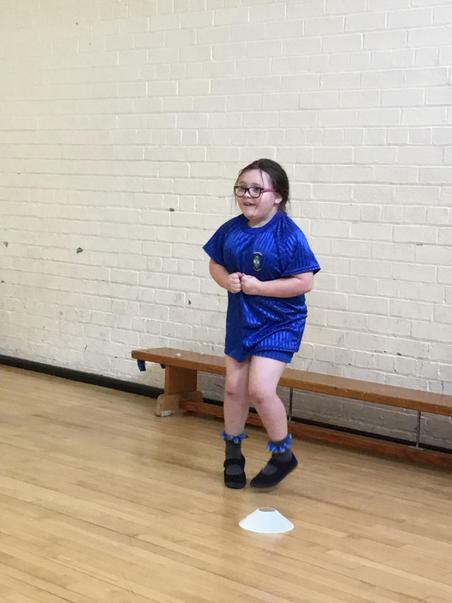 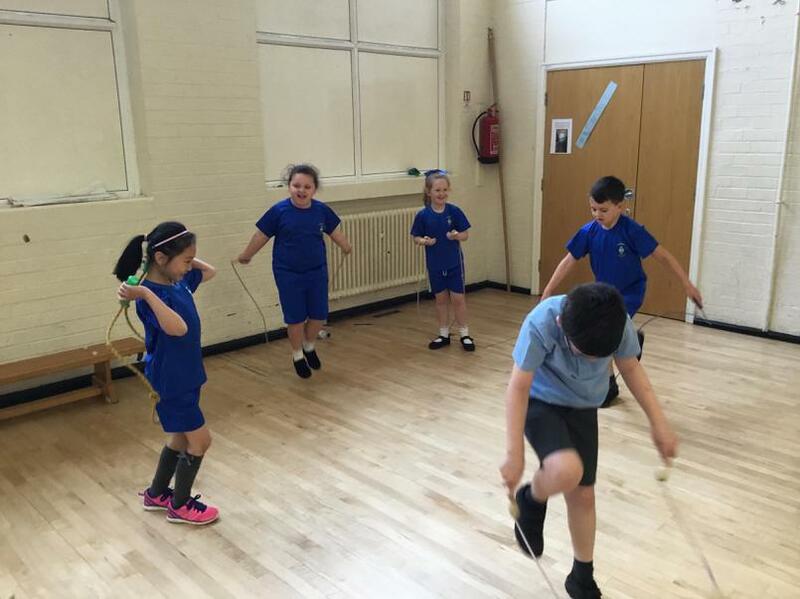 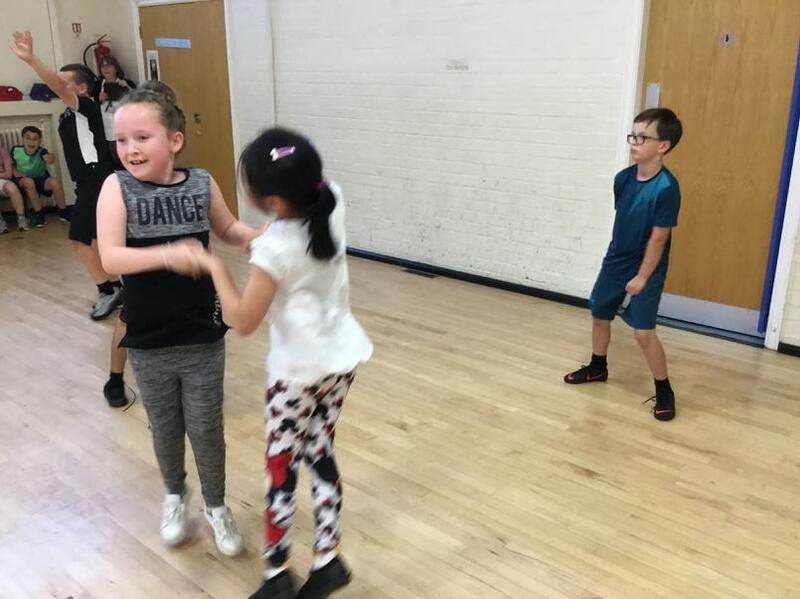 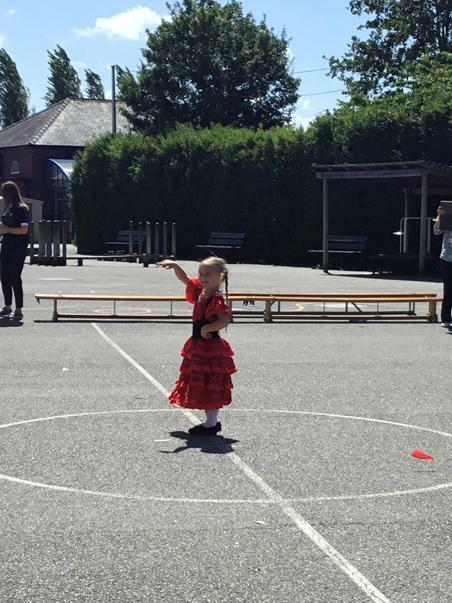 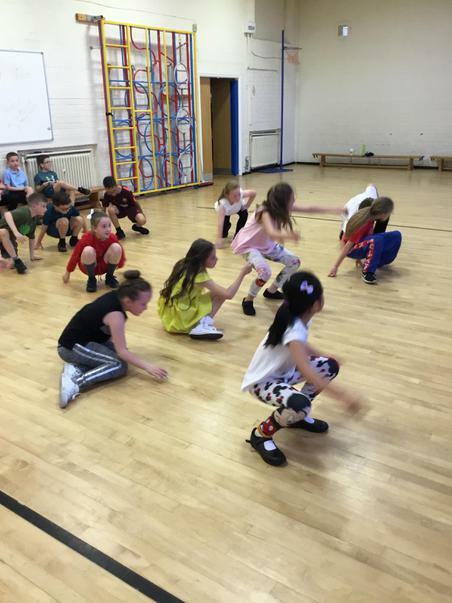 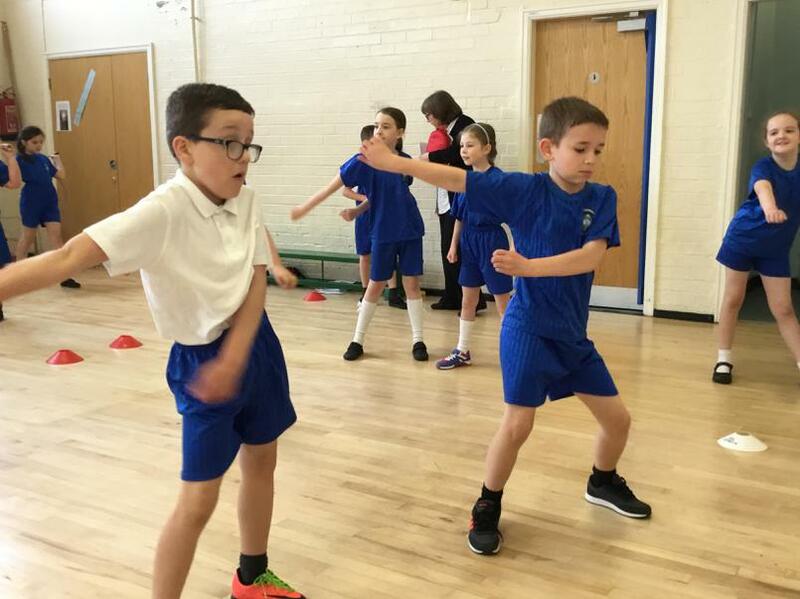 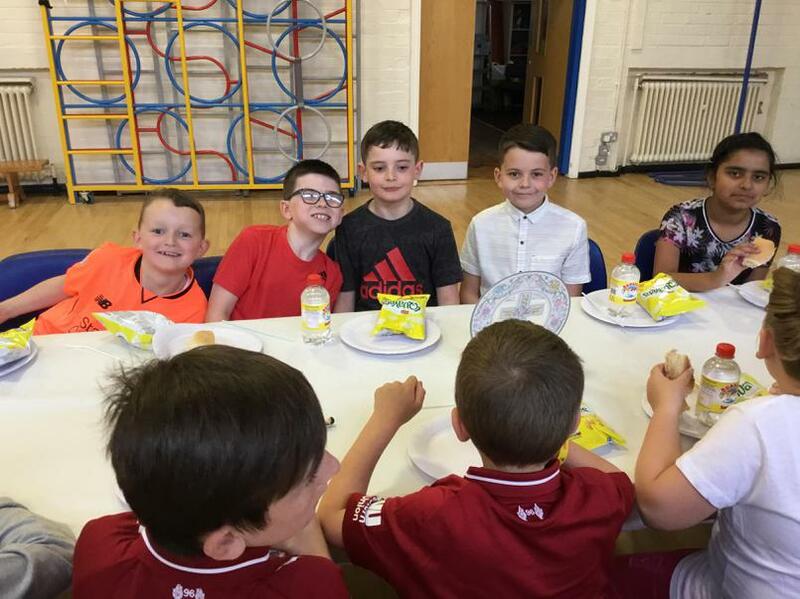 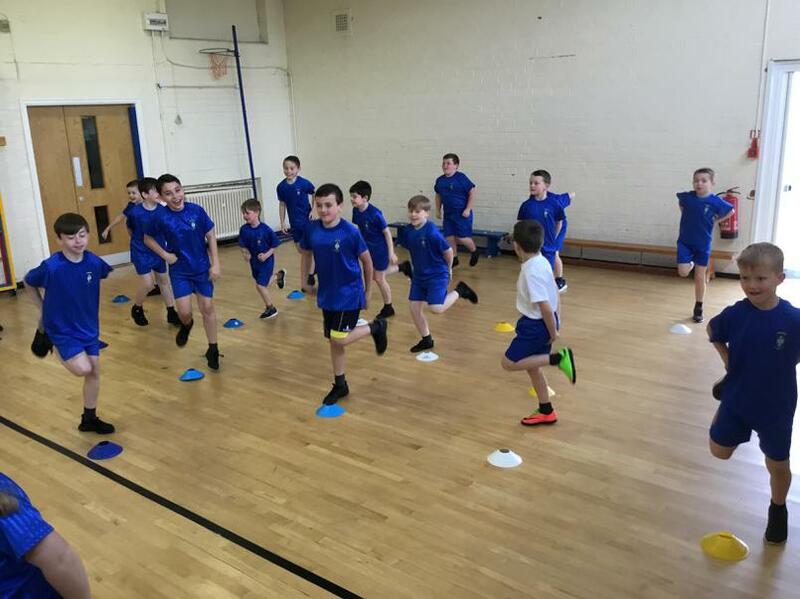 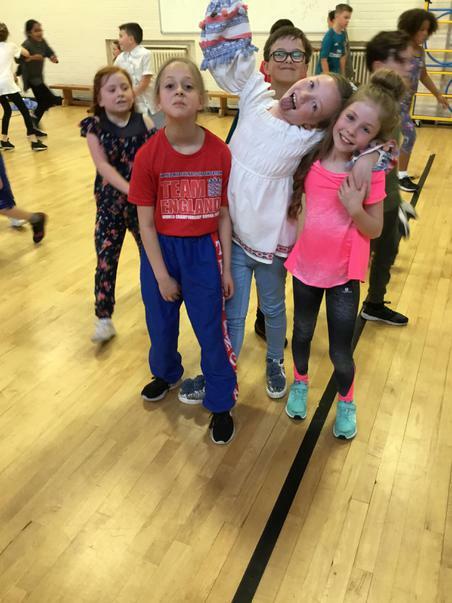 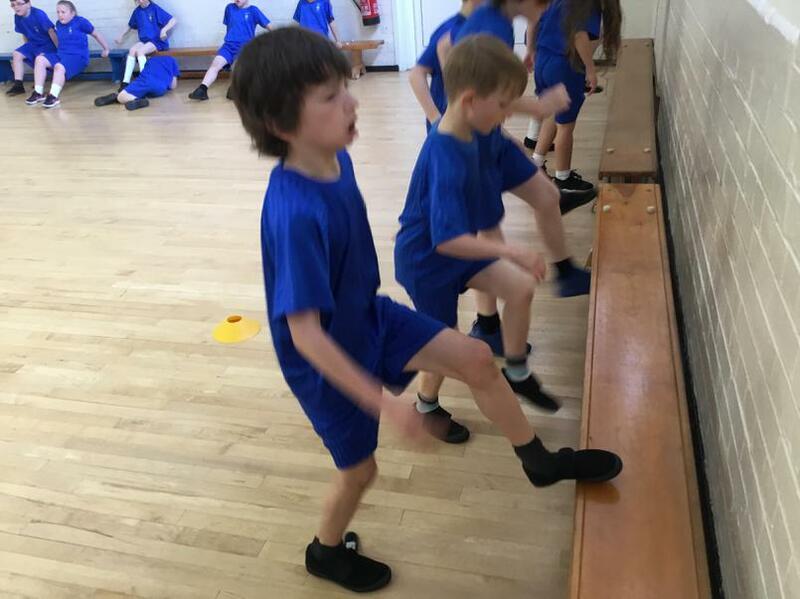 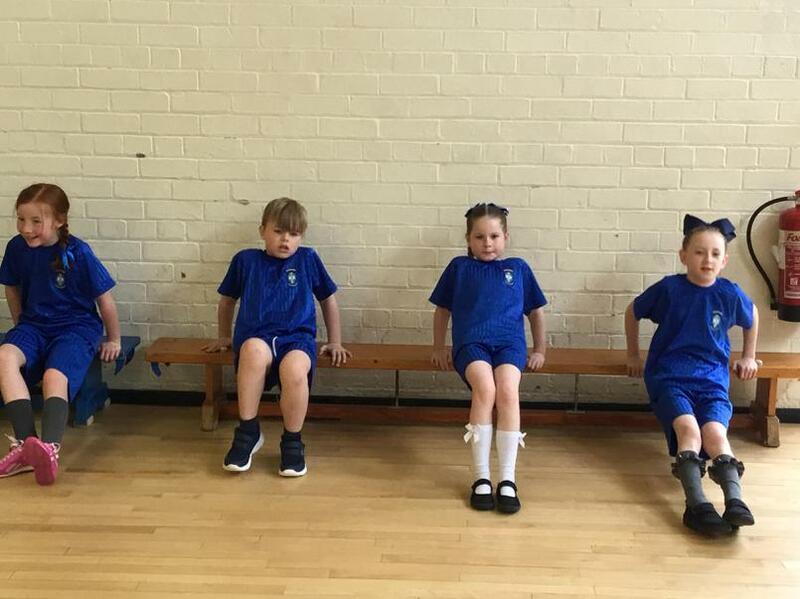 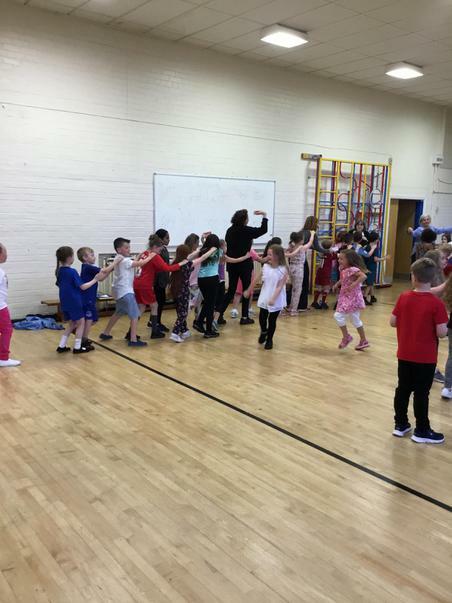 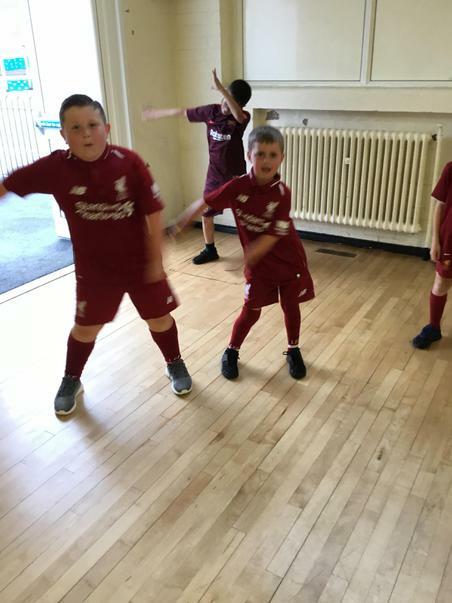 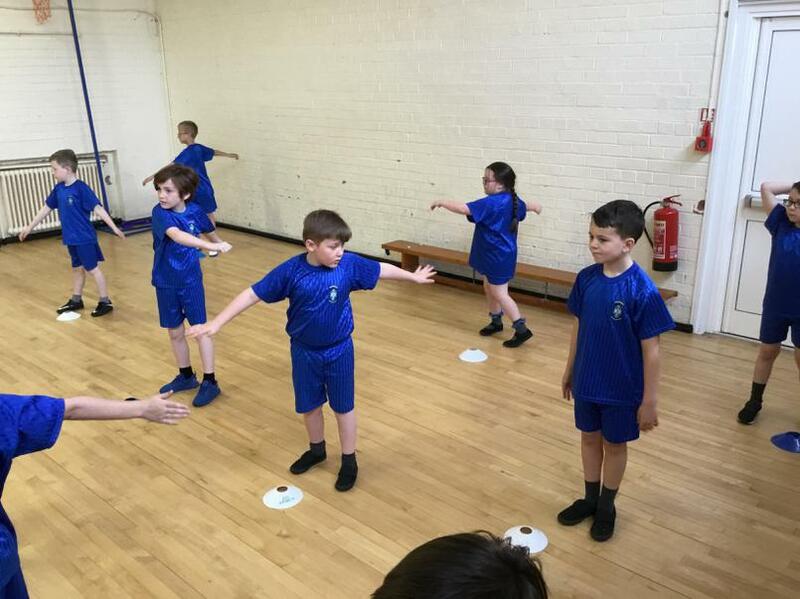 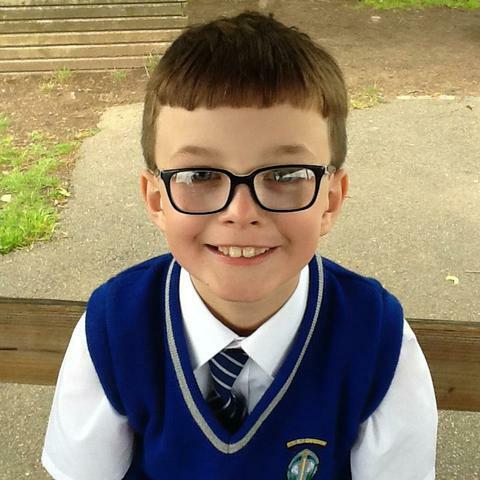 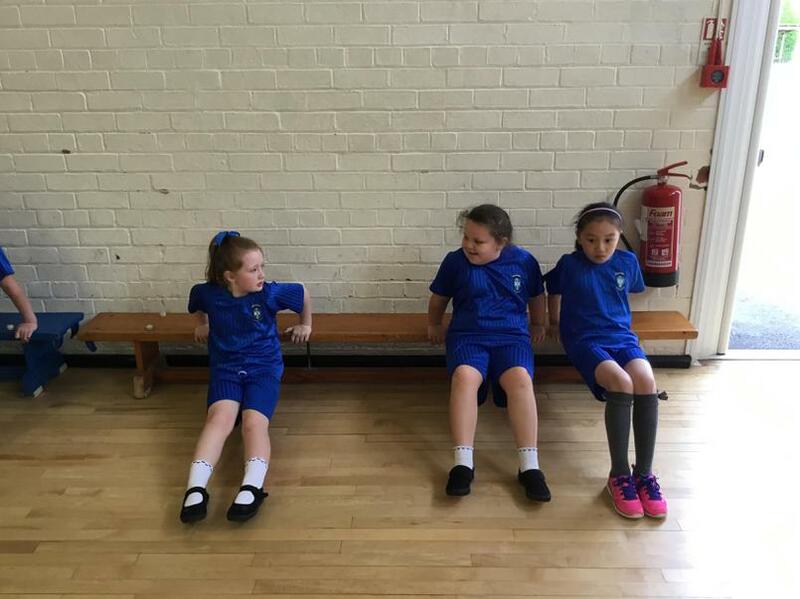 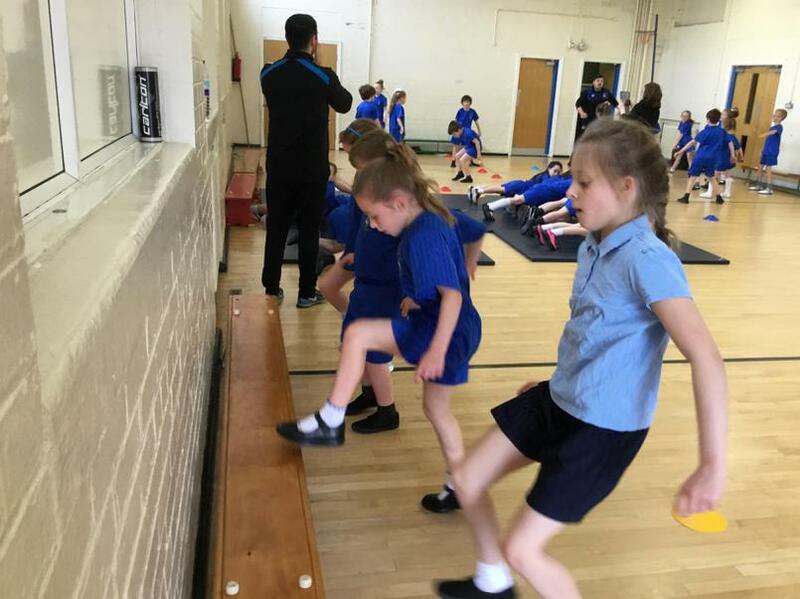 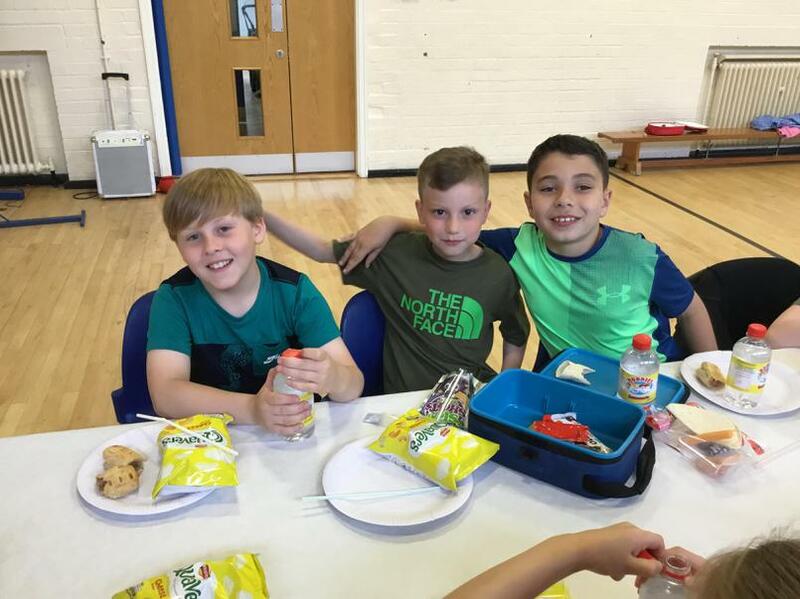 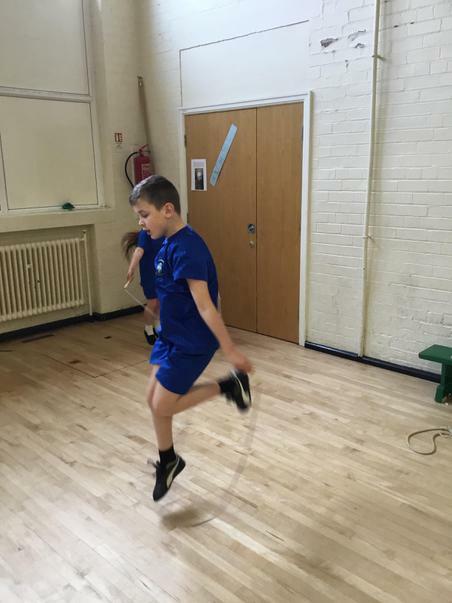 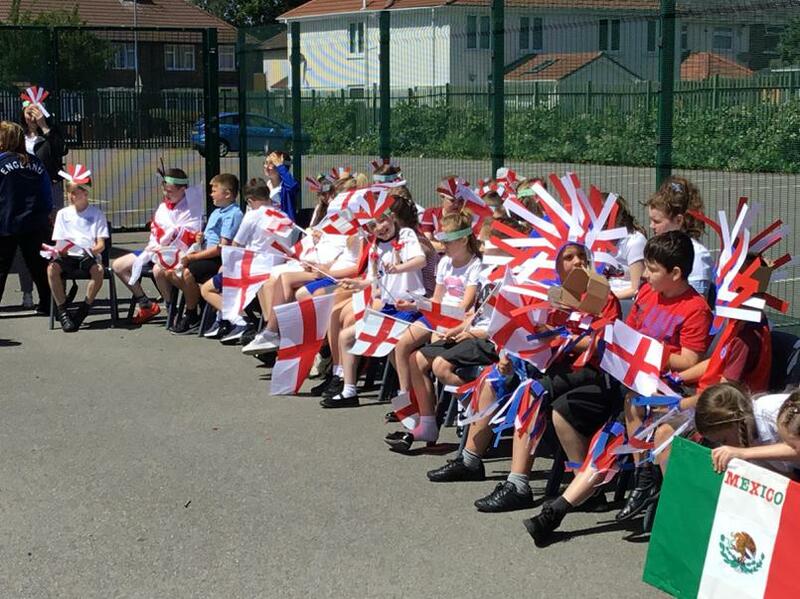 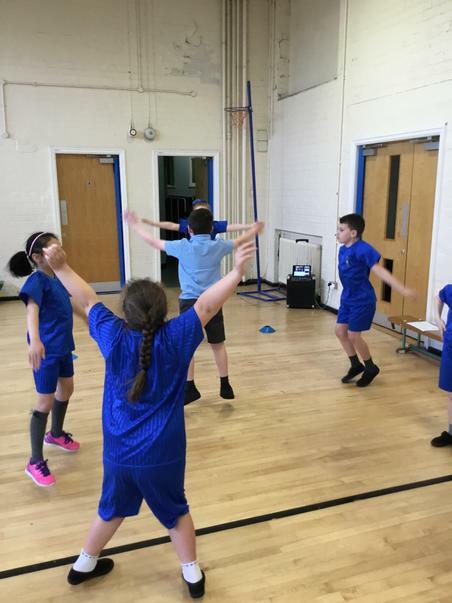 PE- Swimming, keeping fit and athletics with Everton in the Community, cricket and tennis with coach Paddy, positions and rules of football and football mini-tournaments. 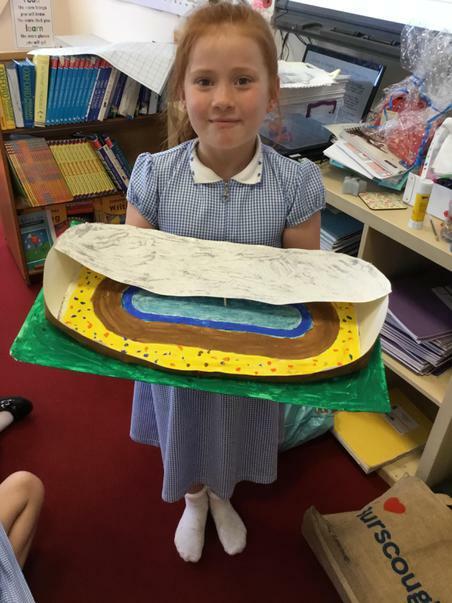 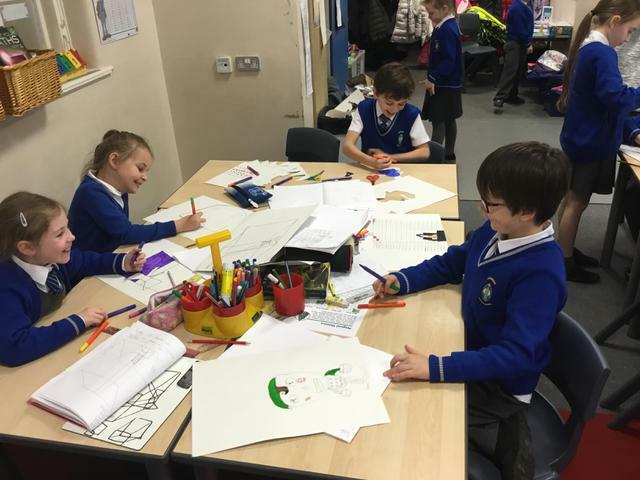 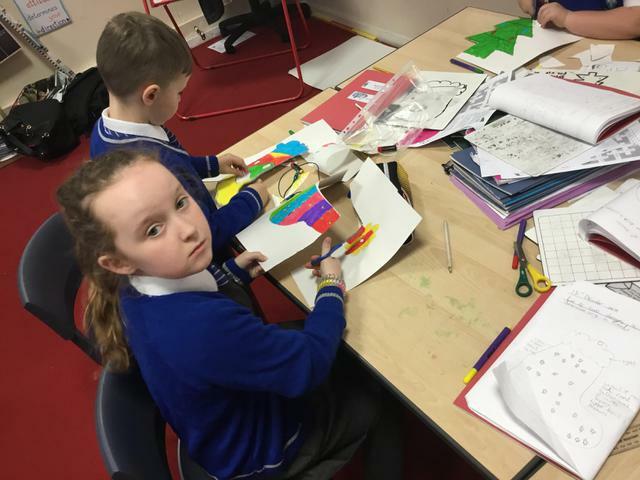 ART-A study of the artist Kandinsky , observational drawing of artefacts, football memorabilia, designing and producing posters, hats, flags and banners. 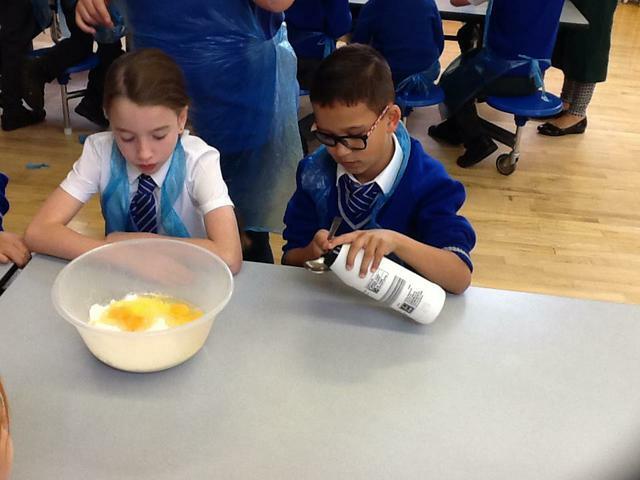 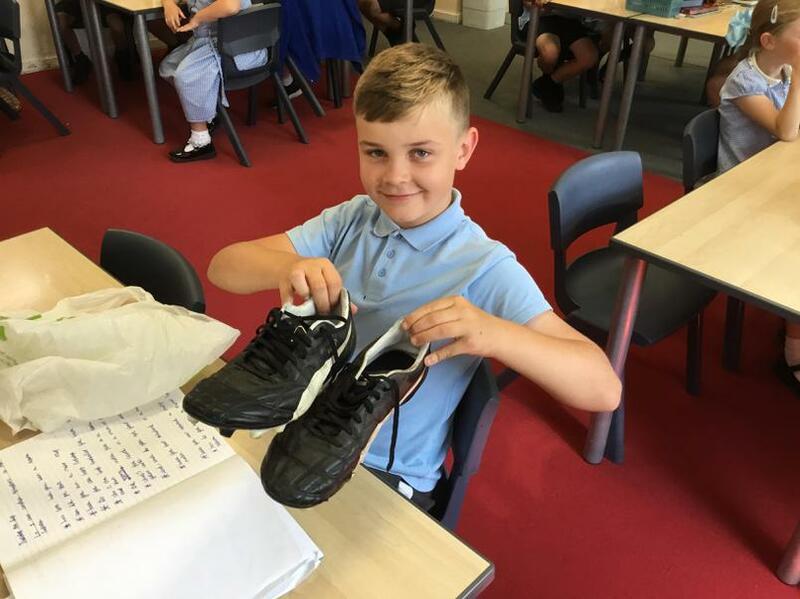 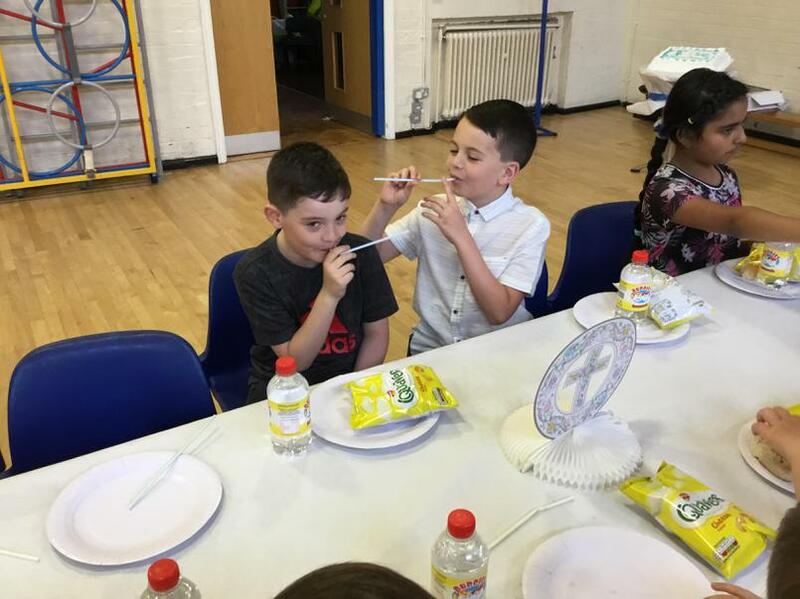 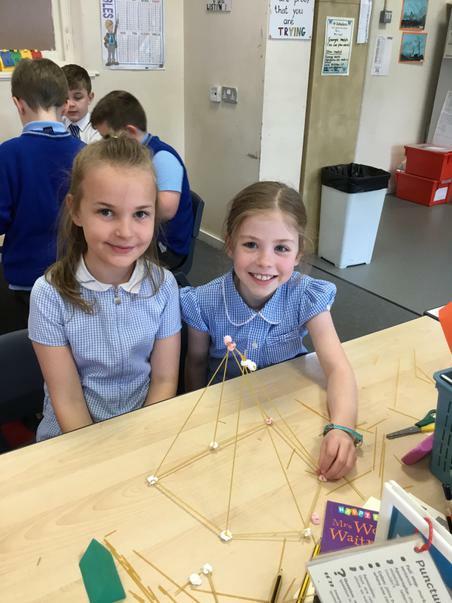 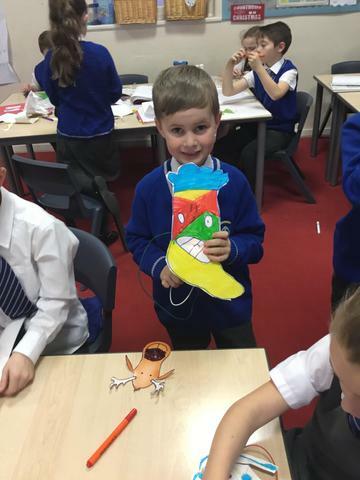 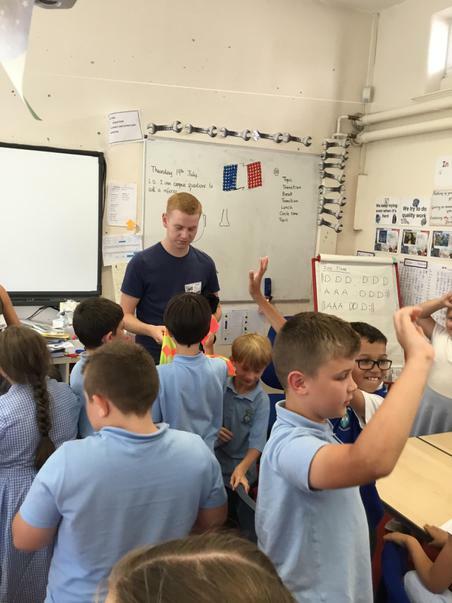 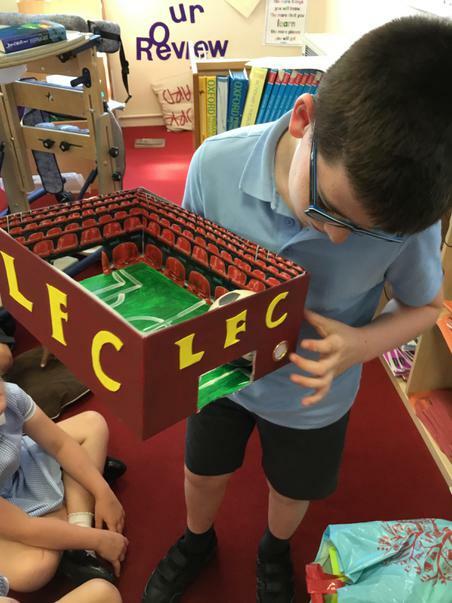 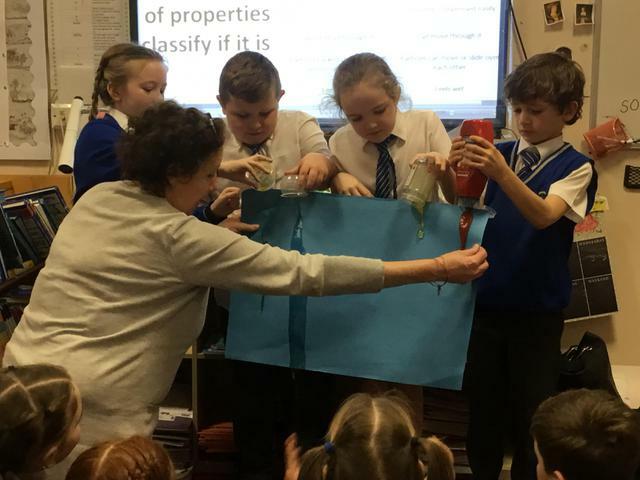 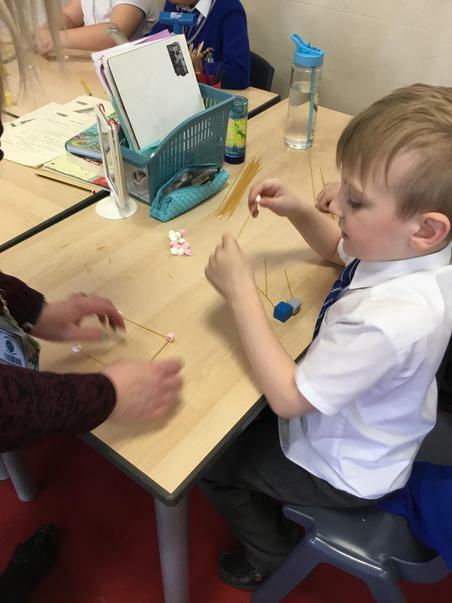 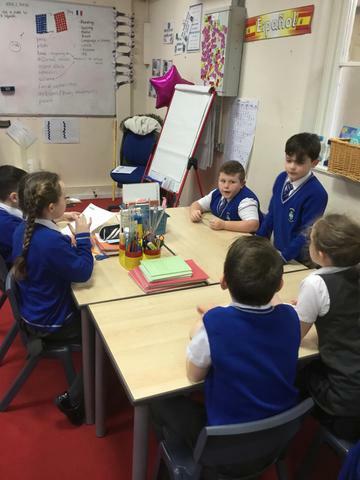 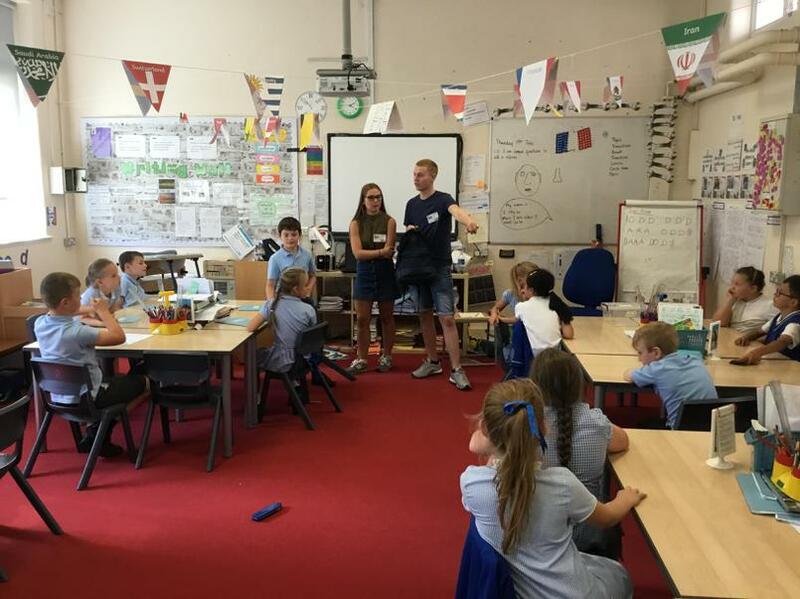 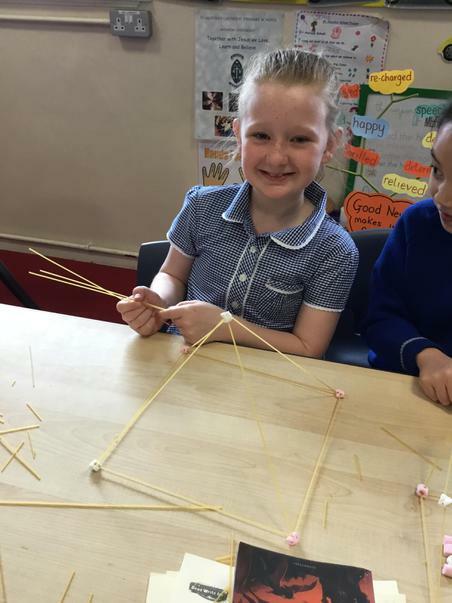 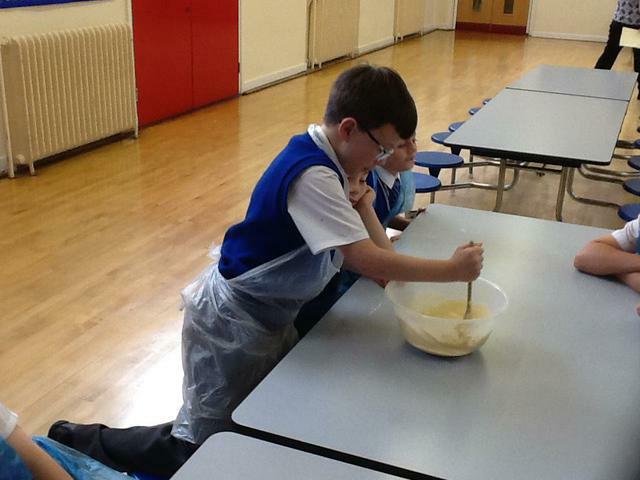 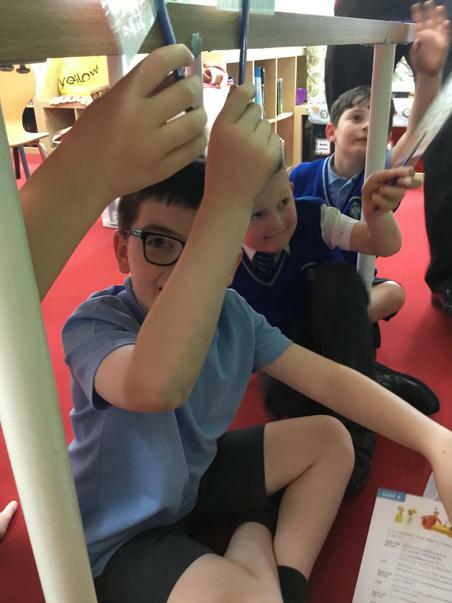 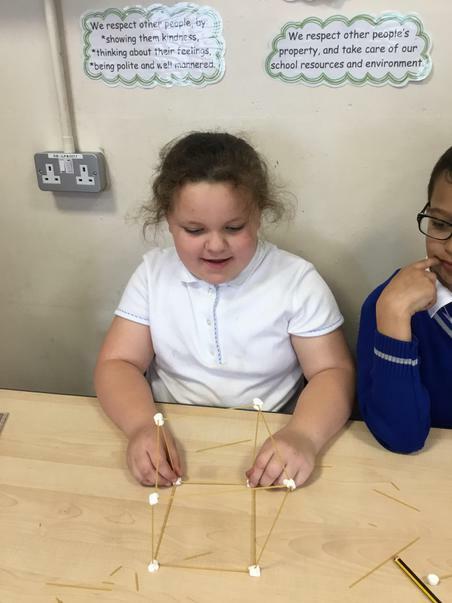 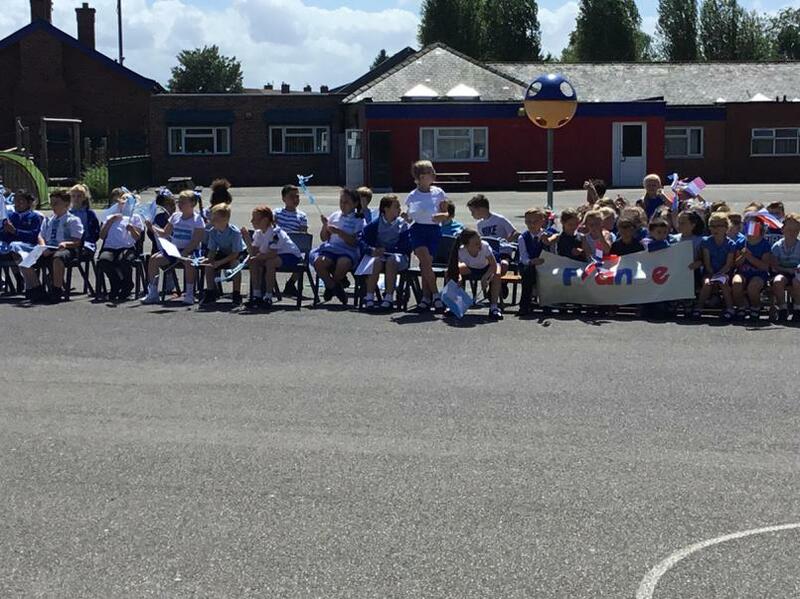 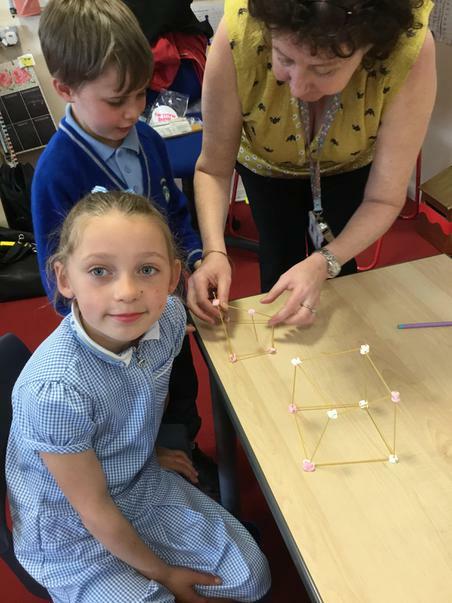 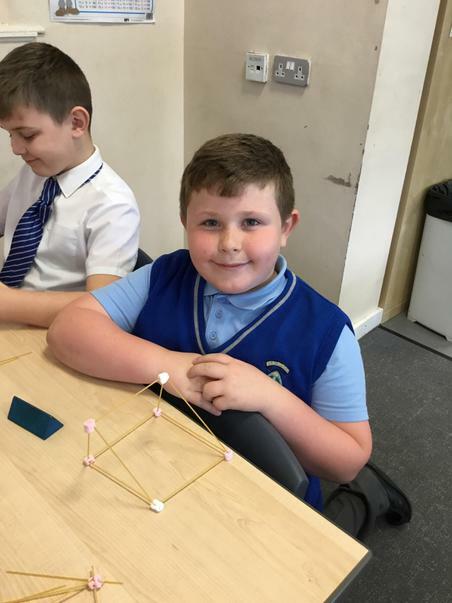 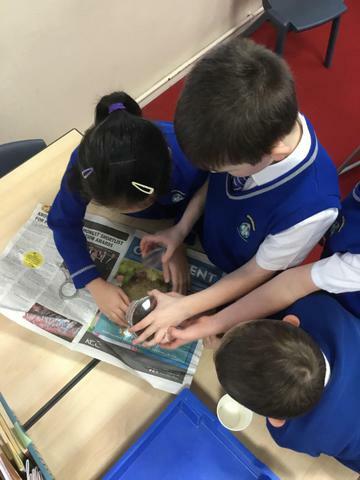 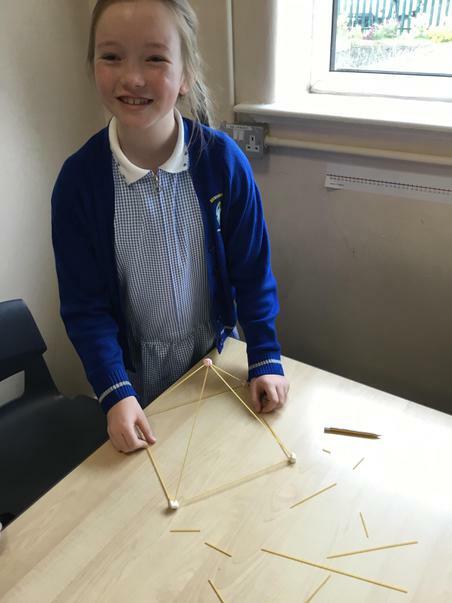 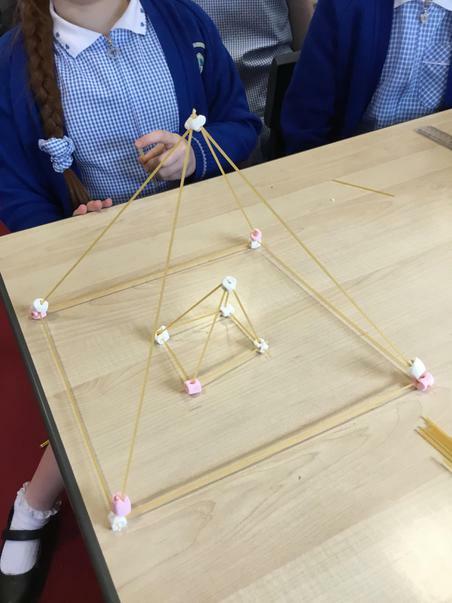 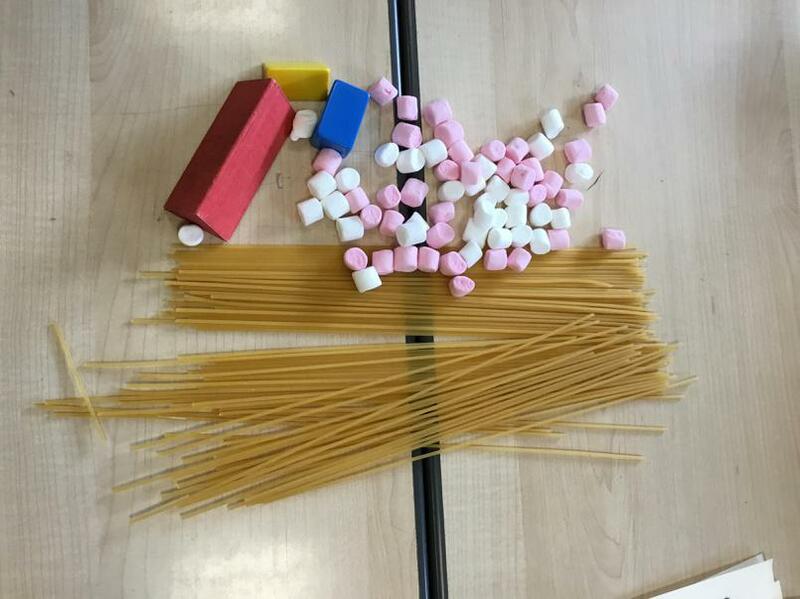 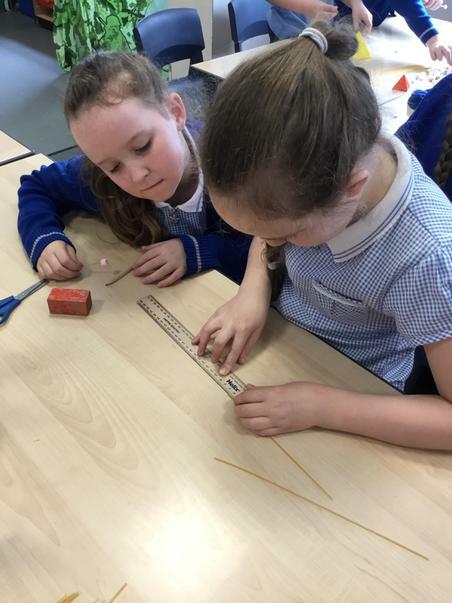 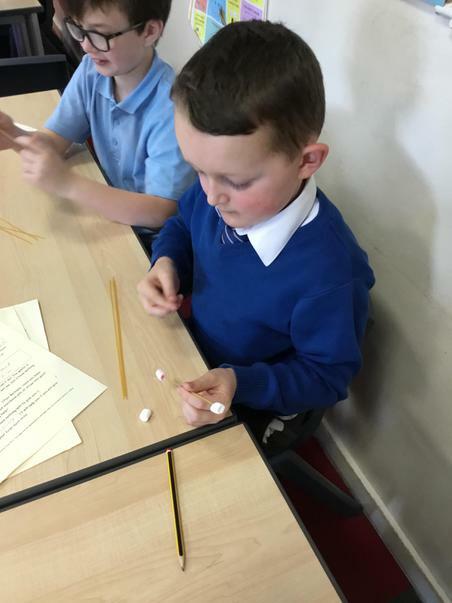 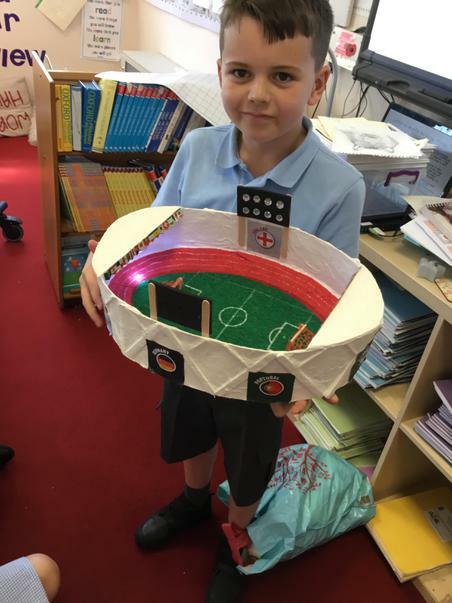 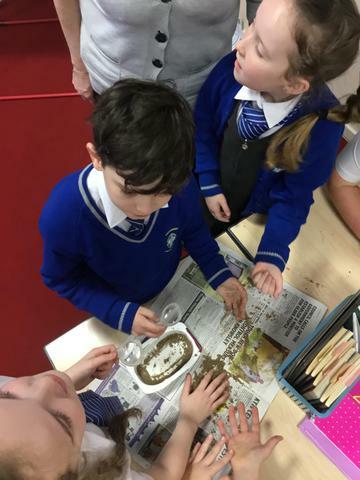 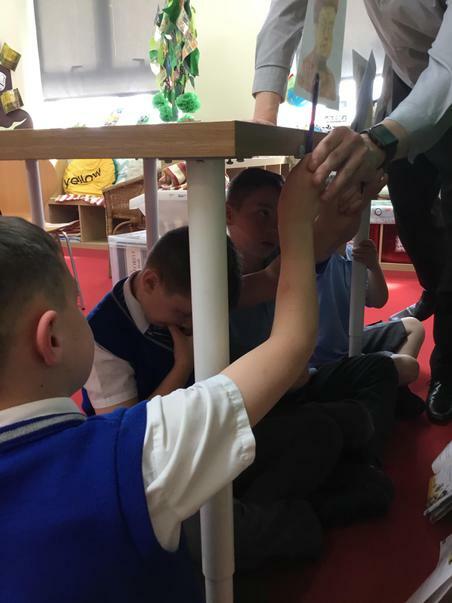 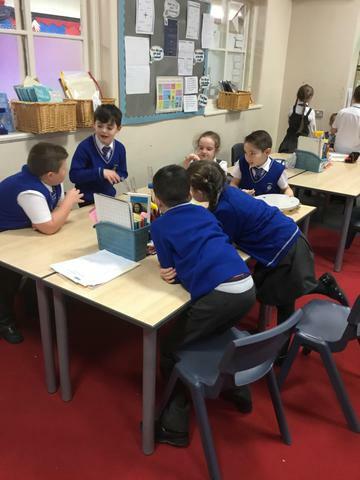 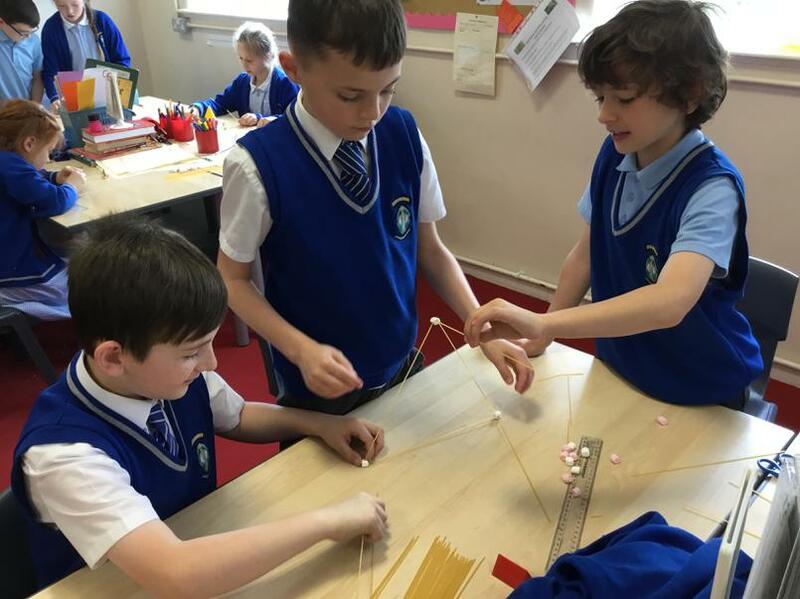 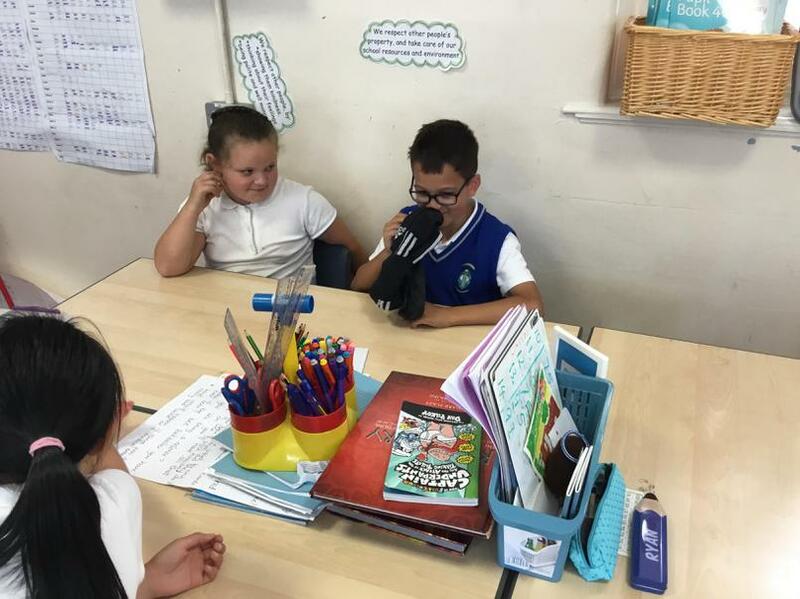 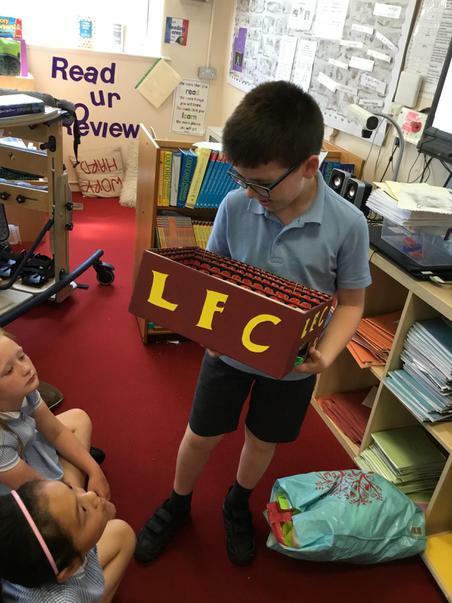 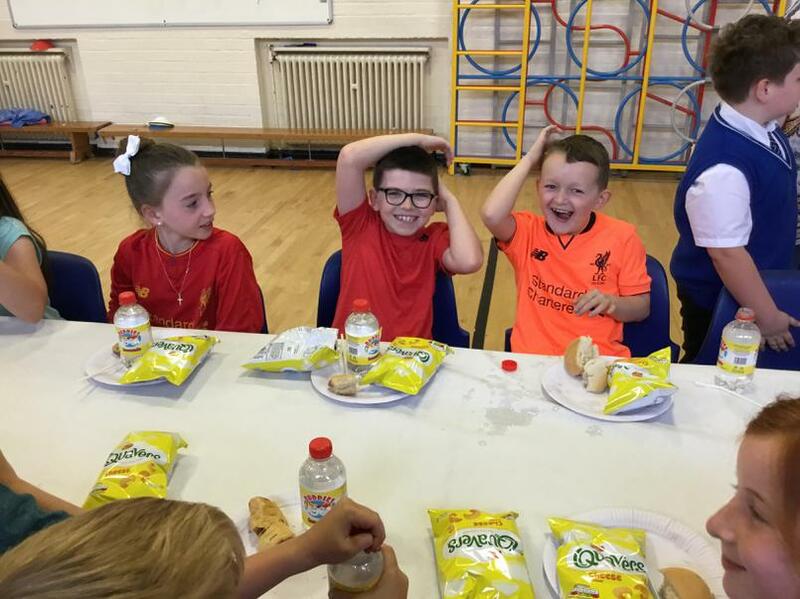 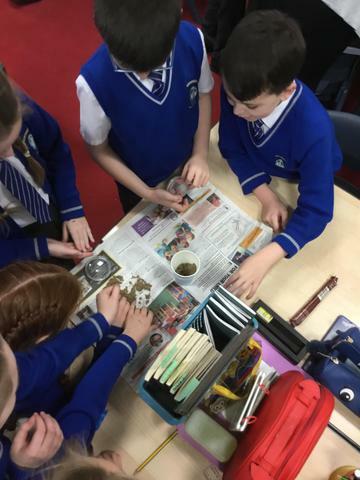 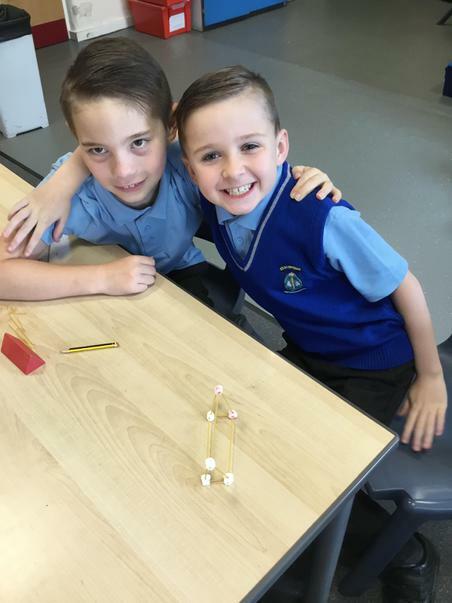 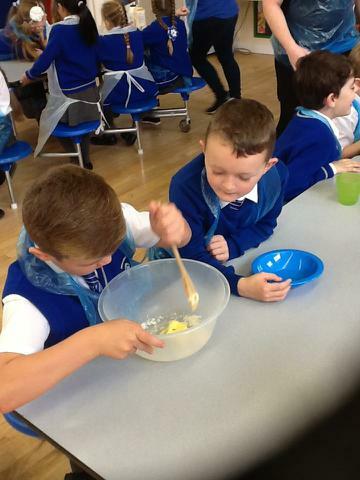 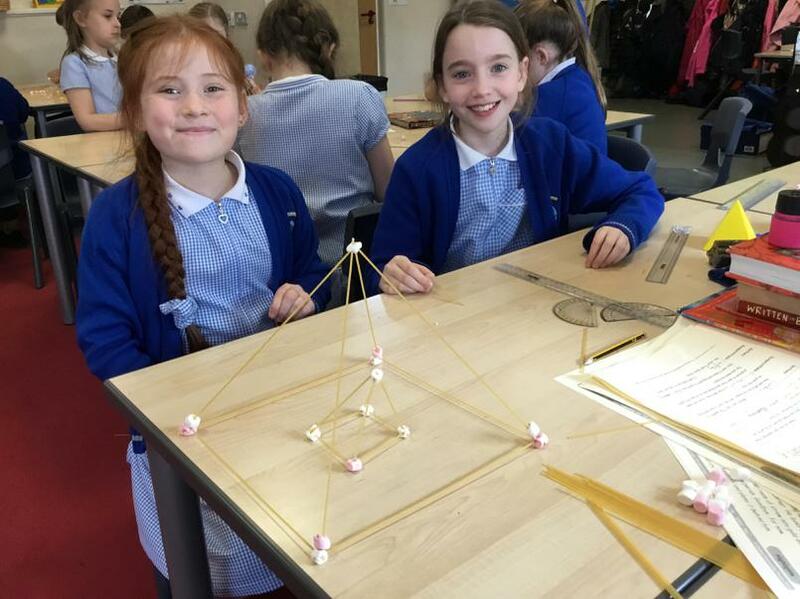 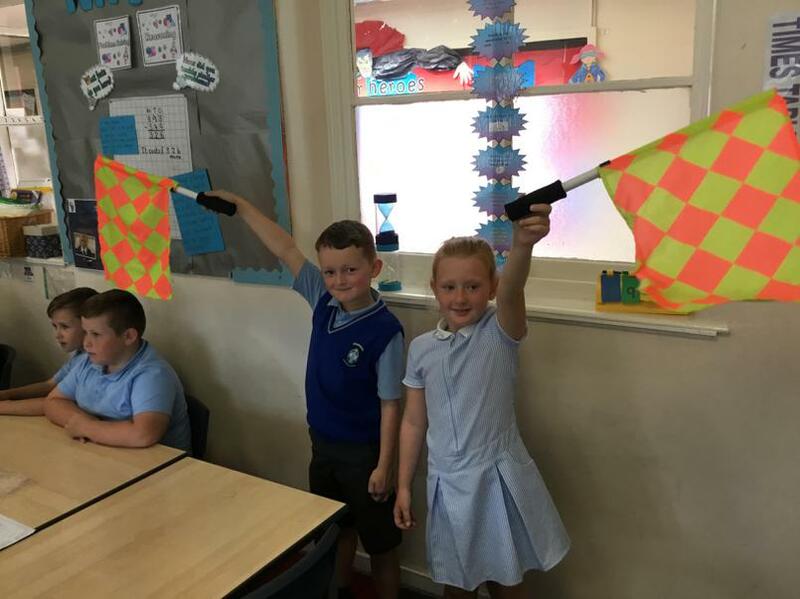 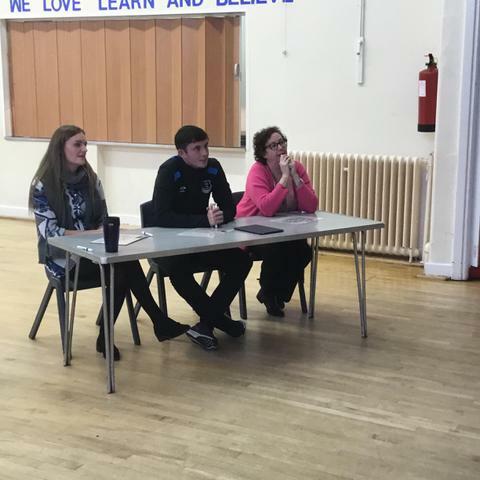 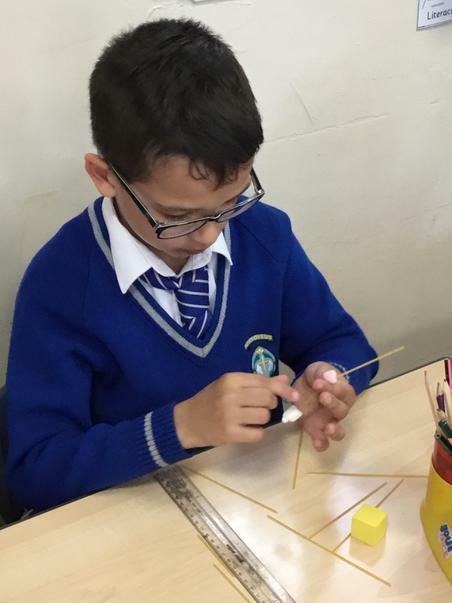 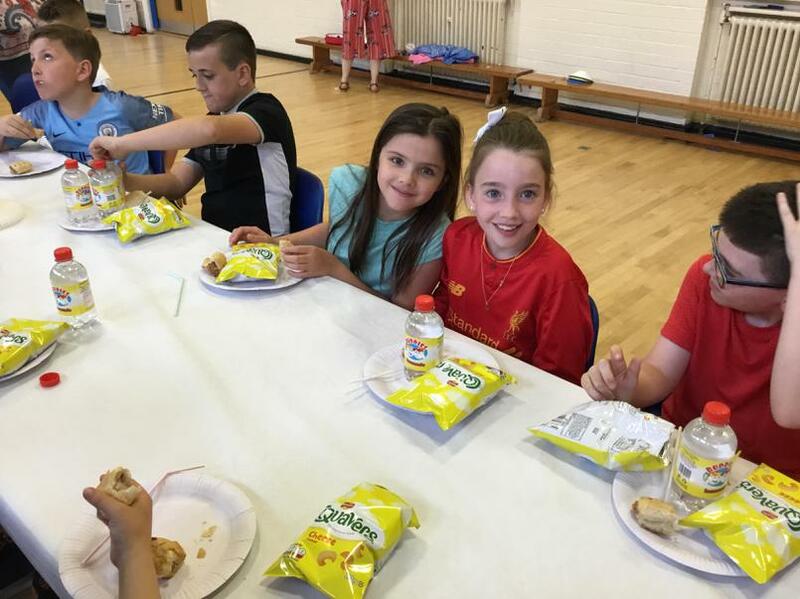 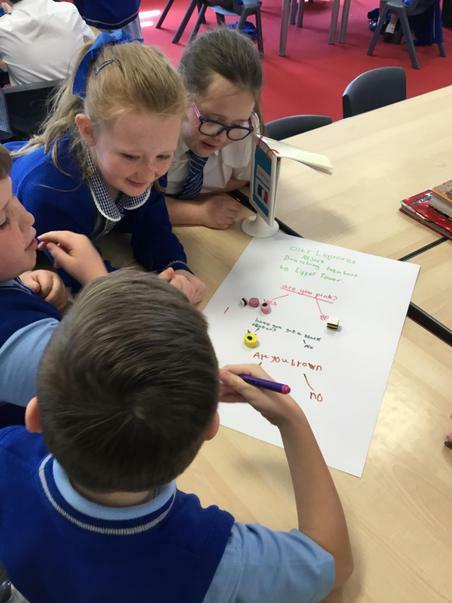 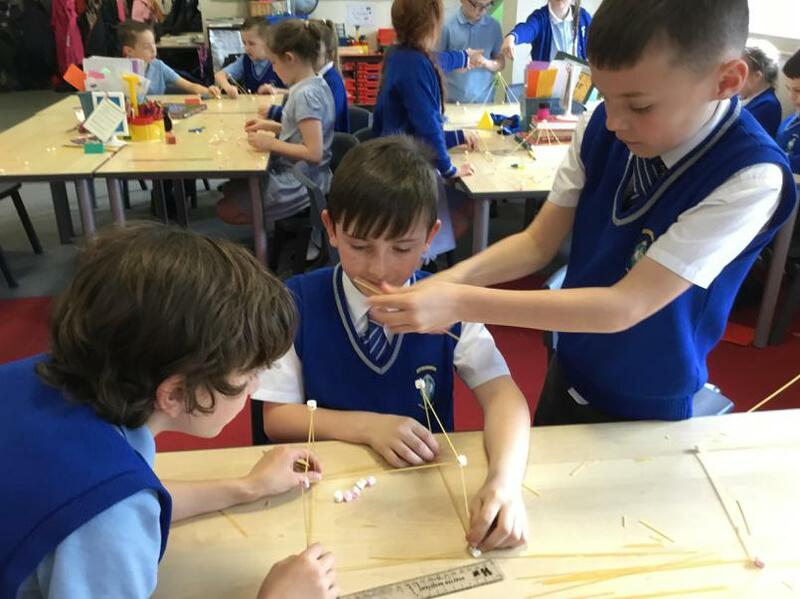 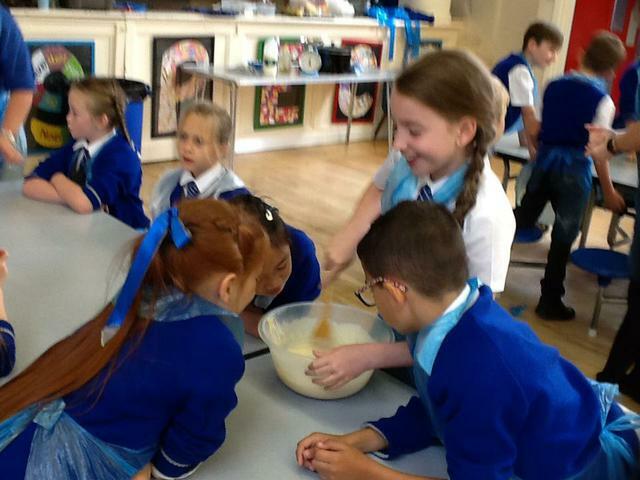 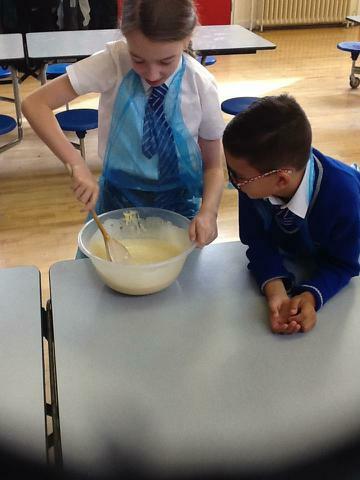 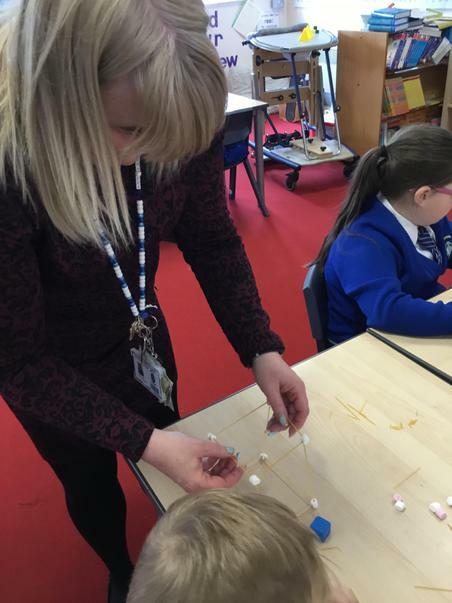 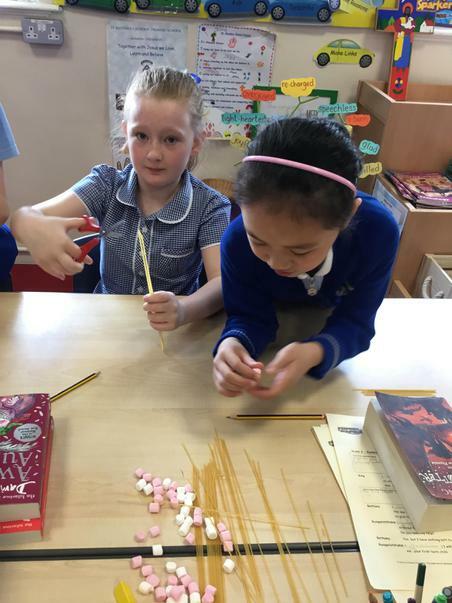 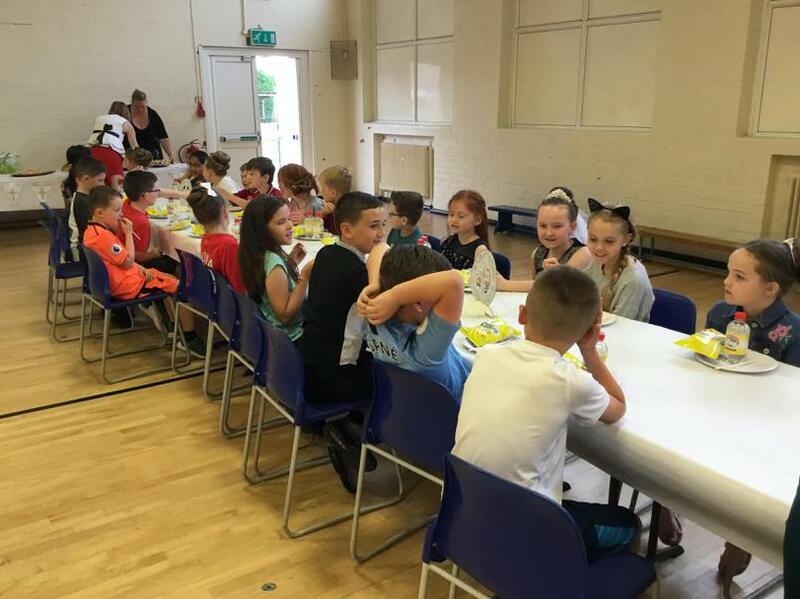 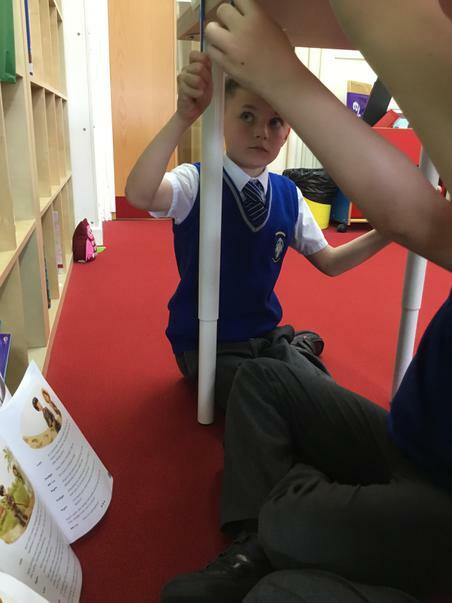 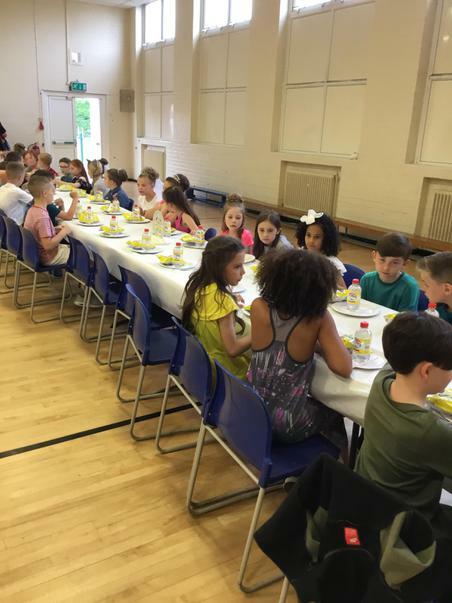 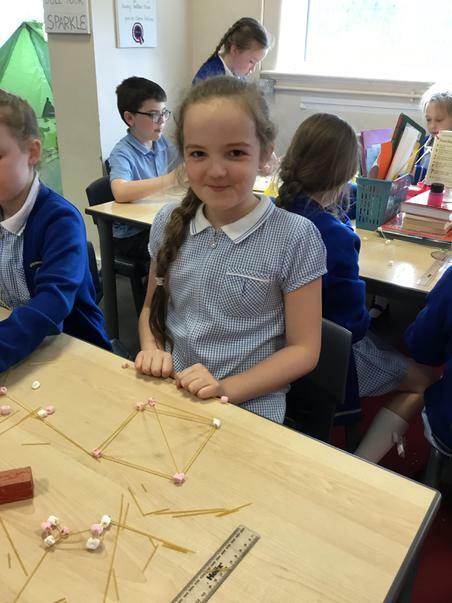 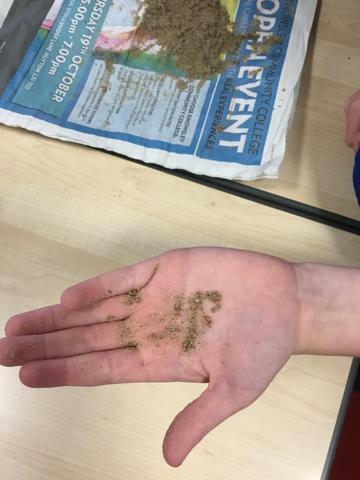 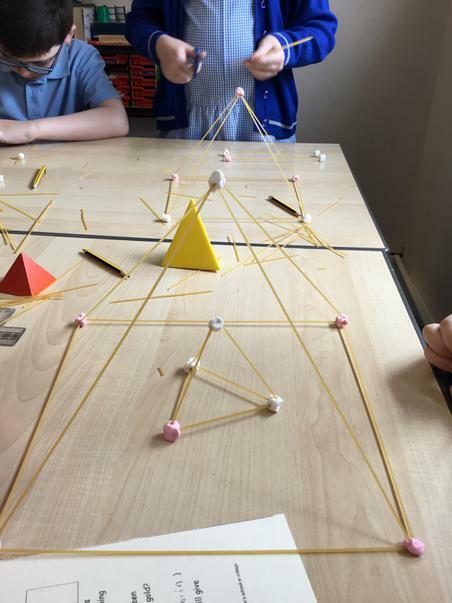 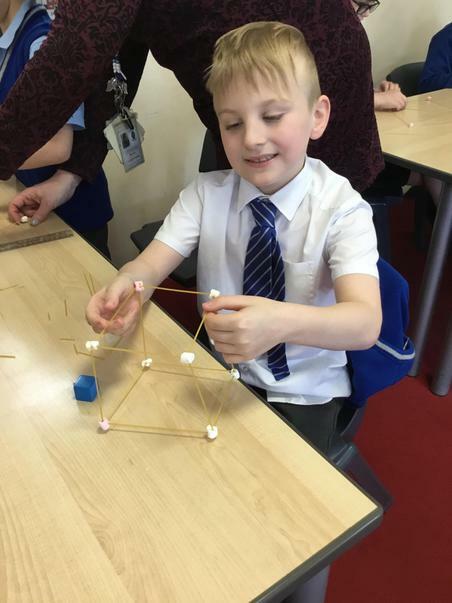 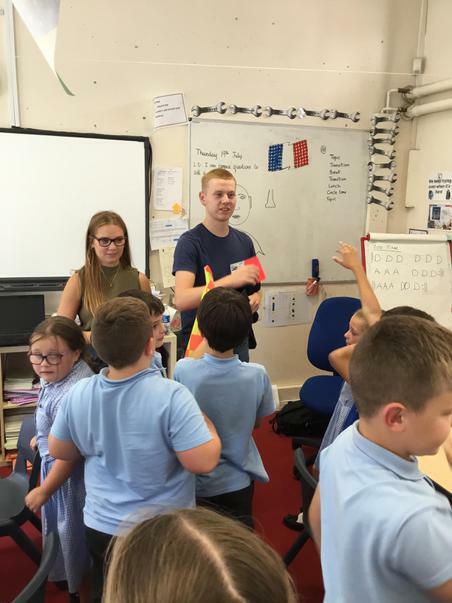 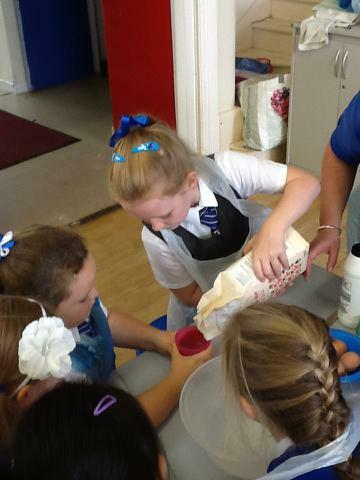 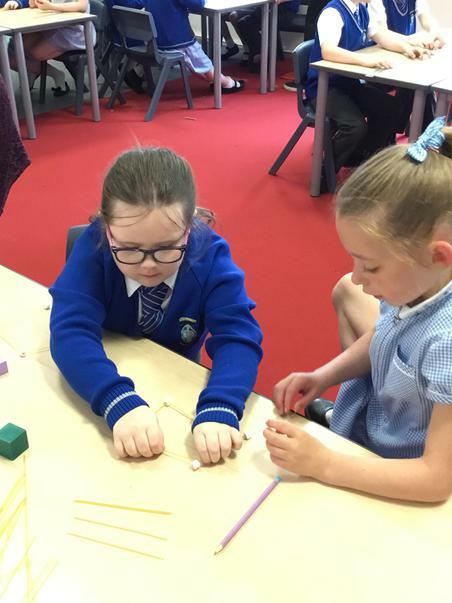 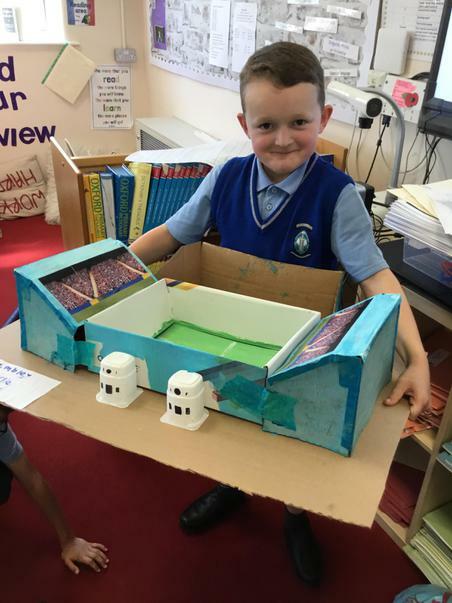 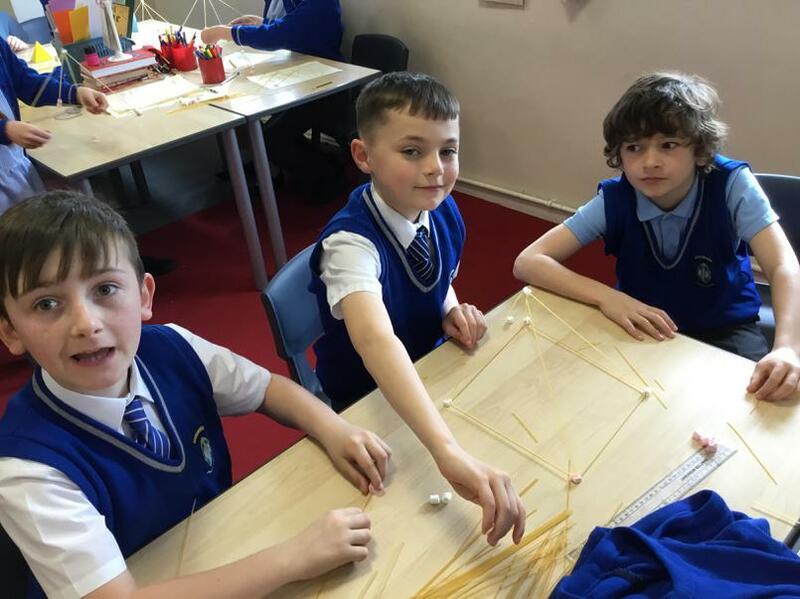 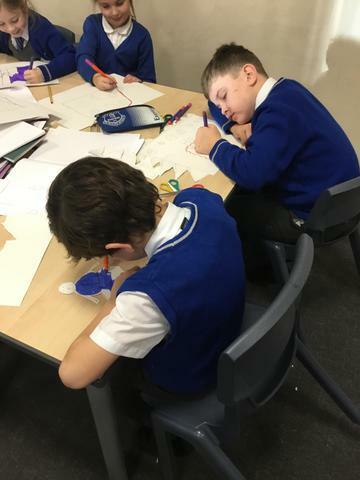 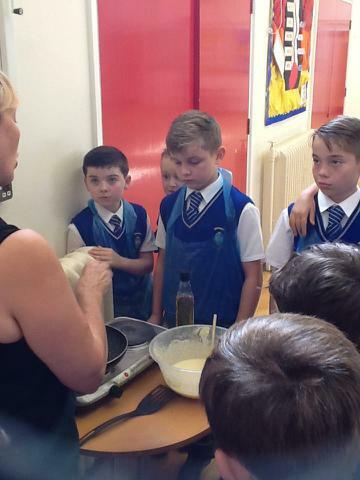 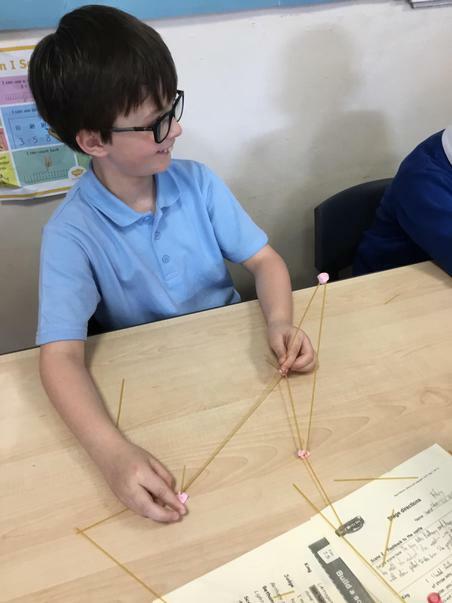 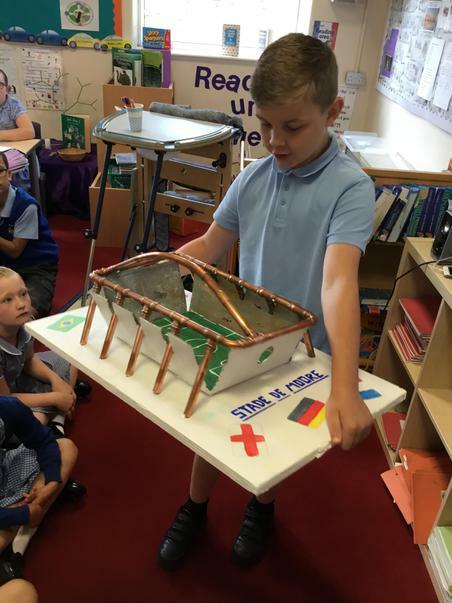 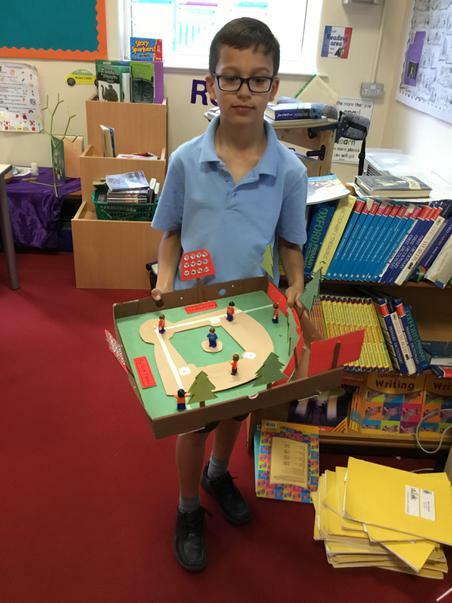 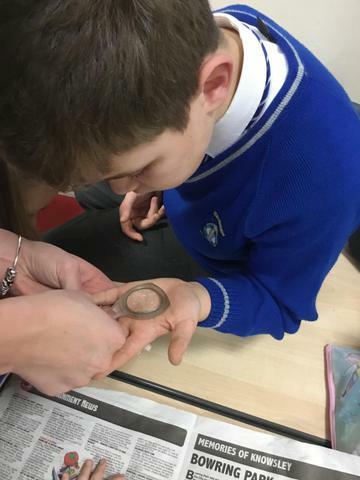 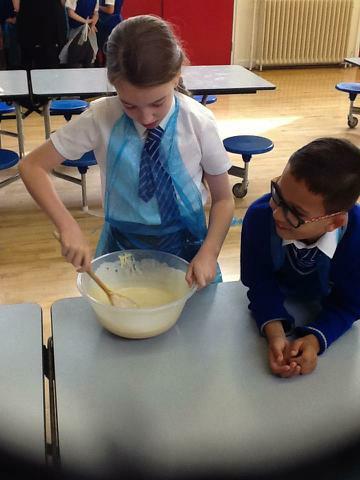 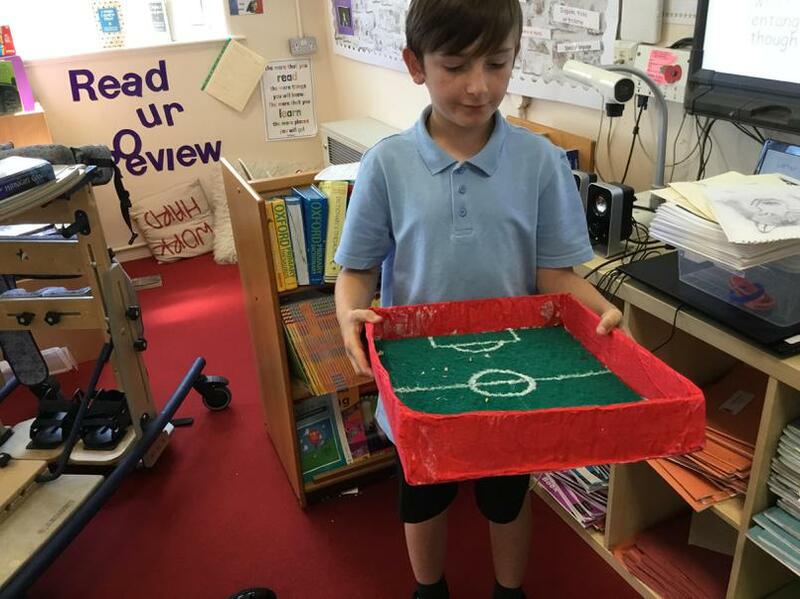 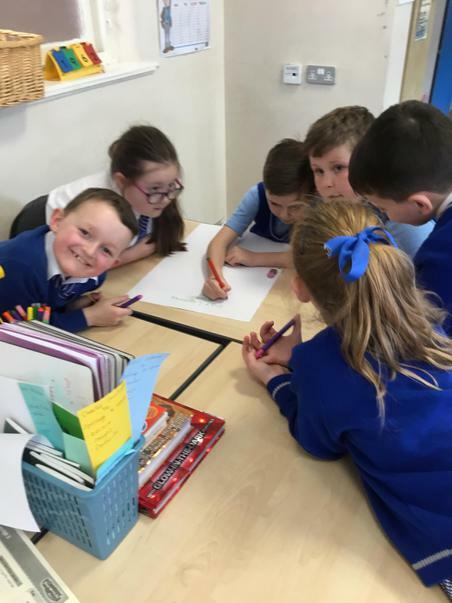 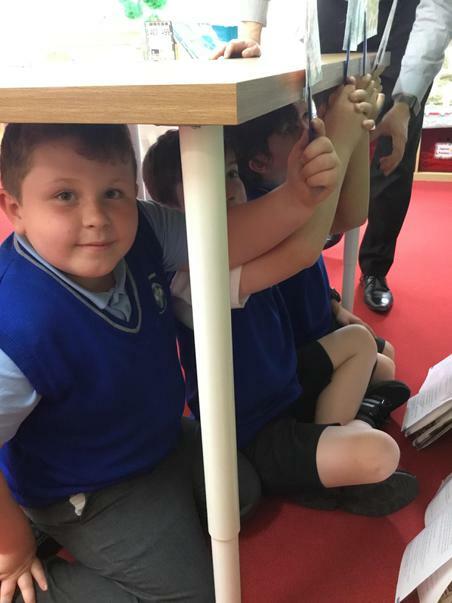 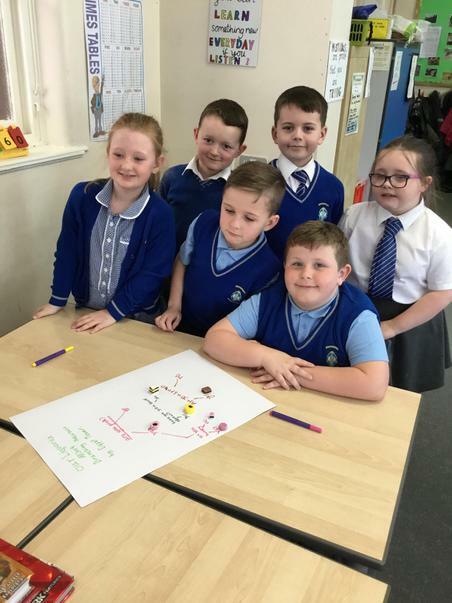 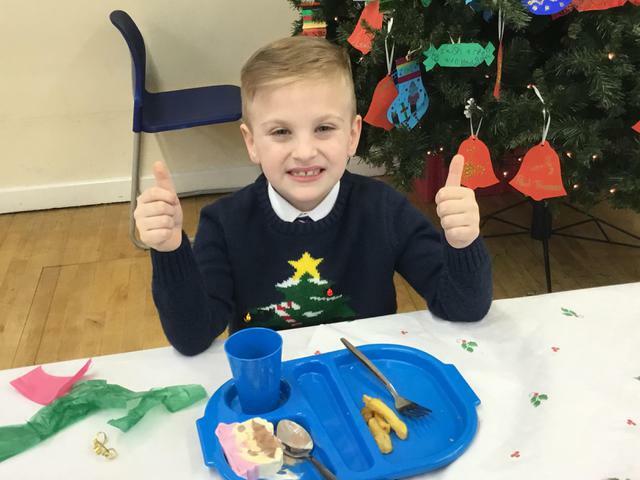 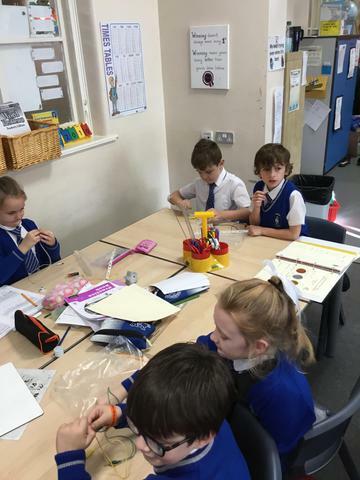 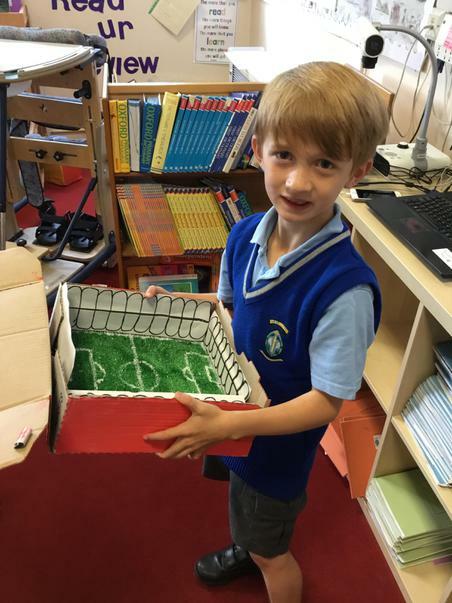 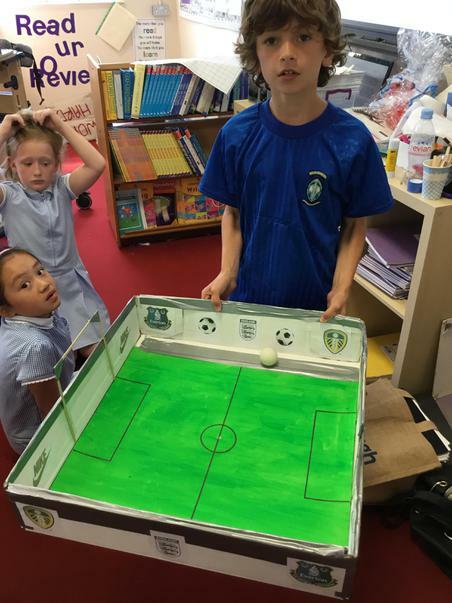 DESIGN AND FOOD TECHNOLOGY - Healthy eating with Everton in the Community, designing and creating a model of a football stadium, designing a new football boot. 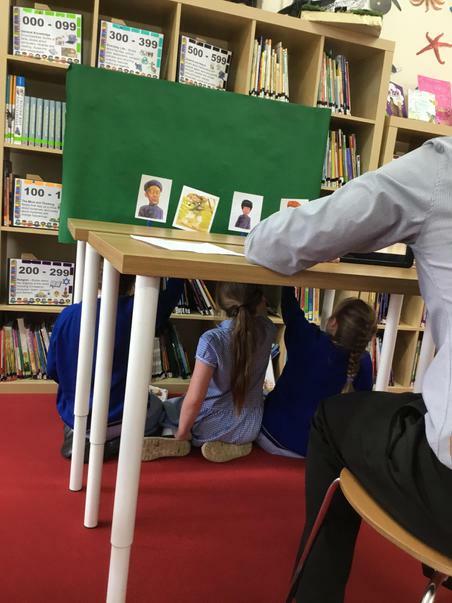 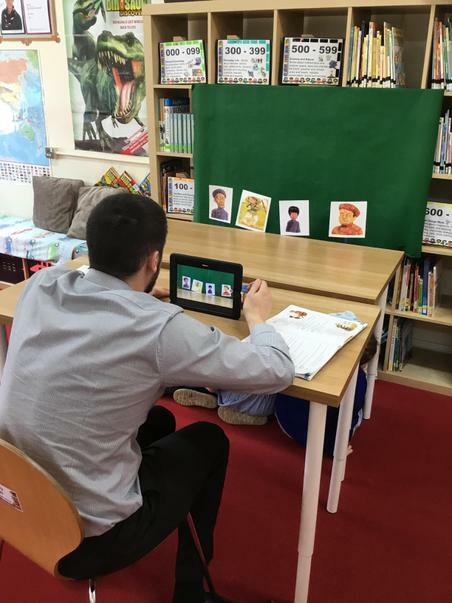 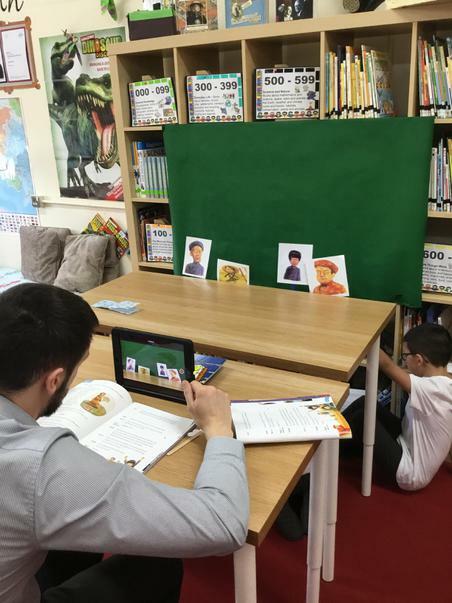 COMPUTING- Making movies, sports journalism including taking action photographs, ipad-research. 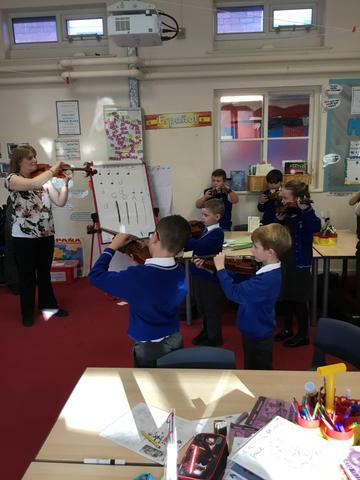 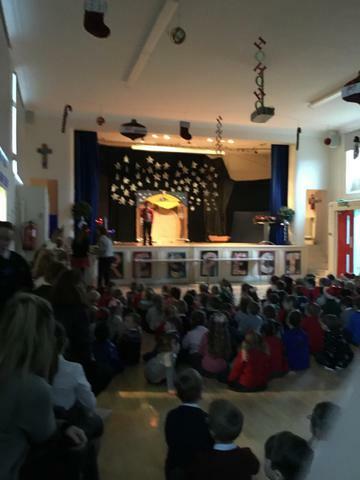 MUSIC- Singing with Mrs McMullan and instrumental tuition (violin) from Knowsley Performing Arts Service. 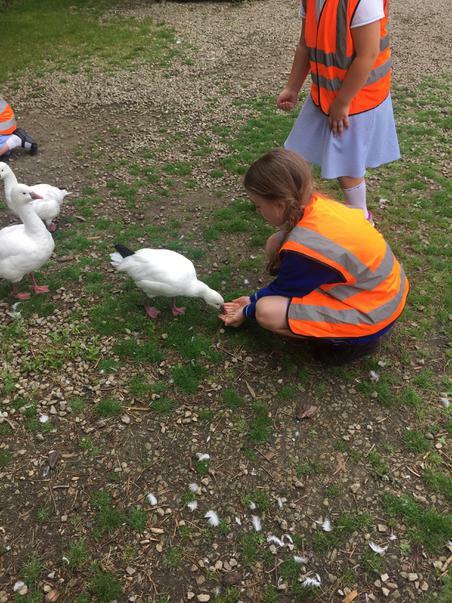 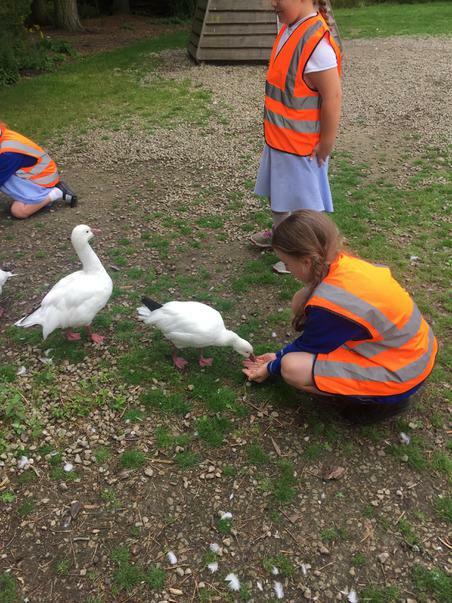 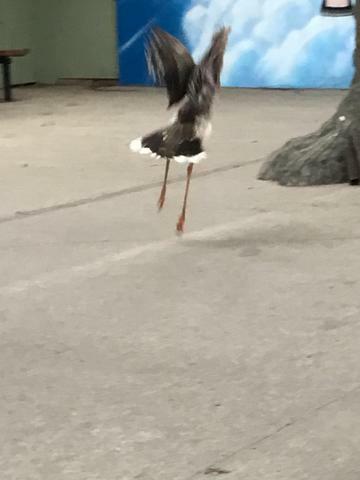 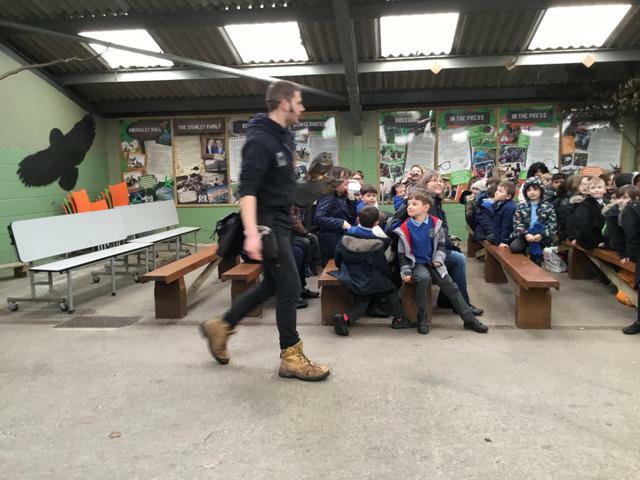 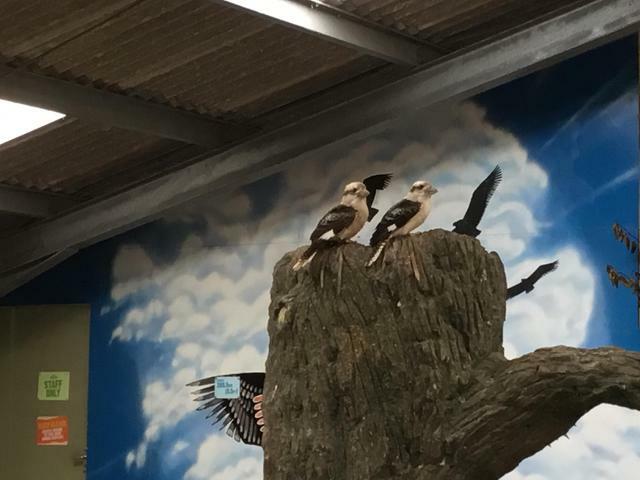 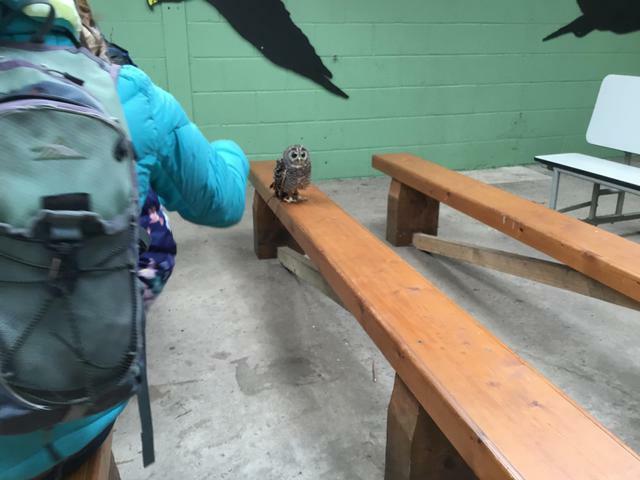 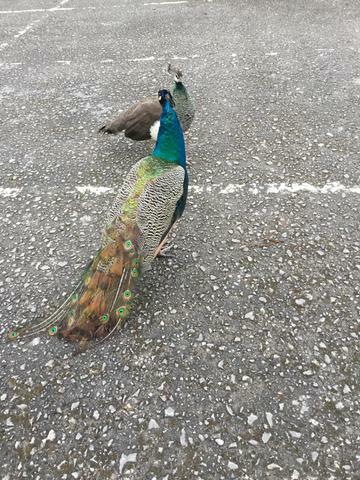 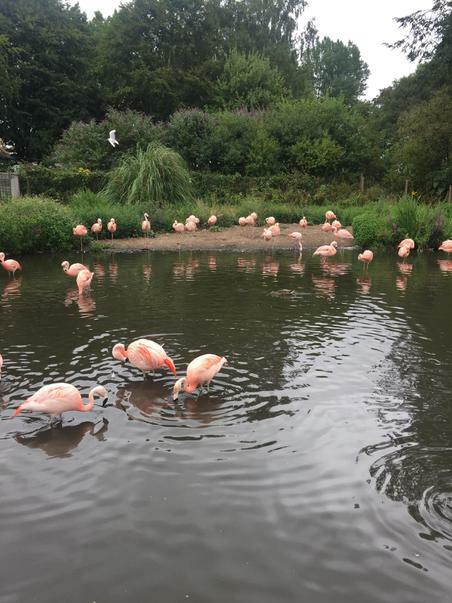 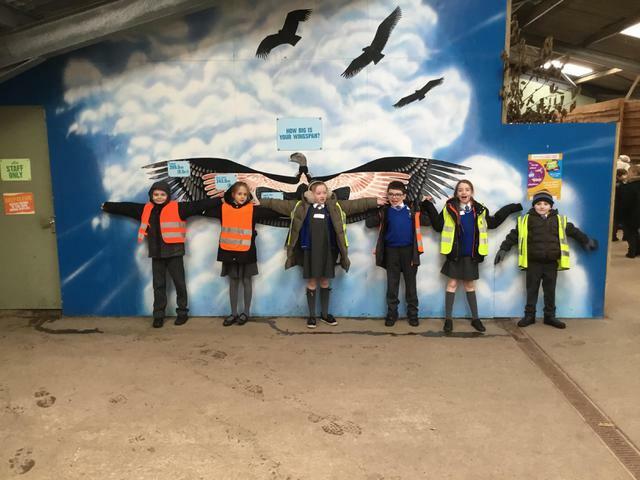 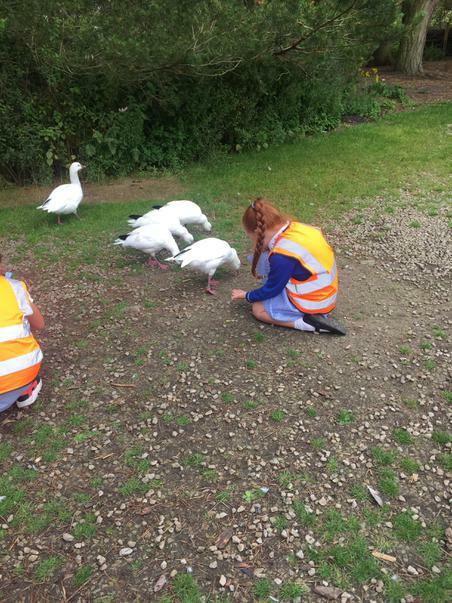 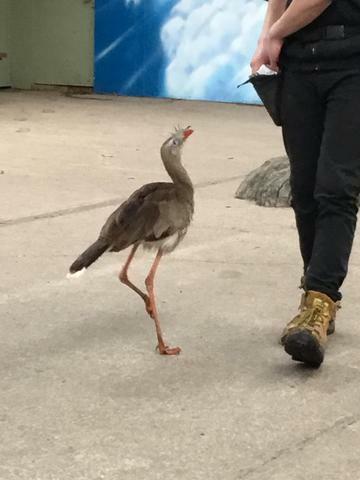 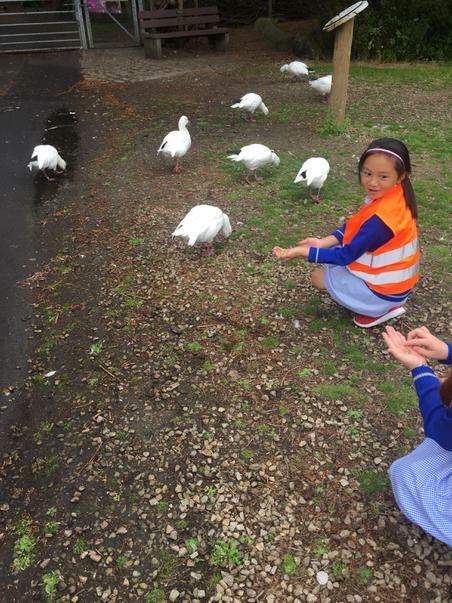 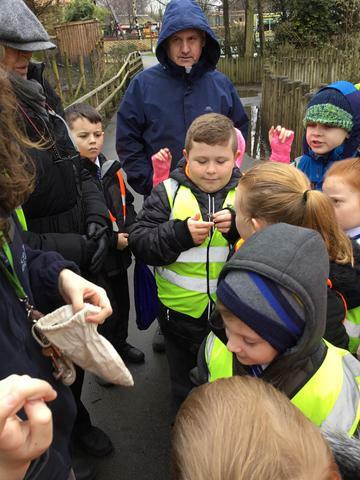 A trip to Martin Mere Wildfowl Centre. 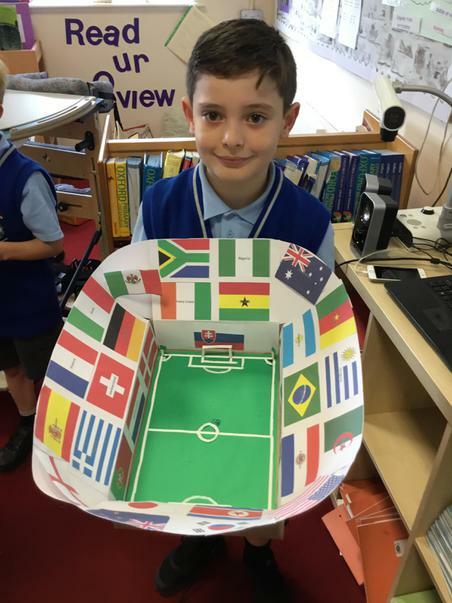 Our entry point for The World Cup. 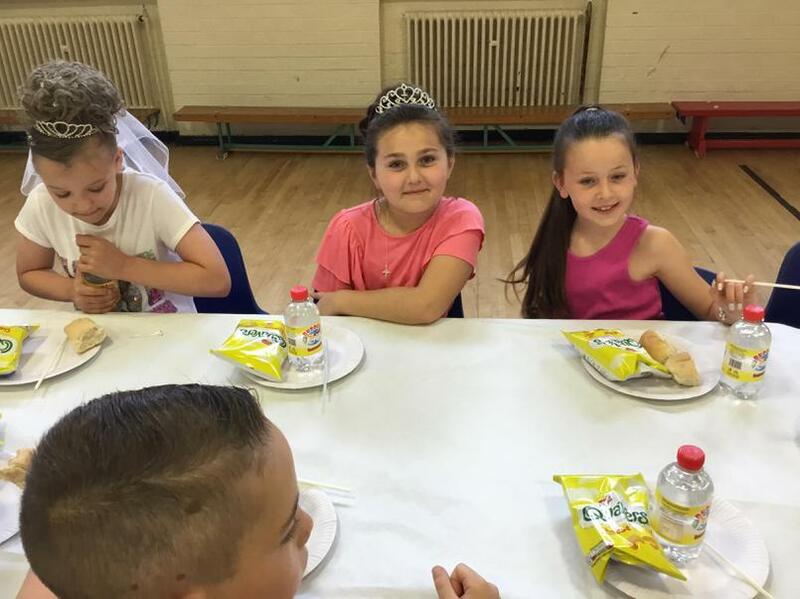 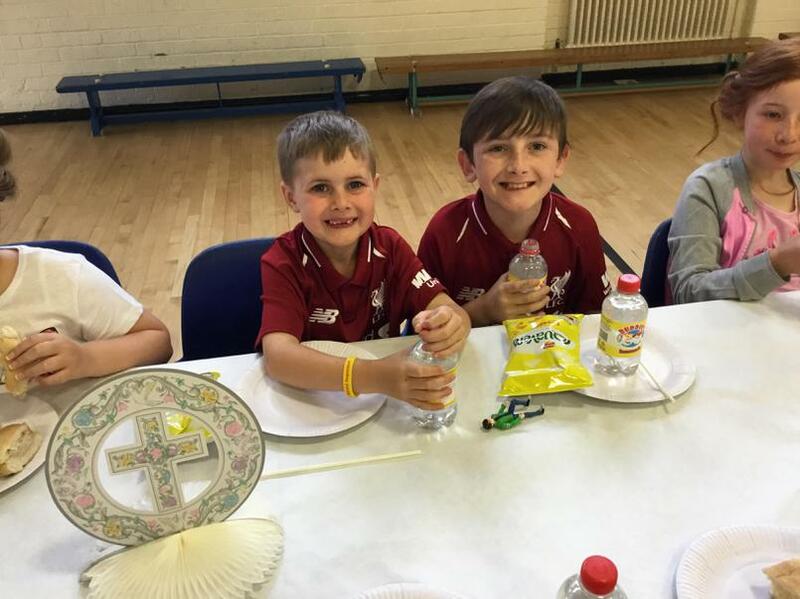 Celebrating Our First Holy Communions. 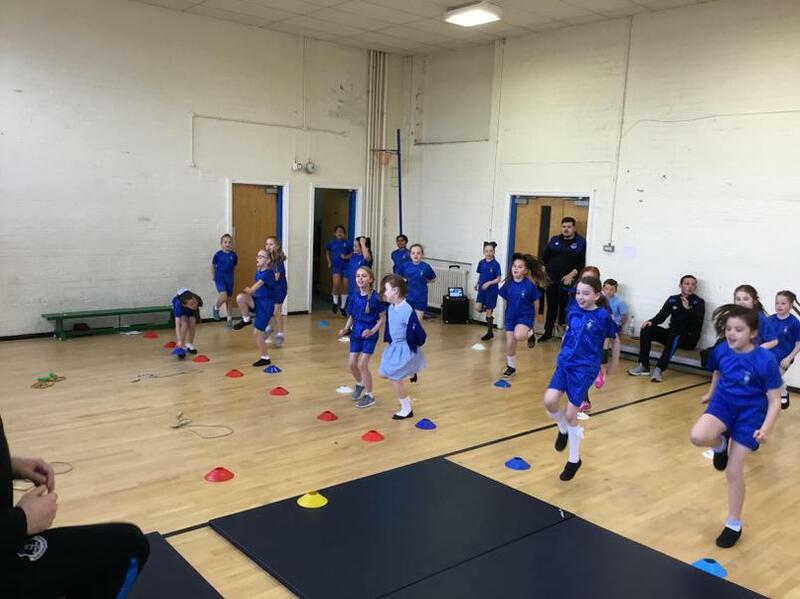 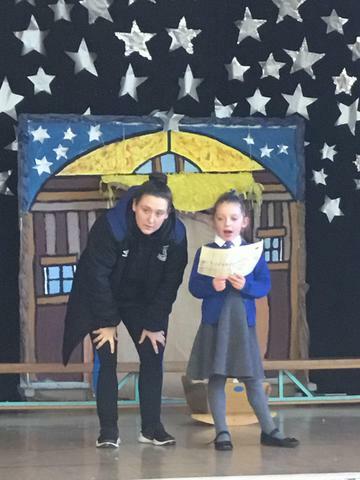 Keeping Healthy with Everton in the Community. 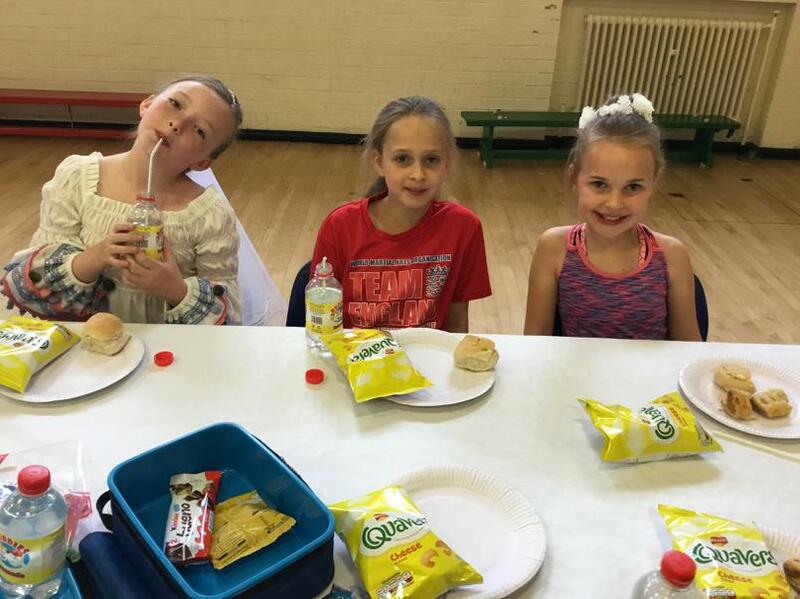 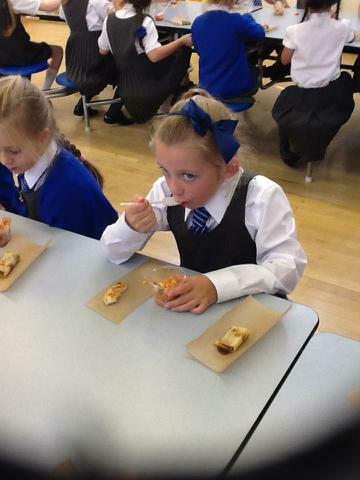 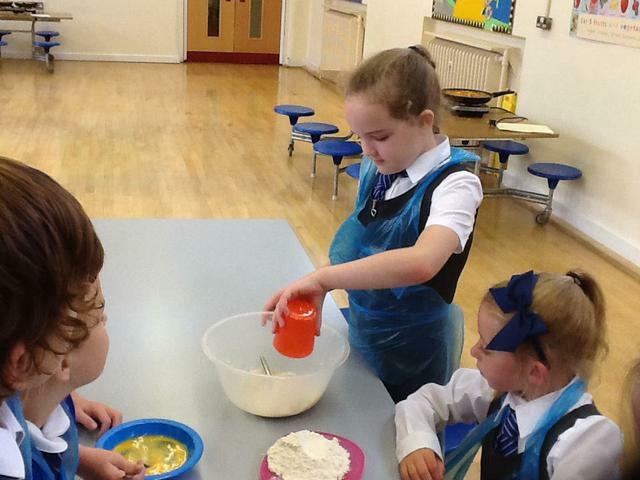 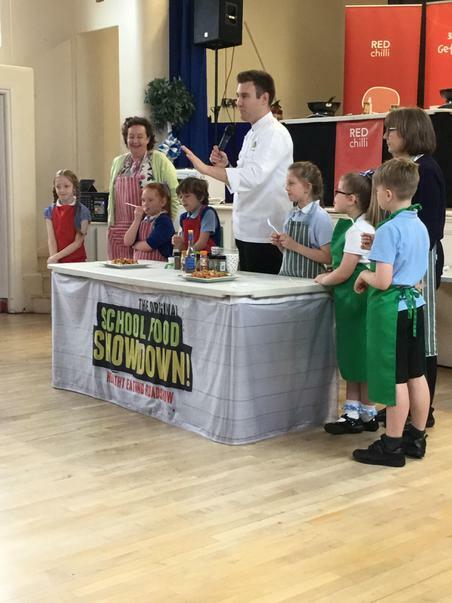 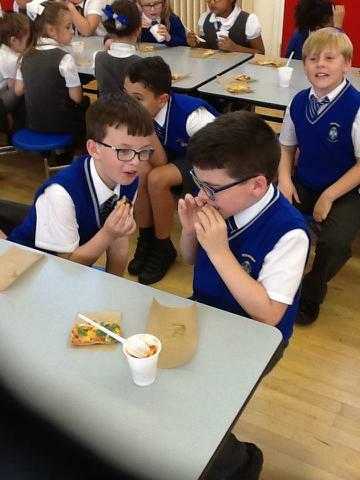 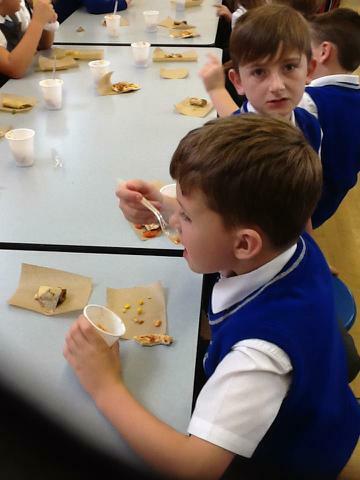 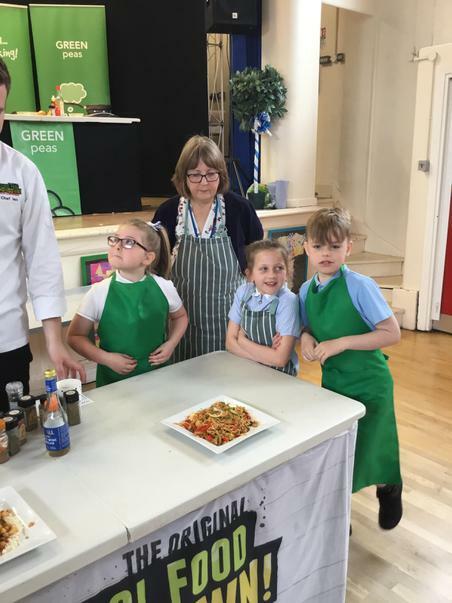 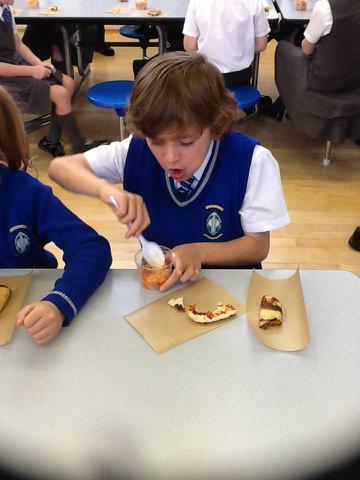 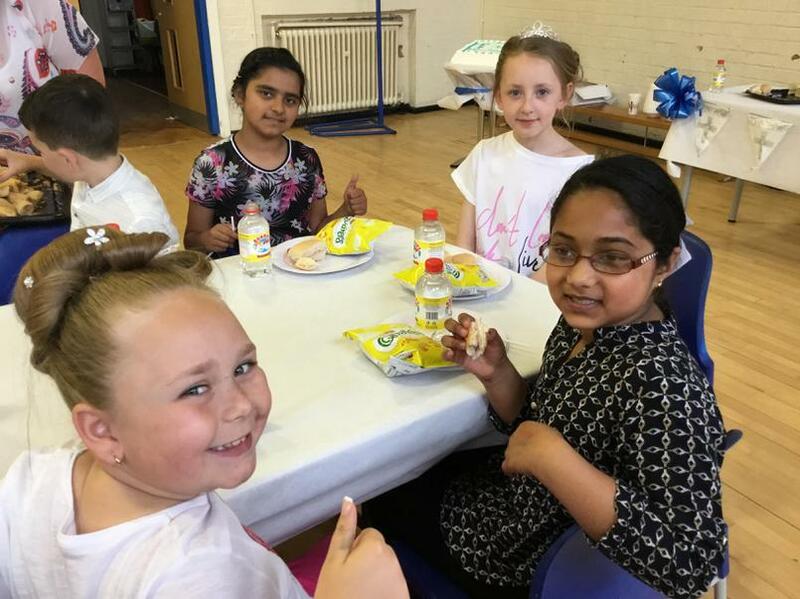 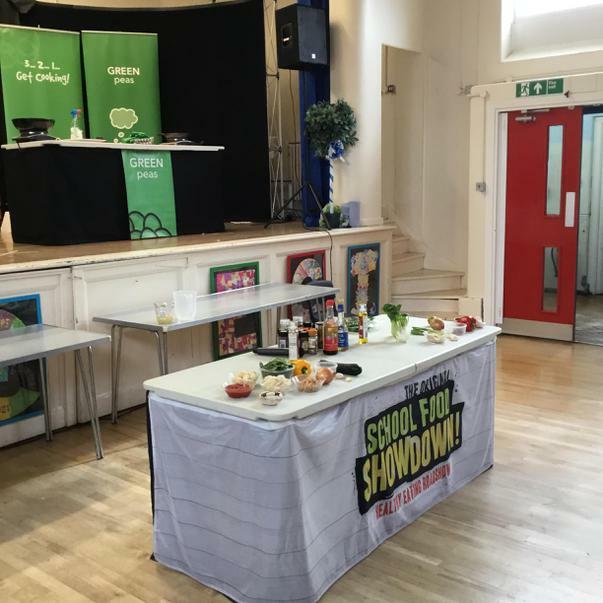 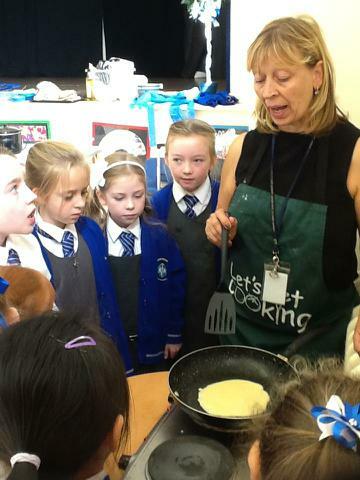 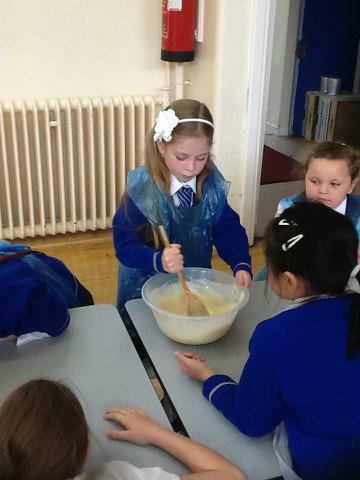 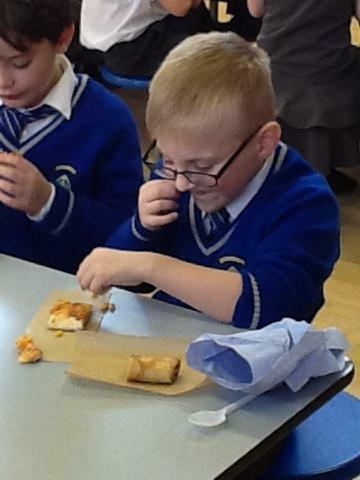 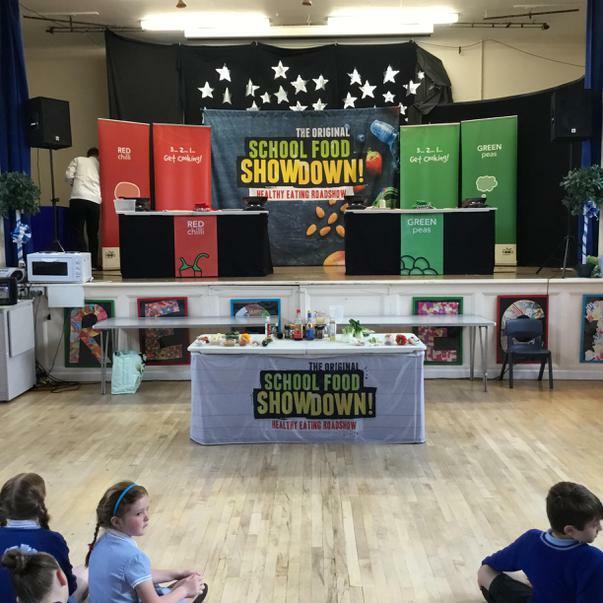 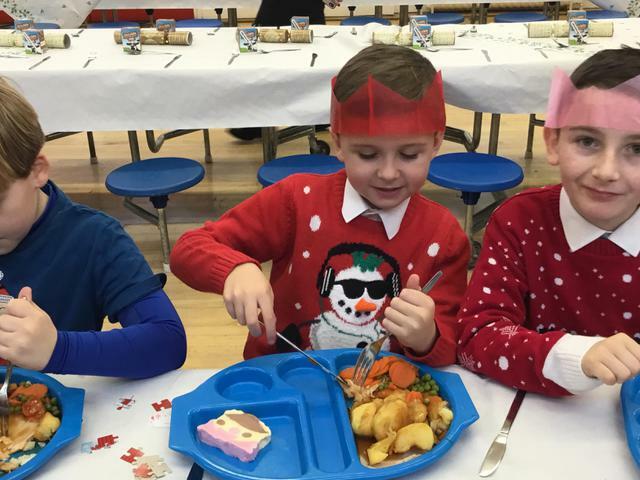 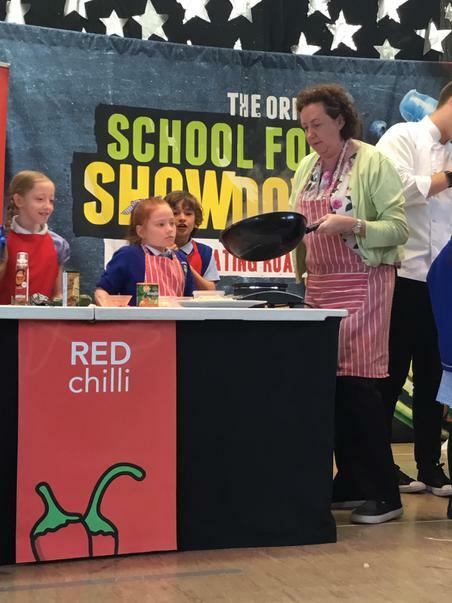 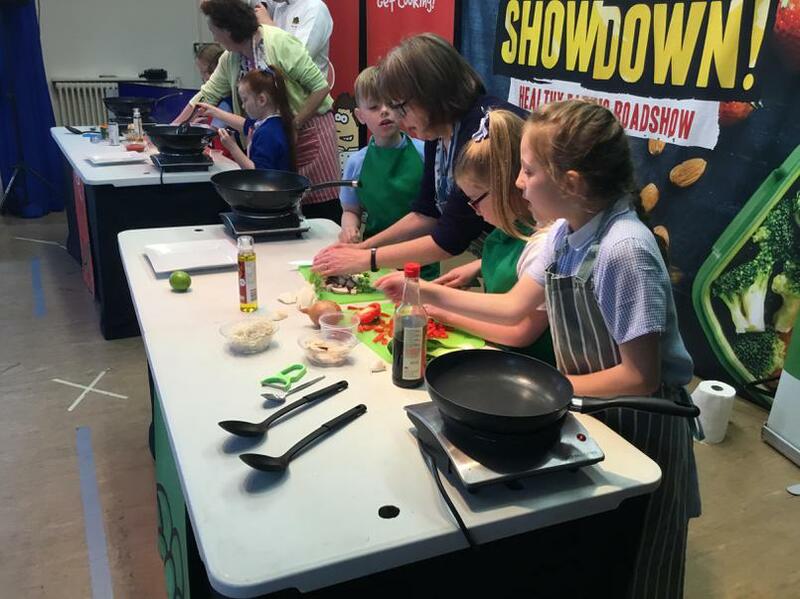 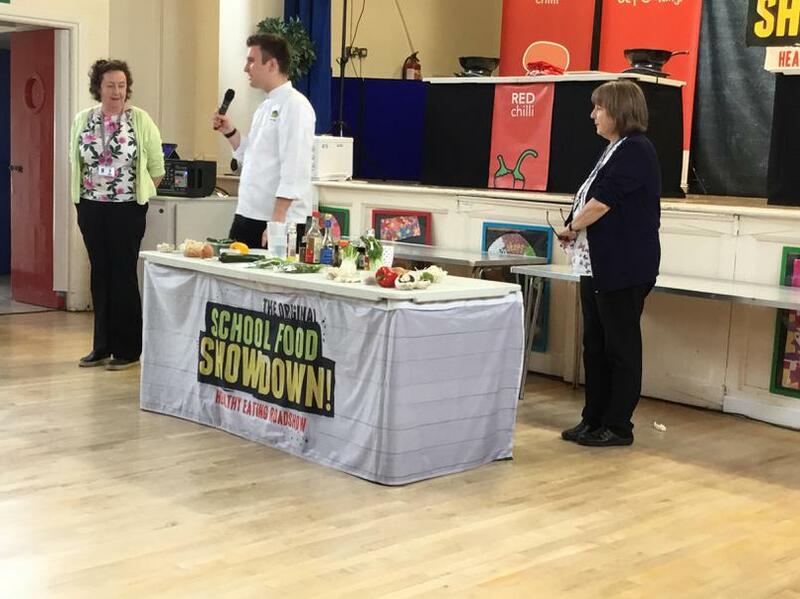 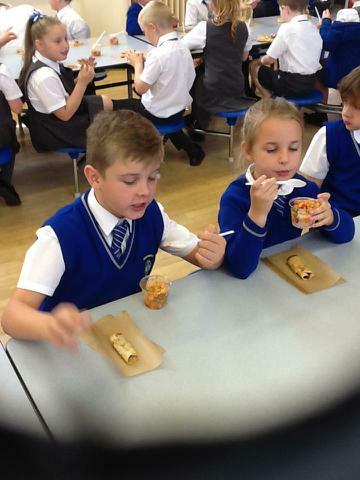 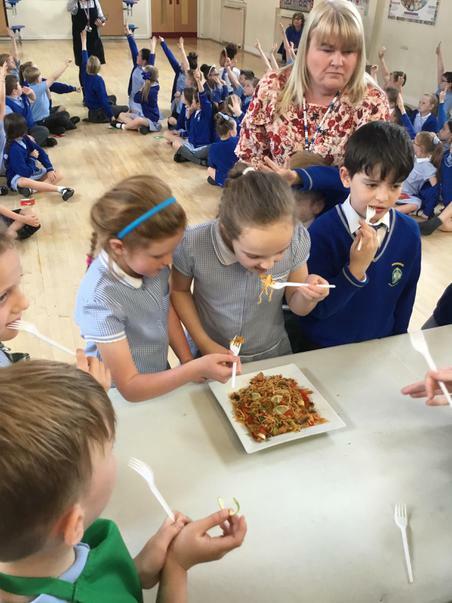 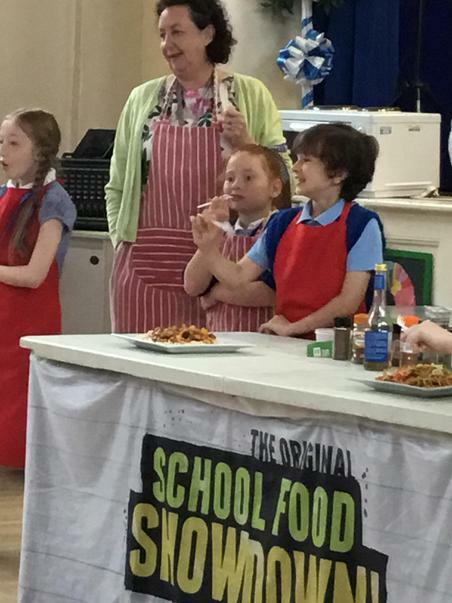 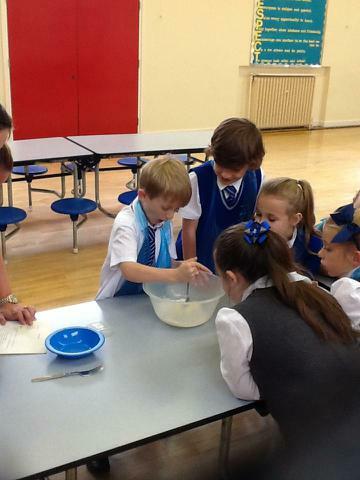 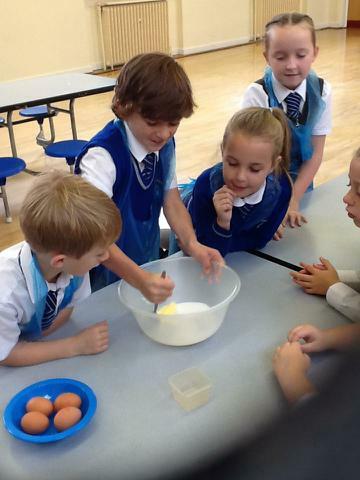 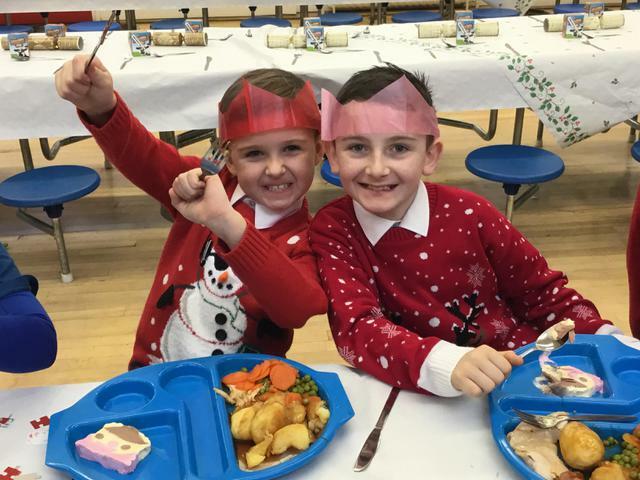 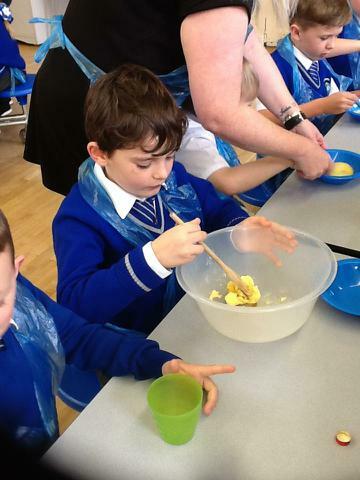 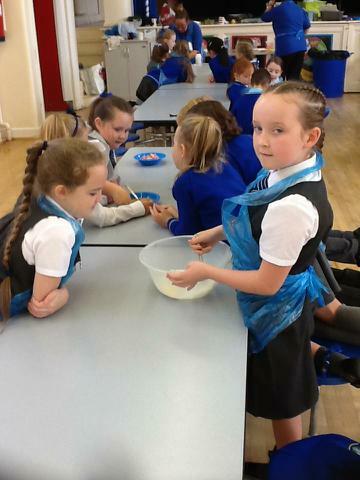 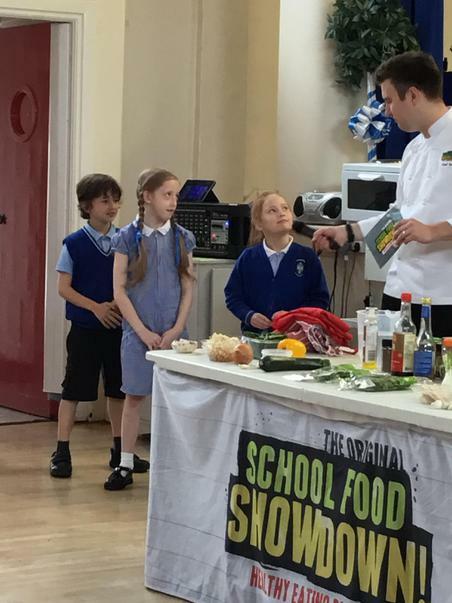 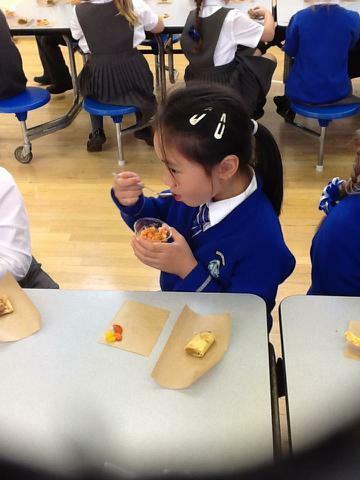 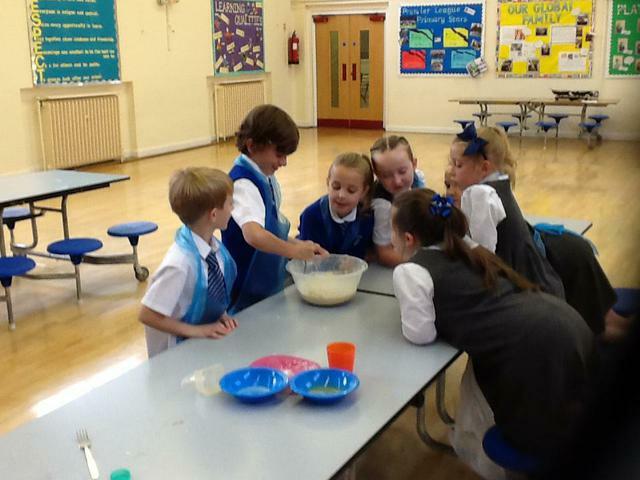 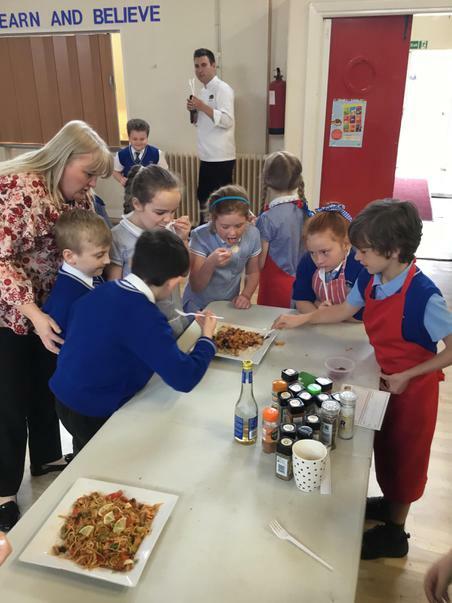 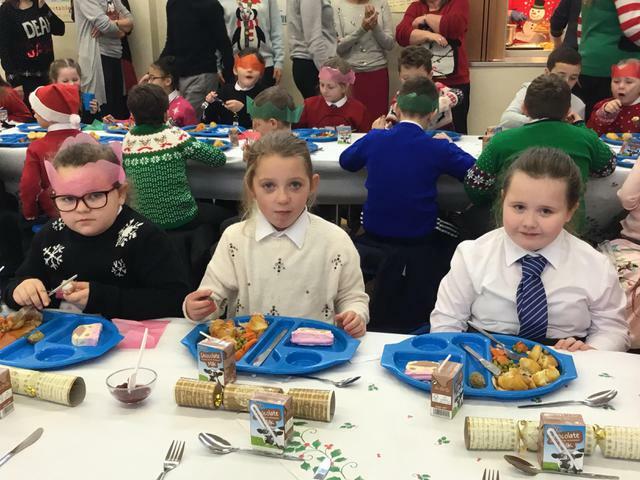 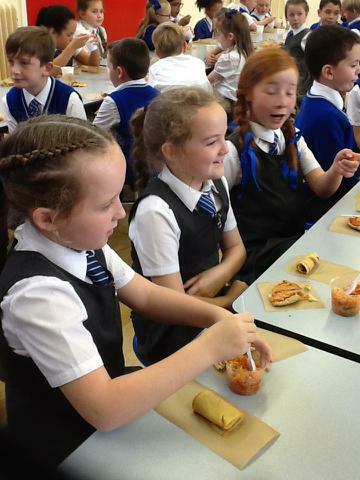 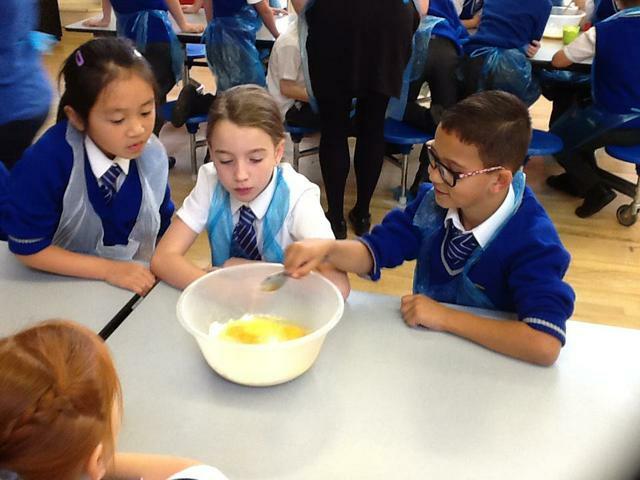 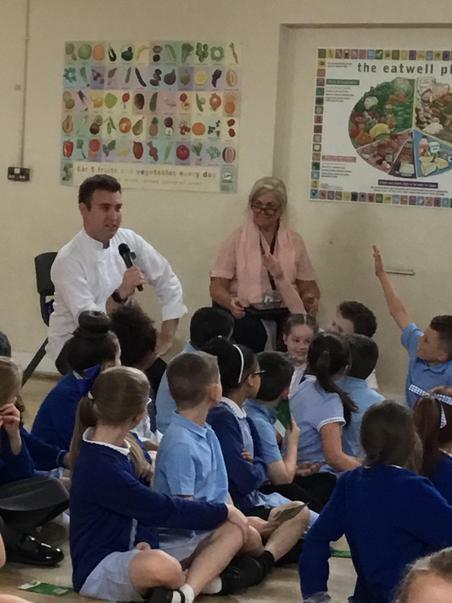 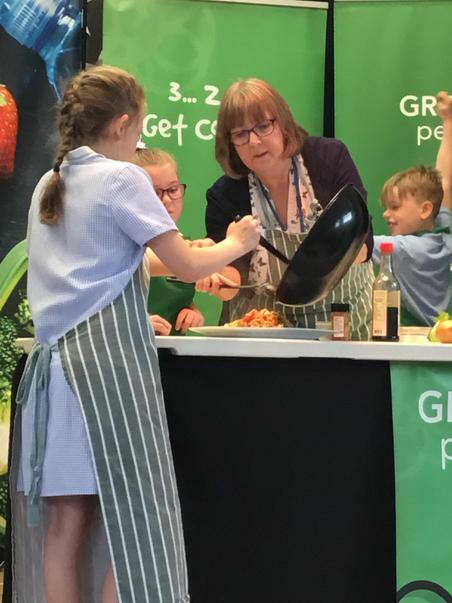 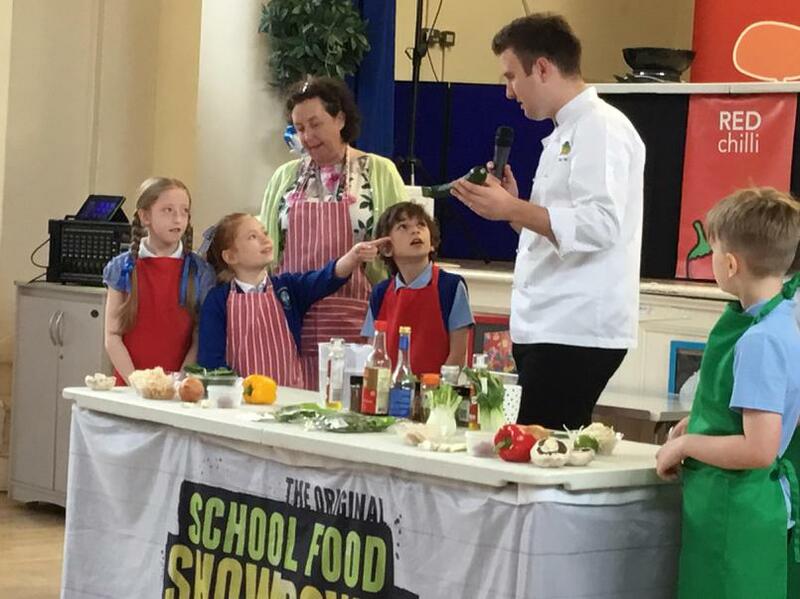 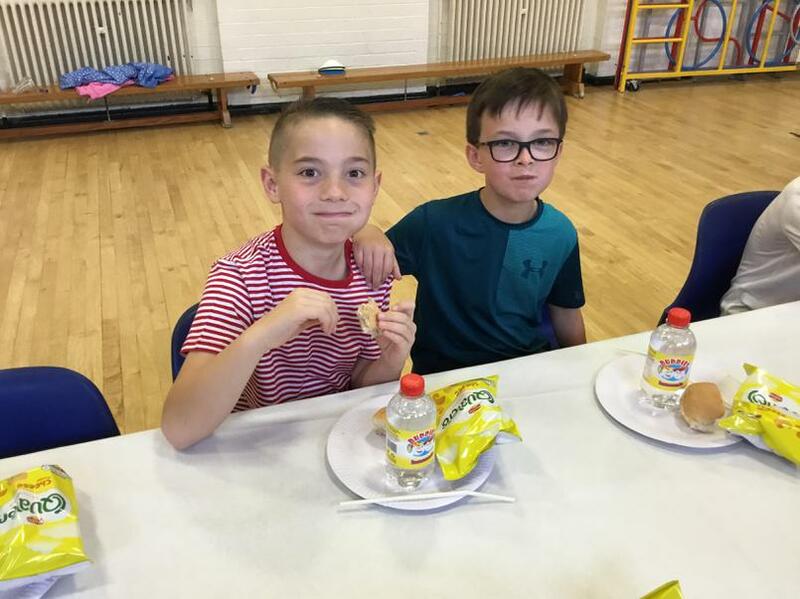 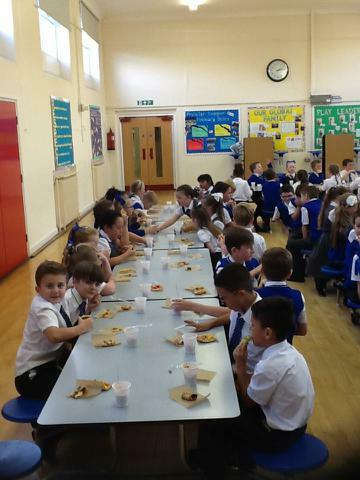 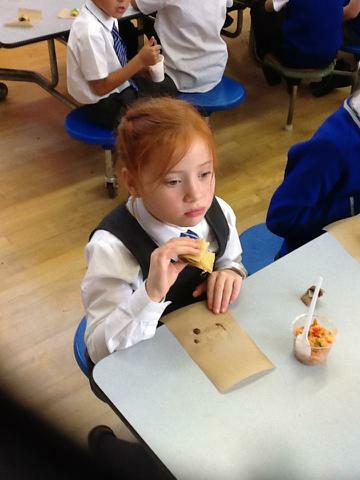 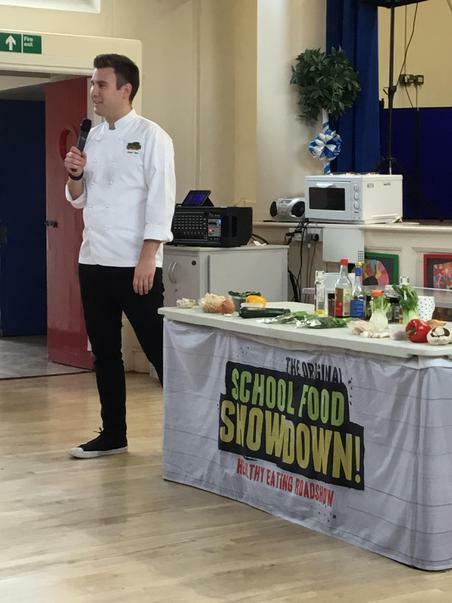 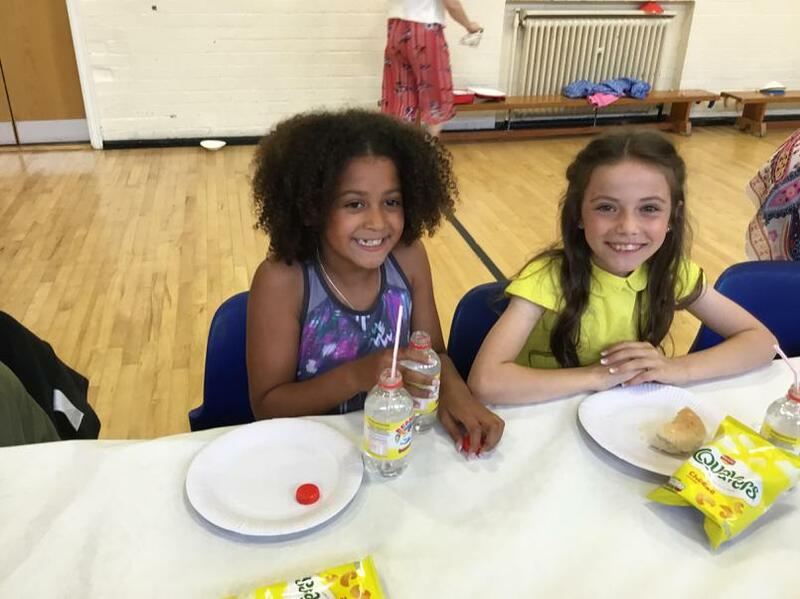 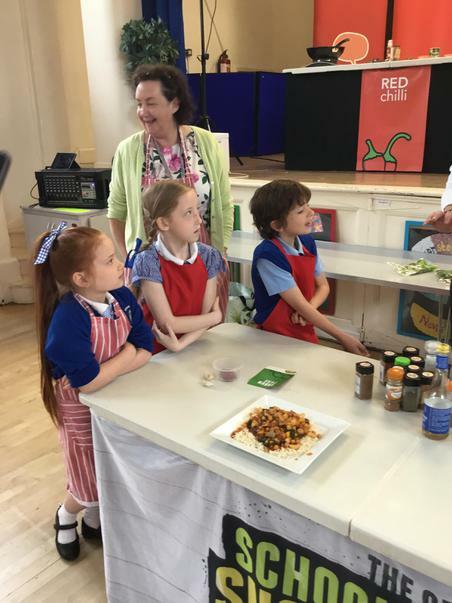 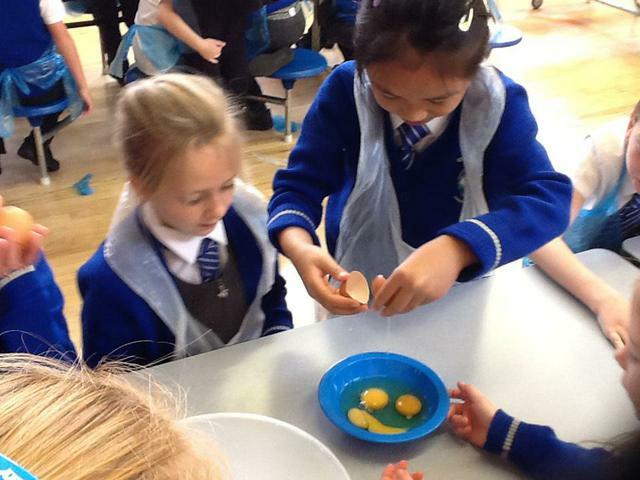 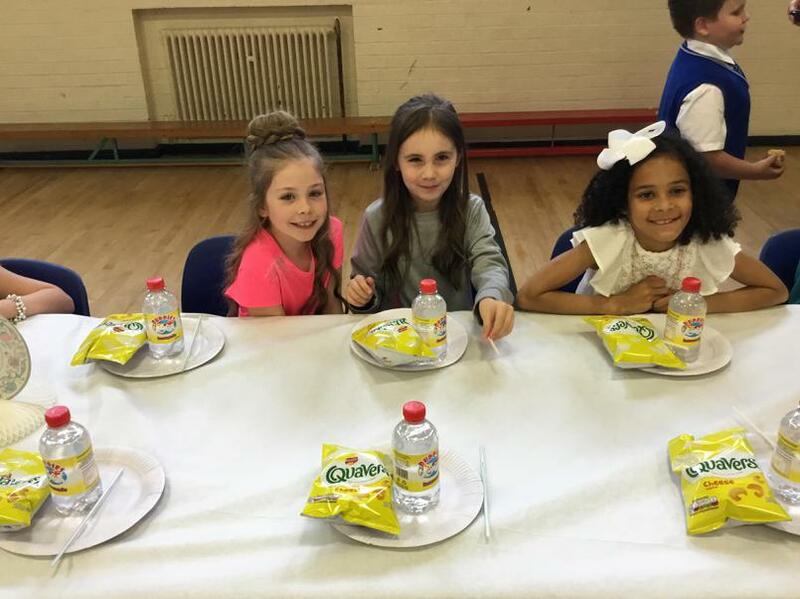 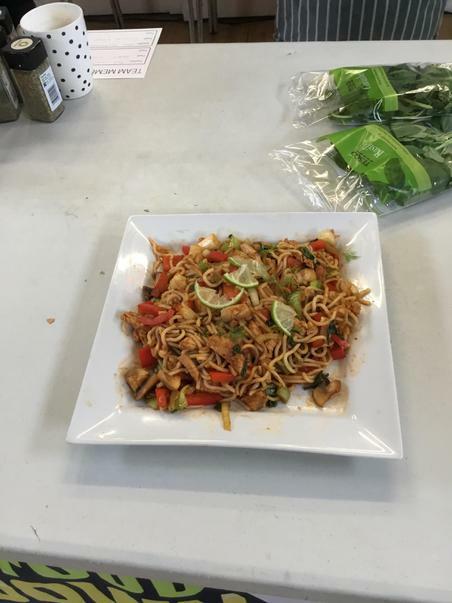 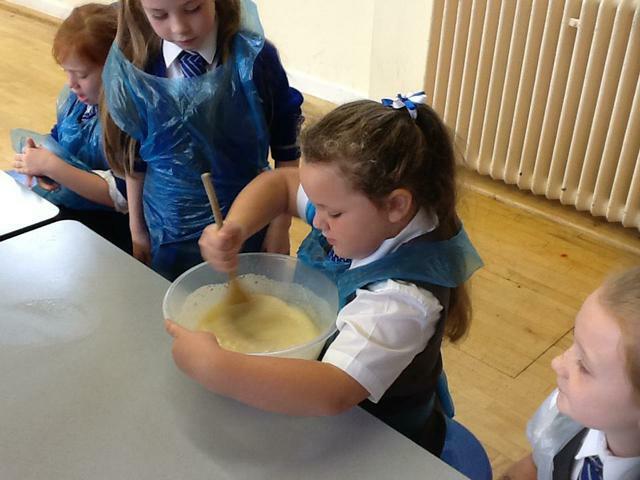 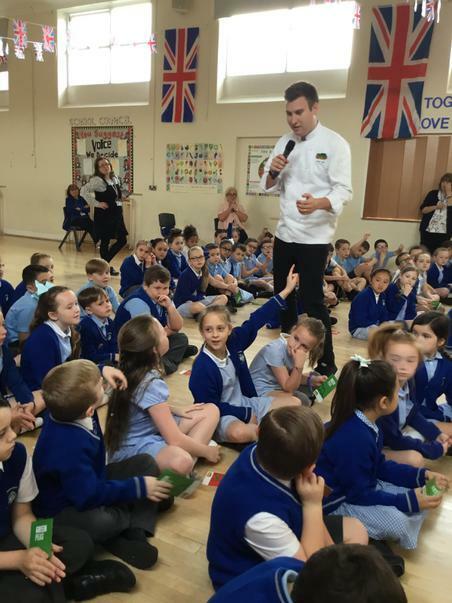 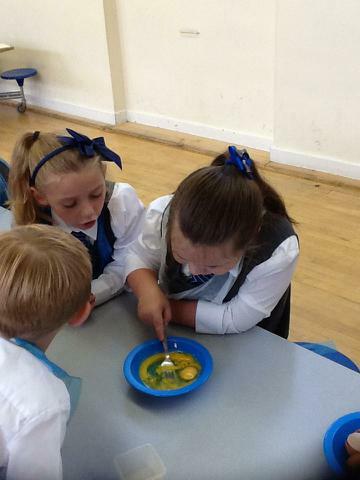 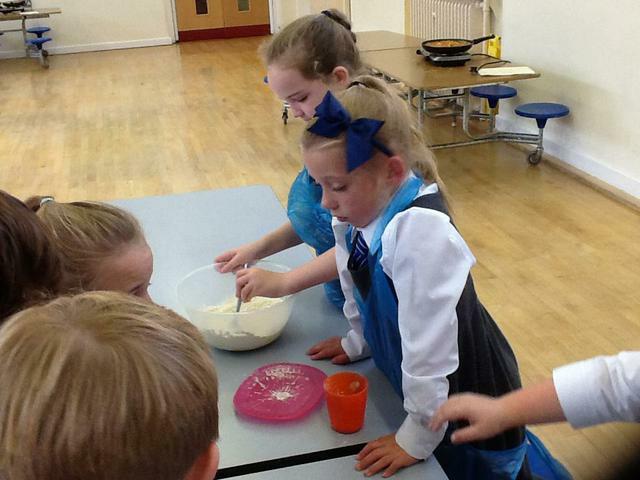 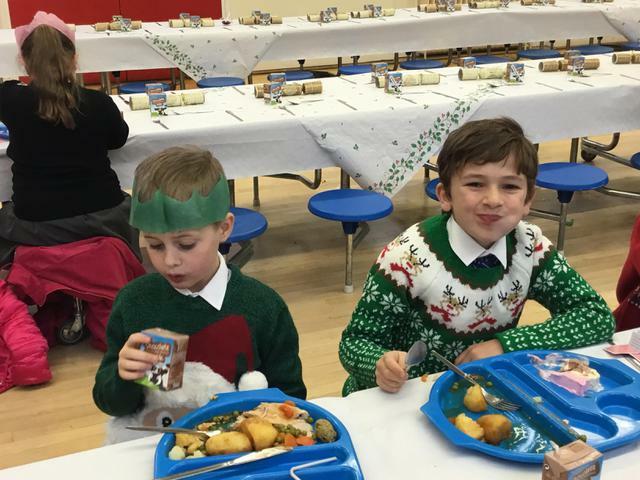 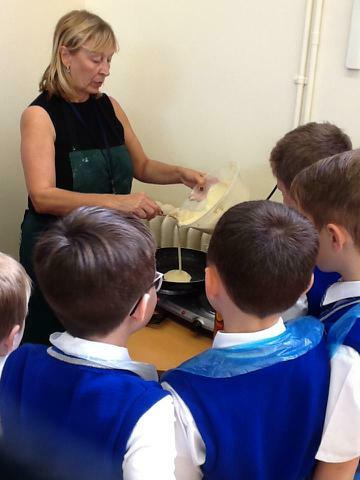 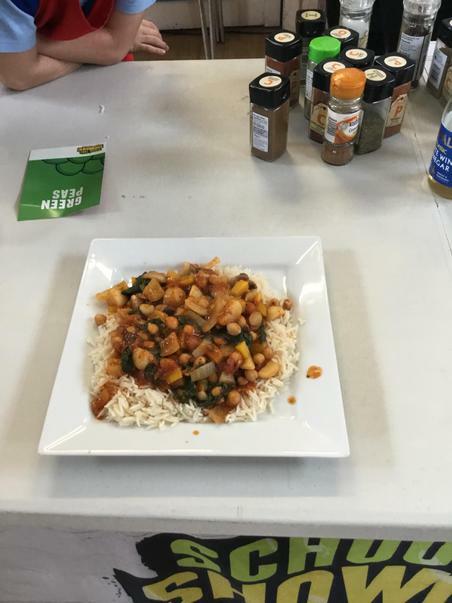 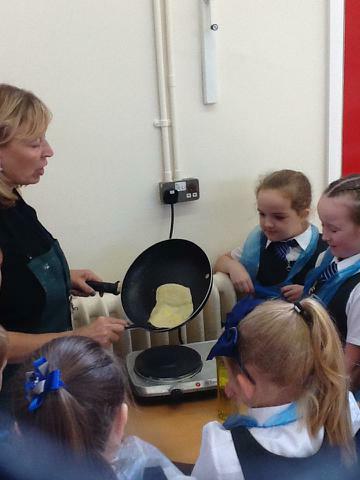 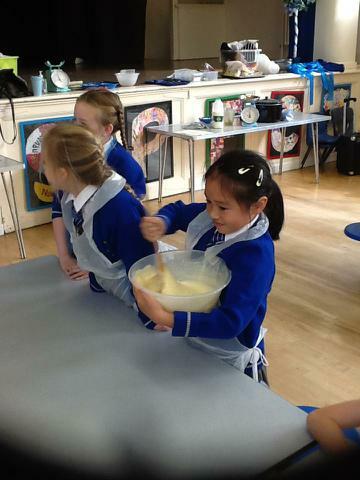 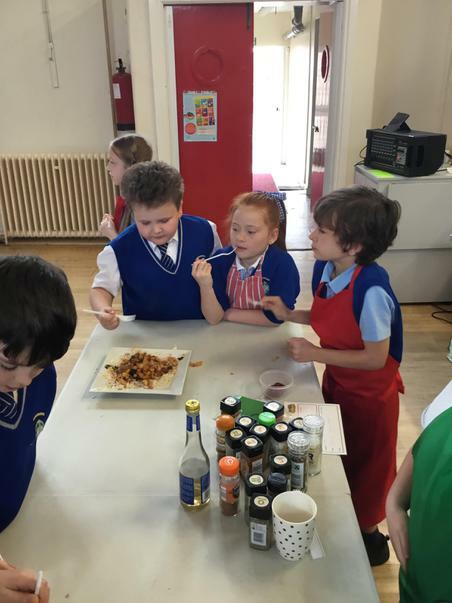 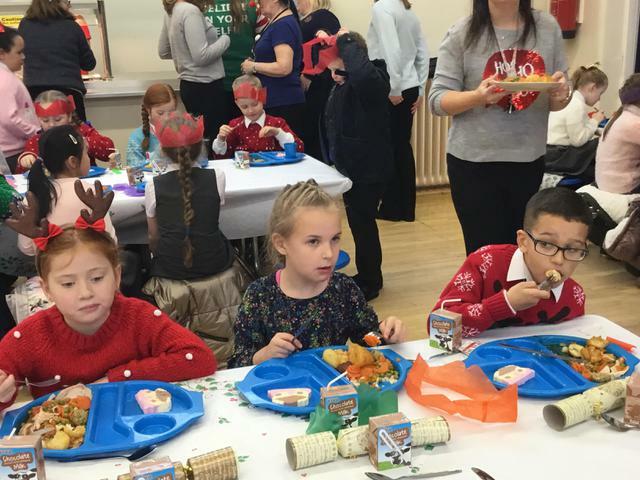 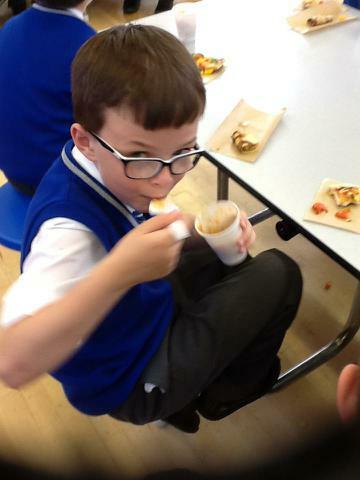 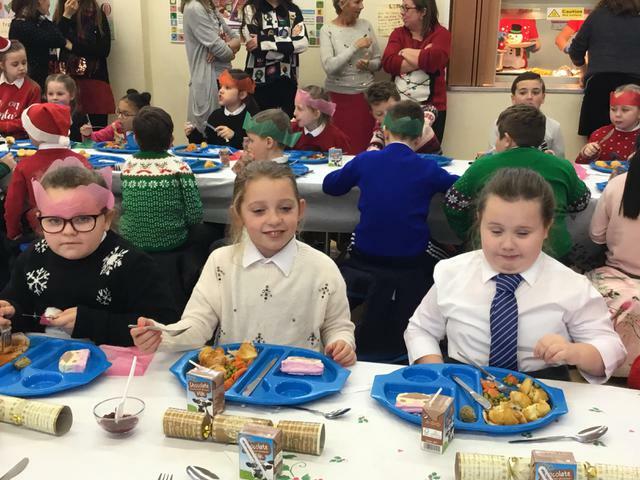 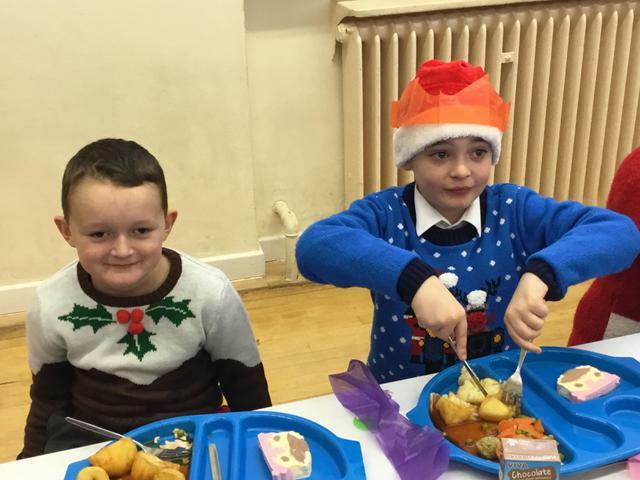 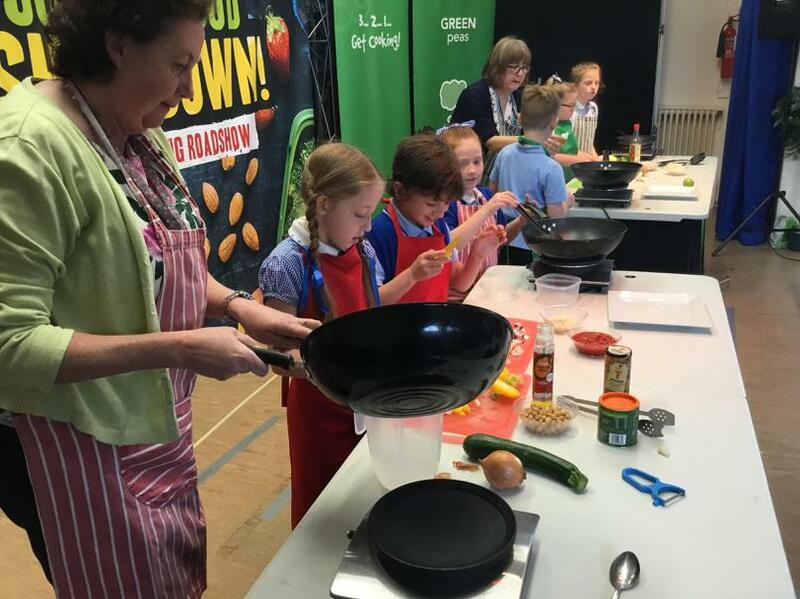 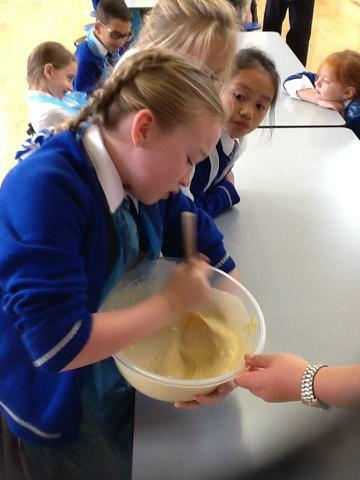 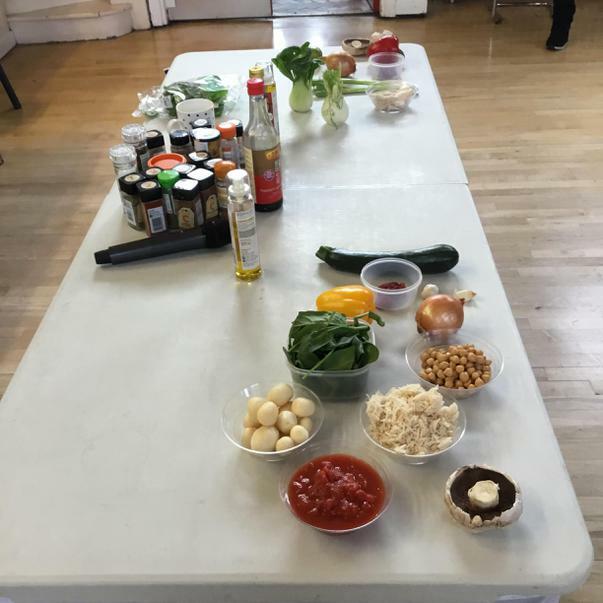 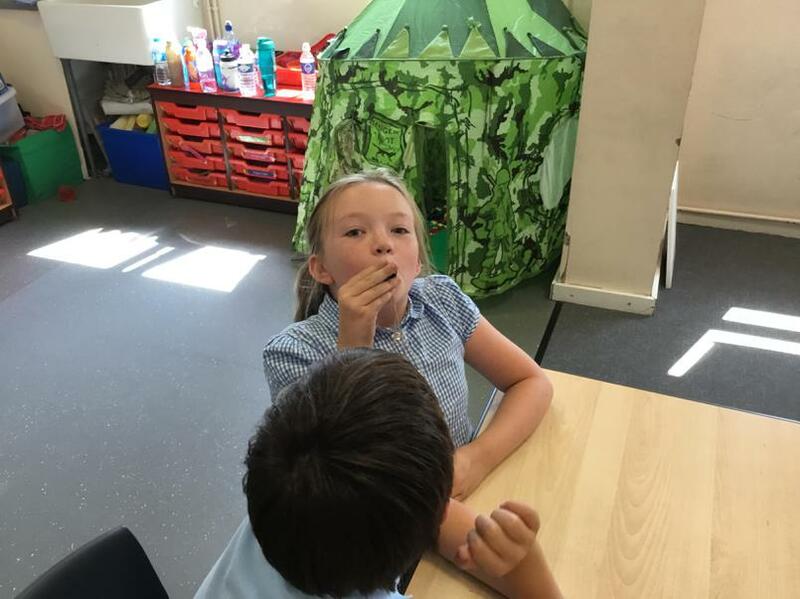 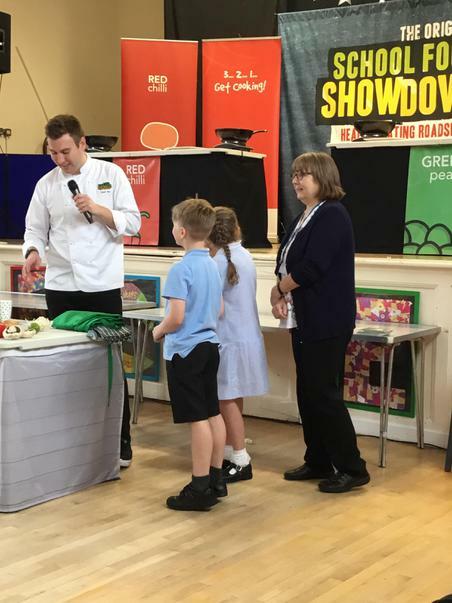 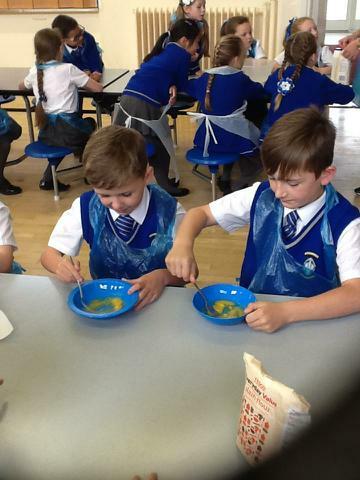 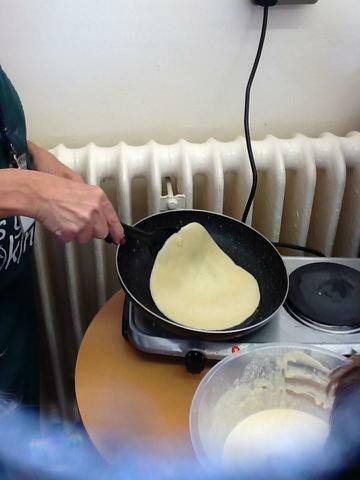 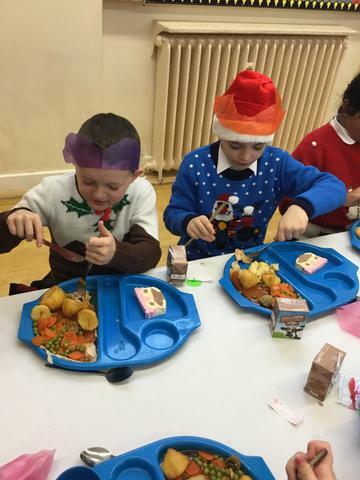 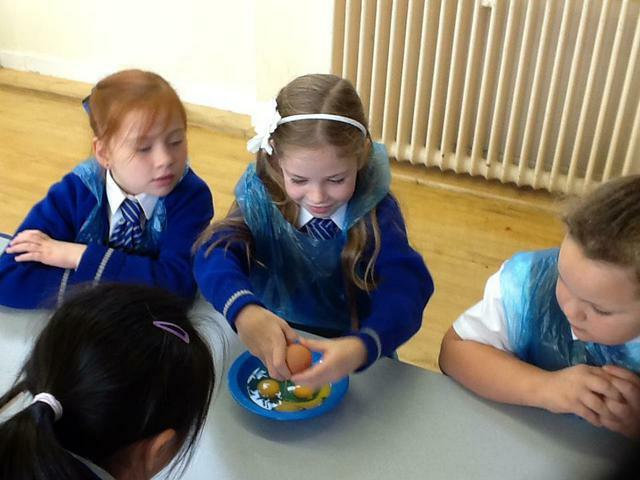 Healthy Eating with the School Food Showdown. 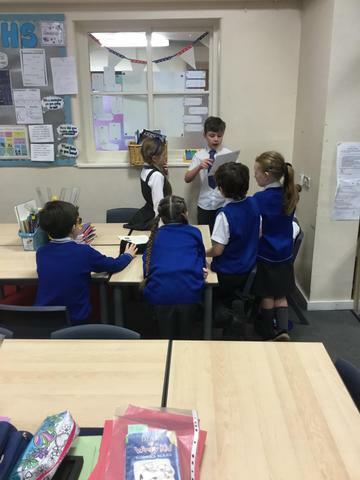 Turning a Playscript into a Short Film. 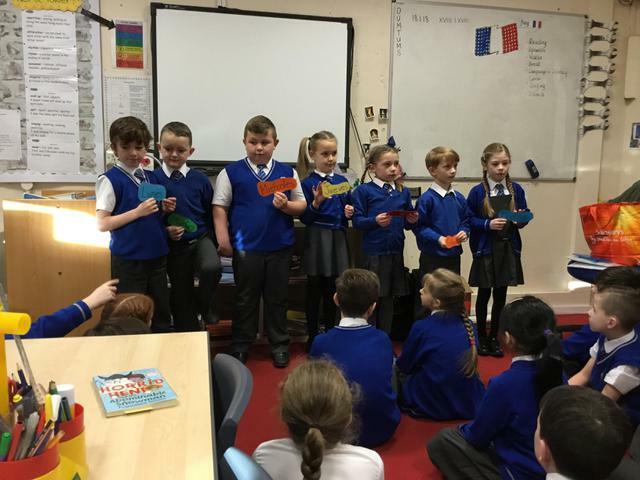 ENGLISH- Poetry and Writing linked to explanation texts and letters. 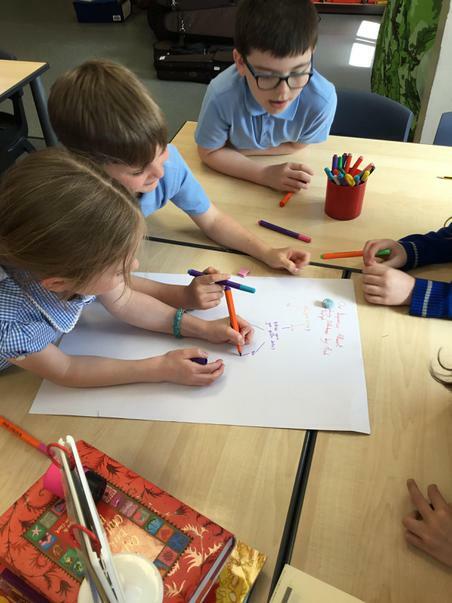 Grammar - punctuation, word classes, including determiners, similes, fronted adverbials, pronouns, main and subordinate clauses. 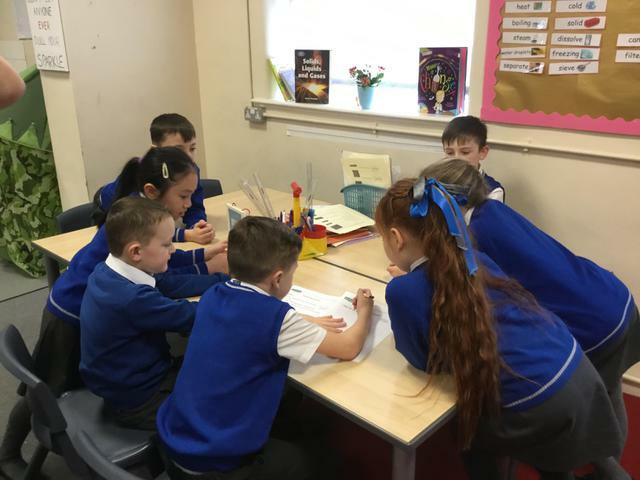 Guided Reading with Vipers, Spellings - prefixes and suffixes and spellings from Year 3/4. 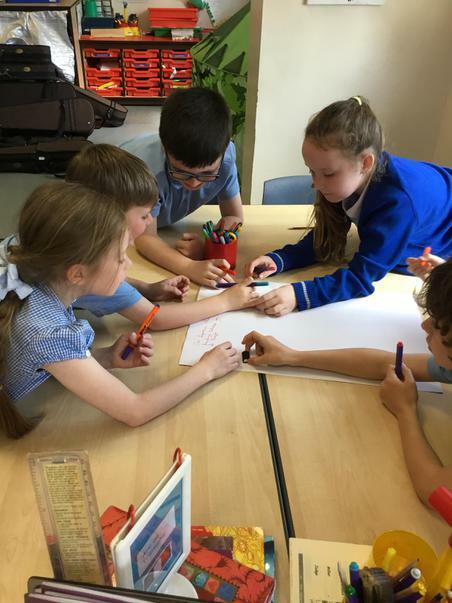 Handwriting - developing a cursive style. 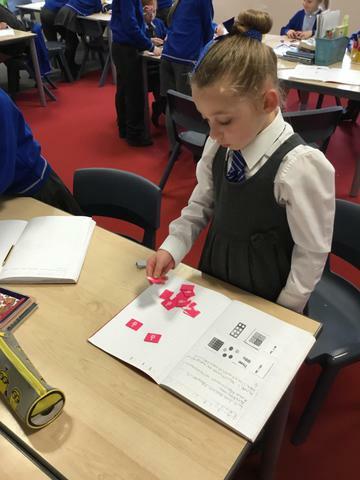 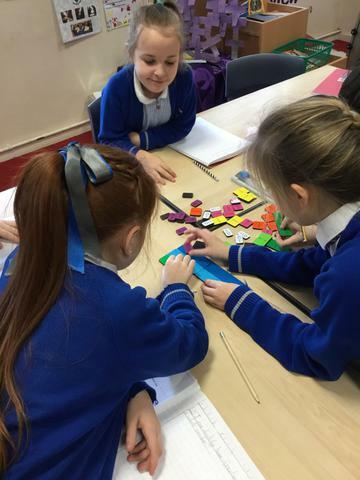 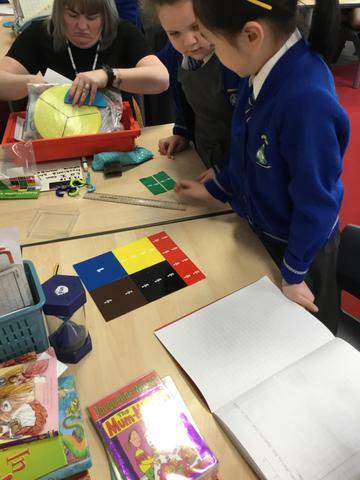 MATHS- Multiplication and division, Fractions, Capacity, reading scales and co-ordinates. 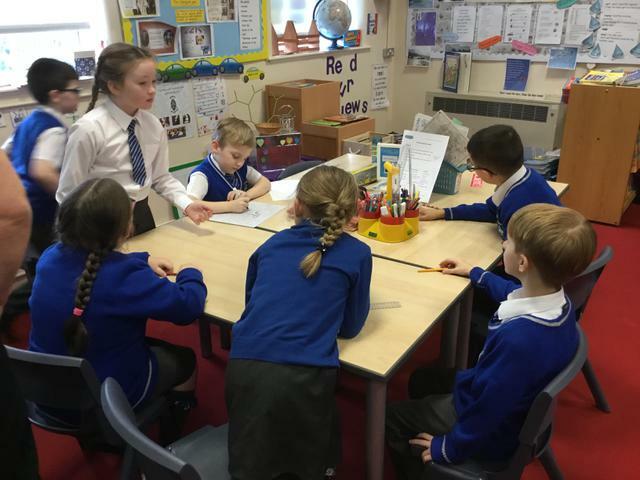 RELIGIOUS EDUCATION - Topics from our Come and See scheme about Journeys, Giving and Receiving and Giving All. 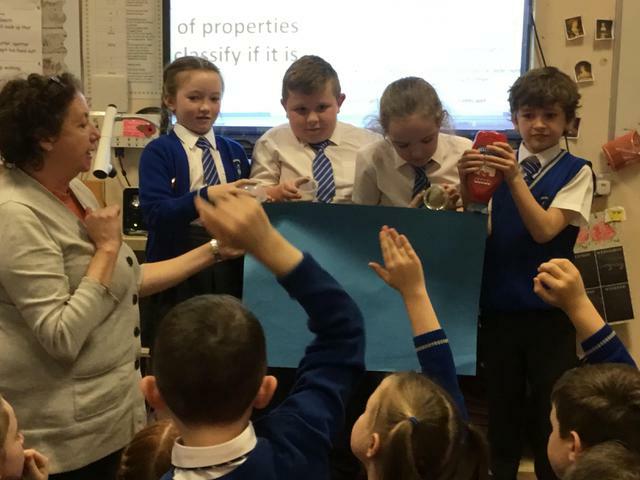 SCIENCE- States of Matter, including solids, liquids and gases and Animals and their habitats. 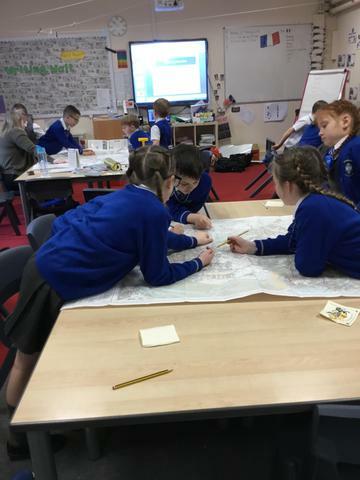 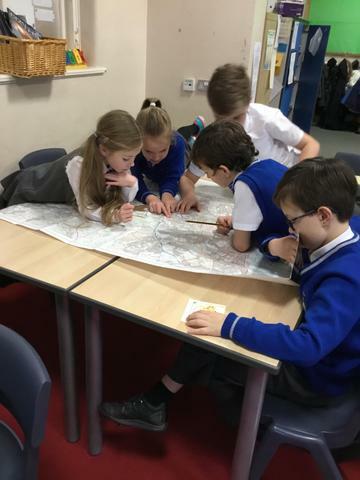 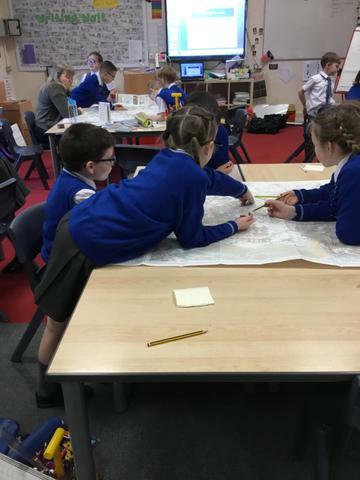 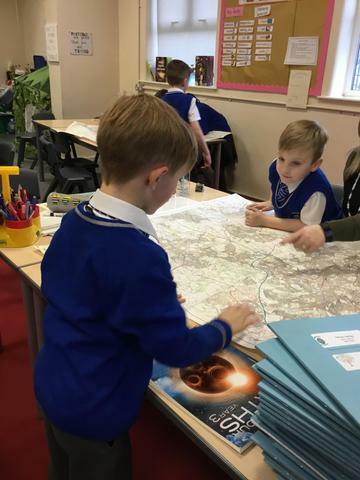 GEOGRAPHY- Knowing Knowsley- looking at maps, drawing maps, land use and land changes, landmarks and places of interest. 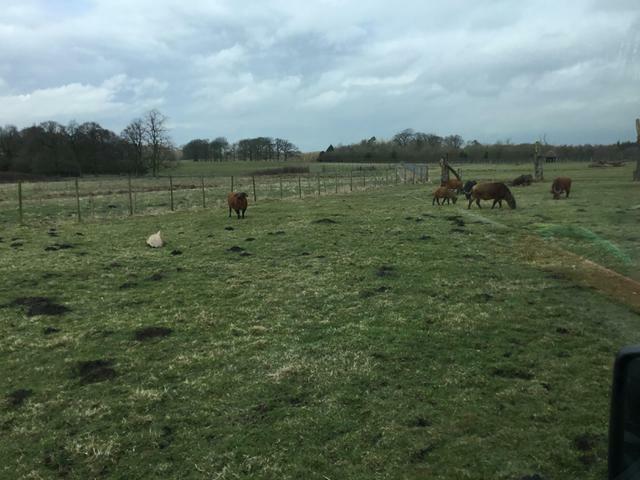 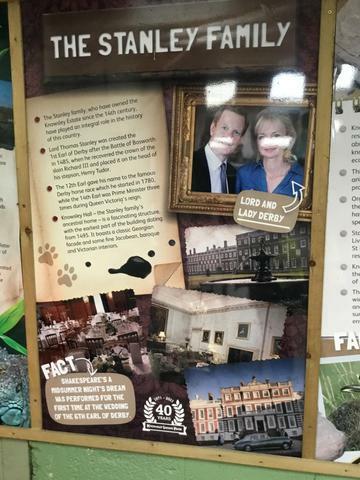 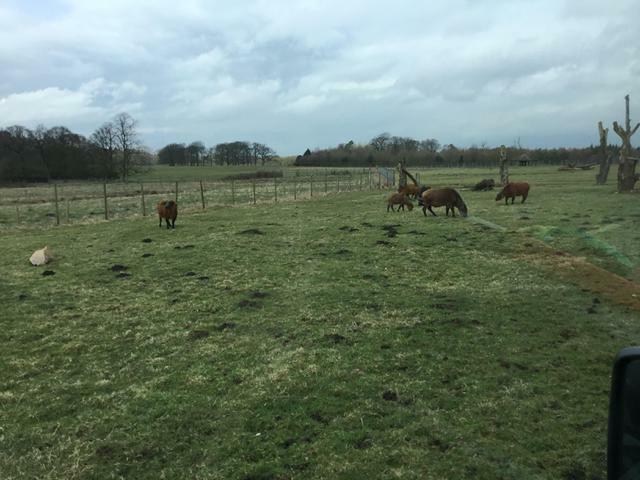 HISTORY-The history of Knowsley, particularly changes to Huyton, study of old maps and photographs and researching the story of Blackie the warhorse and Huyton POW camps. 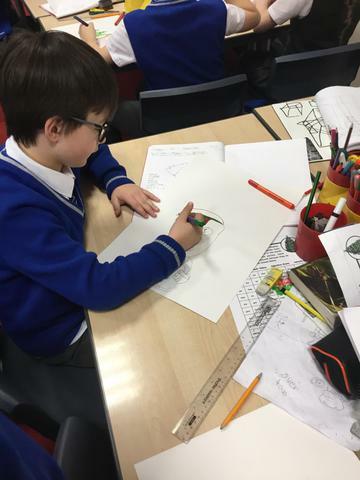 ART- Artist Edward Lear, observational drawing of feathers. 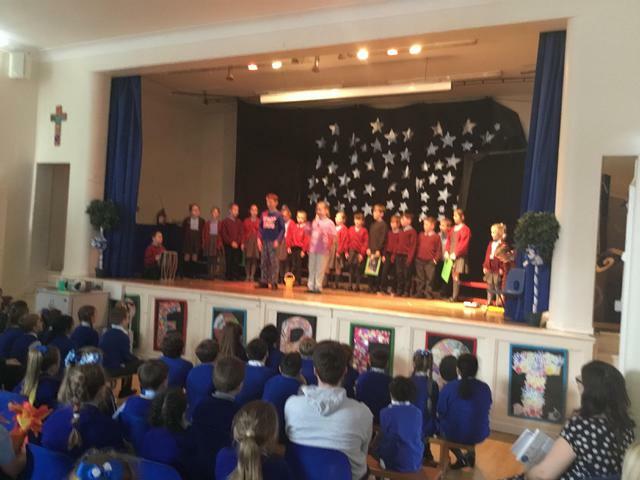 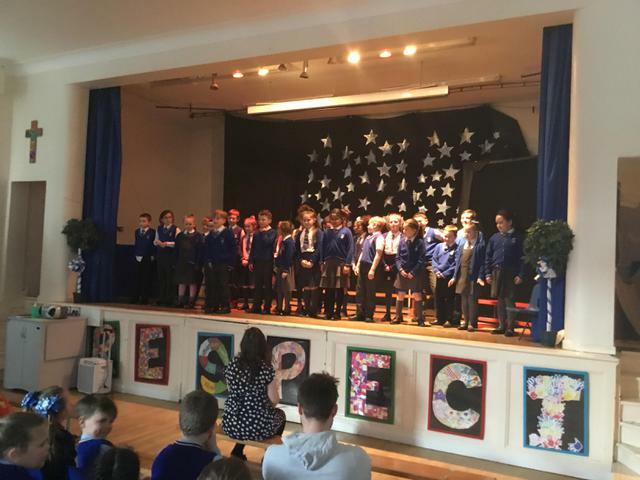 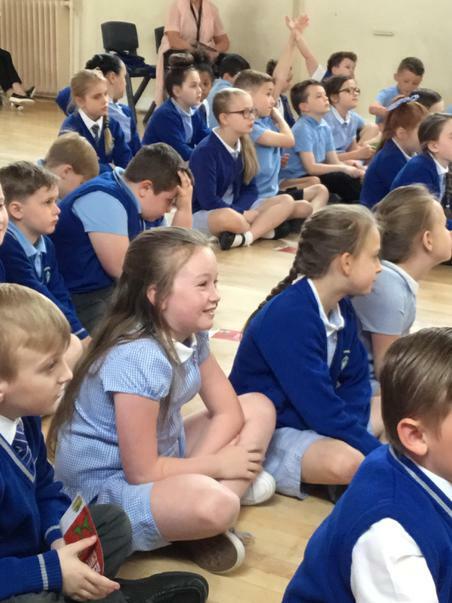 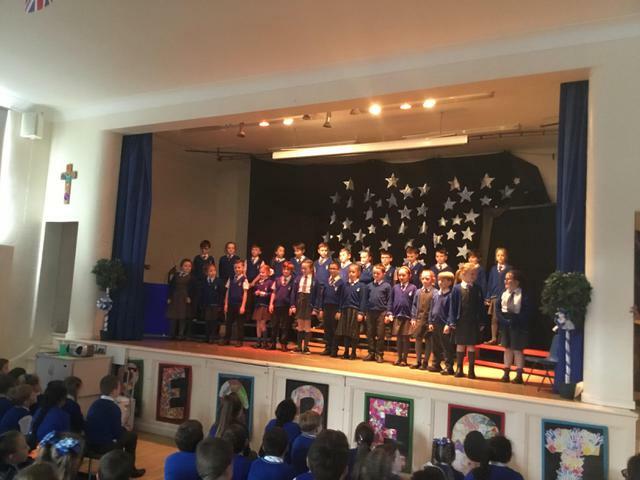 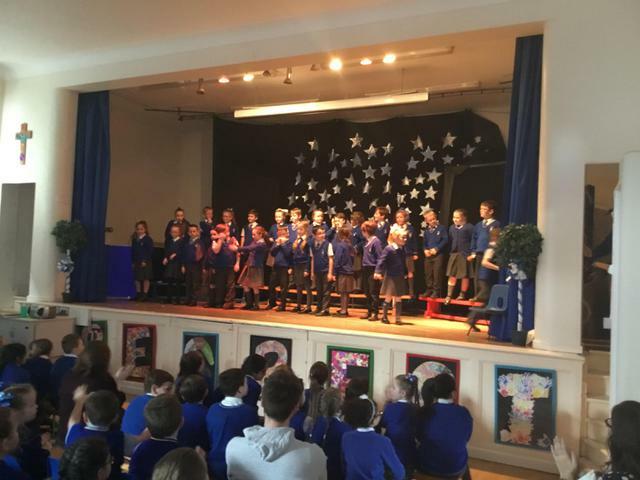 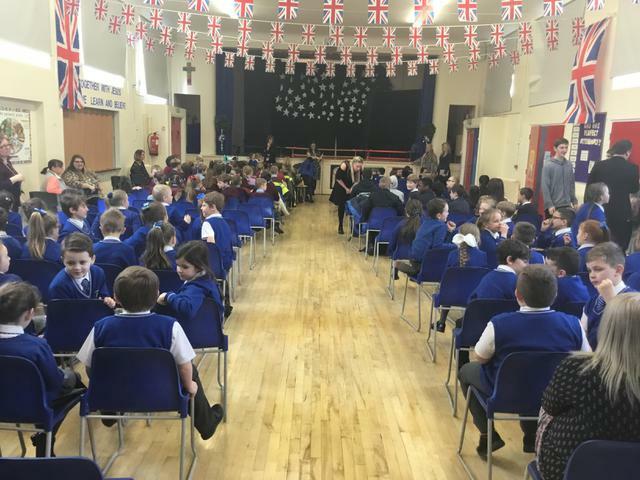 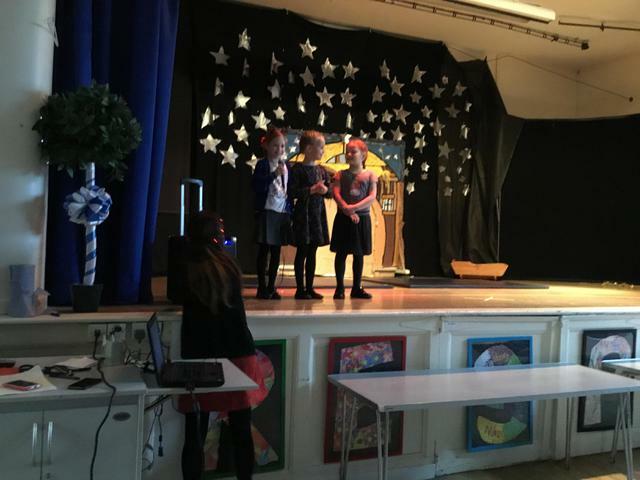 Performing Choral Poetry with an audience! 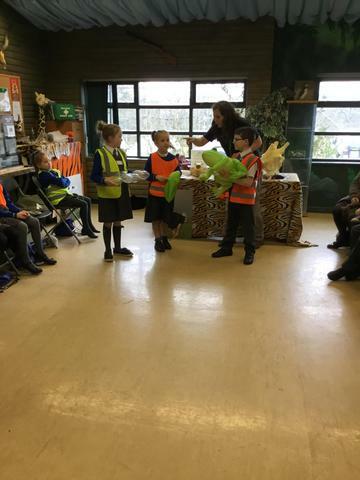 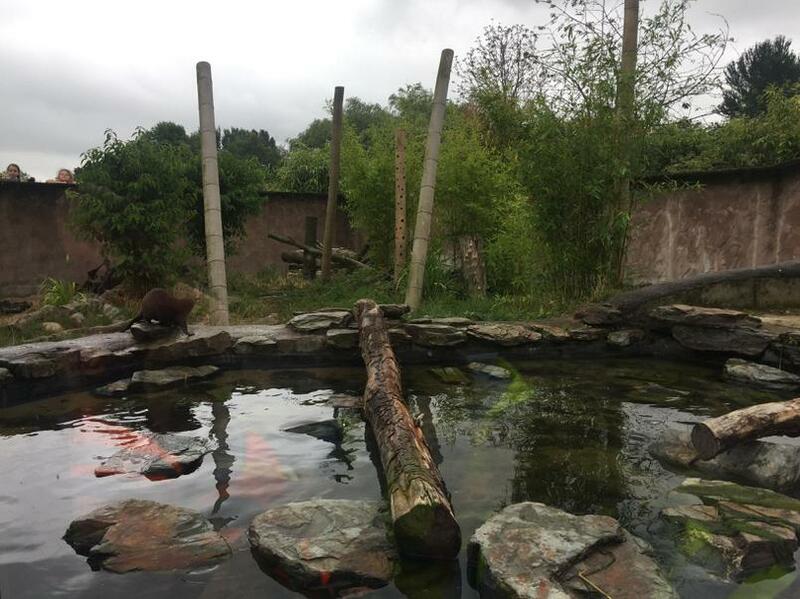 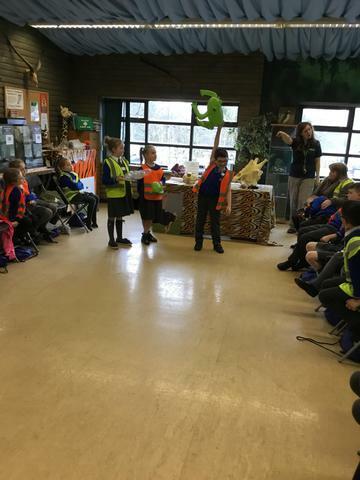 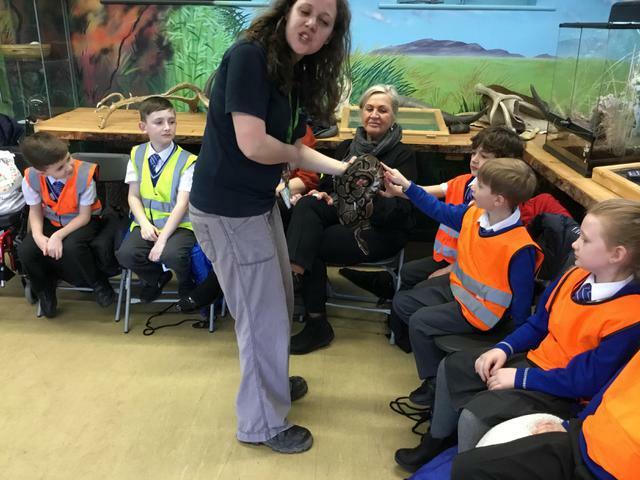 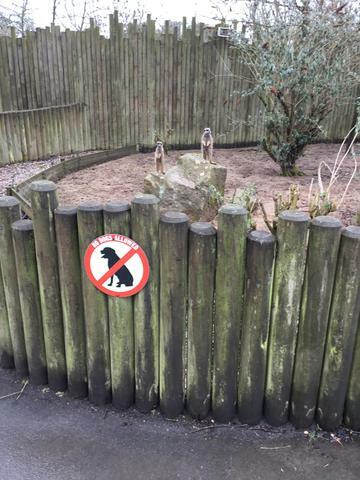 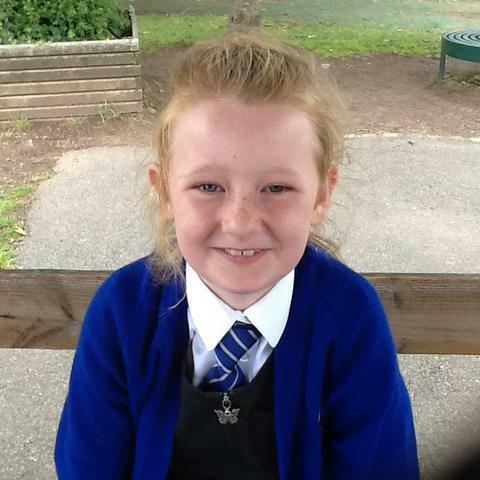 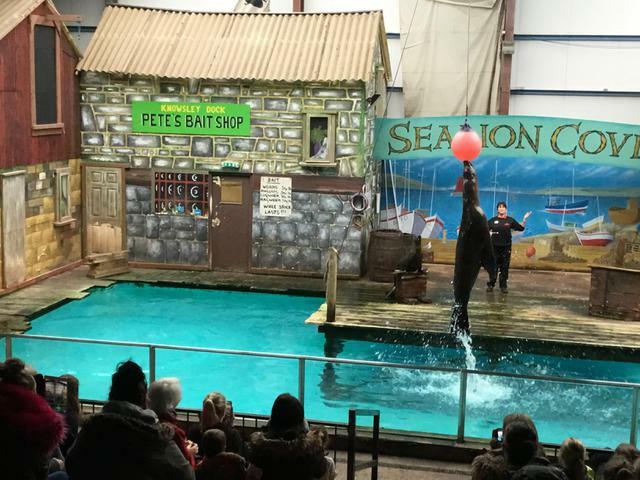 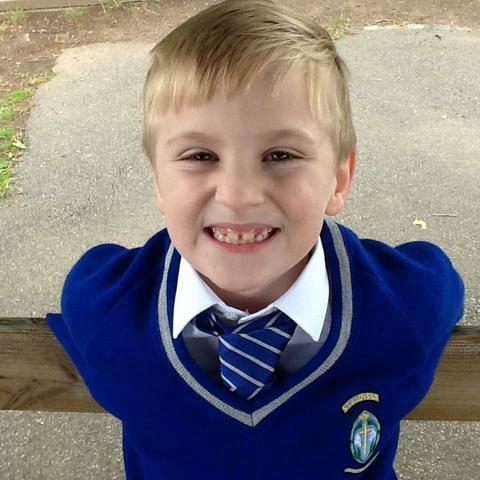 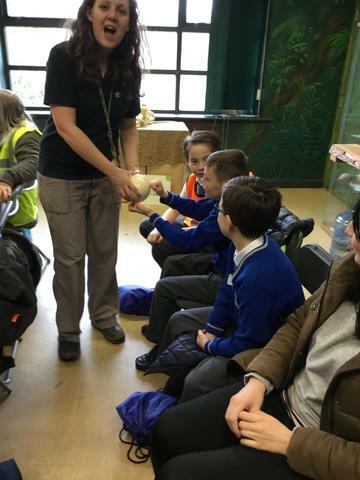 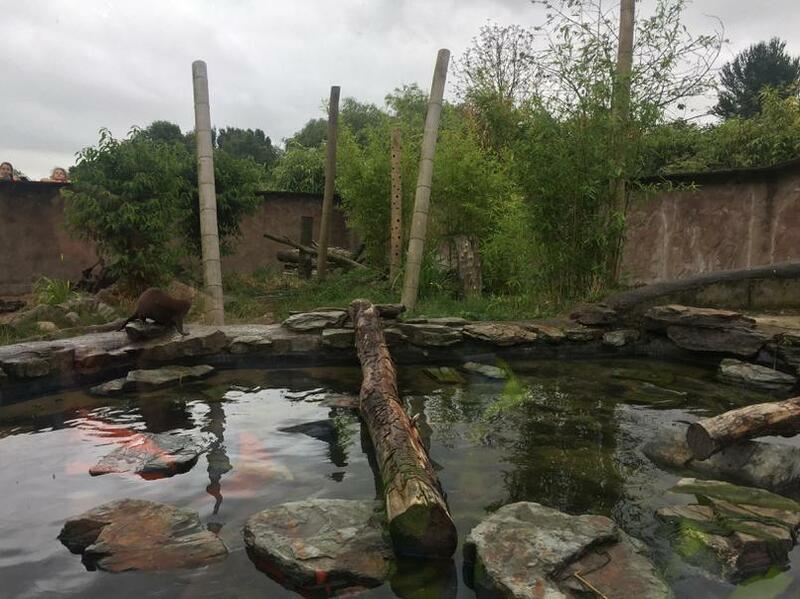 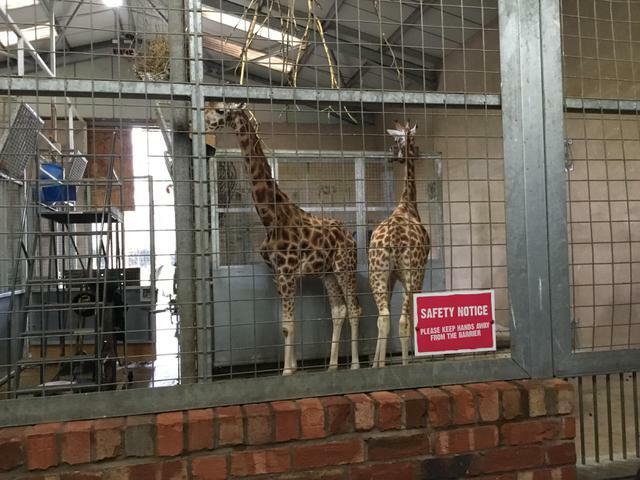 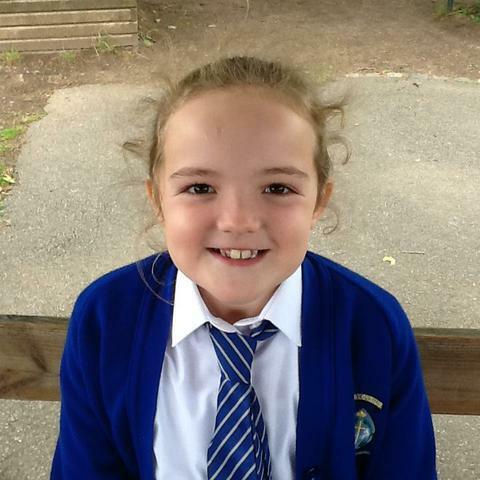 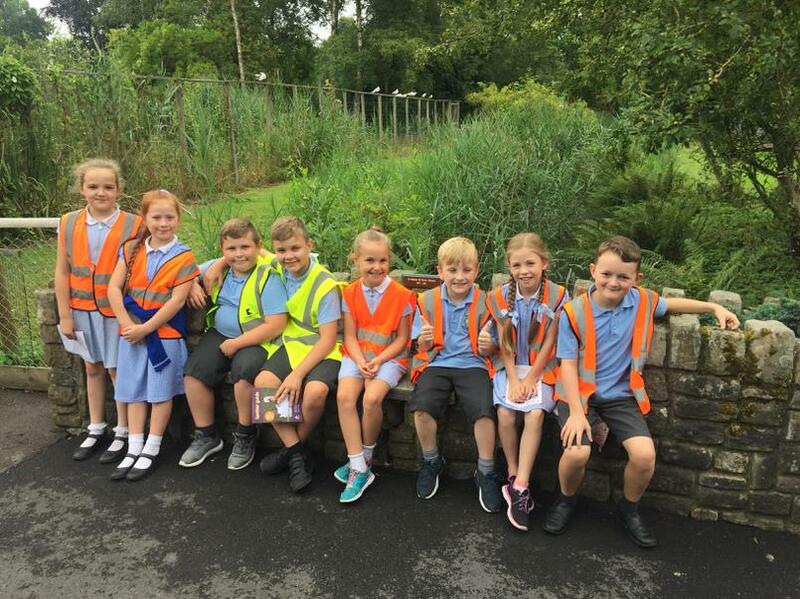 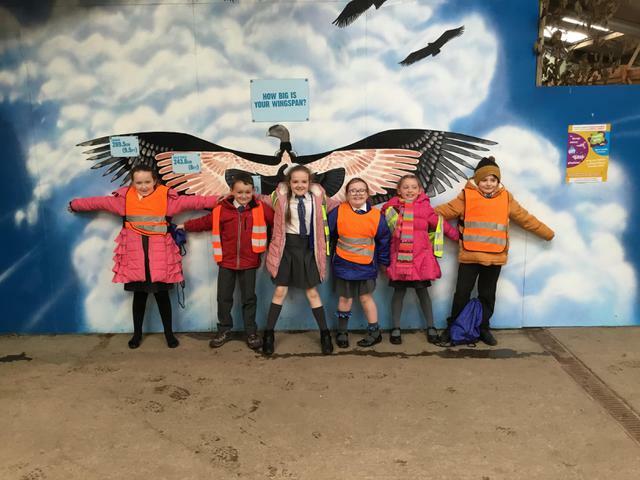 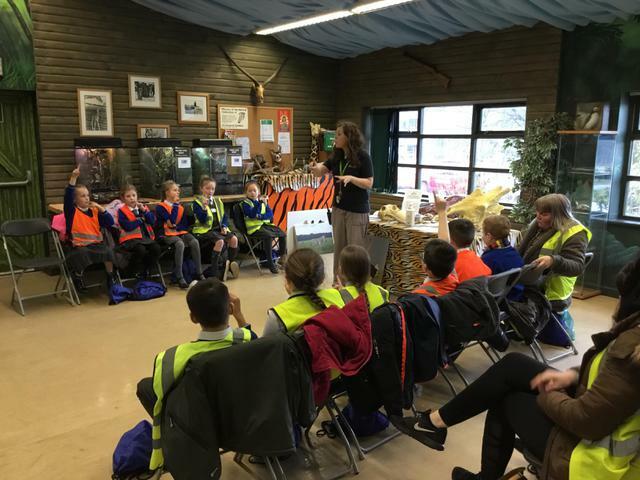 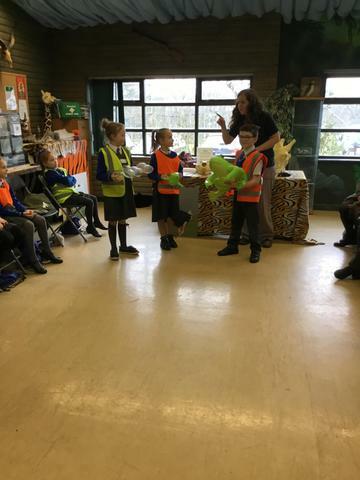 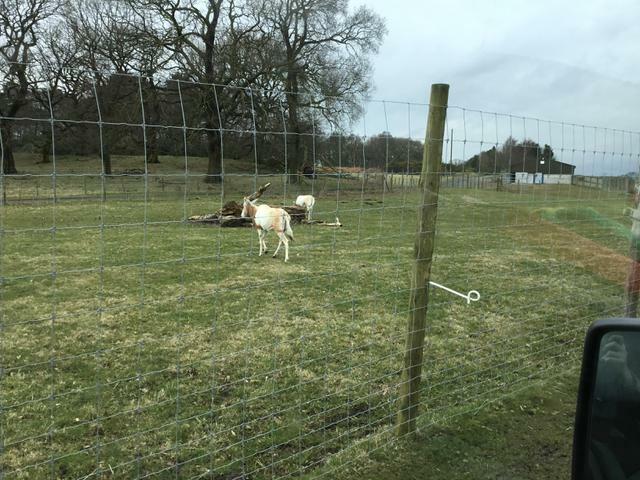 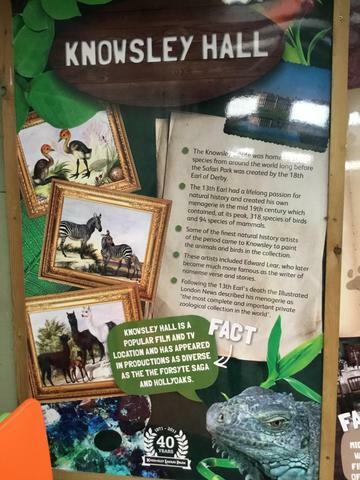 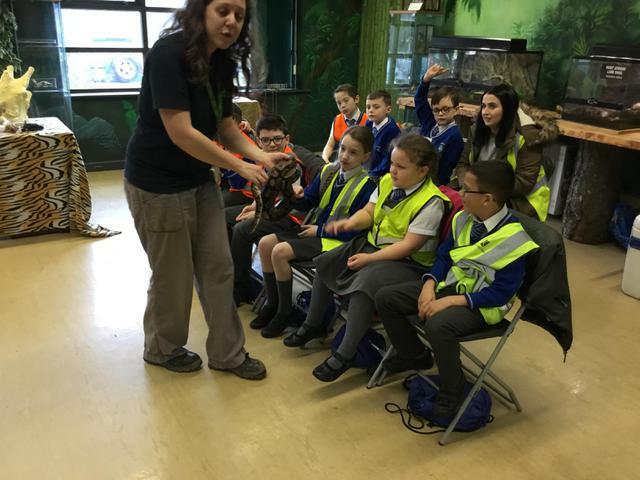 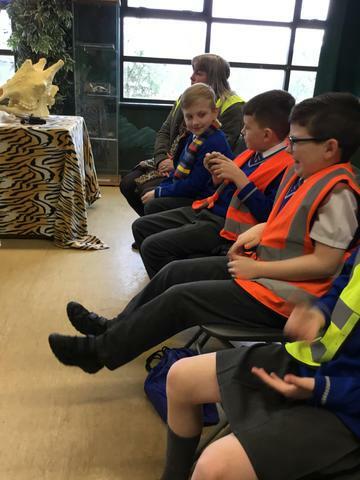 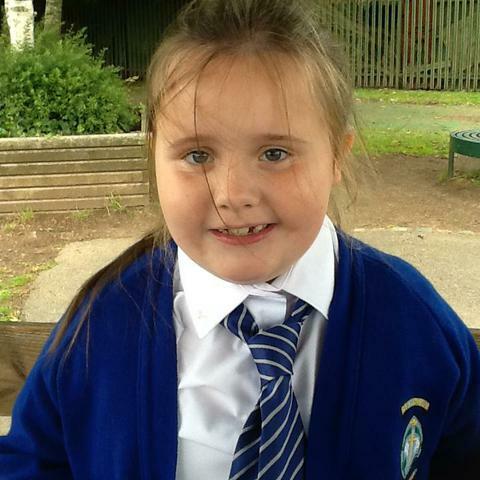 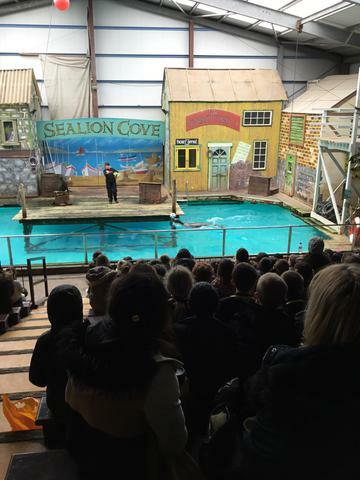 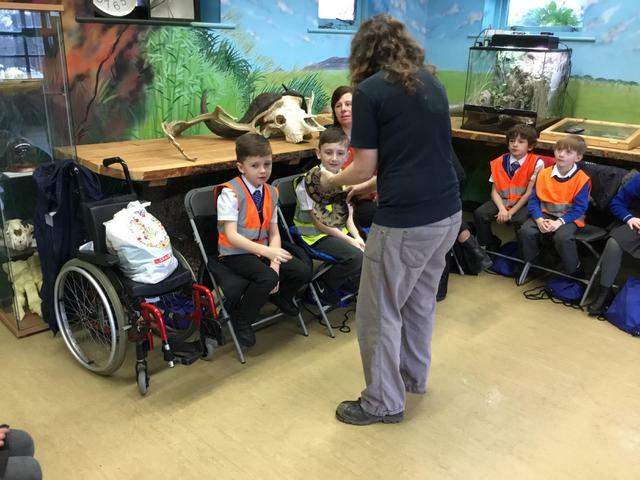 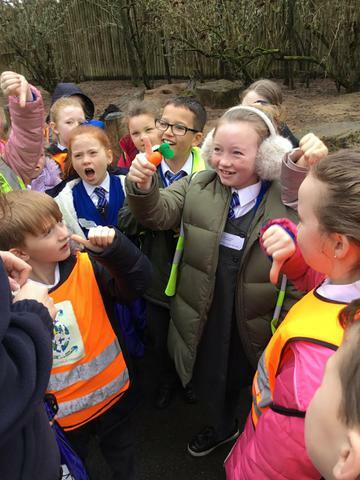 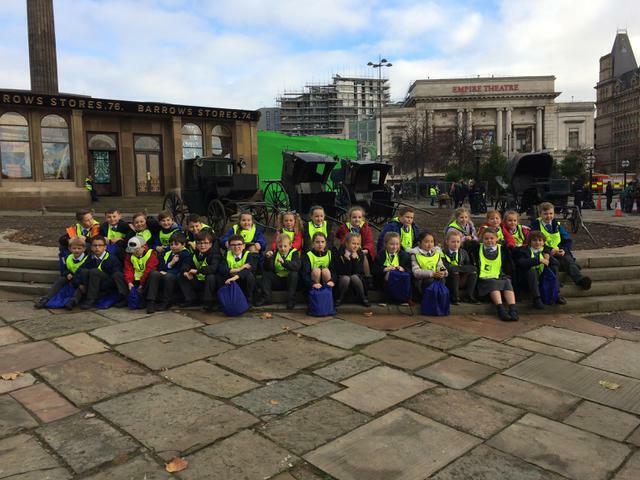 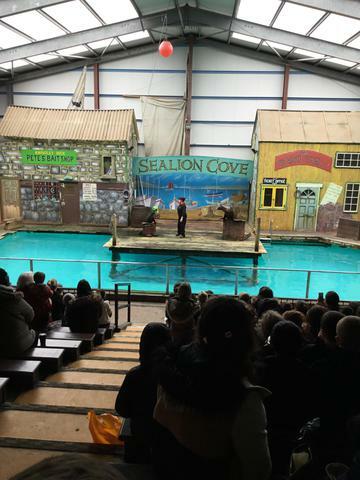 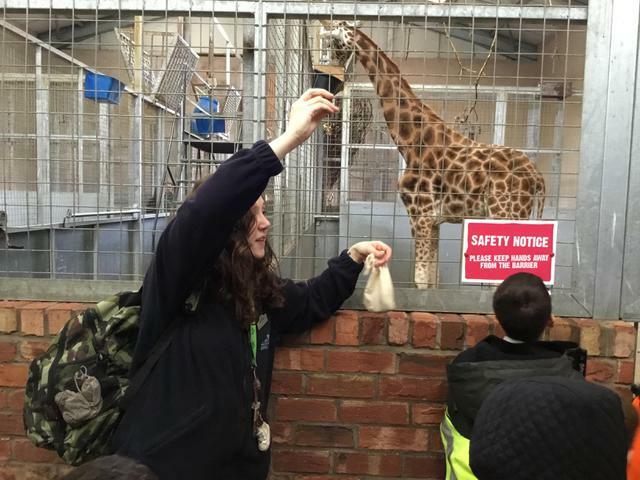 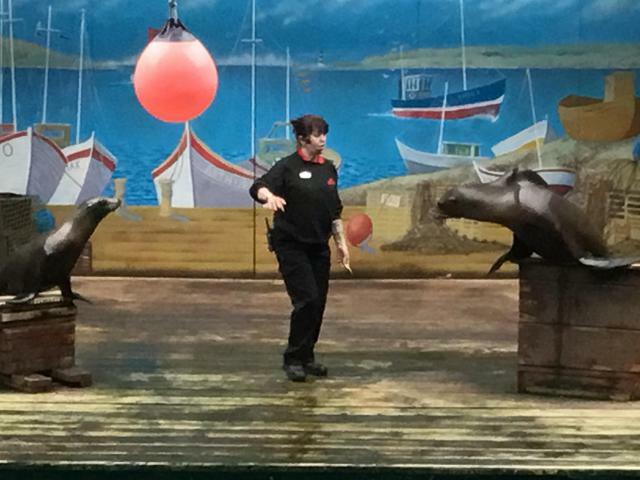 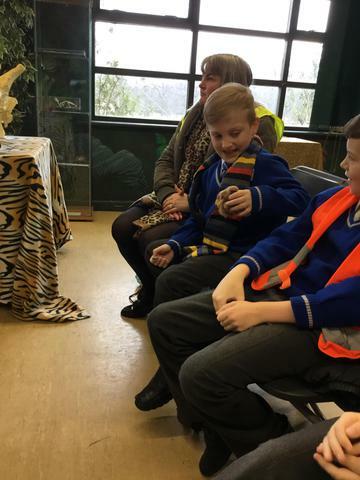 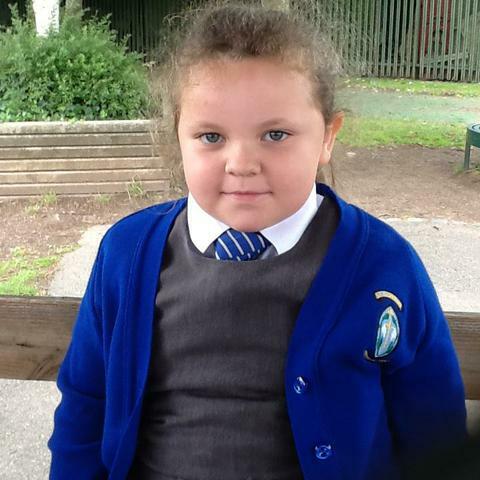 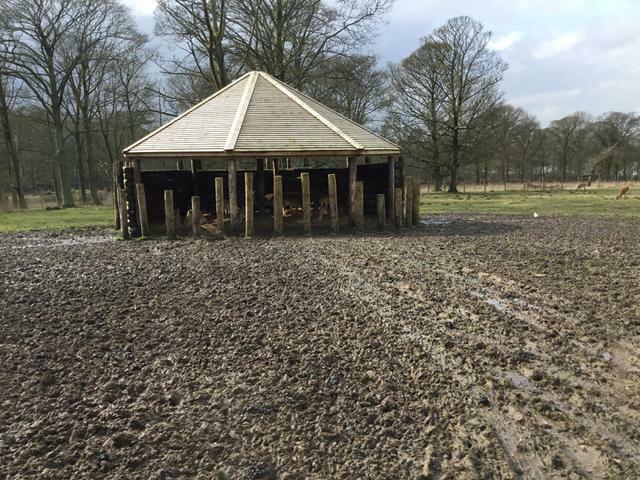 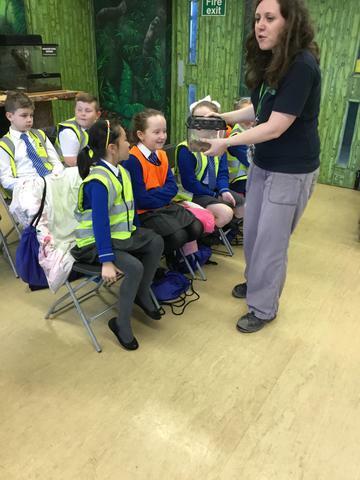 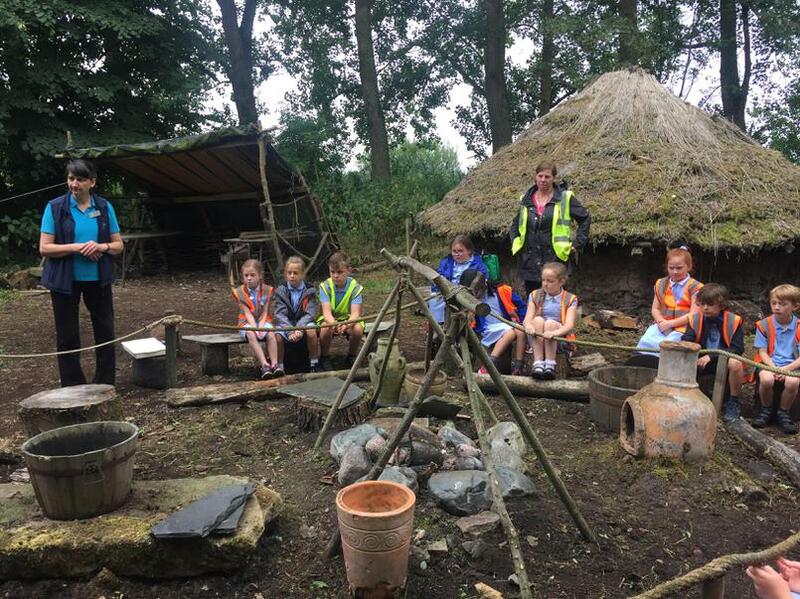 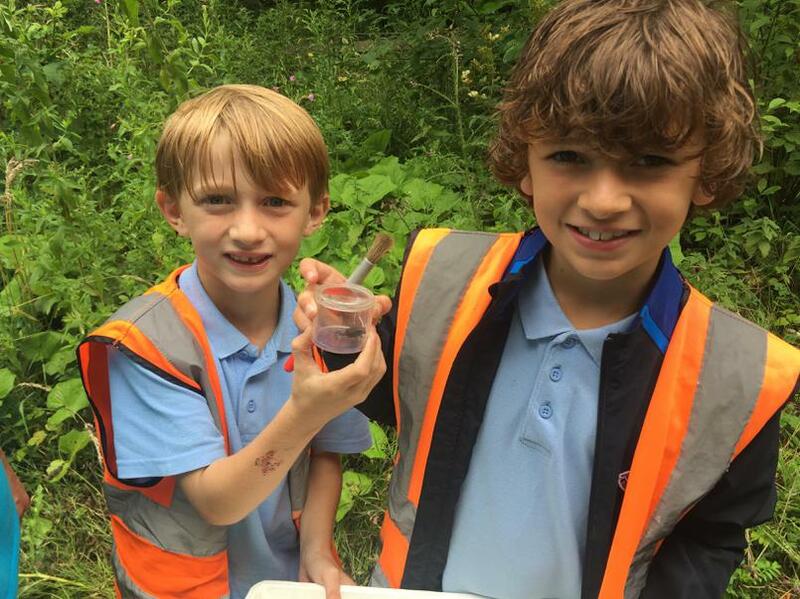 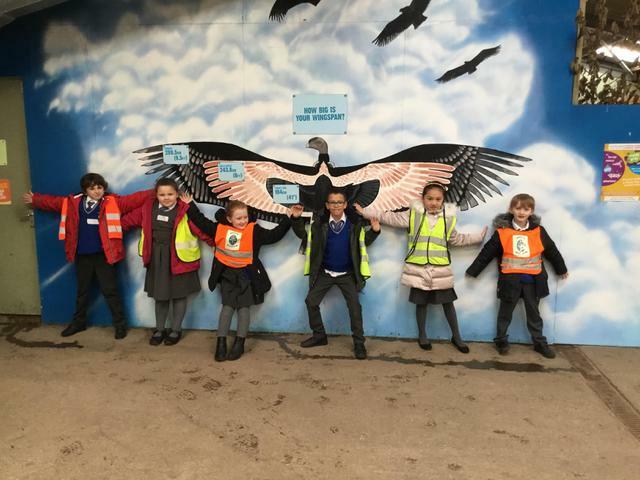 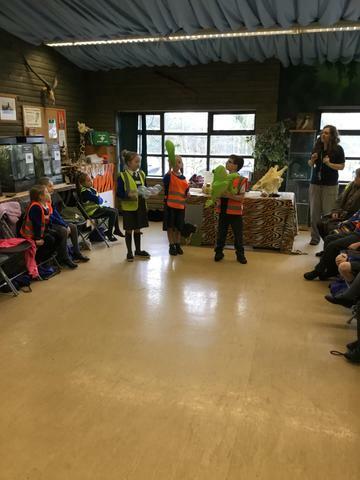 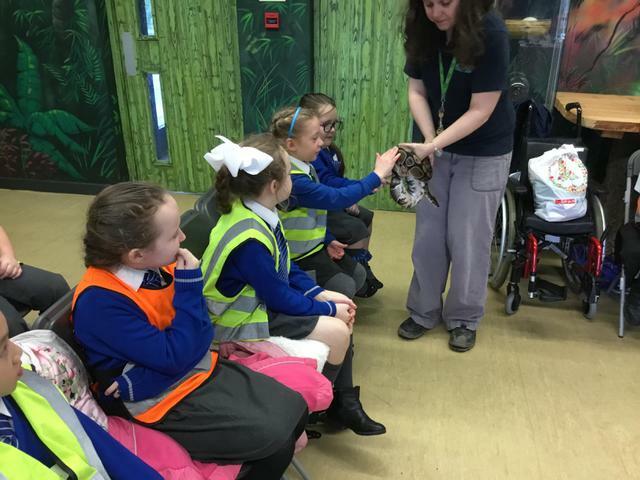 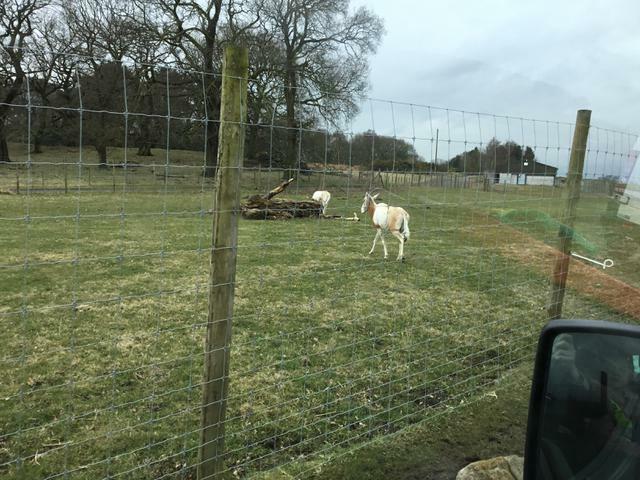 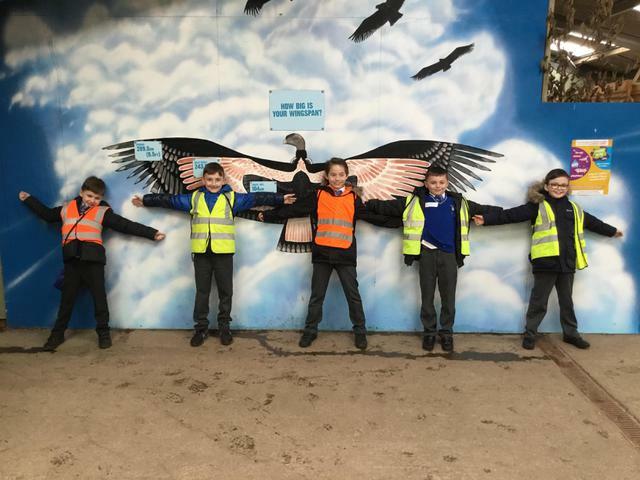 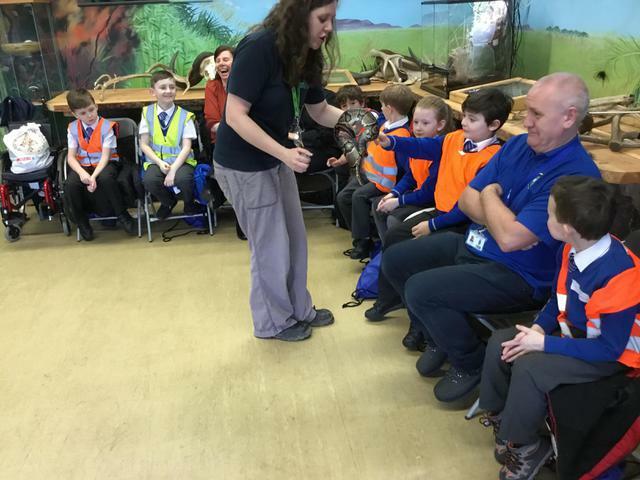 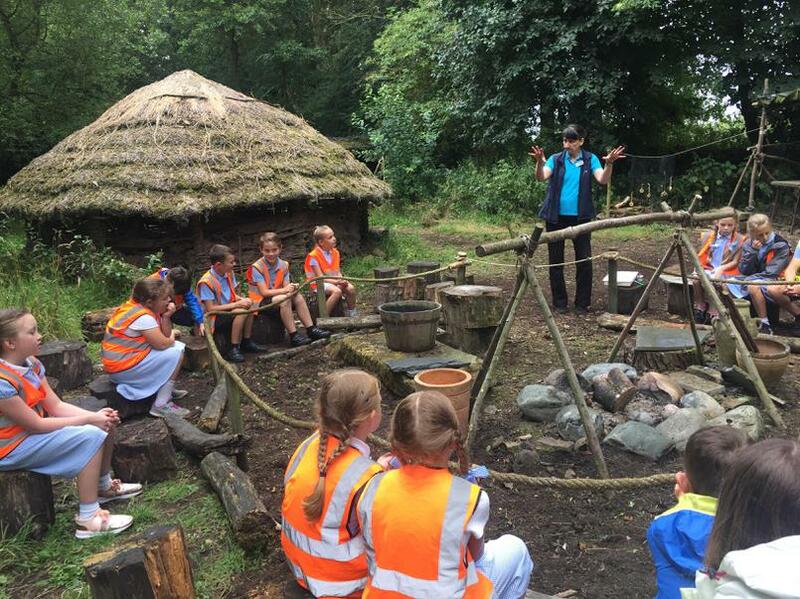 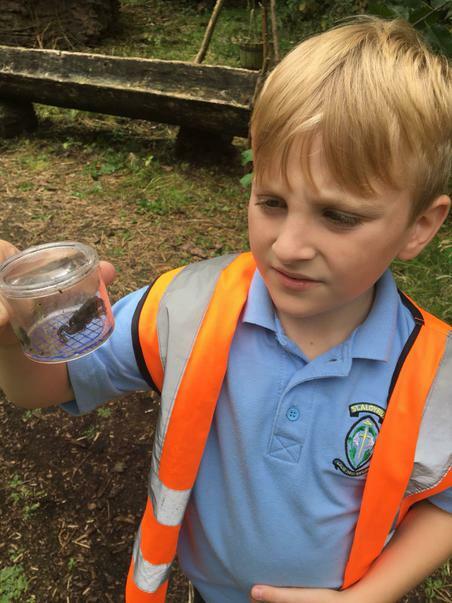 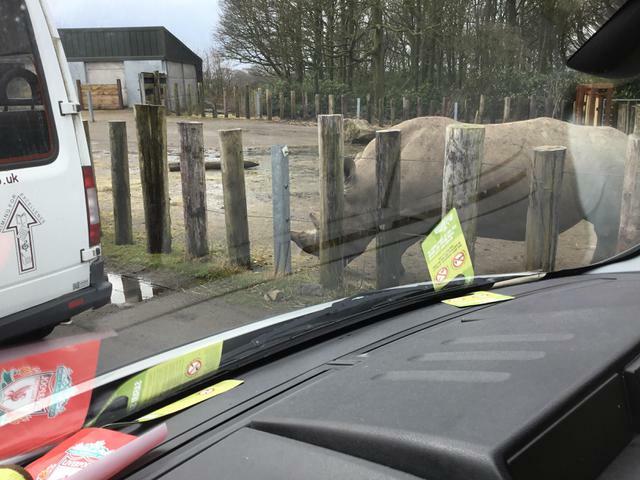 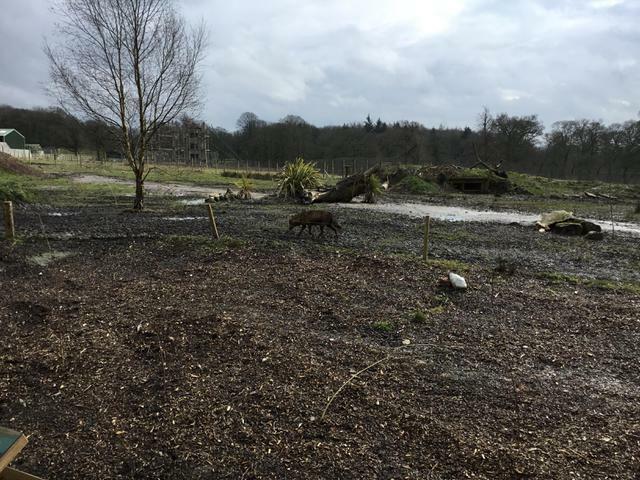 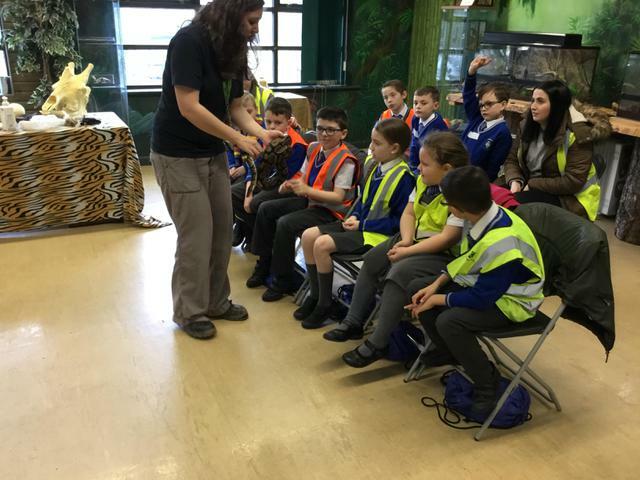 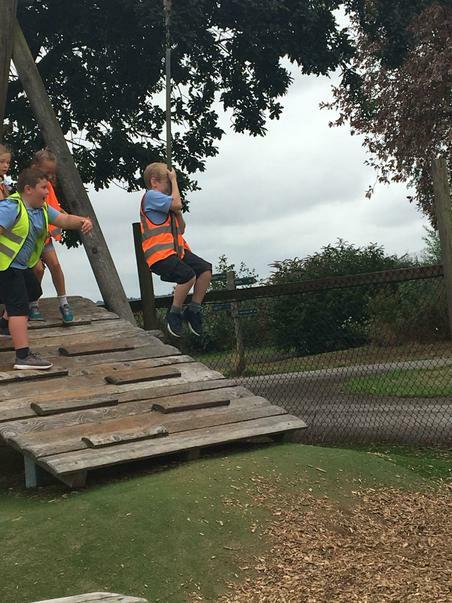 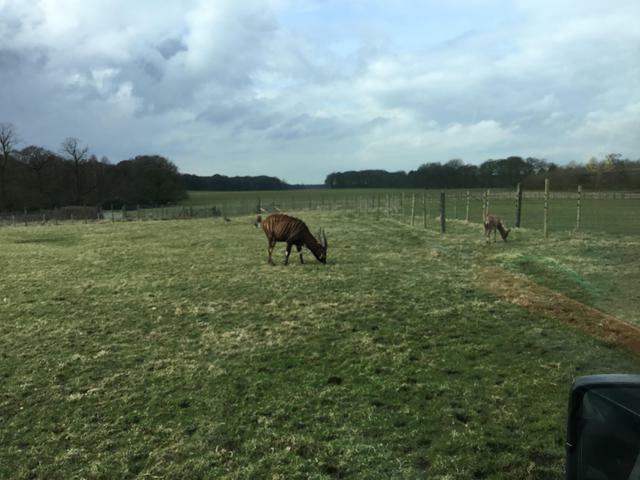 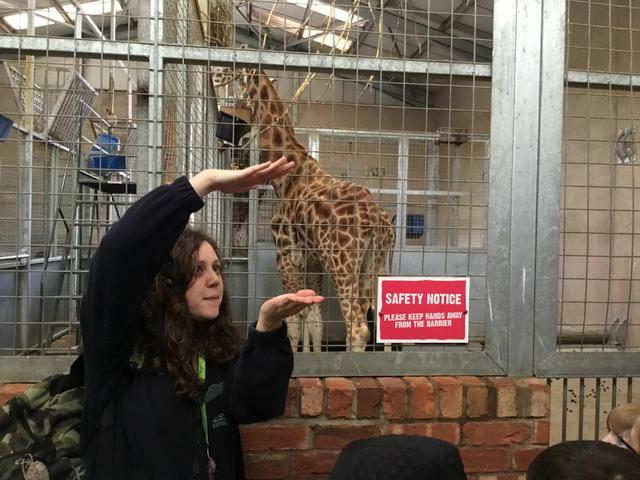 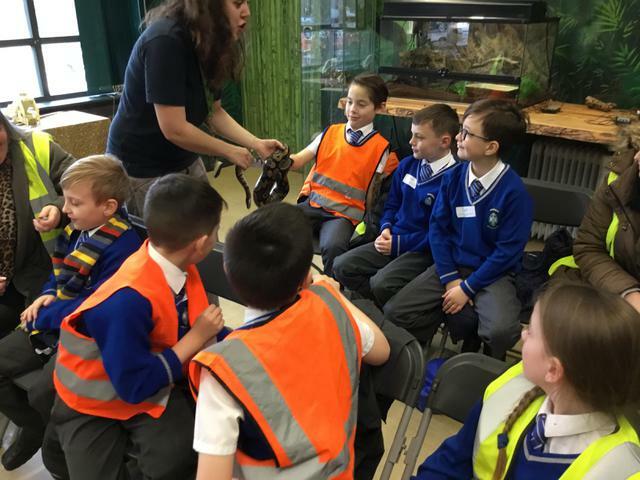 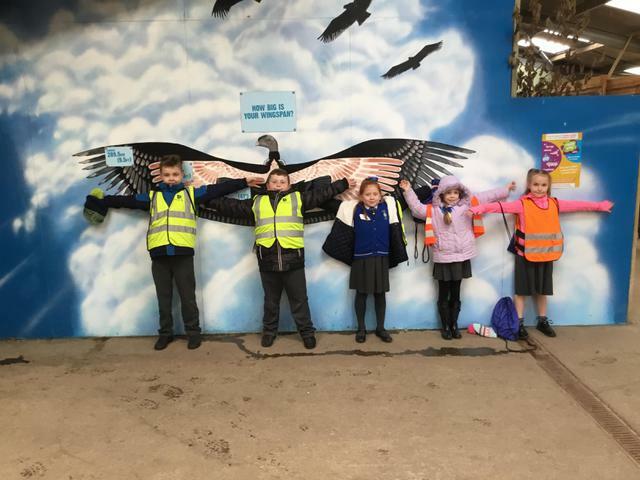 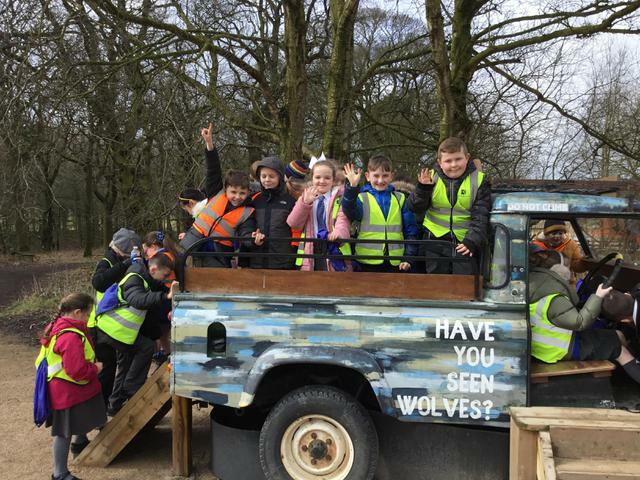 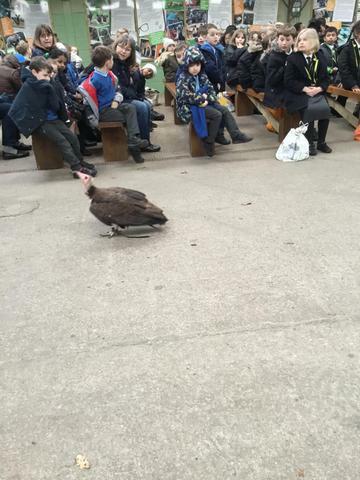 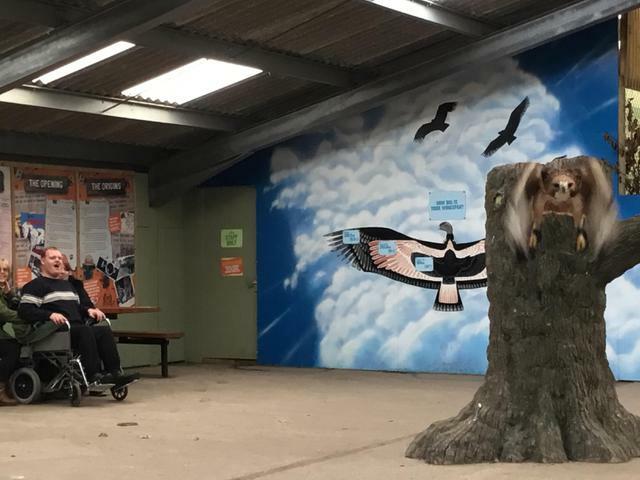 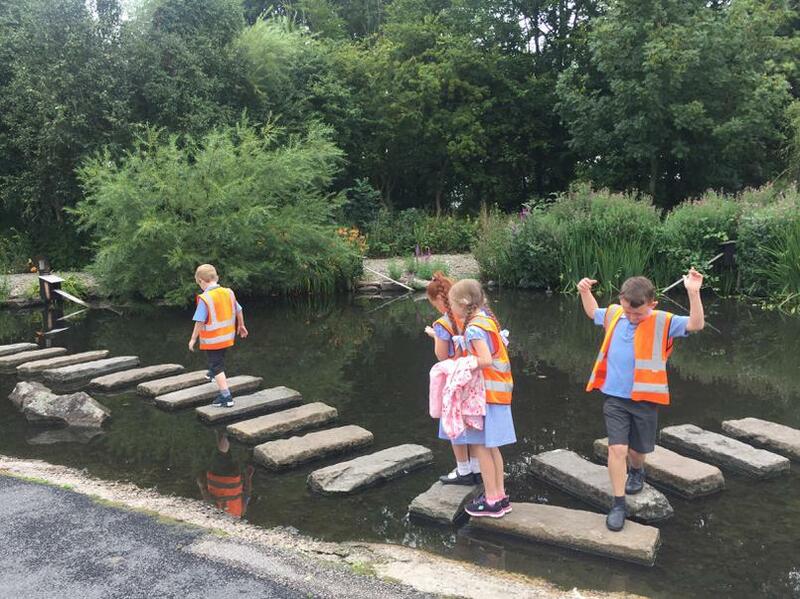 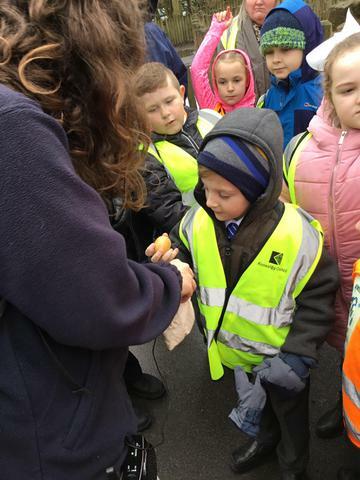 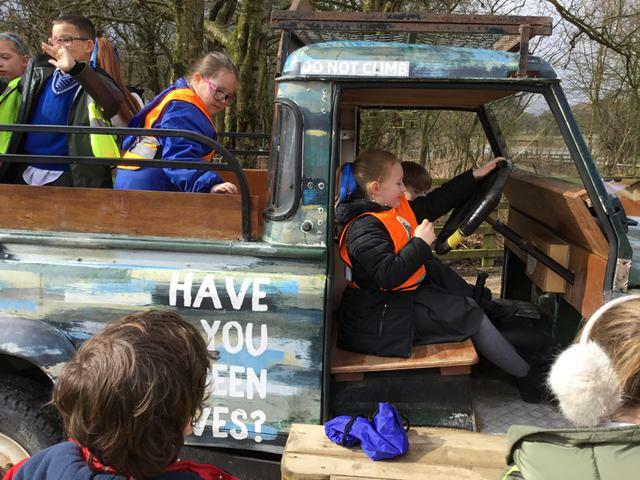 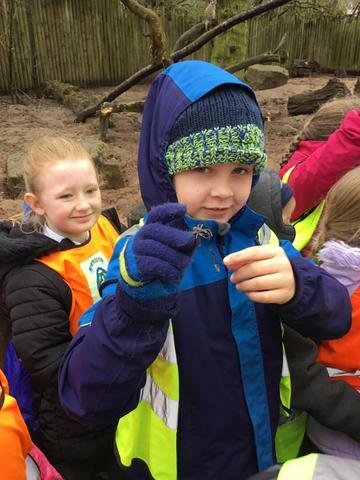 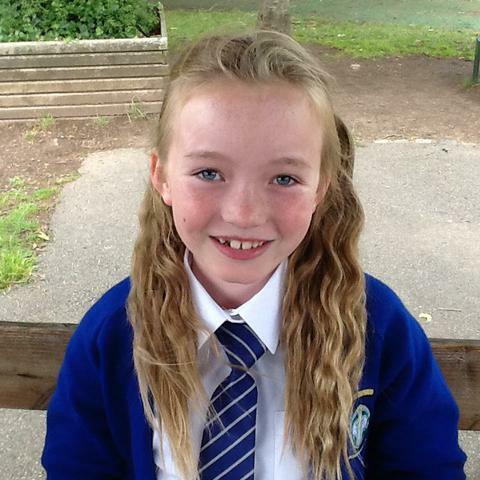 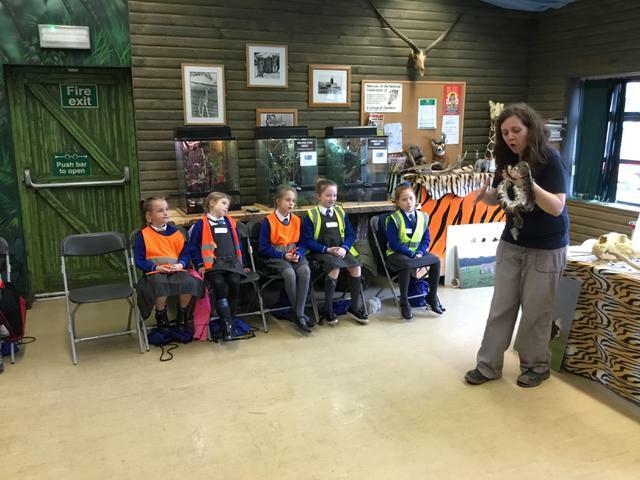 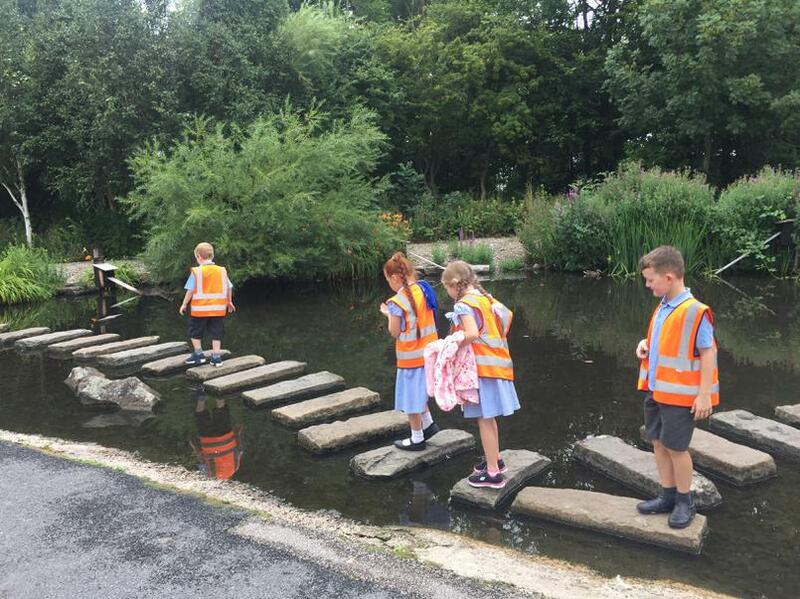 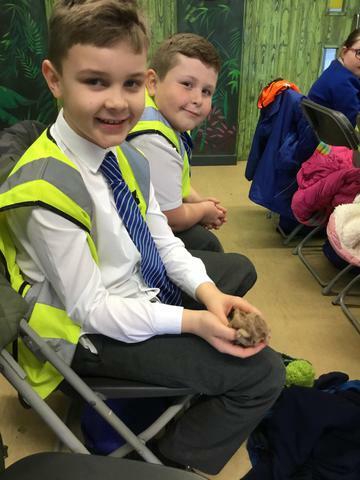 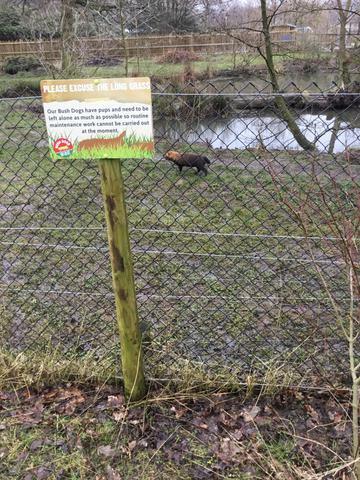 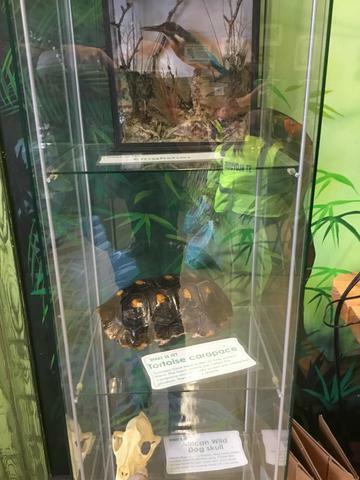 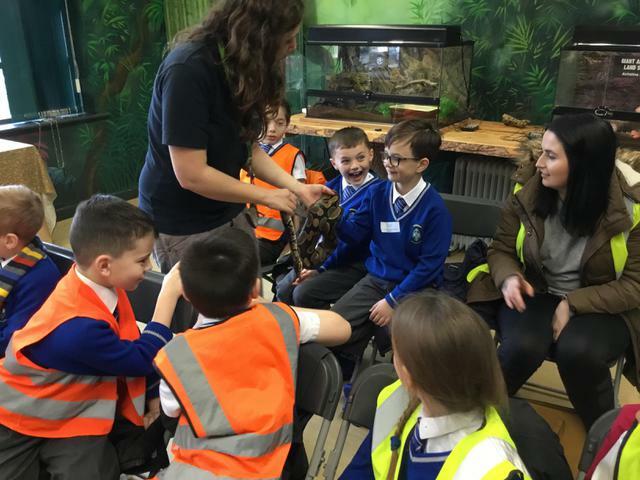 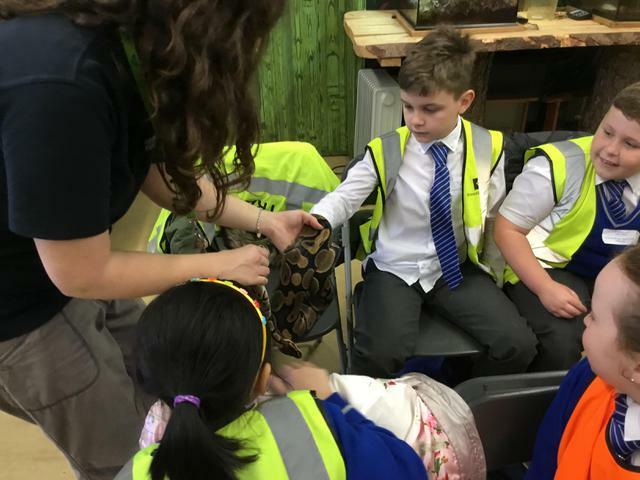 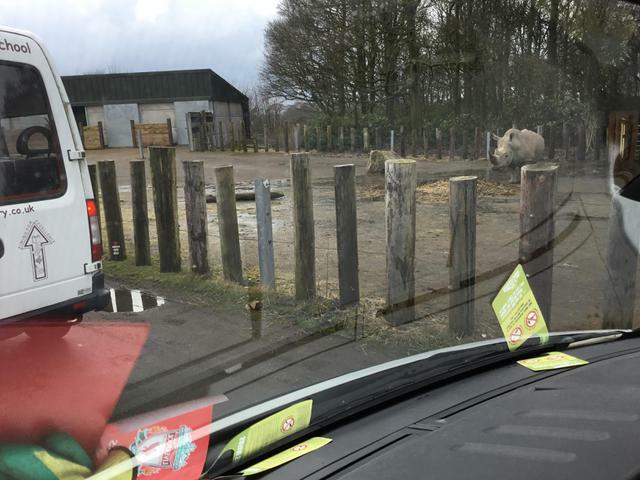 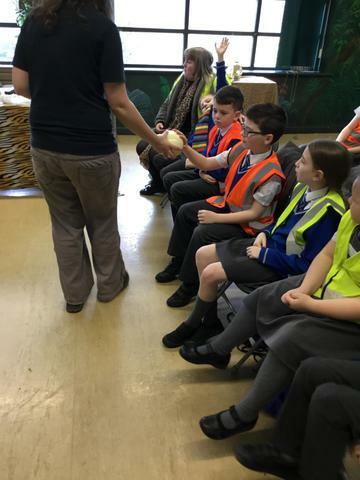 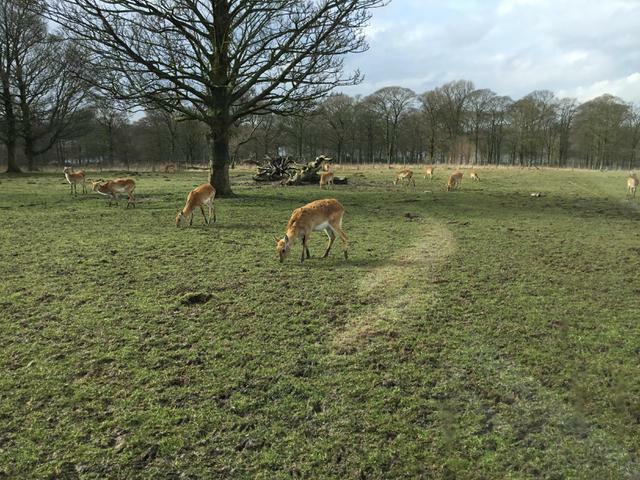 Animals and their habitats - Visiting Knowsley Safari Park. 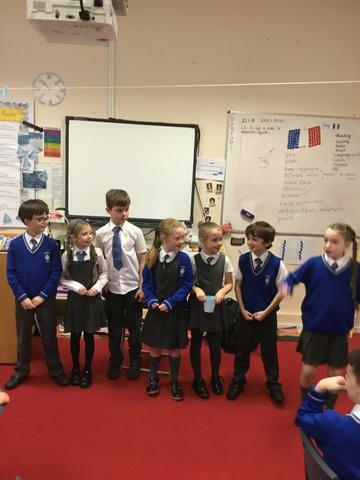 Saying hello to our European penpals! 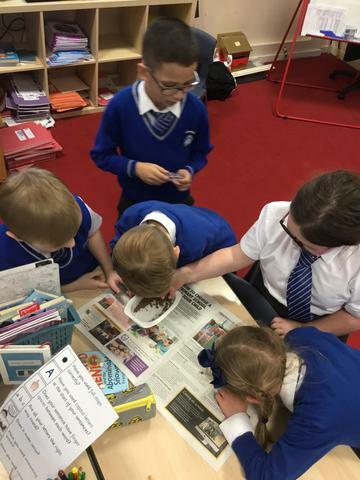 ENGLISH- Writing linked to Historical Fiction, Newspaper Reports, Science Fiction, Discussion Texts. 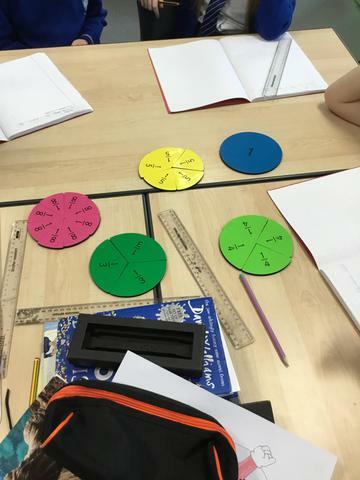 Grammar - punctuation, word classes, including determiners, similes, adverbs and pronouns. 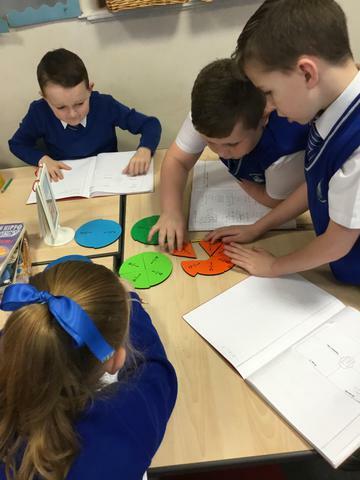 Guided Reading, Spellings - prefixes and suffixes and spellings from Year 3/4. 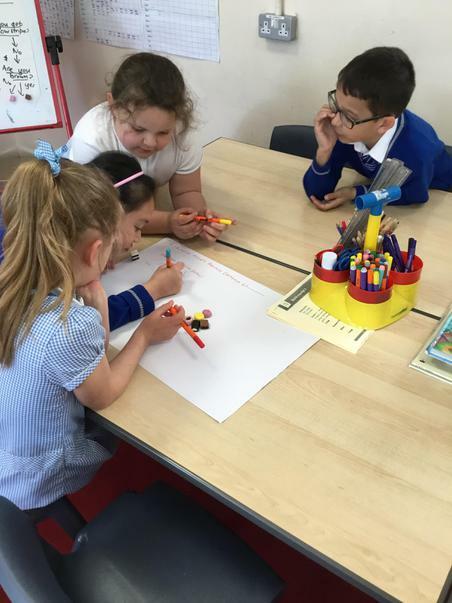 Handwriting - practising joins. 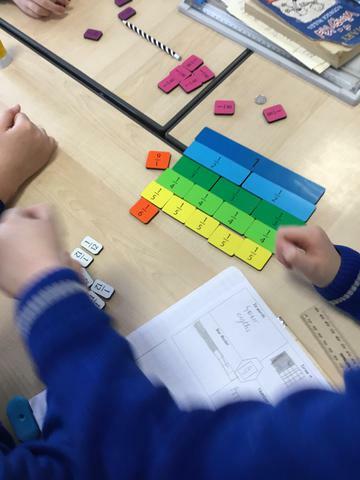 MATHS- Place Value, Addition and Subtraction, Multiplication Tables. 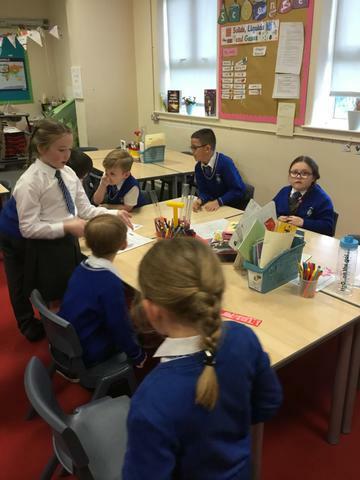 RELIGIOUS EDUCATION - Topics from our Come and See scheme about People, Promises, Judaism and Gifts. 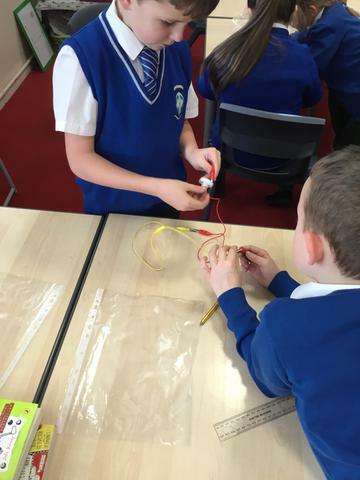 SCIENCE- How Sounds are produced. 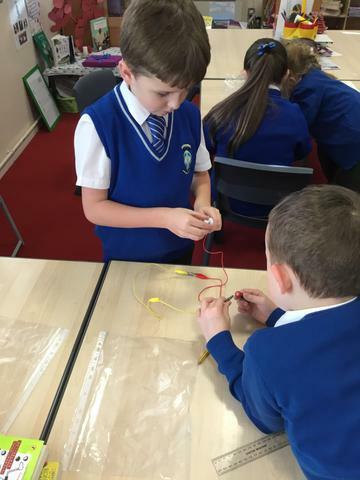 Electricity including circuits, conductors and insulators and switches. 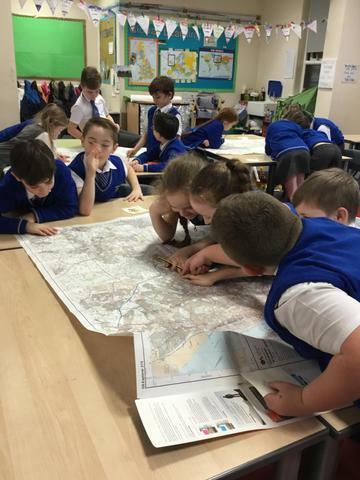 GEOGRAPHY-Exploring Europe- Comparing and contrasting countries and naming capital cities, rivers and mountains. 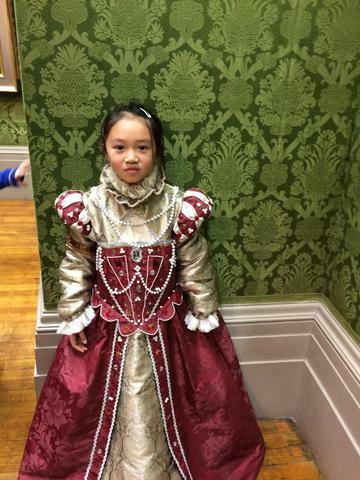 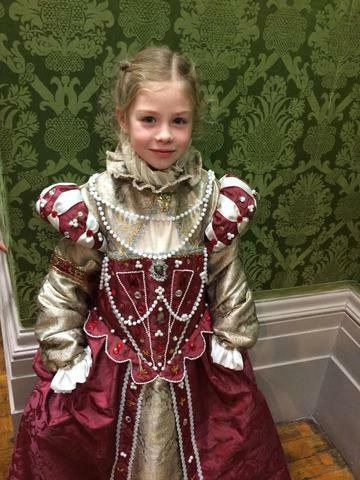 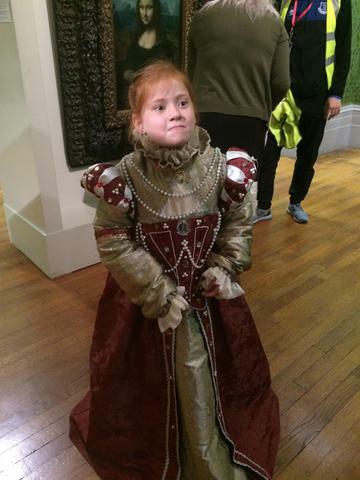 HISTORY-The Tudors with emphasis on why Henry VIII married six times. 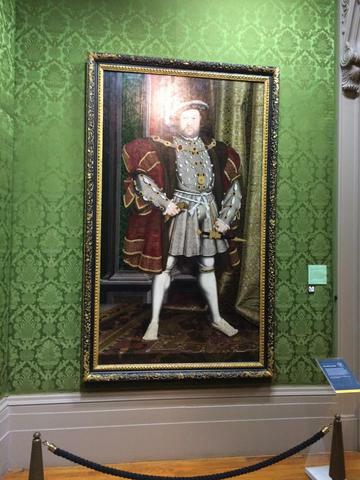 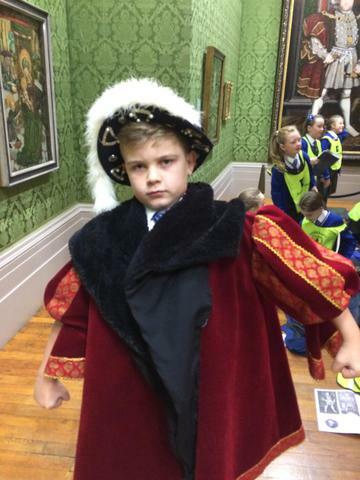 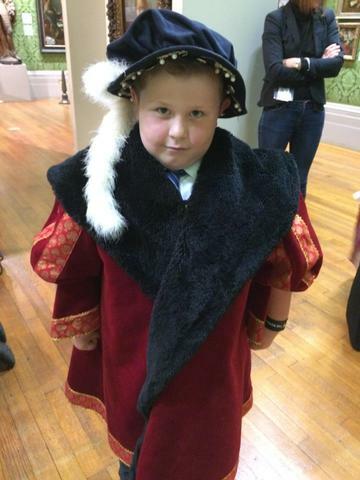 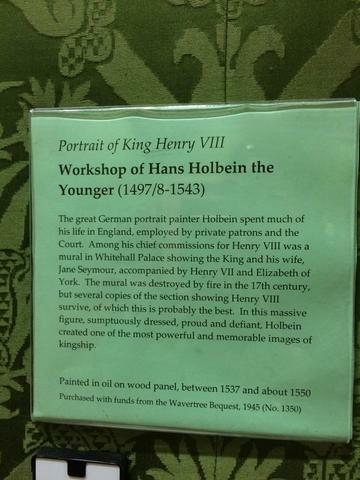 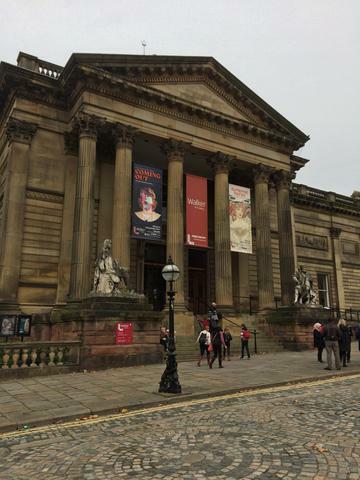 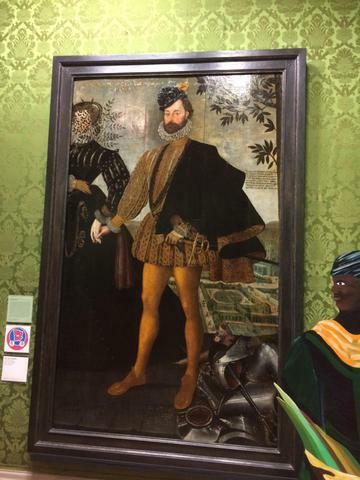 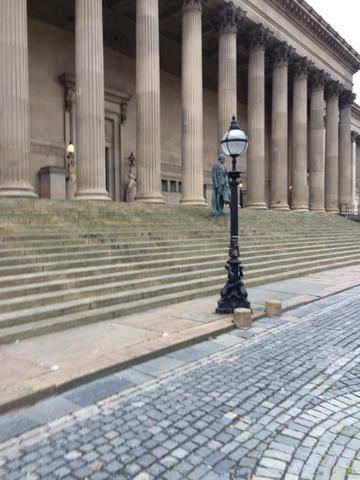 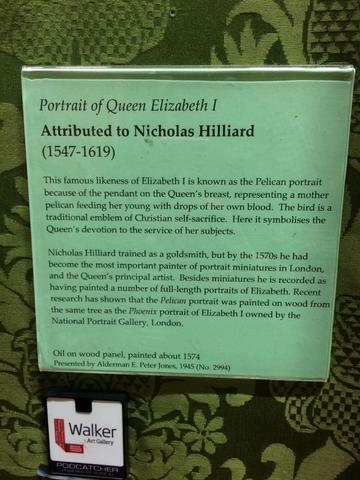 A visit to the Walker Art Gallery to see Hans Holbein's portrait of Henry VIII. 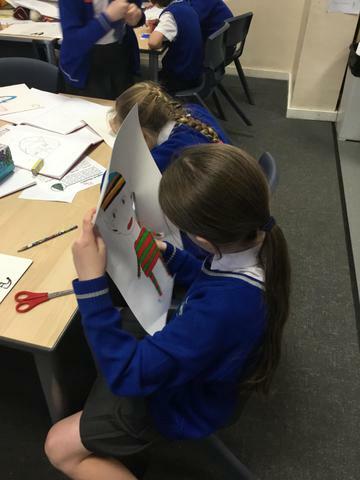 ART- Self portraits, French artist- Henry Rosseau, Tudor art. 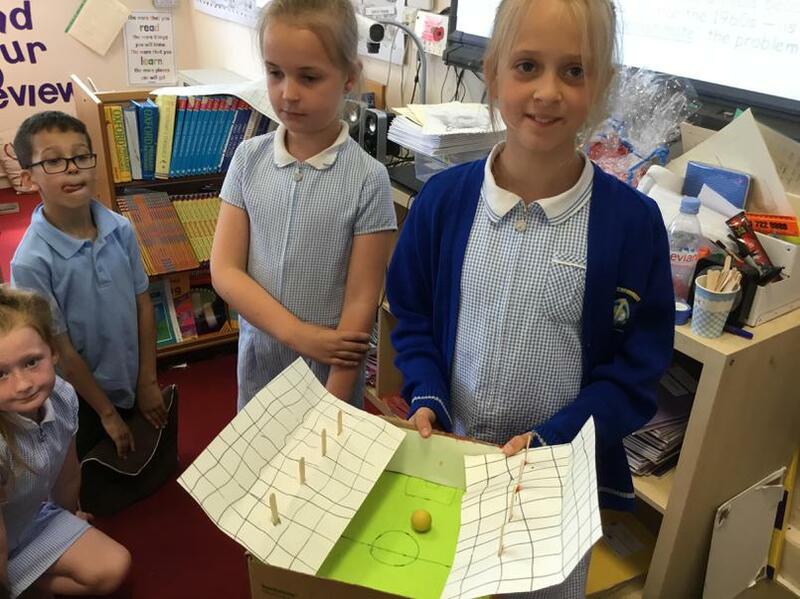 Computing- iPad-research, Scratch Coding- producing a Ping Pong Game. 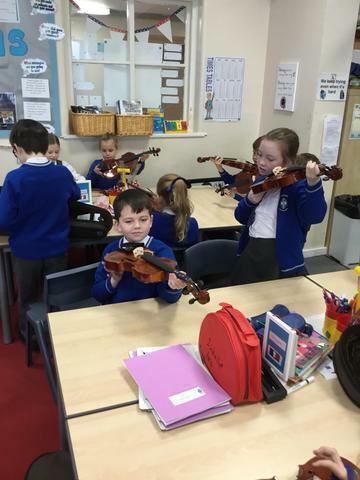 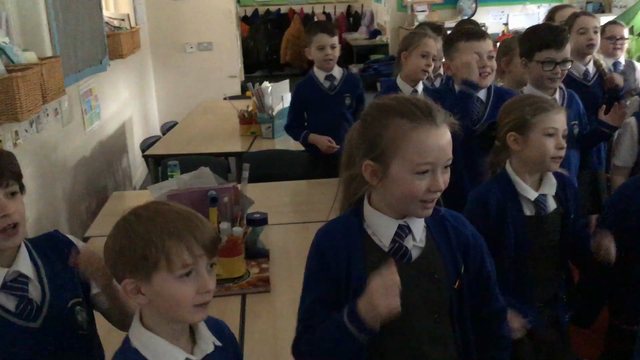 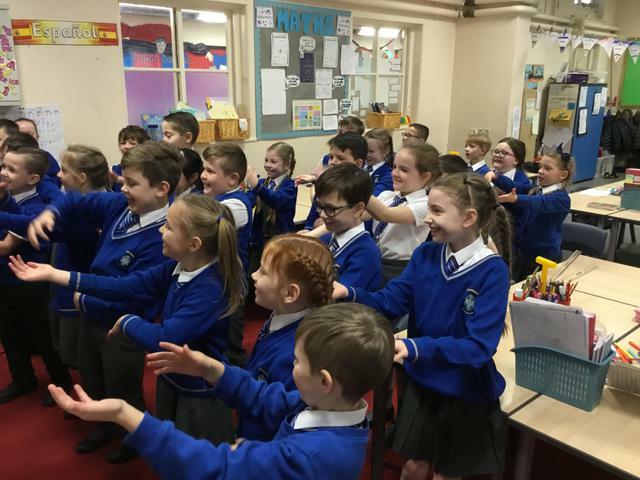 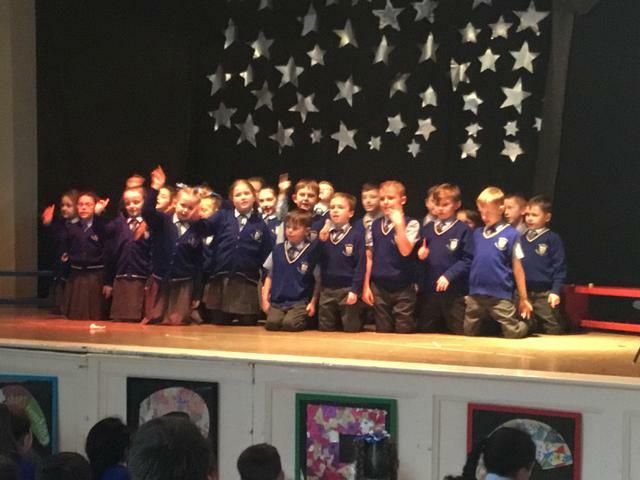 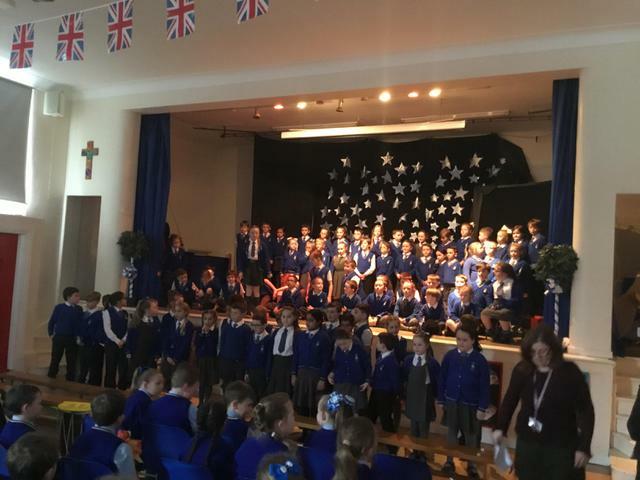 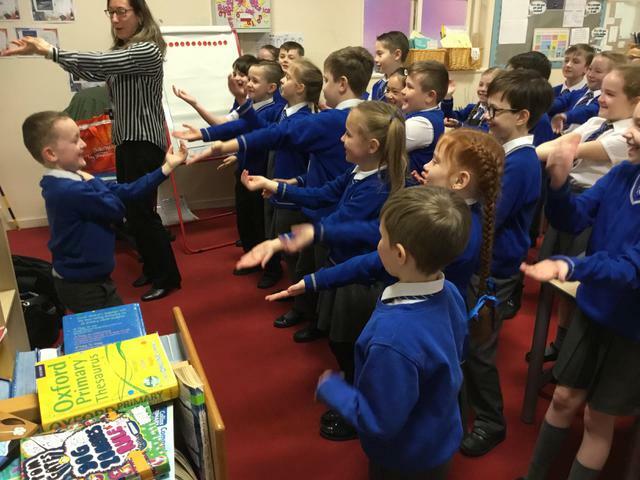 MUSIC- Singing with Mrs McMullan and instrumental tuition (violin) from Knowsley Performing Arts. 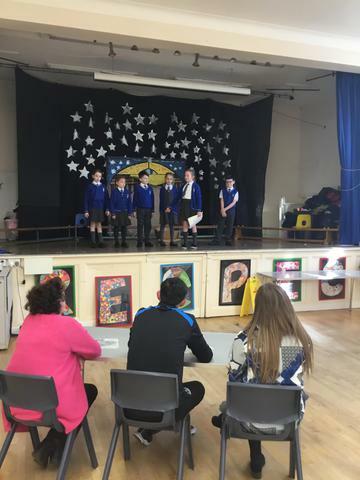 Dragon's Den with our E.F.C. 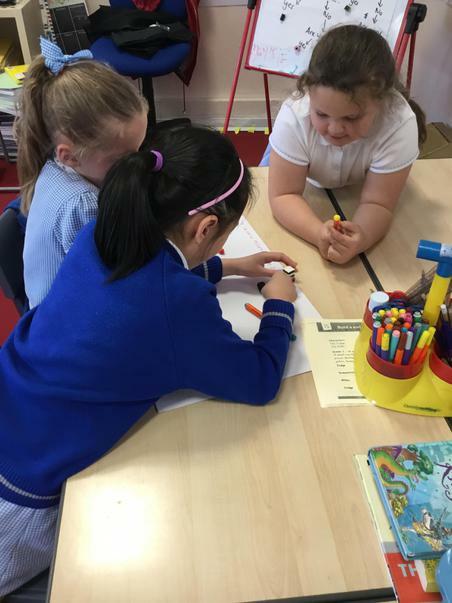 mentors. 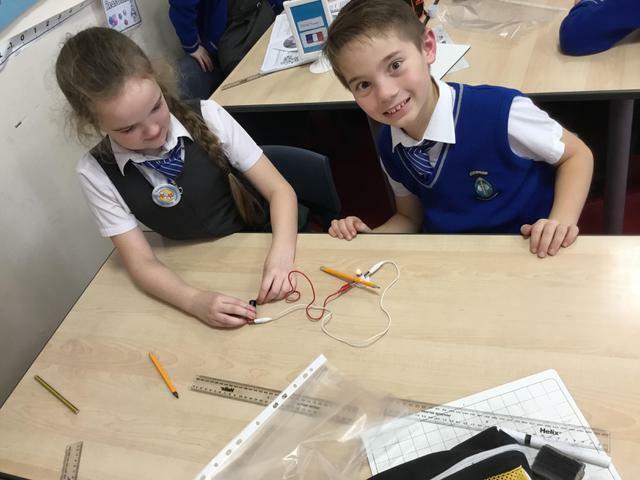 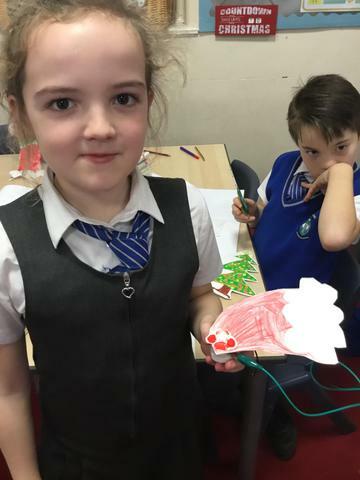 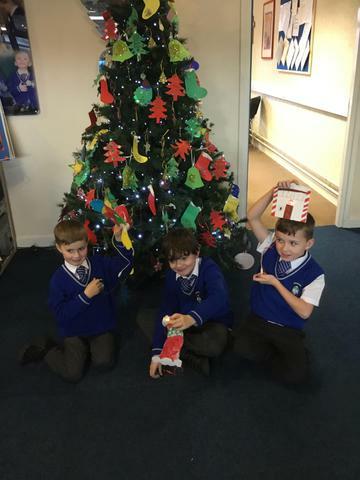 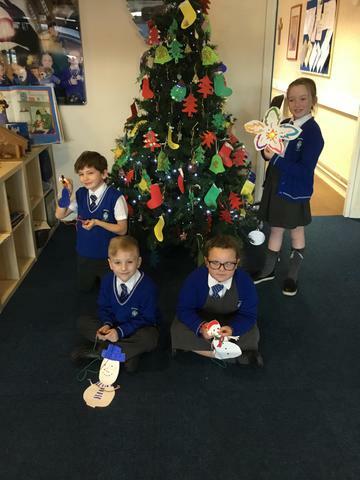 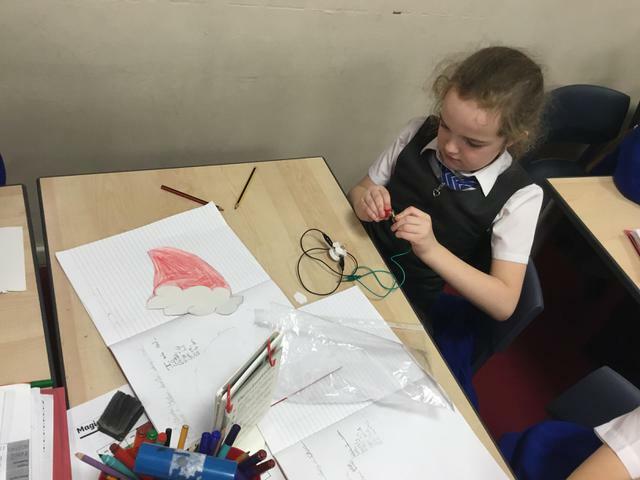 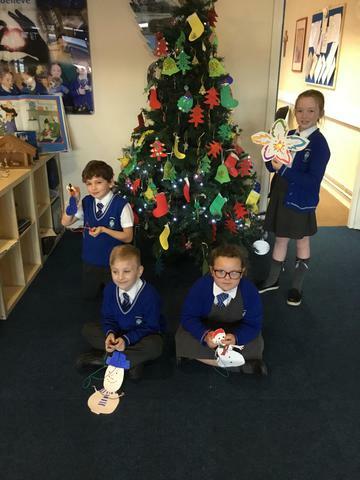 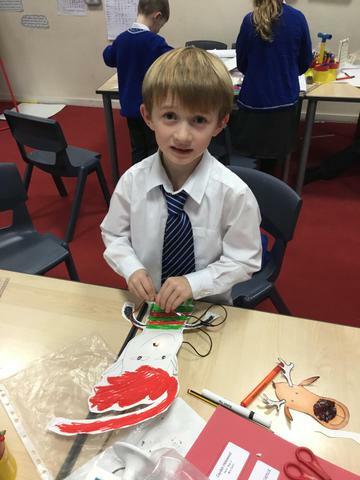 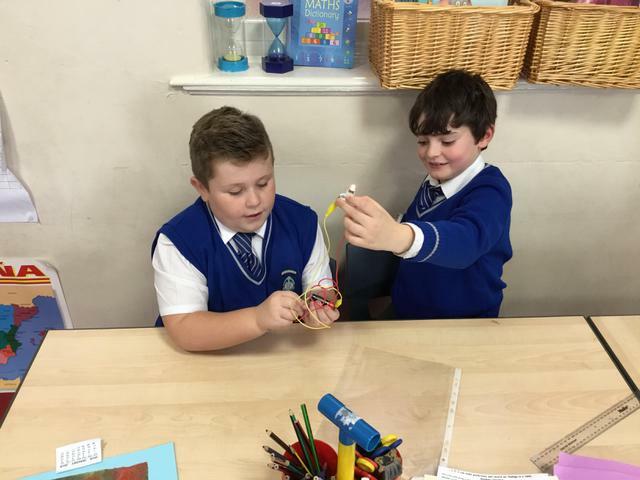 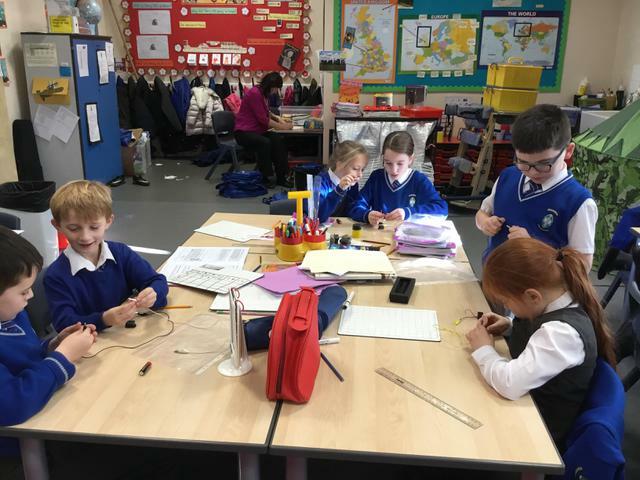 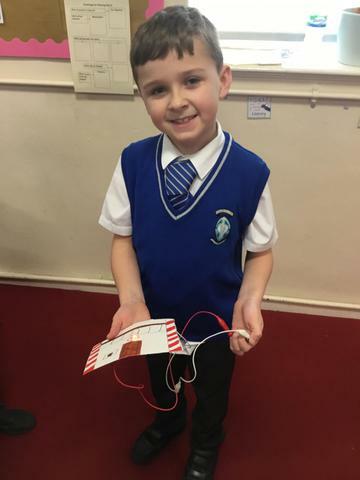 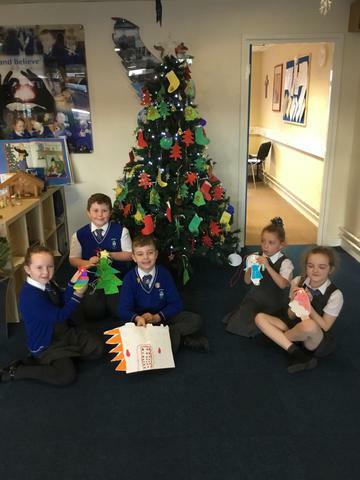 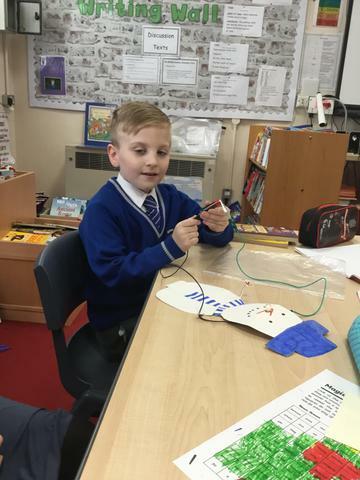 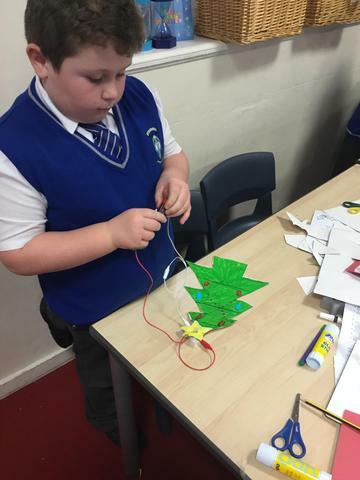 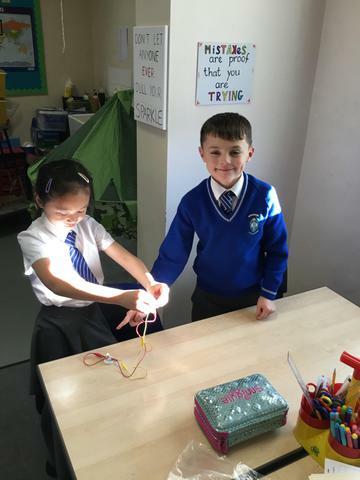 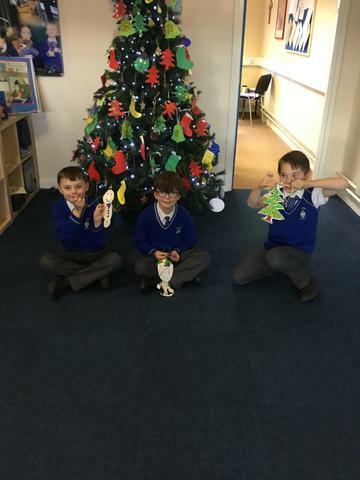 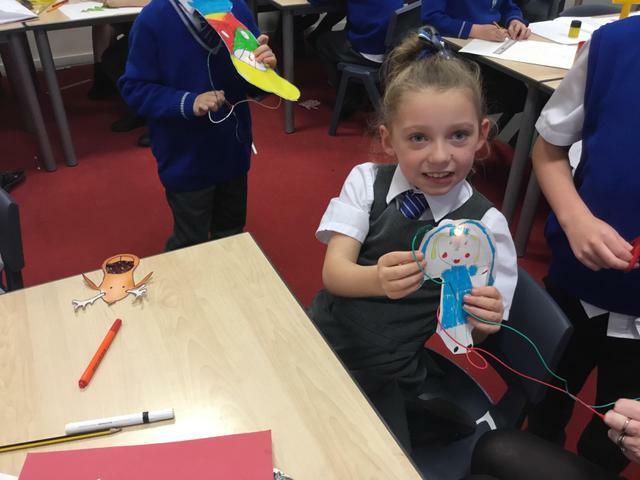 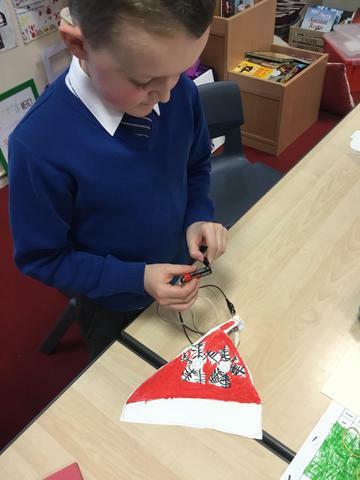 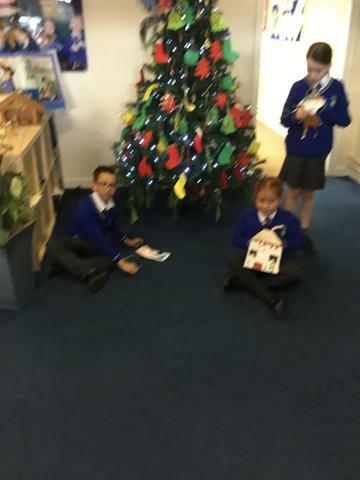 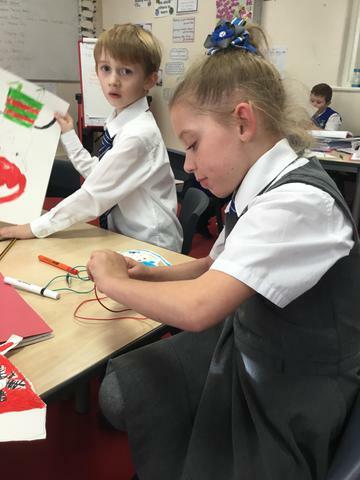 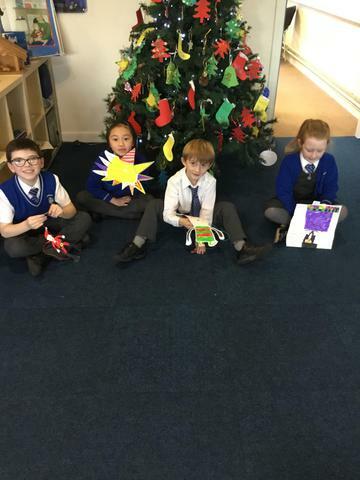 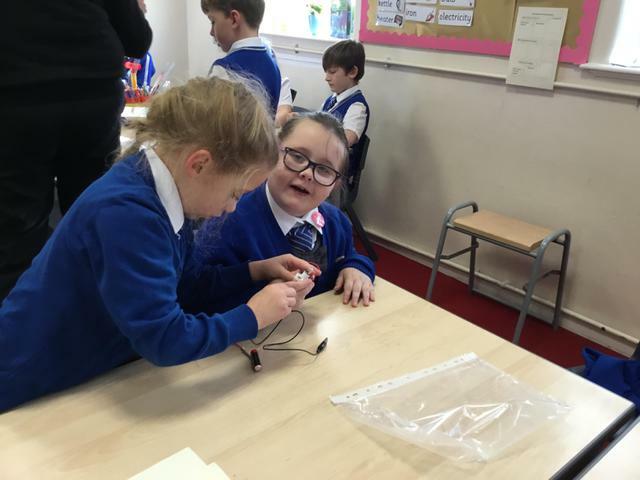 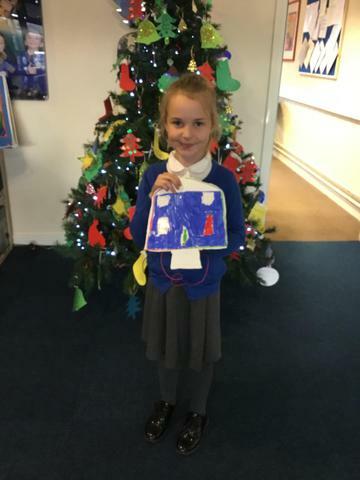 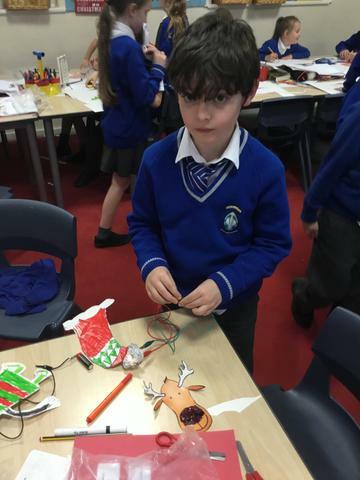 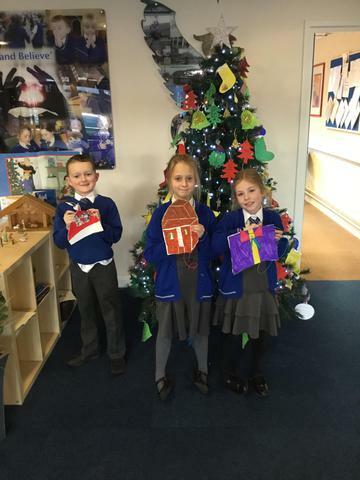 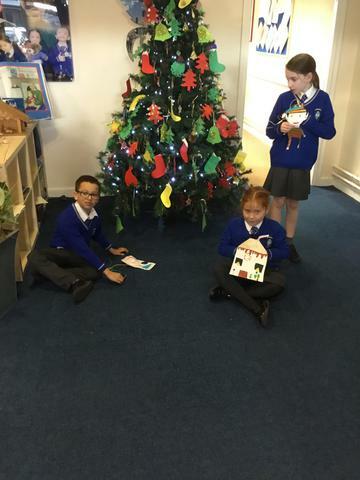 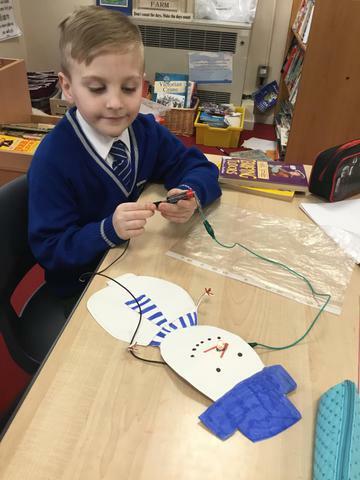 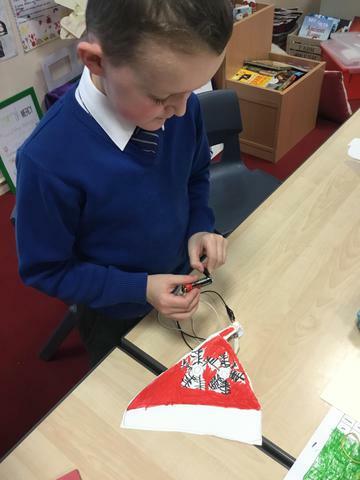 Building circuits and creating Christmas decorations. 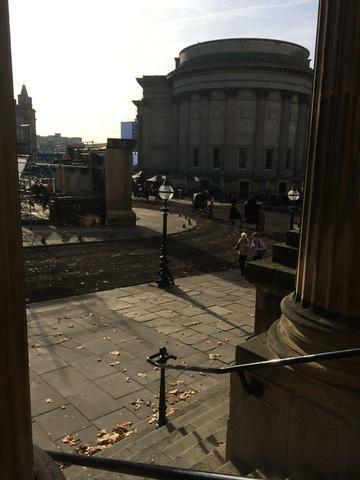 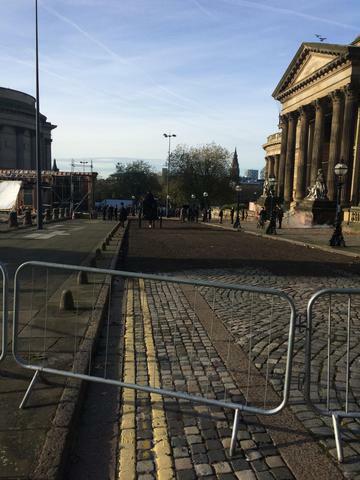 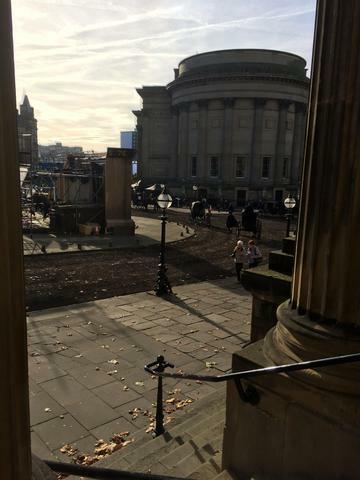 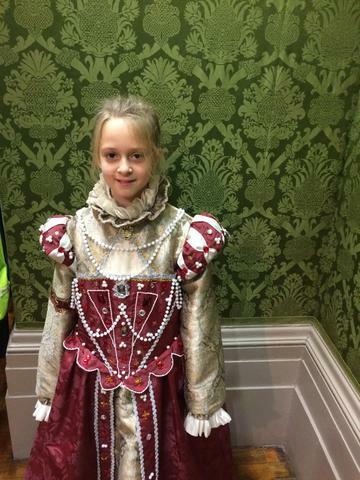 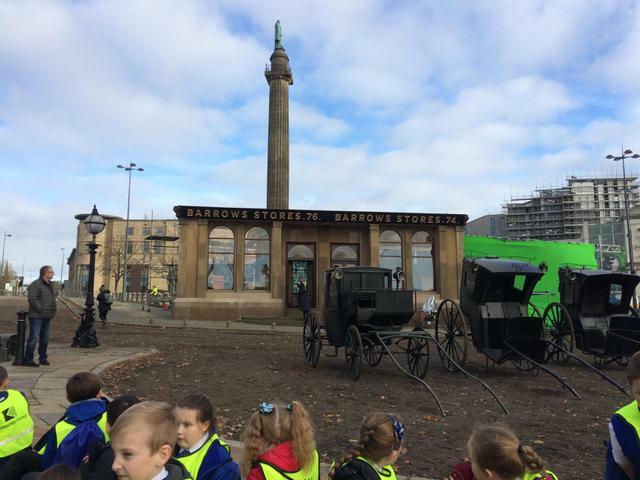 Visiting a film set in Victorian times. 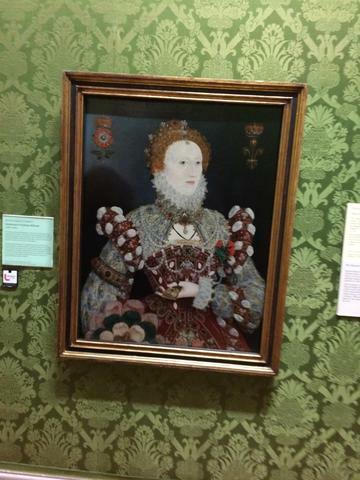 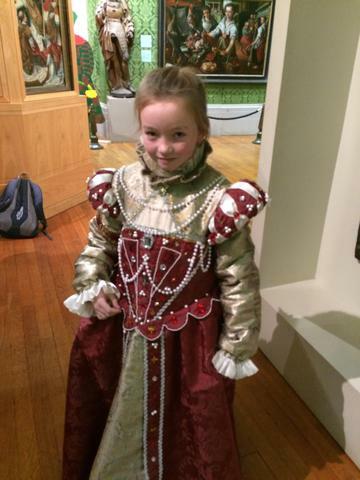 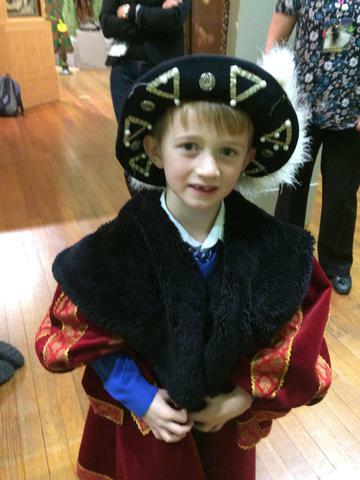 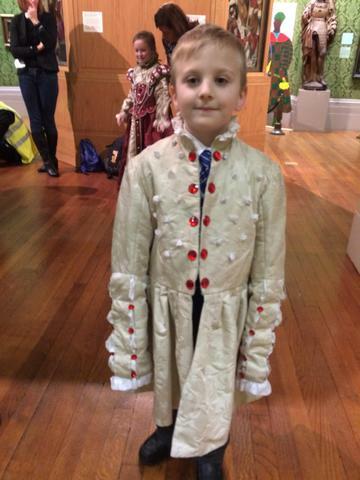 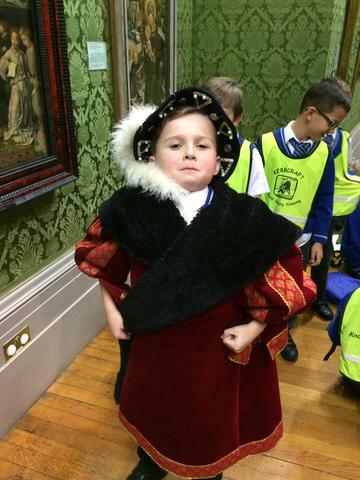 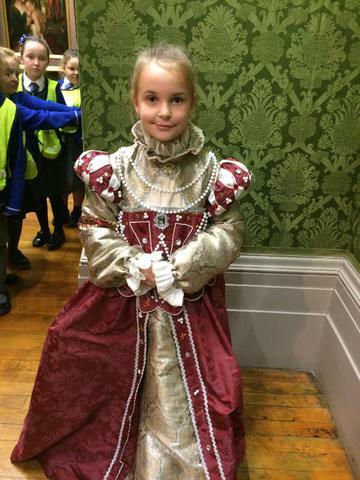 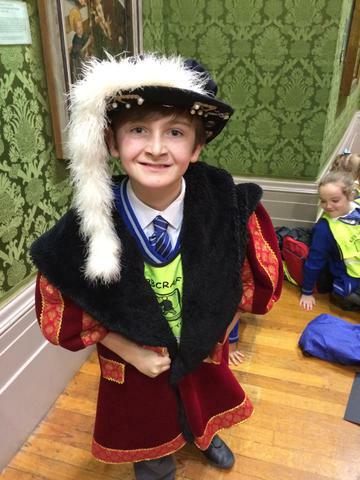 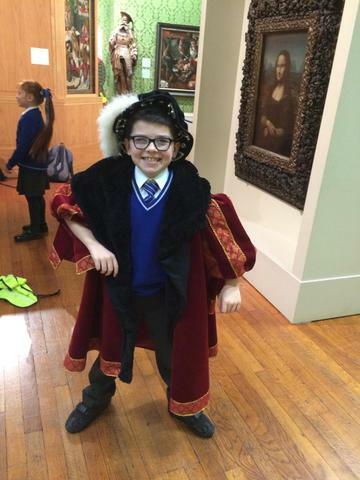 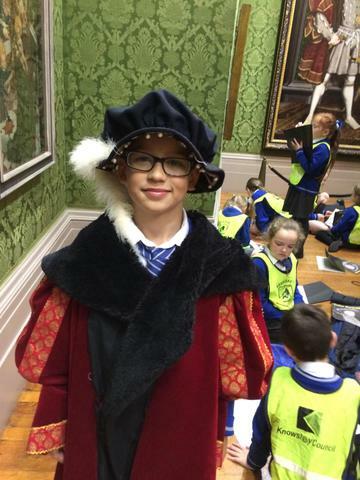 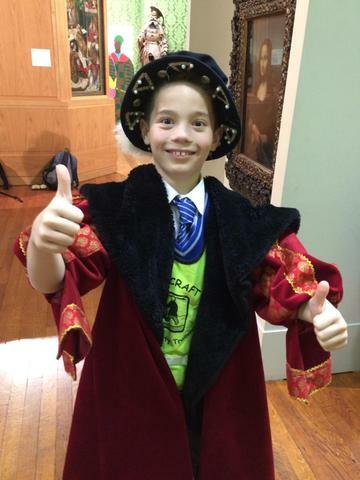 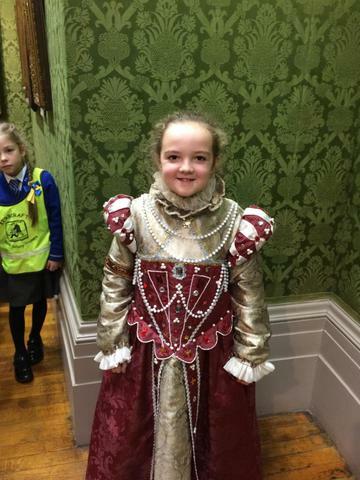 Evaluating Tudor Portraits at the Walker Art Gallery. 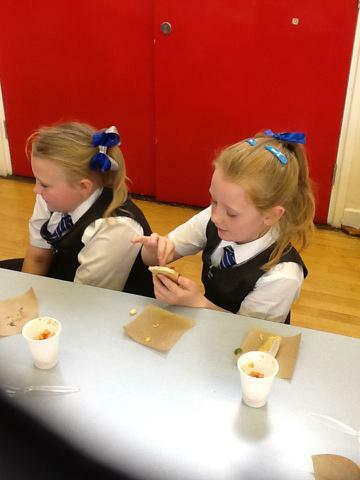 Tasting food from different European countries.